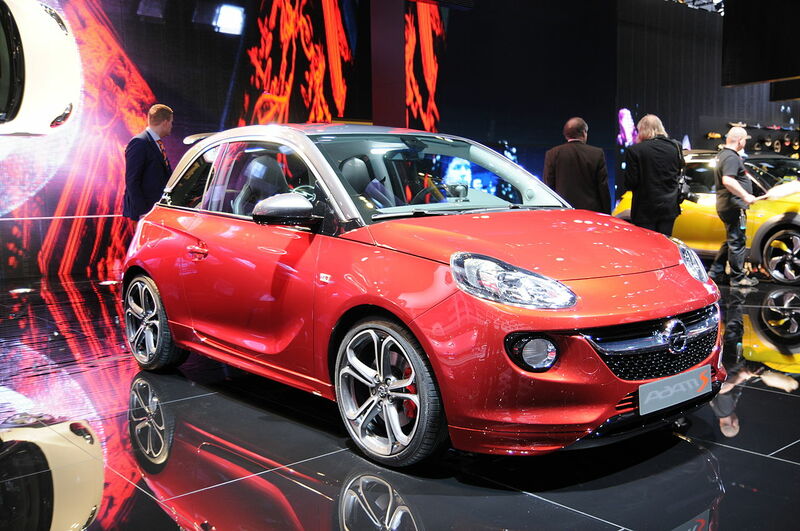 Adam Opel AG is a German automobile manufacturer headquartered in Rüsselsheim, Hesse, Germany, and a subsidiary of General Motors Company. 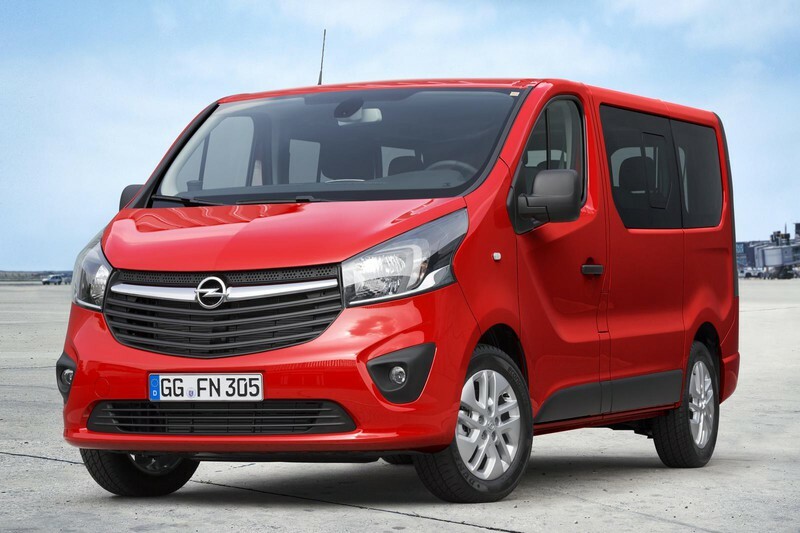 The company designs, engineers, manufactures and distributes Opel-branded passenger vehicles, light commercial vehicles and vehicle parts for distribution in Africa, Asia, Europe and South America. 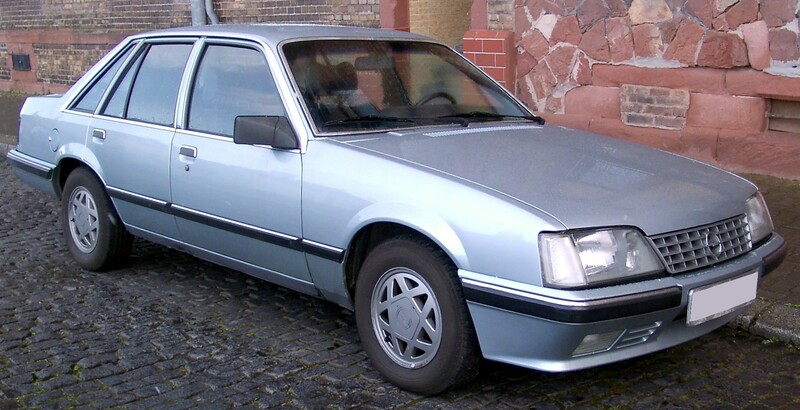 Opel designed and manufactured vehicles are also sold under the Buick brand in the United States, Canada, Mexico, and China, the Holden brand in Australia and New Zealand and the Vauxhall brand in Great Britain. 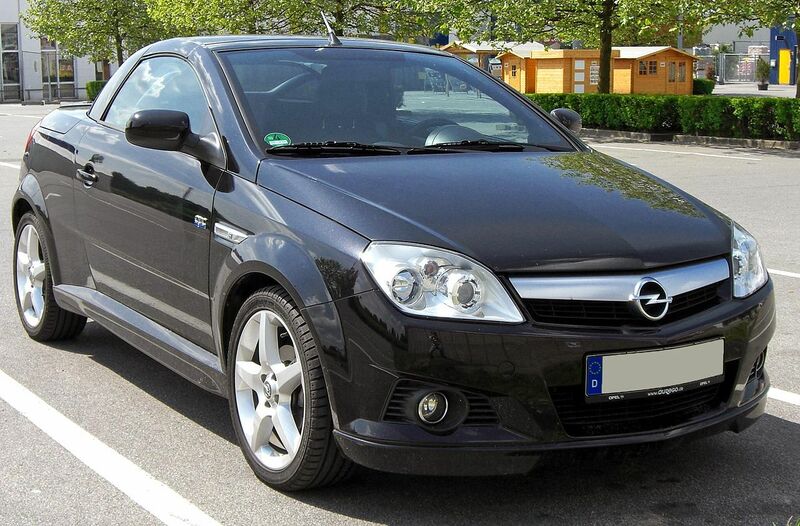 Opel traces its roots to a sewing machine manufacturer founded by Adam Opel in 1862. 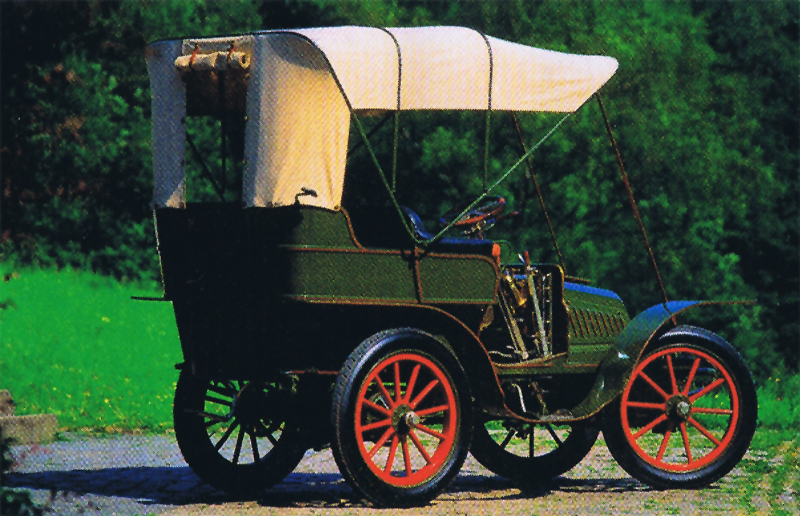 The company began manufacturing bicycles in 1886 and produced its first automobile in 1899. 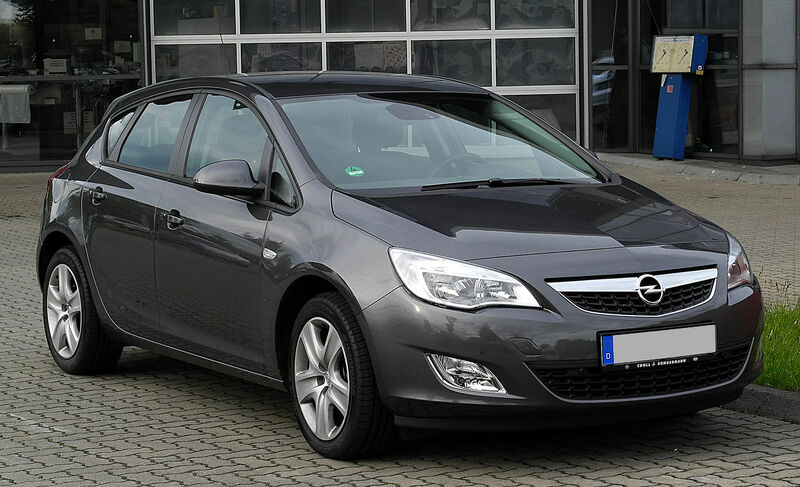 Opel became a share-limited company (German: Aktiengesellschaft) in 1929; United States-based General Motors took a majority stake in Opel that same year. 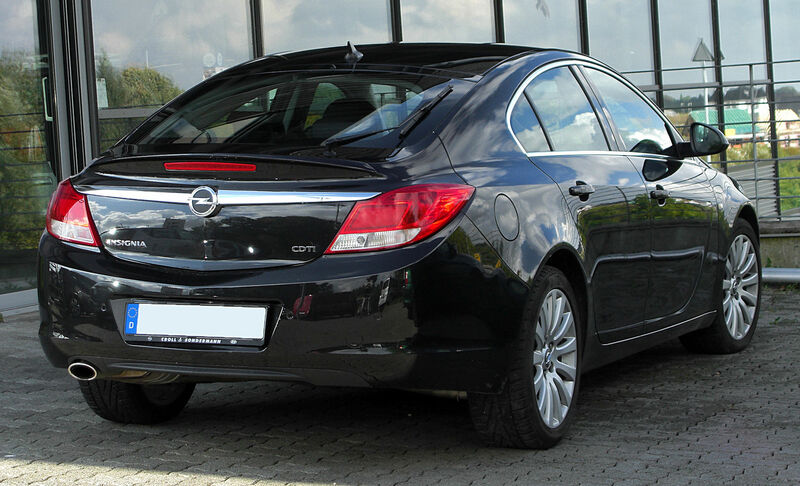 General Motors assumed full control in 1931 and today Adam Opel AG is a wholly owned subsidiary of General Motors Company. 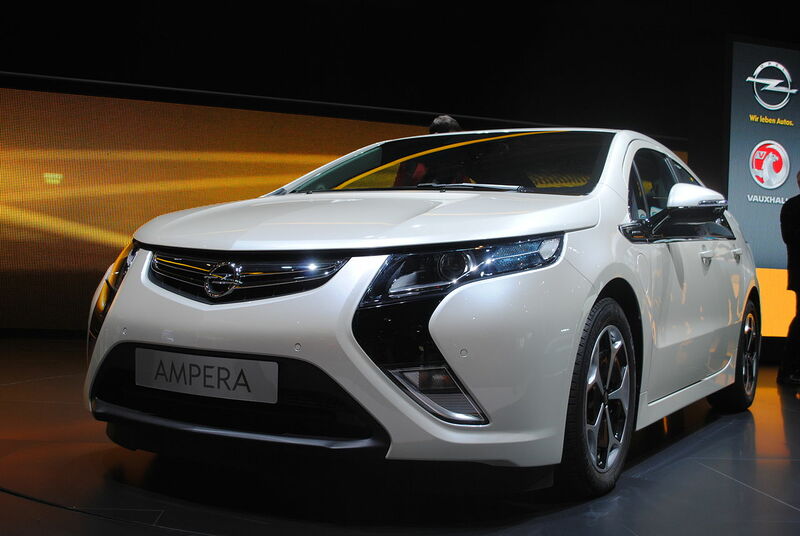 Although Adam Opel AG continues to be a share-limited company, shares of the company are not publicly listed. 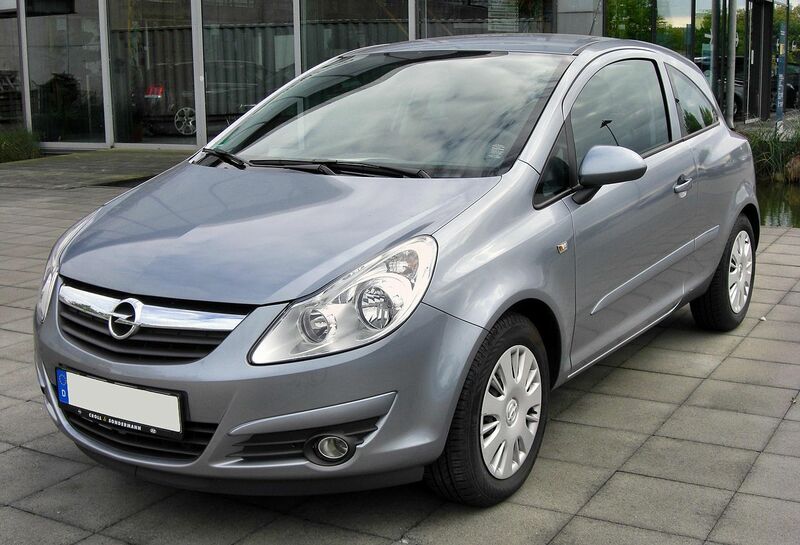 Adam Opel AG is the parent company of General Motors UK Limited, better known as Vauxhall, and various other General Motors subsidiaries. 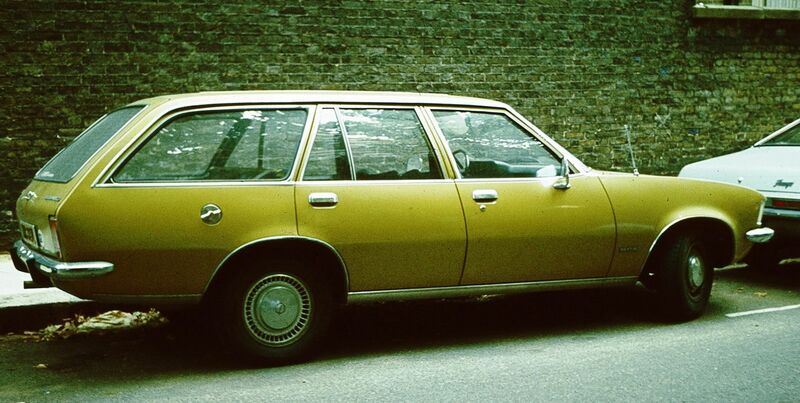 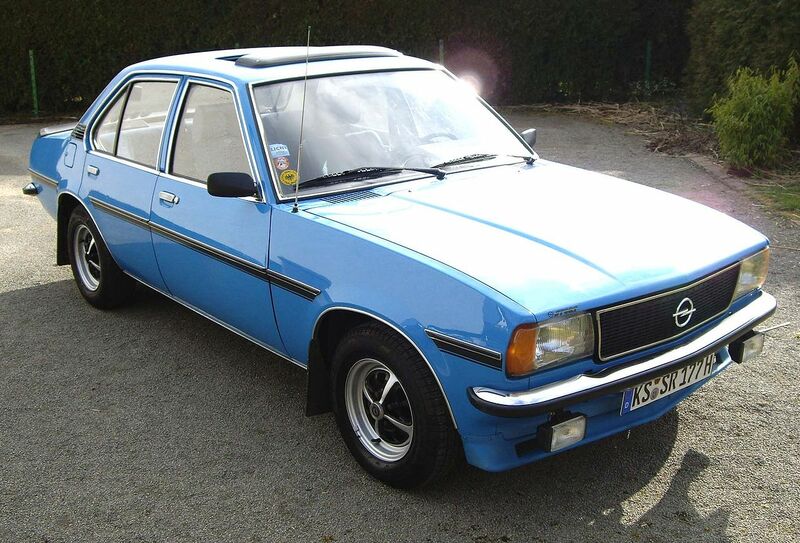 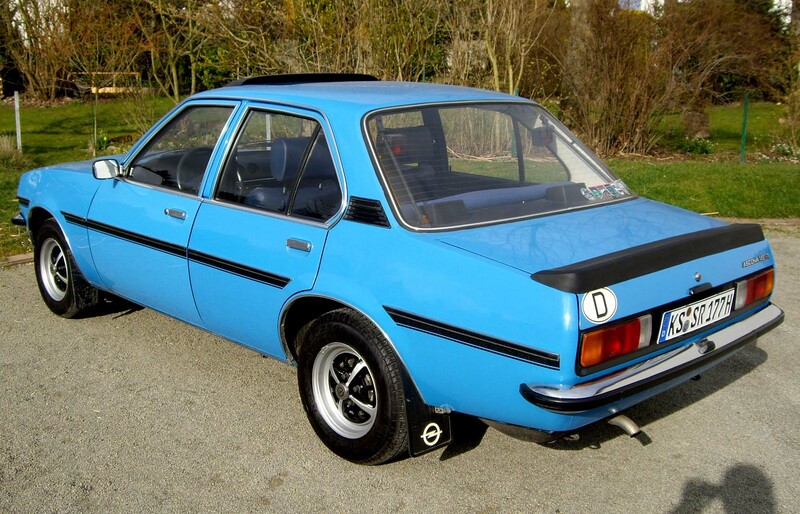 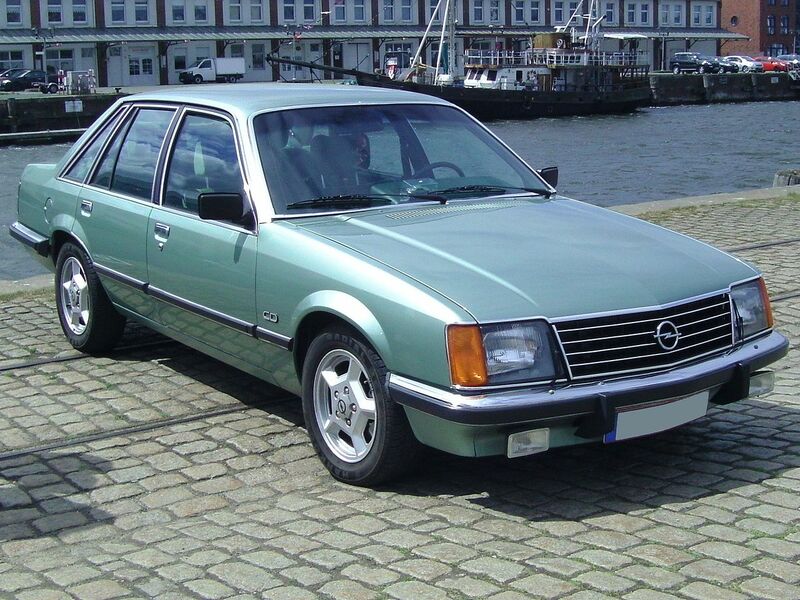 During the 1970s and 1980s, Opel and Vauxhall ranges were rationalised into one consistent range across Europe. 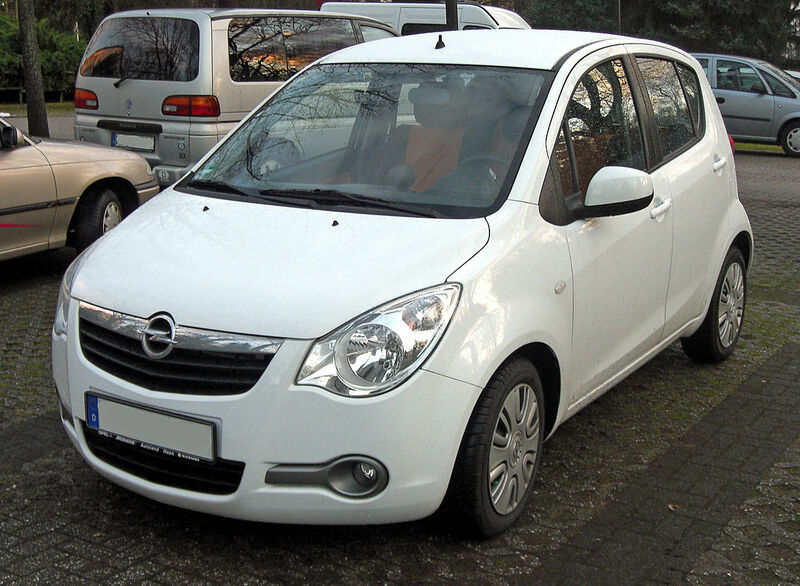 The company was founded in Rüsselsheim, Hessen, Germany, on January 21, 1862, by Adam Opel. 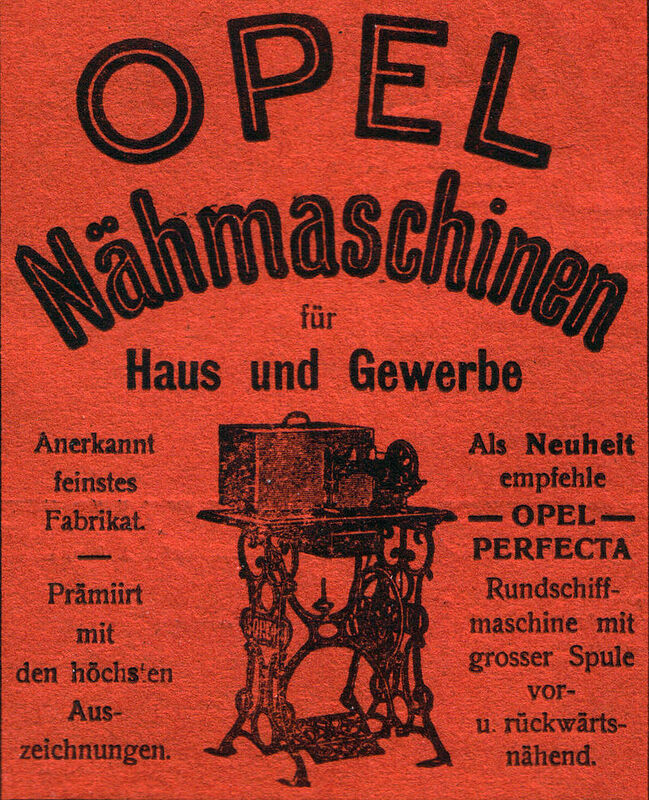 At the beginning, Opel just produced sewing machines in a cowshed in Rüsselsheim. 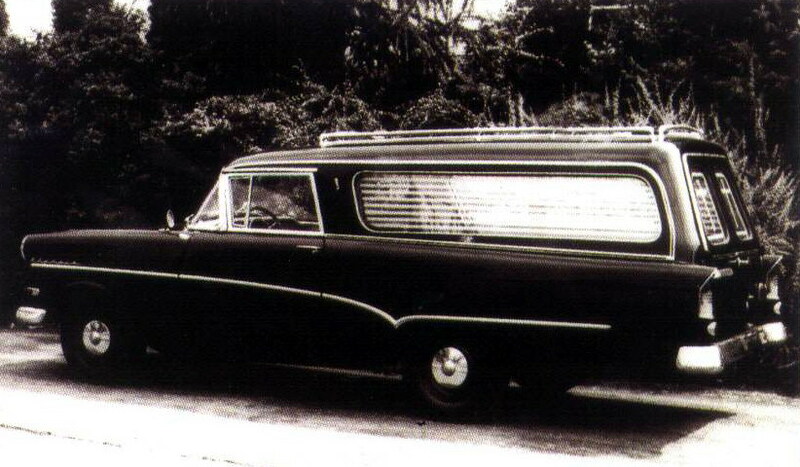 Above all, his success was based on his perfectly customized sewing machines. 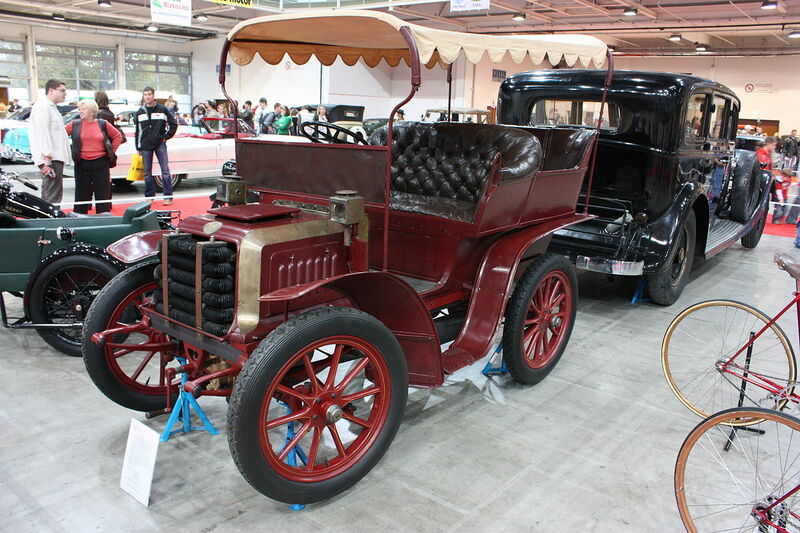 Because of the quick growth of his business, in 1888 the production was relocated from the cowshed to a more spacious building in Rüsselsheim. 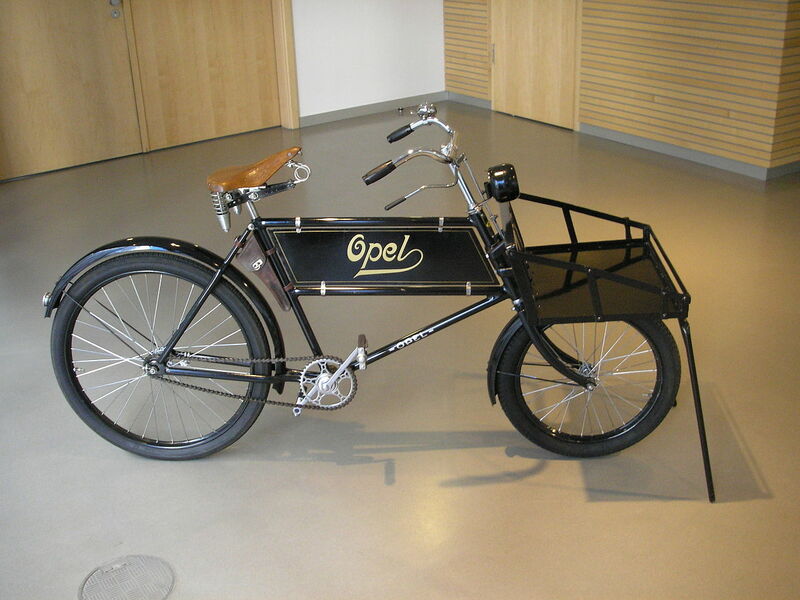 Encouraged by success, Adam Opel launched a new product in 1886: He began to sell high-wheel bicycles, also known as penny-farthings. 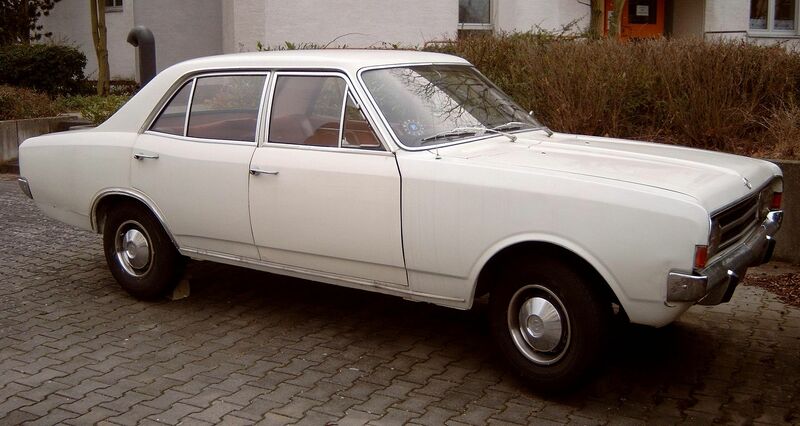 Besides, Opel’s two sons participated in high-wheel bicycle races and thus promoted this means of transportation. 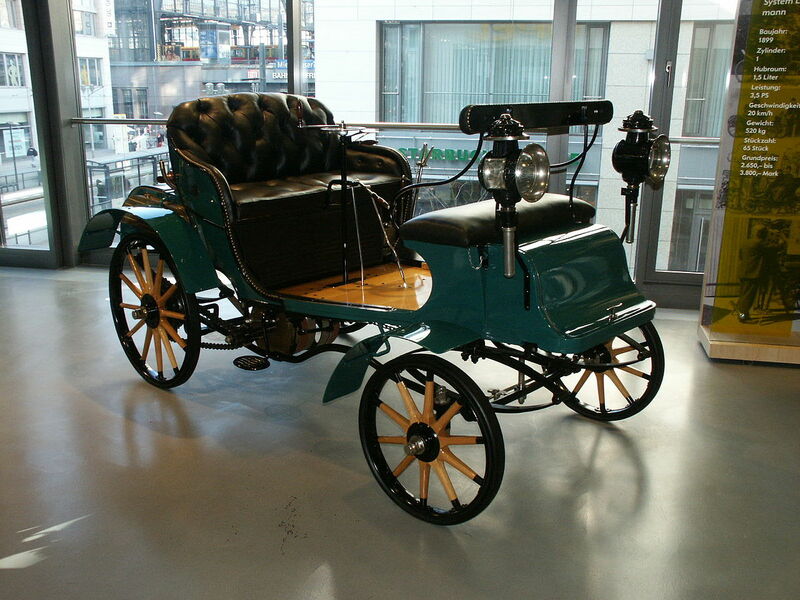 Therefore, the production of high-wheel bicycles soon exceeded the production of sewing machines. 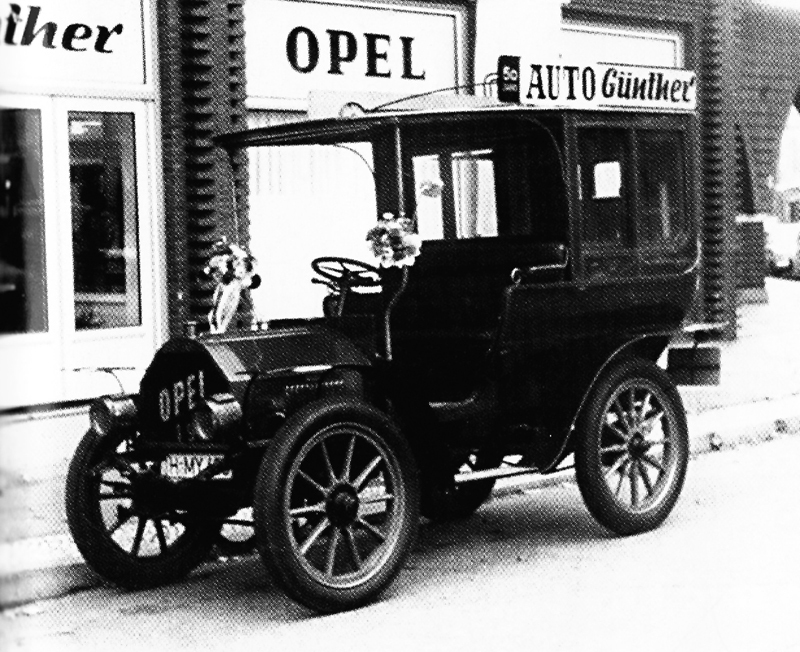 At the time of Opel’s death in 1895, he was the leader in both markets. 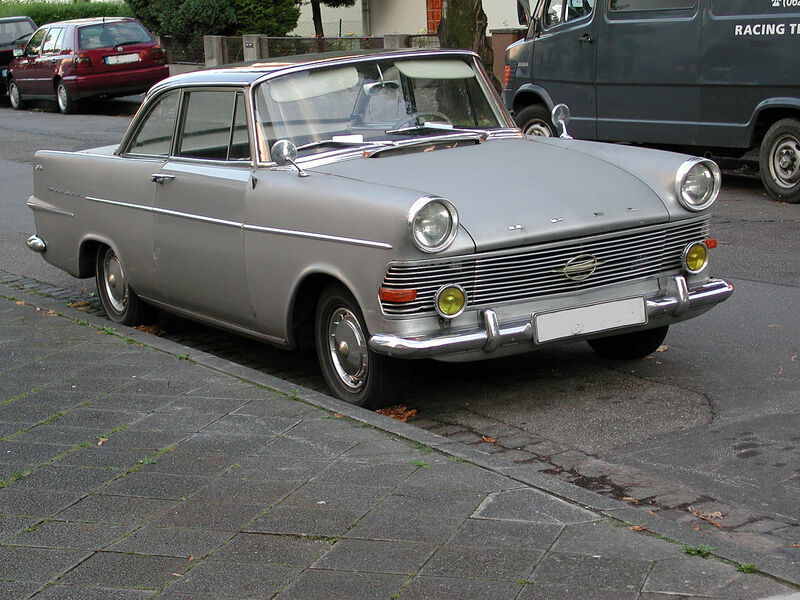 The first cars were produced in 1899 after Opel’s sons entered into a partnership with Friedrich Lutzmann, a locksmith at the court in Dessau in Saxony-Anhalt, who had been working on automobile designs for some time. 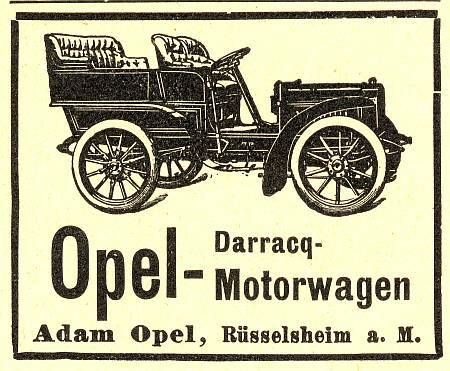 These cars were not very successful and so the partnership was dissolved after two years, following which Opel’s sons signed a licensing agreement in 1901 with the French Automobiles Darracq S.A. to manufacture vehicles under the brand name “Opel Darracq”. 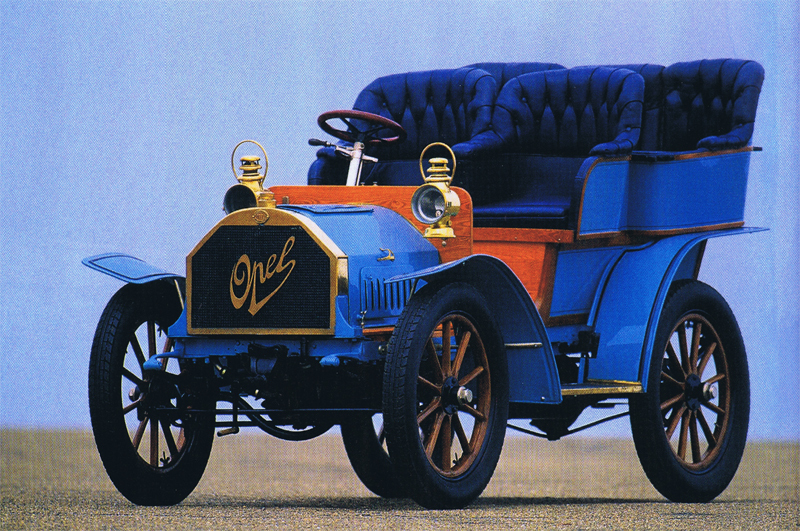 These cars were made up of Opel bodies mounted on a Darracq chassis, powered by a two-cylinder engine. 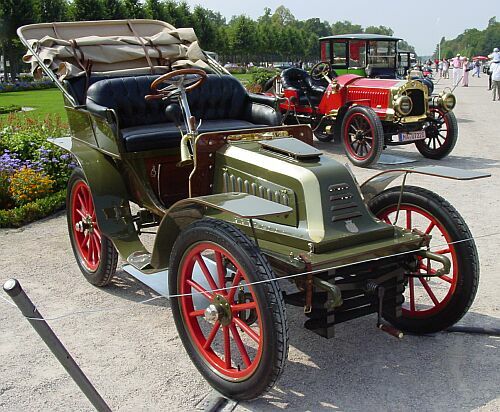 The company first showed cars of its own design at the 1902 HamburgMotor Show, and started manufacturing them in 1906, with Opel Darracq production being discontinued in 1907. 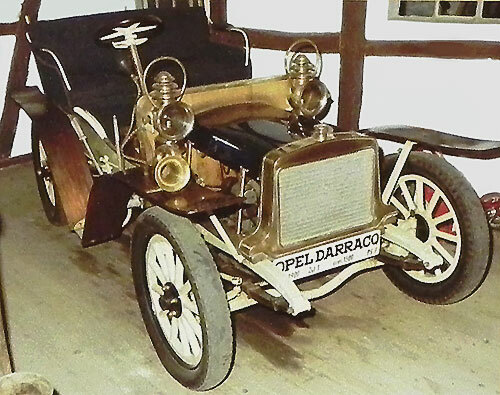 In 1909, the Opel 4/8 PS model, known as the “Doktorwagen” “Doctor’s Car” was produced. 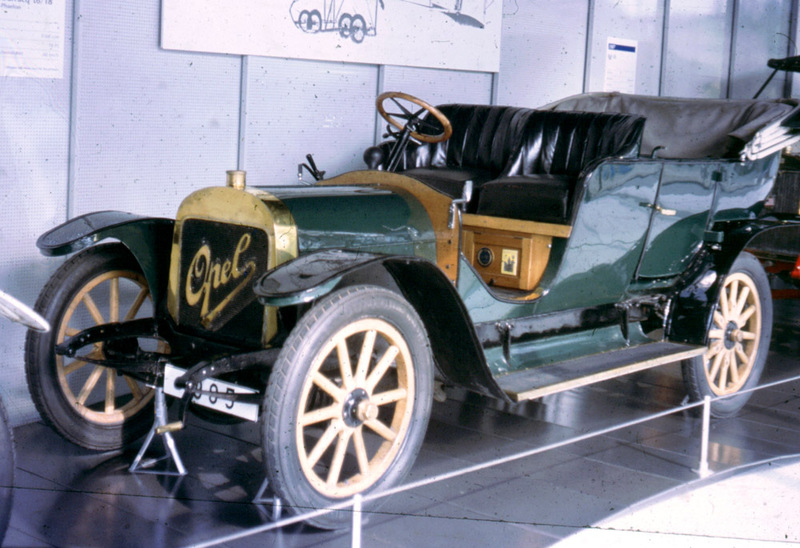 Its reliability and robustness were greatly appreciated by physicians, who drove a lot to see their patients, back when hard-surfaced roads were still rare. 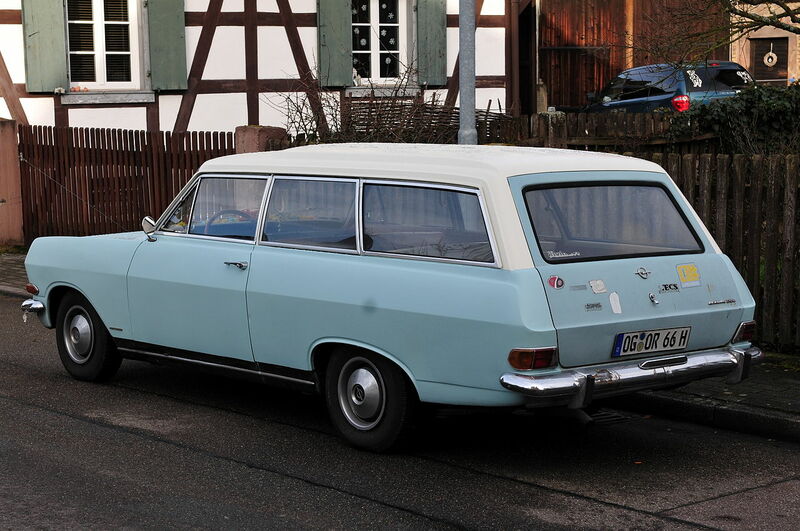 The “Doktorwagen” sold for only 3,950 marks, about half as much as the luxury models of its day. 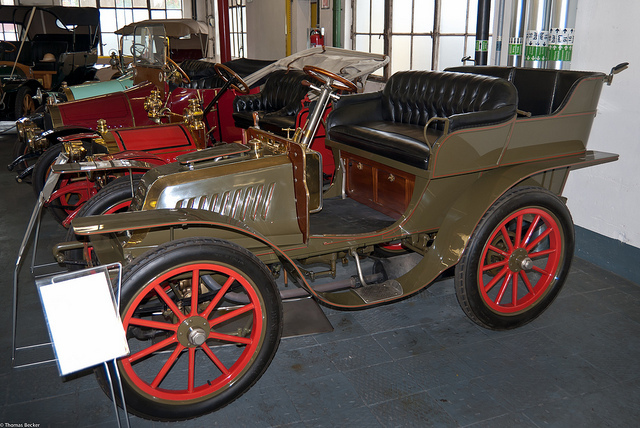 In 1911, the company’s factory was virtually destroyed by fire and a new one was built with more up-to-date machinery. 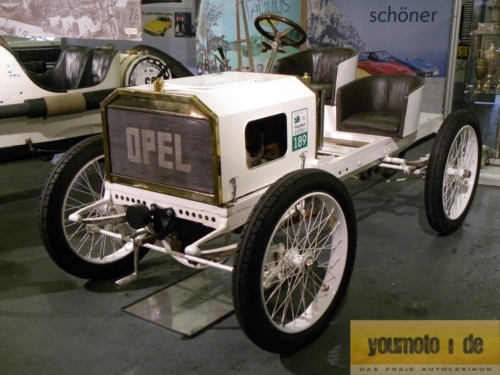 By 1914, Opel had become the largest German manufacturer of motor vehicles. 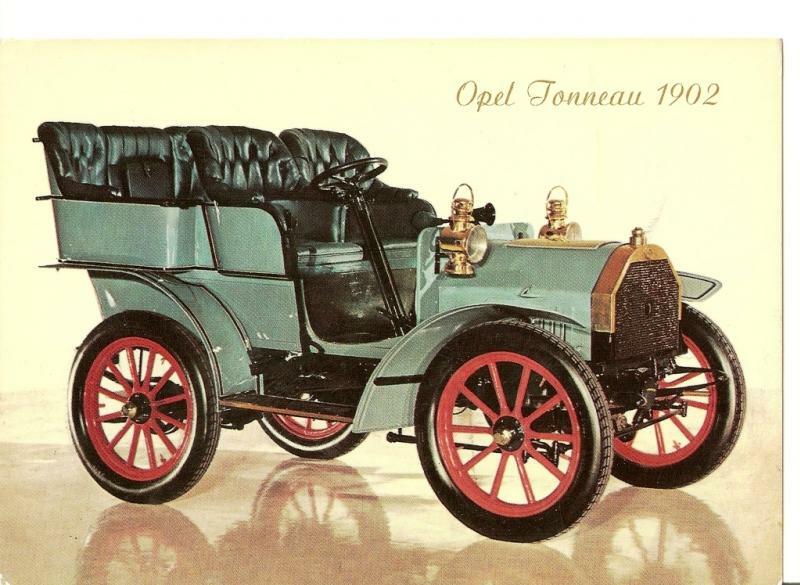 In the early 1920s, Opel became the first German car manufacturer to incorporate a mass production assembly line in the building of their automobiles. 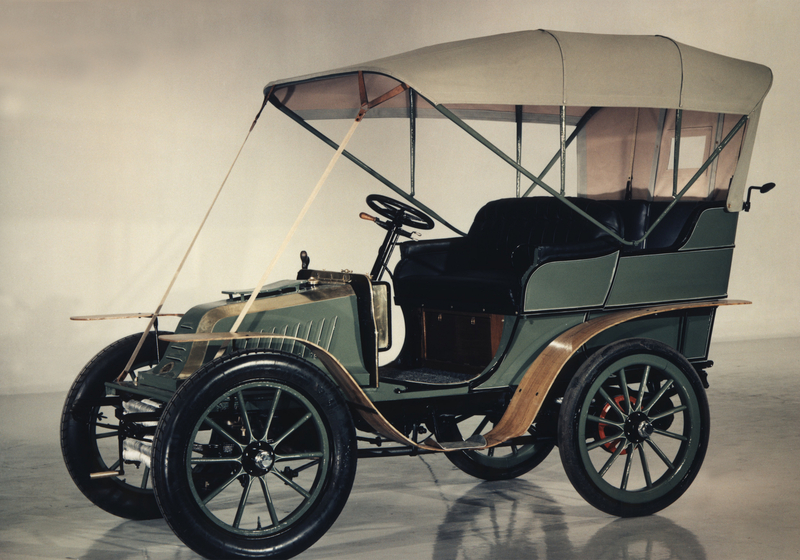 In 1924, they used their assembly line to produce a new open two-seater called the “Laubfrosch” (Tree frog). 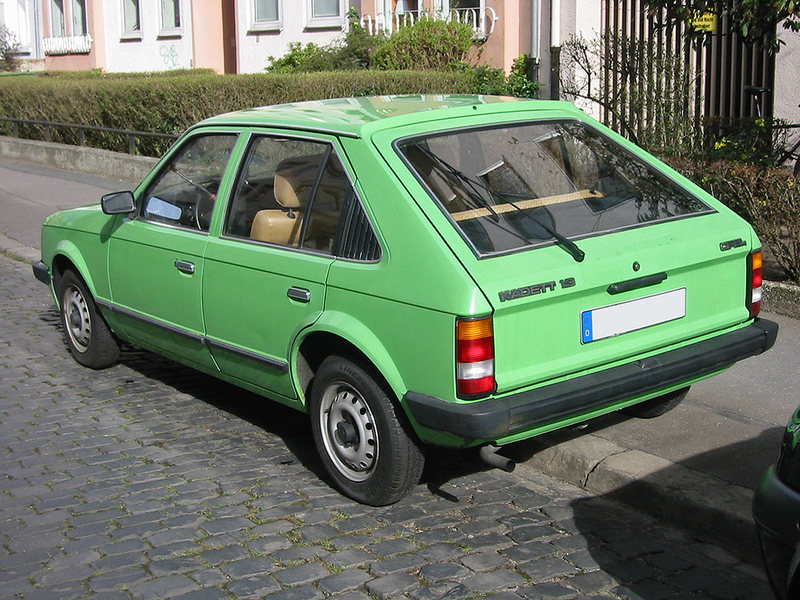 The Laubfrosch was finished exclusively in green lacquer. 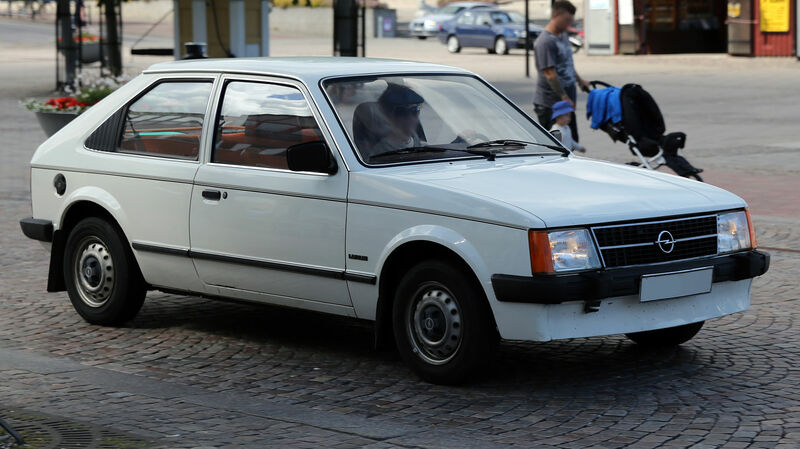 The car sold for an expensive 4,500 marks (expensive considering the less expensive manufacturing process) but by the 1930s this type of vehicle would cost a mere 1,990 marks – due in part to the assembly line, but also due to the skyrocketing demand for cars. 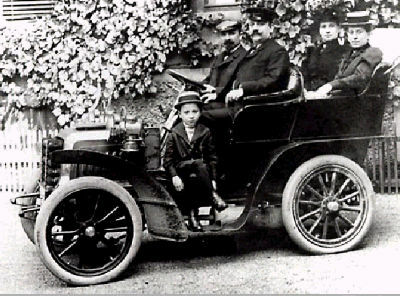 Adam Opel led the way for motorized transportation to become not just a means for the rich, but a reliable way for people of all classes to travel. 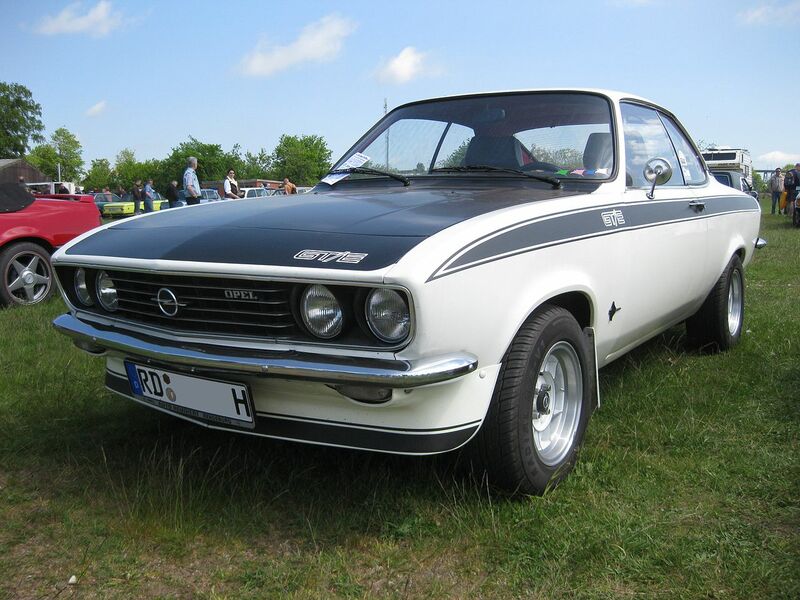 Opel had a 37.5% market share in Germany and was also the country’s largest automobile exporter in 1928. 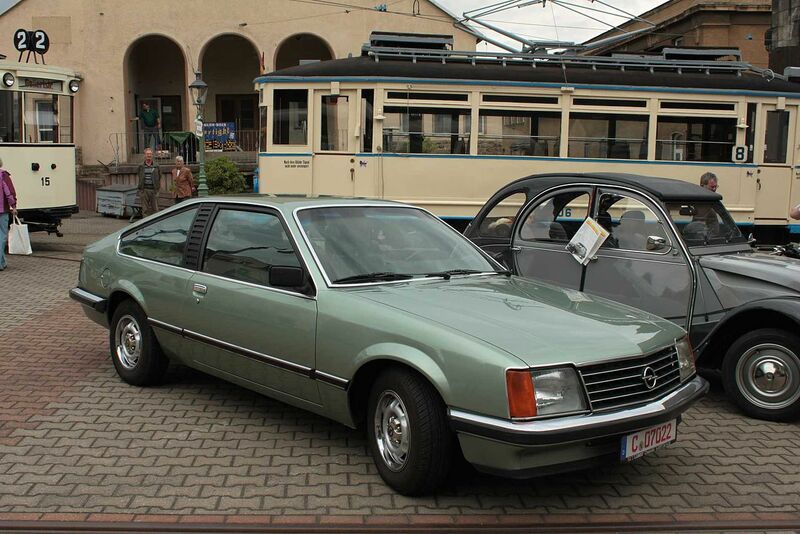 The “Regent” – Opel’s first eight-cylinder car – was offered. 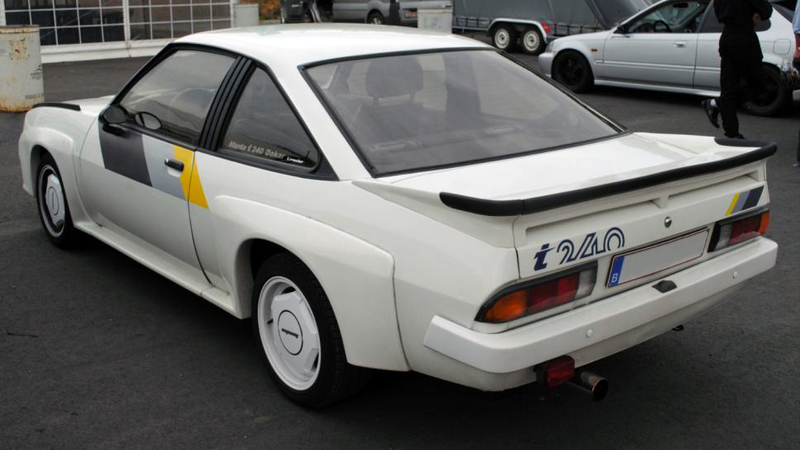 The RAK 1 and RAK 2 rocket-propelled cars made sensational record-breaking runs. 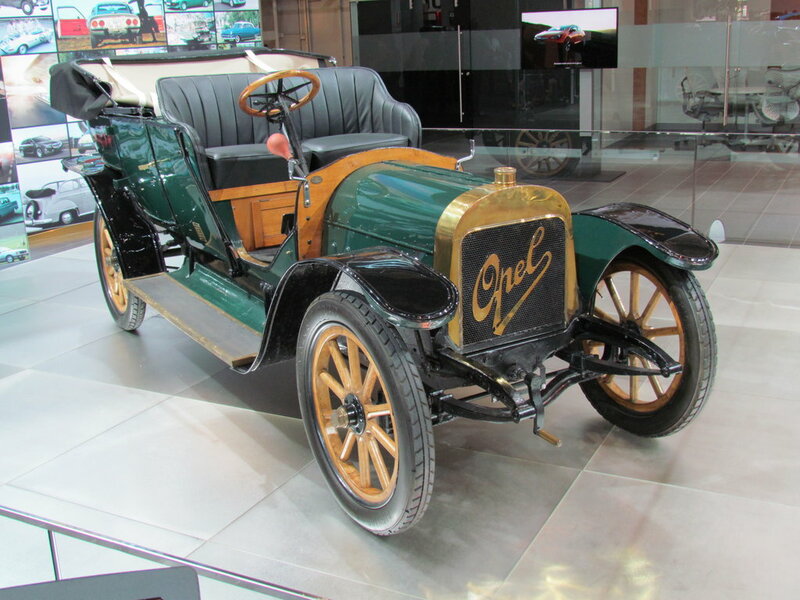 In March 1929, General Motors (GM), impressed by Opel’s modern production facilities, bought 80% of the company, increasing this to 100% in 1931. 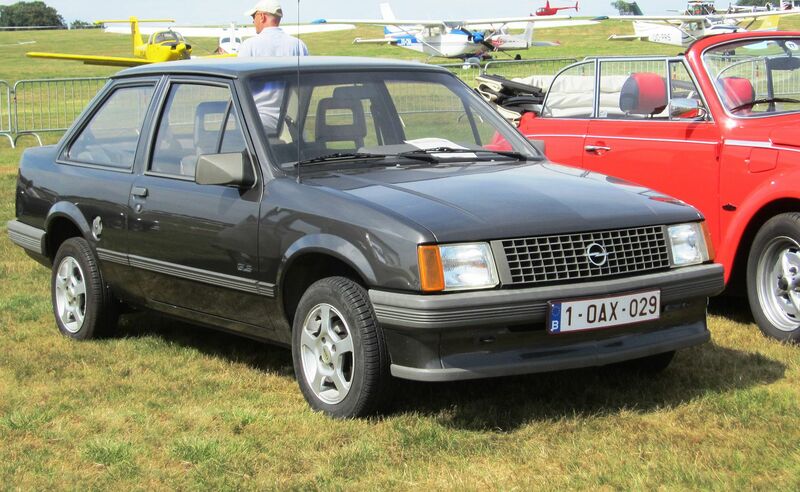 The Opel family gained $33.3 million from the transaction. 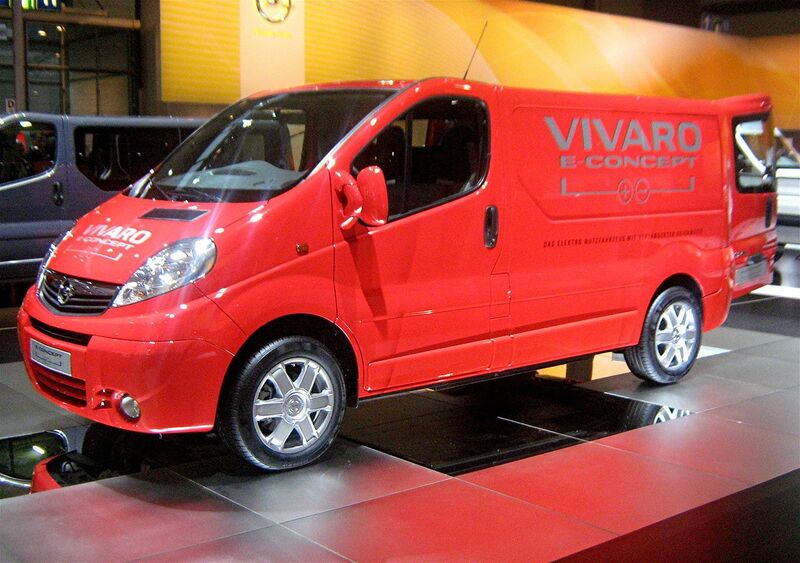 Subsequently, during 1935, a second factory was built at Brandenburg for the production of “Blitz” light trucks. 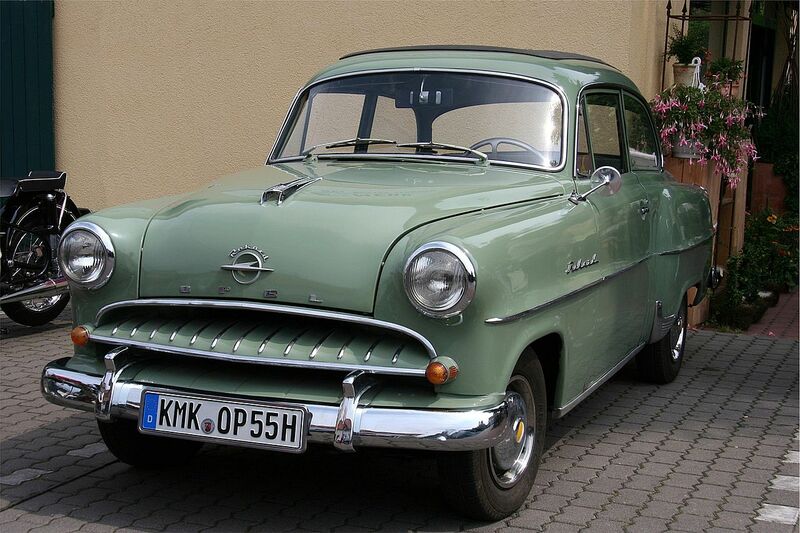 1935 was the year in which Opel became the first German car manufacturer to produce over 100,000 vehicles a year. 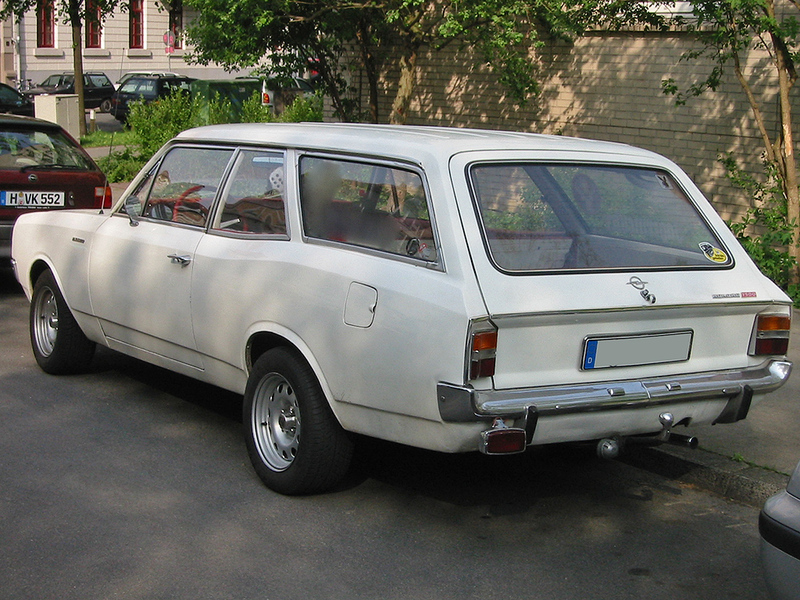 This was based on the popular Opel “P4” model. 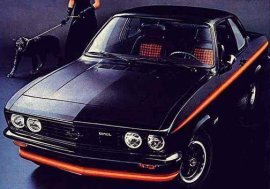 The selling price was a mere 1,650 marks and the car had a 23 hp (17 kW) 1.1 L four-cylinder engine and a top speed of 85 km/h (53 mph). 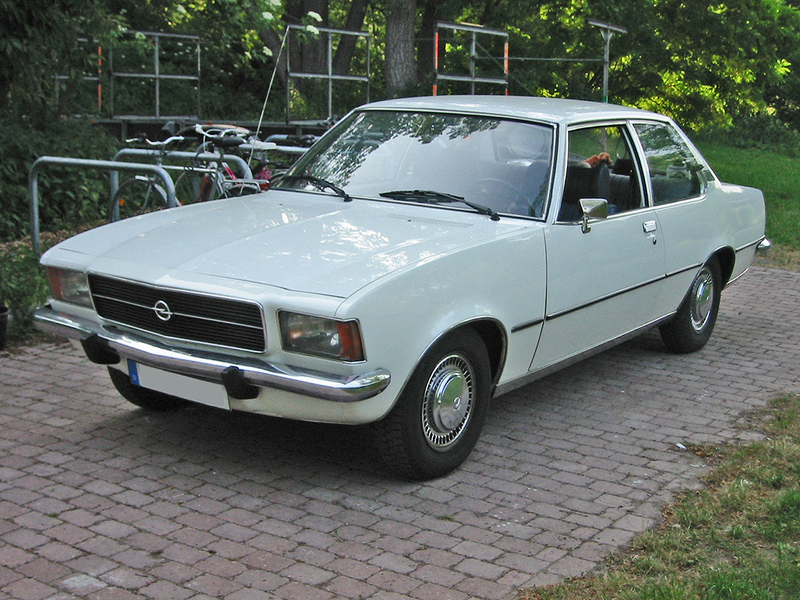 Opel also produced the first mass-production vehicle with a self-supporting (“unibody”) all steel body. 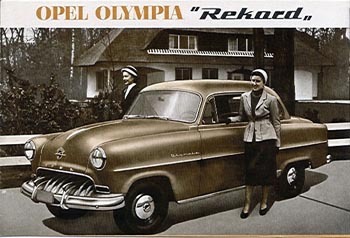 They called the car, launched in 1935, the Olympia. 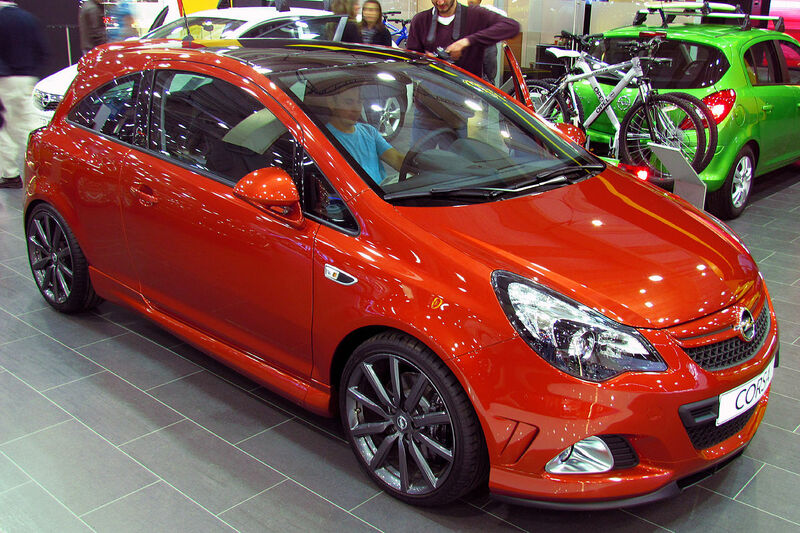 With its small weight and aerodynamics came an improvement in both performance and fuel consumption. 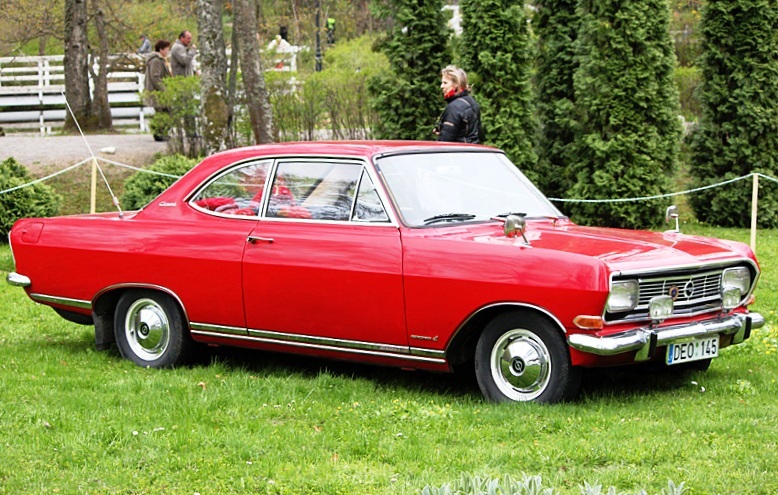 Opel receives a patent which is considered one of the most important innovations in automotive history. 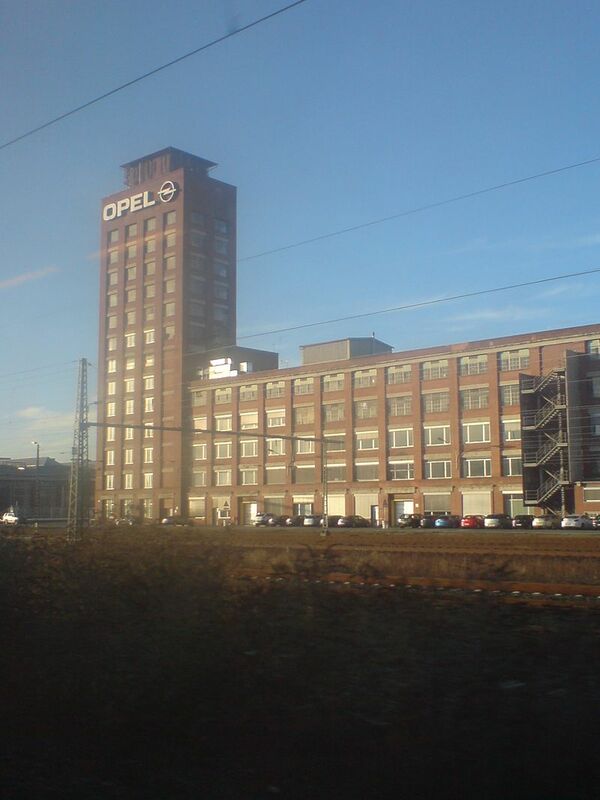 The 1930s was a decade of growth, and by 1937, with 130,267 cars produced, Opel’s Rüsselsheim plant was Europe’s top car plant in terms of output, while ranking seventh worldwide. 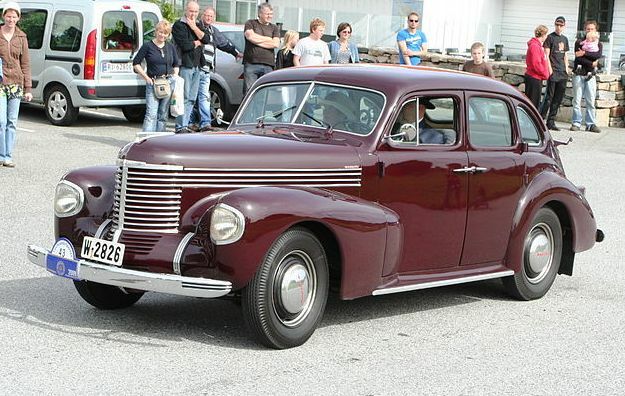 1939 saw the presentation of the highly successful Kapitän. 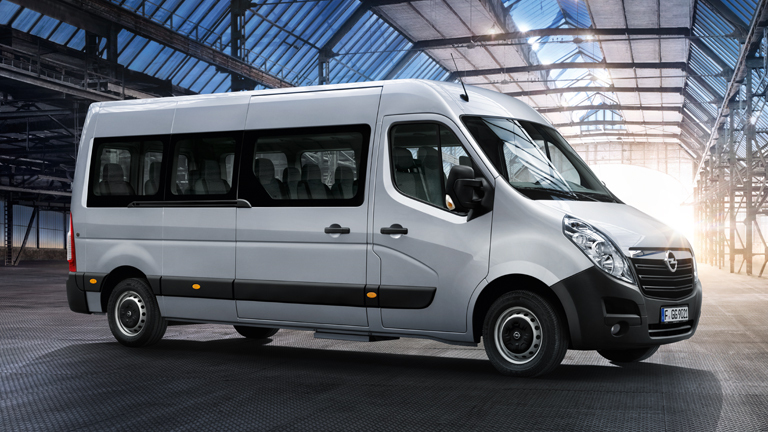 With a 2.5 L six-cylinder engine, all-steel body, front independent suspension, hydraulic shock absorbers, hot-water heating (with electric blower), and central speedometer. 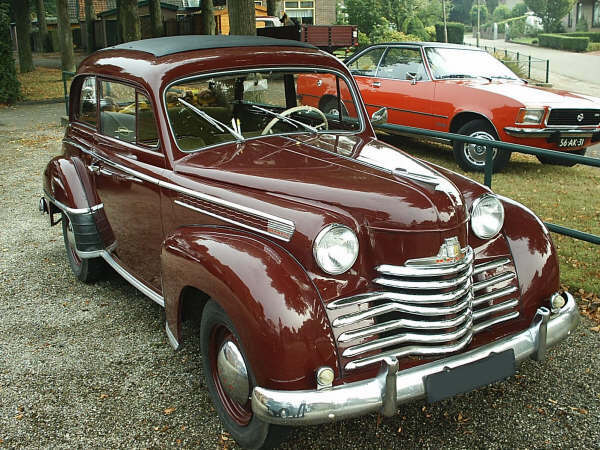 25,374 Kapitäns left the factory before intensification of World War II brought automotive manufacturing to a temporary stop in the Autumn of 1940, by order of the government. 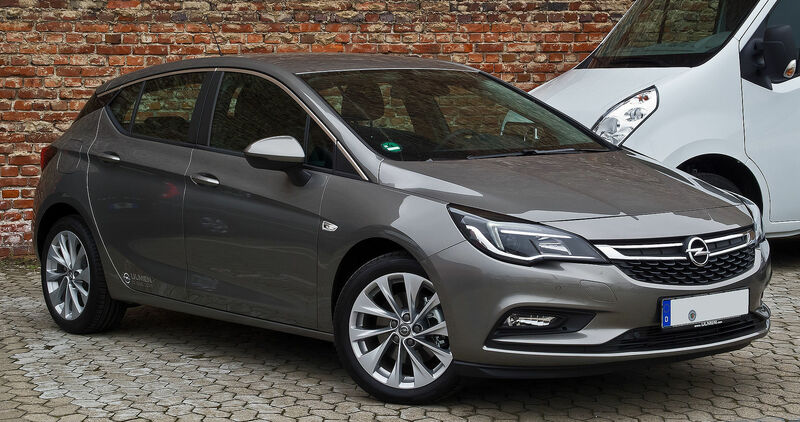 Die neue Lastwagenfabrik, Wek Brandenburg, der Adam Opel A.G.
Am Ende der großen Fertig-Montagbandes: bei einer Produktion von 50 Wagen in einer Schicht wird alle 10Minuten ein Wagen fertig. 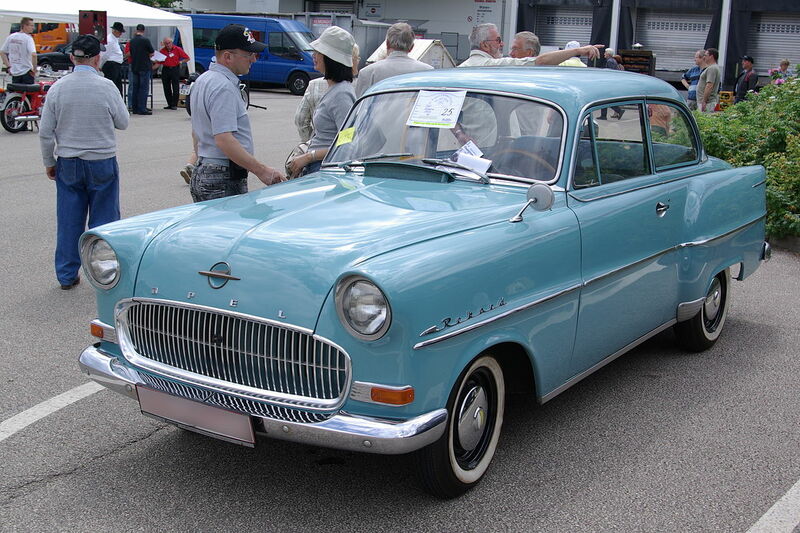 World War II brought to Rüsselsheim the only year in the entire history of Opel – 1945 – in which it produced few vehicles, since that first Lutzmann-authored Opel was made in 1899. 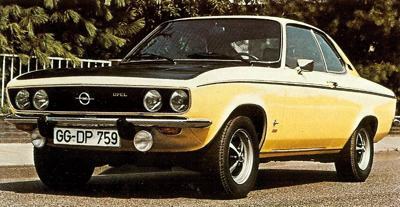 Before the conflict broke out, the Adam Opel AG had established itself as the largest motor vehicle manufacturer in Europe. 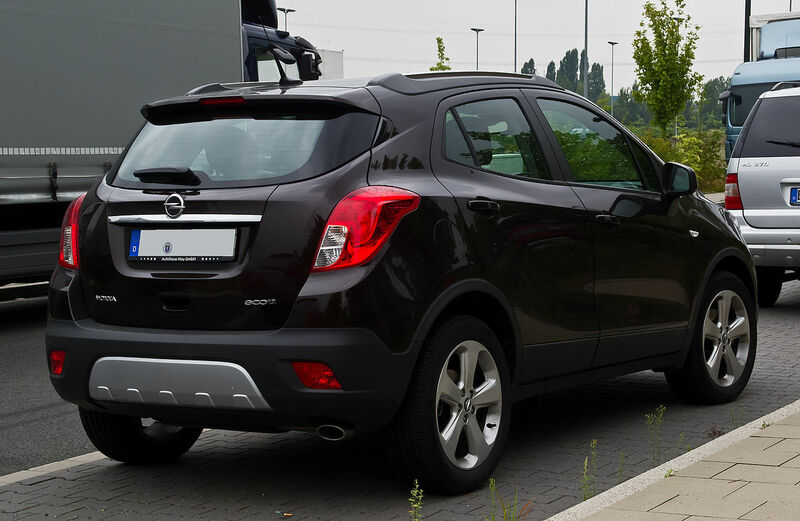 The combination of Opel know-how with GM resources had produced outstanding results. 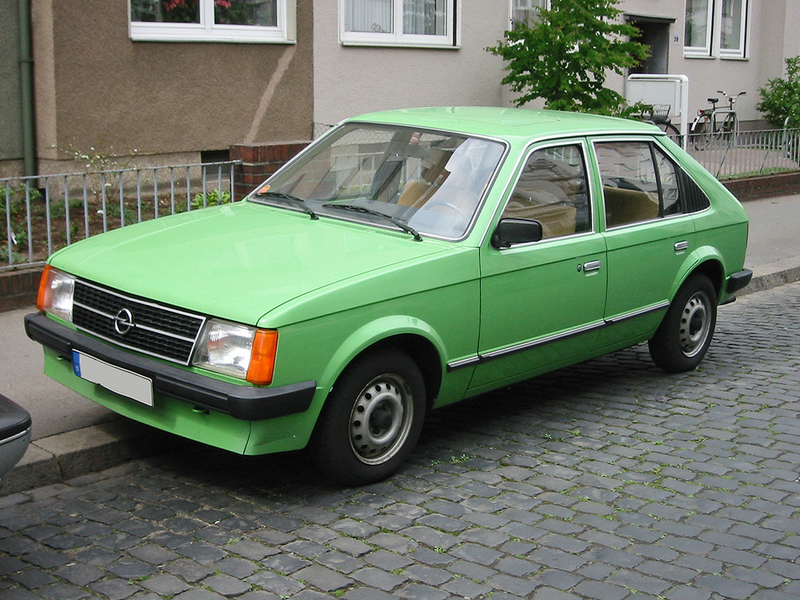 In spite of stifling red tape, the economic atmosphere in Germany in the 1930s had powerfully fertilized the growth of this and other auto companies. 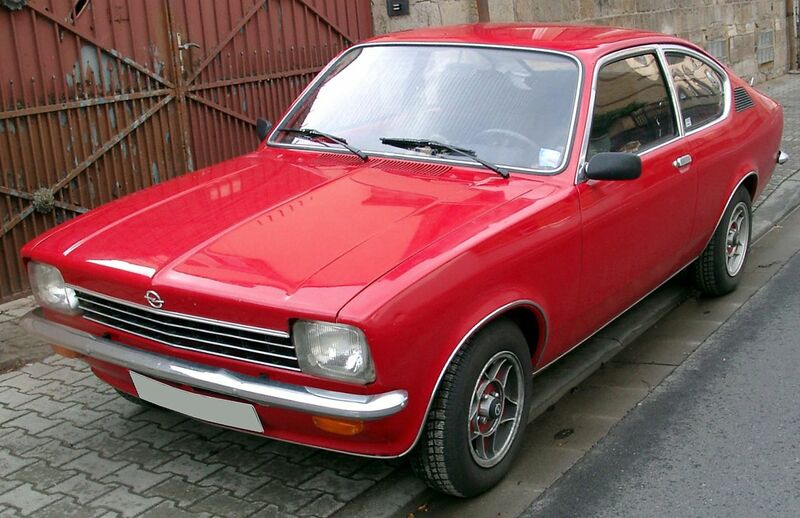 But in the case of Opel, at least, it was clear that the expansion of this industrial machine was not directed in any way toward military objectives. 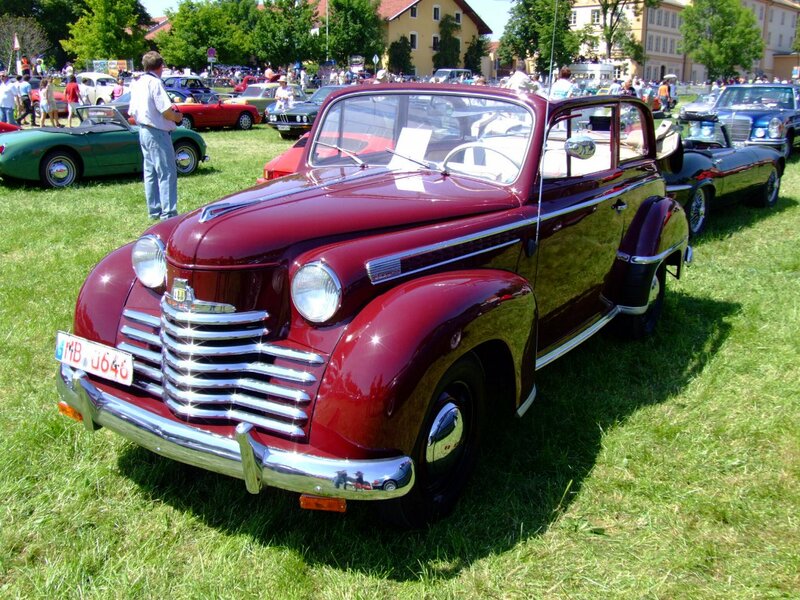 Even after June 1940, official connections between Opel and America were not broken and monetary gain continued throughout the war which was controlled by the J.P Morgan firm, the Rüsselsheim plant was never given a major role in Germany’s war preparations. 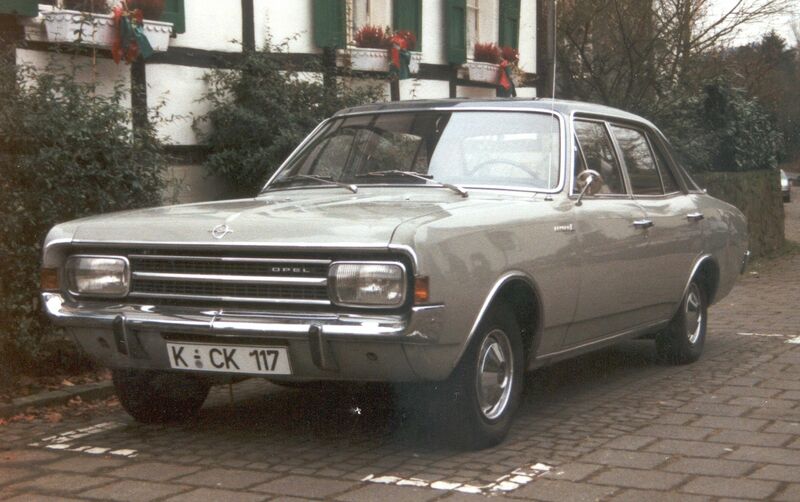 Neither was Ford’s plant in Cologne considered trustworthy enough for a big assignment, such as tank manufacture, in view of their earlier foreign associations. 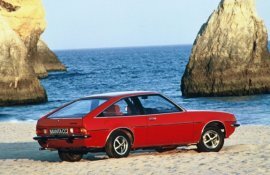 Initially, of course, it had appeared that the war would be a short one settled in Germany’s favour. 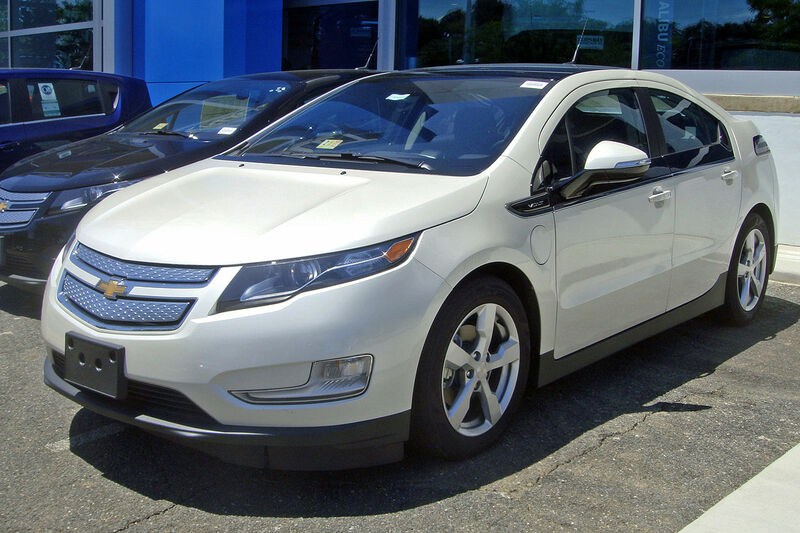 Auto plants were shut down, to conserve resources, but not converted to other jobs. 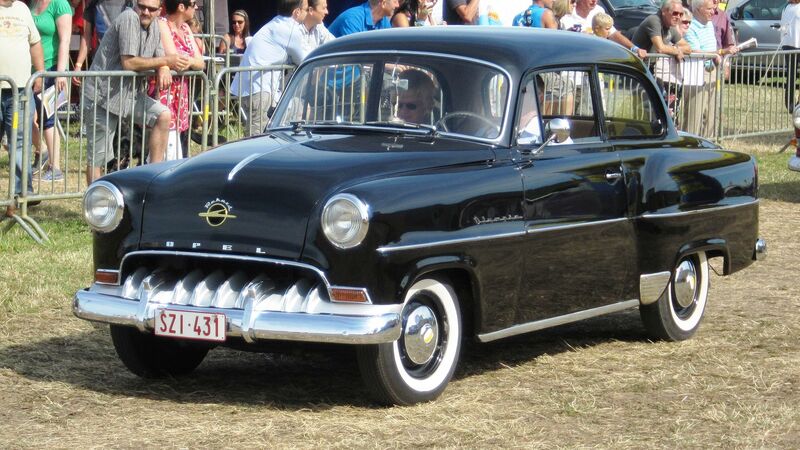 When in 1942 it became clearer that the fighting would go on for a while, car and truck factories were switched to war work in a modest way, Opel taking up the production of aircraft parts and tanks. 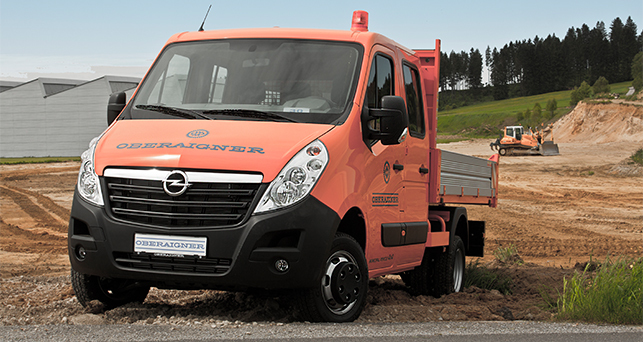 Only at the Brandenburg plant did truck manufacture roar ahead at full speed. 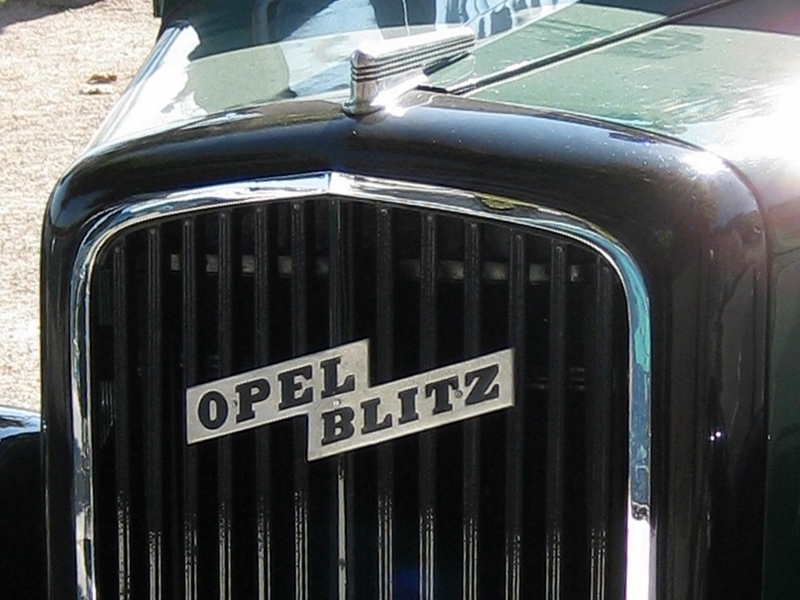 From the end of 1938 onward to big Opel Blitz trucks had been powered by the same basic 3.6 L engine used in the Opel Admiral. 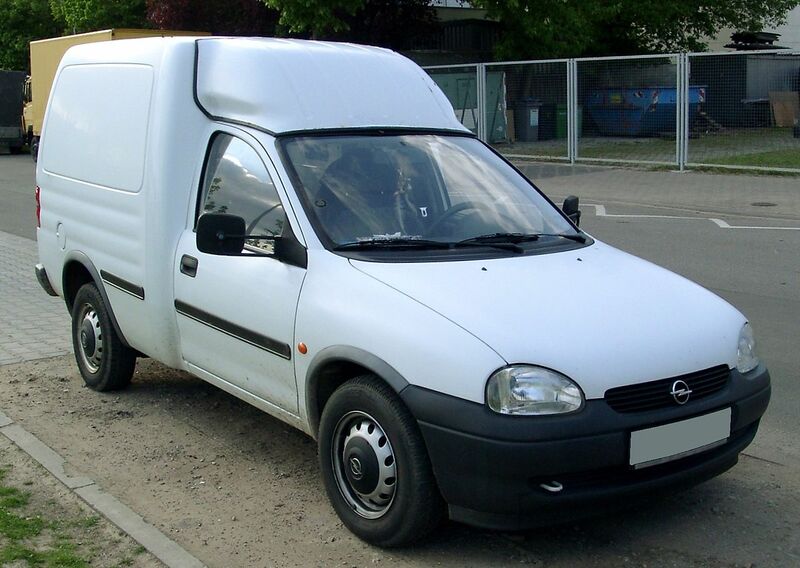 To meet the growing demands of wartime, 3 short tons (2.7 t) trucks of Opel design were built under license by Daimler-Benz at the former Benz factory at Mannheim. 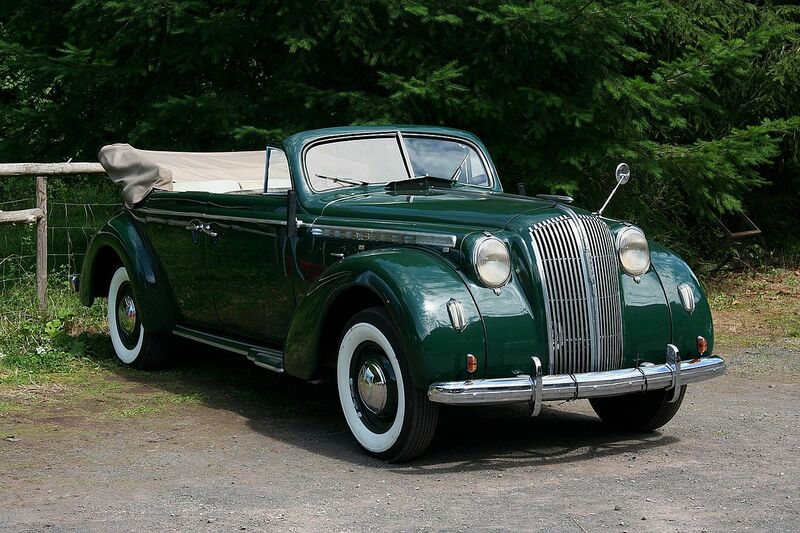 One of the most versatile small German military vehicles, the Kettenkrad, a blend of tractor and motorcycle, was powered with a 1.4 L Olympia four-cylinder engine. 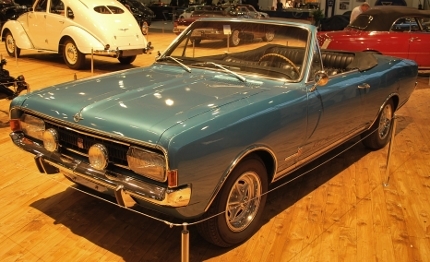 Produced by NSU, it had motorcycle-type front-wheel steering for gentle turns and negotiated tight corners with brakes on the propelling caterpillar tracks. 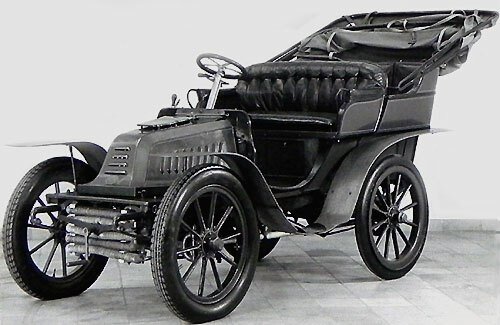 The Kettenkrad towed antitank guns and transported troops and signal gear in several theaters of war. 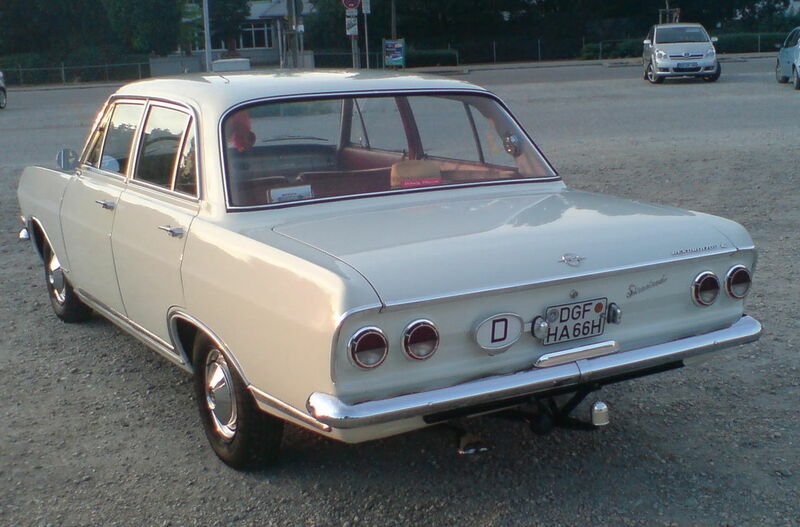 NSU continued to make it after the war for use in mines and forests. 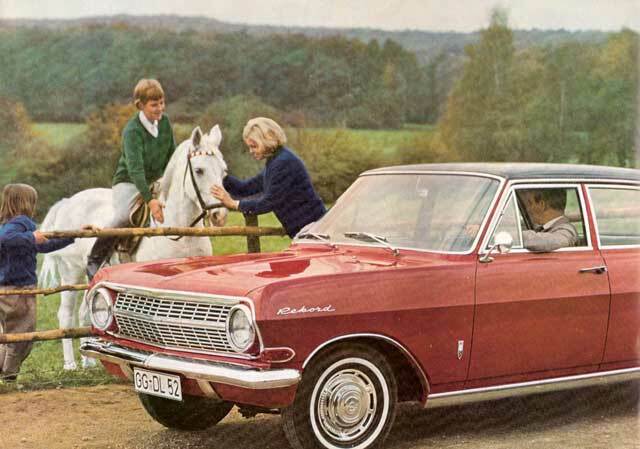 It was one of the few vehicles that could do jobs formerly performed by horses for which, owing to the shortage of oats, there was even less fuel available than for motor vehicles. 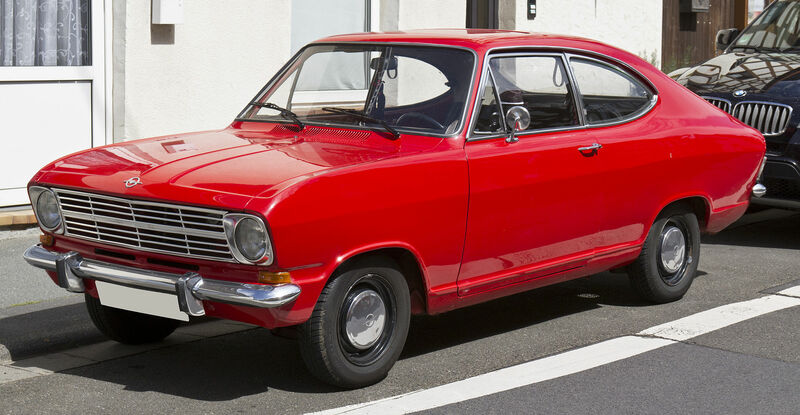 As the war progressed, military authorities placed greater stress on the development of air-cooled engines, which they felt had more immunity to damage from weather, shellfire and misuse. 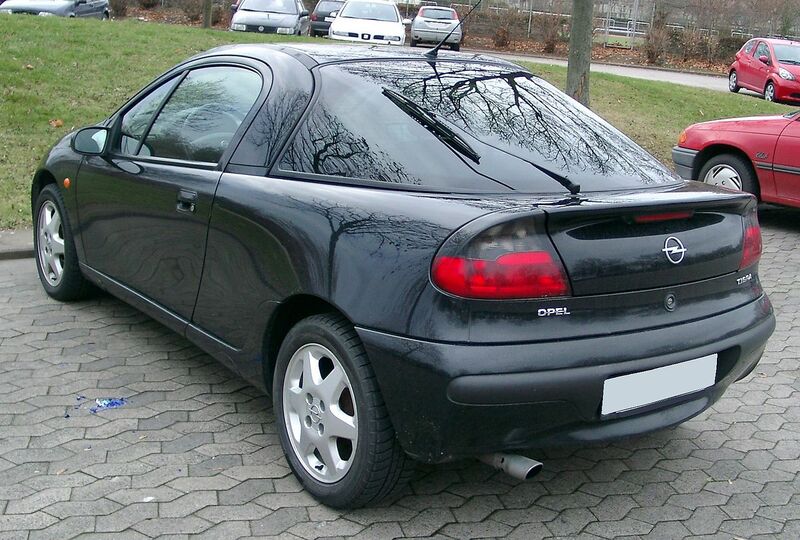 To meet this demand, Opel engineers developed an unusual variation on normal cooling for the 3.6 L truck engine. 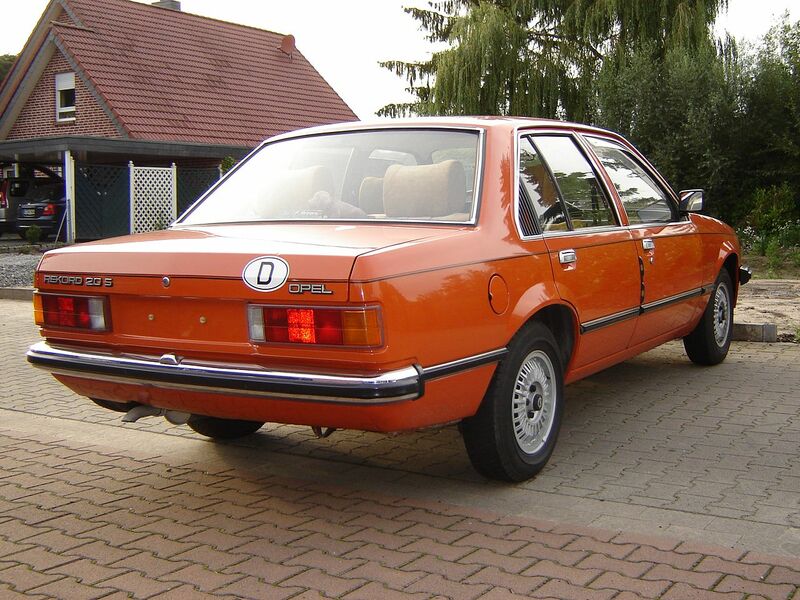 It was called “air-oil cooling,” and used engine oil to take heat away from the jackets around the cylinder barrels. 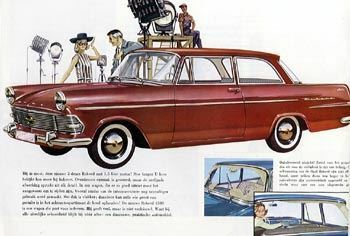 The heads were directly cooled by air, there being three separate aluminum finned heads, each serving two cylinders. 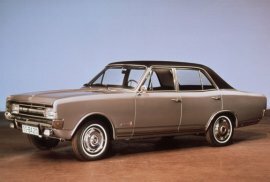 Of this interesting engine, which developed 72 hp (54 kW; 73 PS) at 3,000 rpm on 74-octane fuel, only three examples were built. 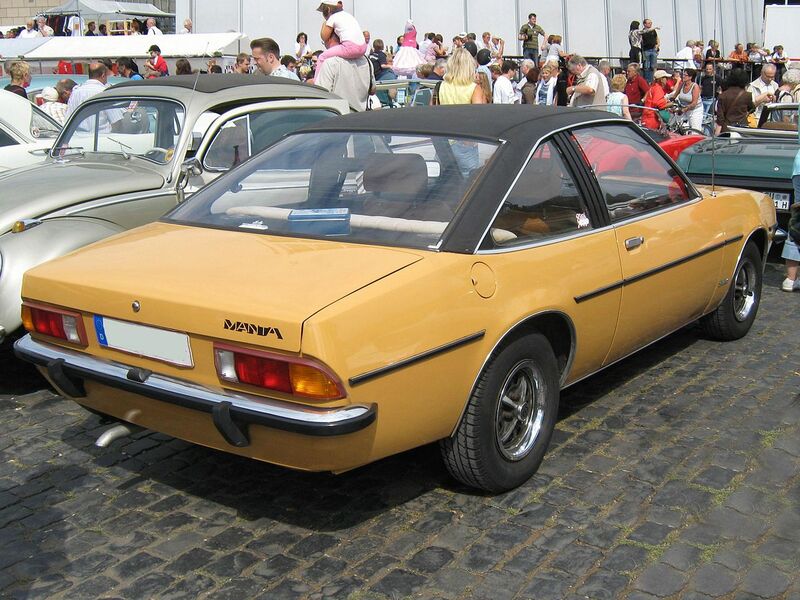 Other special jobs were undertaken at the Rüsselsheim factory. 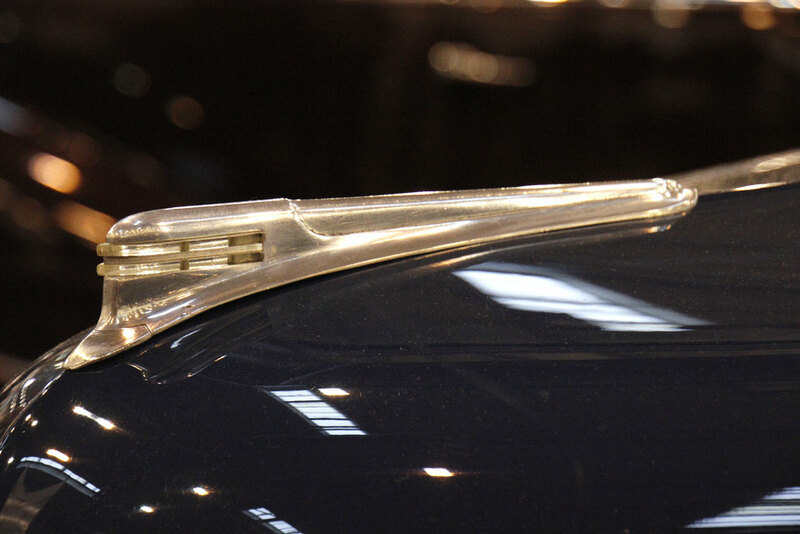 One that was too exotic to be typical was the construction of an intercooler for the supercharger of the famous Junkers Jumo aircraft engine. 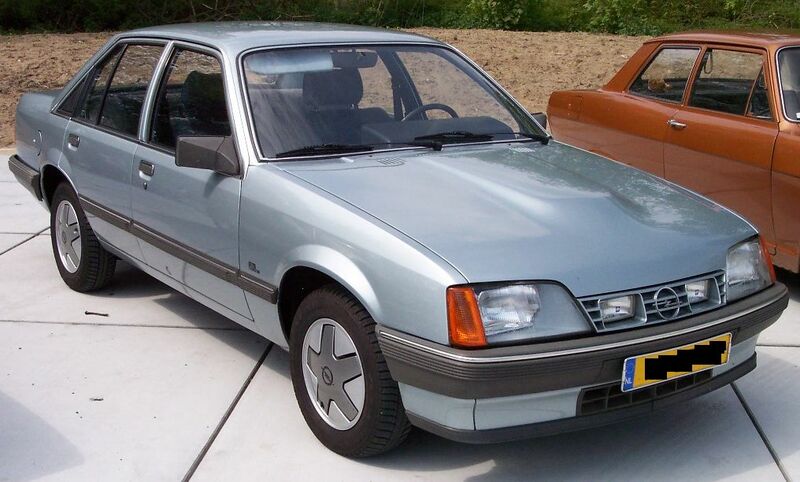 Special methods had to be developed to fabricate this vital assembly from very thin sheets of aluminum. 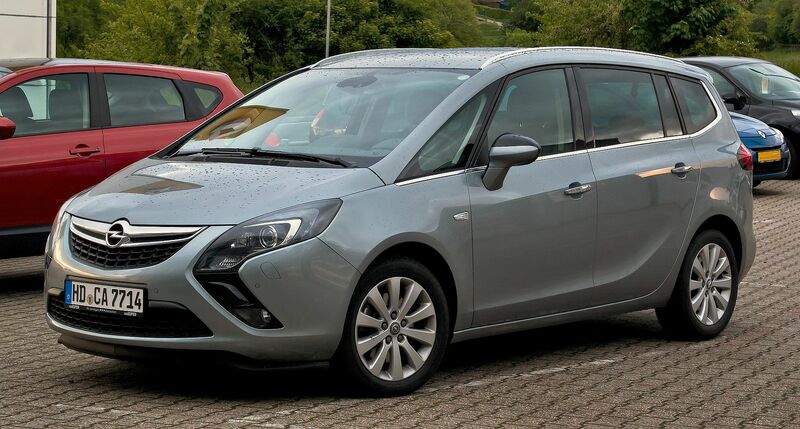 With work like this going on, Germany’s enemies naturally took note of the various Opel plants and, starting in August 1944, began attacking them by air. 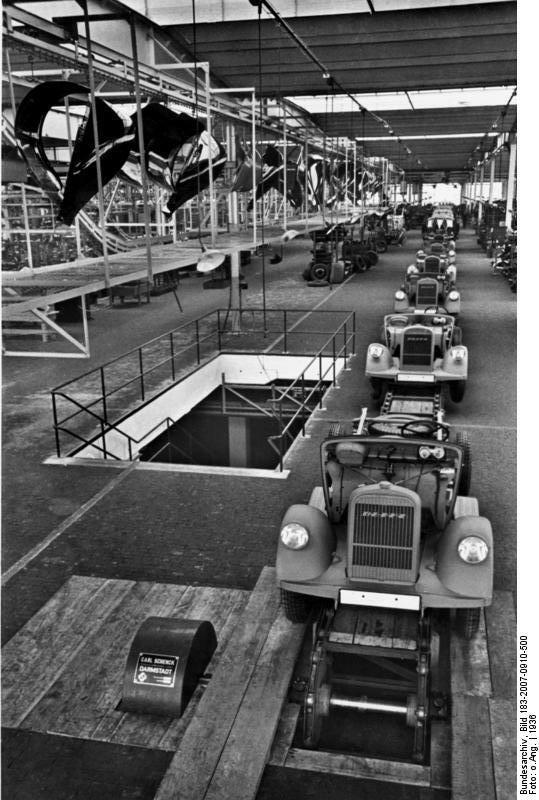 Destruction was heavy at both Rüsselsheim and Brandenburg from the attacks by Allied bombers. 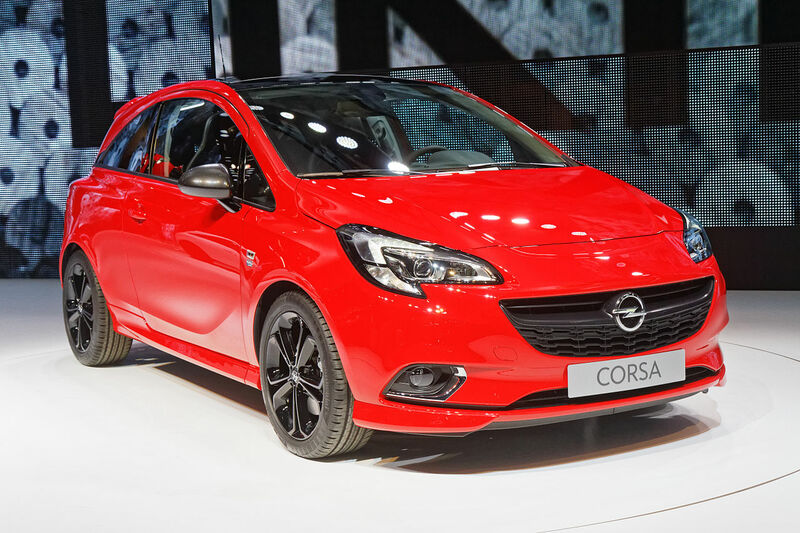 Never was the outlook more bleak at Adam Opel AG than in the first months of 1945. 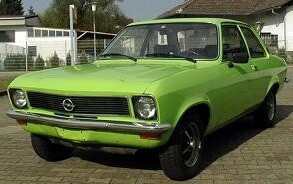 Opel had been transformed and rebuilt before. 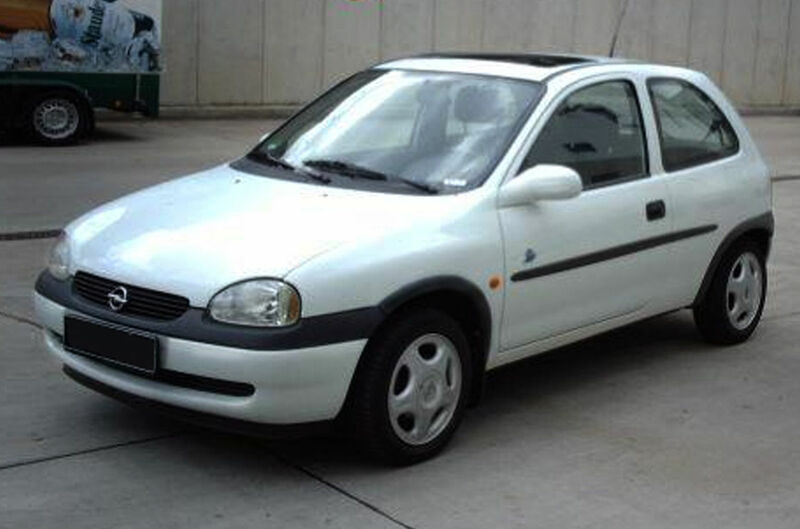 Beyond the efforts of the company’s staff, there was very little functioning in the factories and plants. 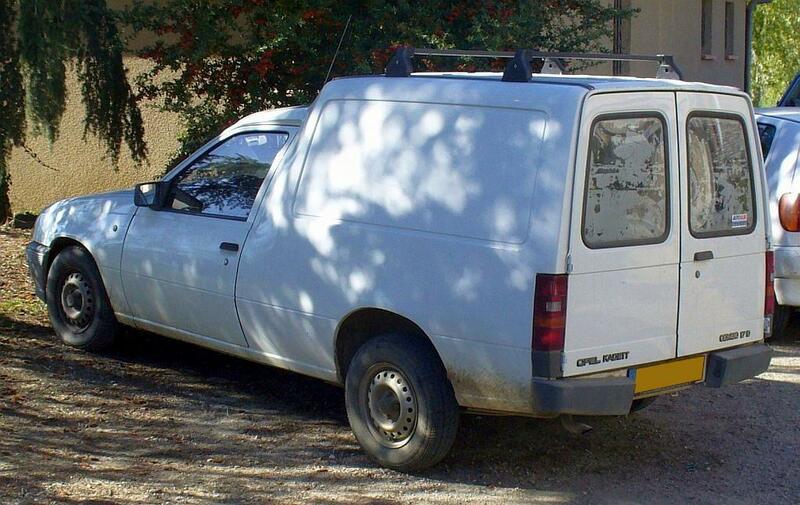 Many of the tools with which they once had worked were gone. 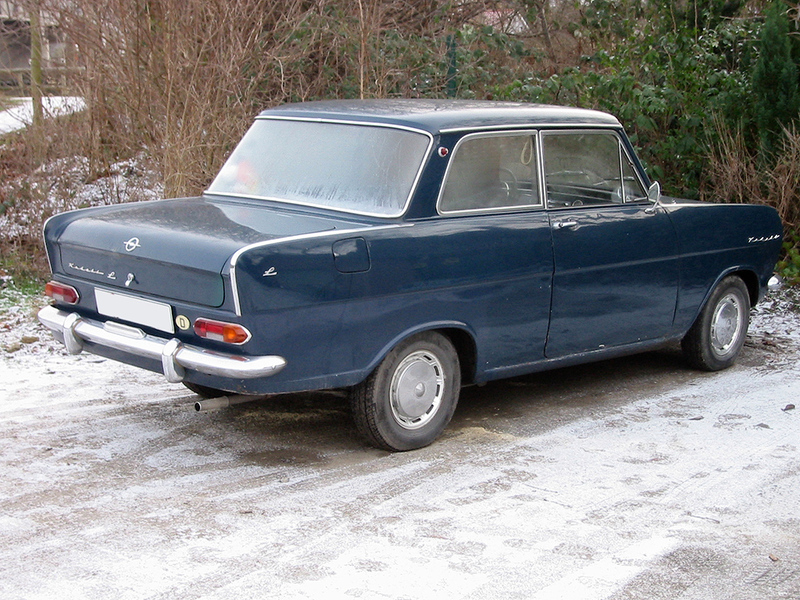 The Brandenburg truck plant fell into the Russian Zone of a divided post-war Germany. 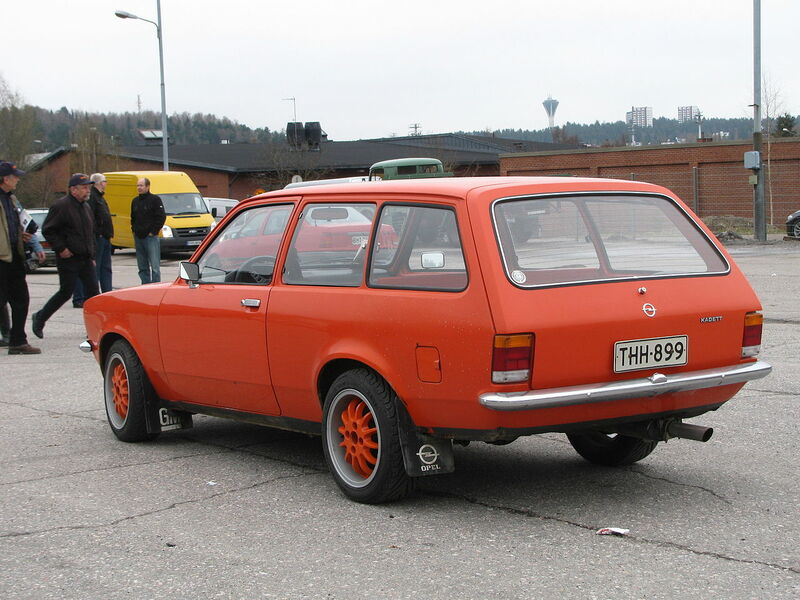 It did not stay there long. 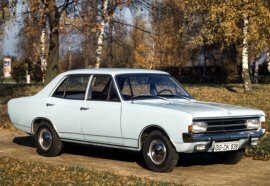 All the machinery and equipment – right down to the window frames and bathroom fixtures – was dismantled and shipped to a site near the Ural mountains. 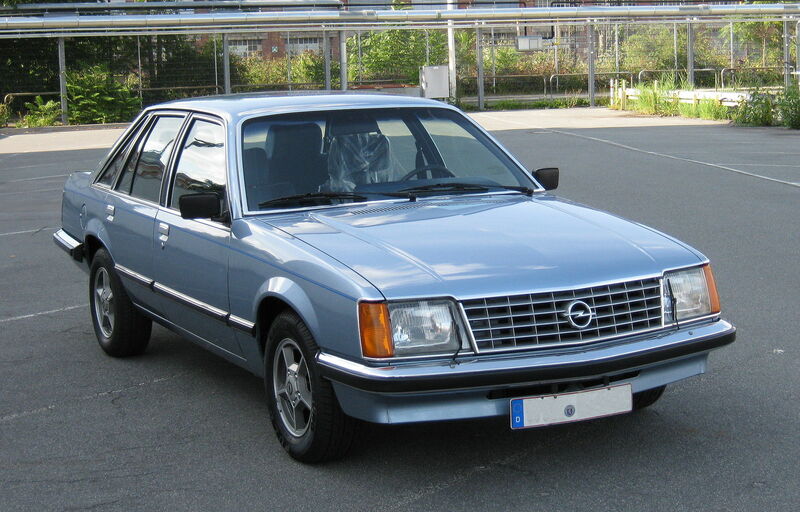 Cars as well as truck production lines were lost by Opel. 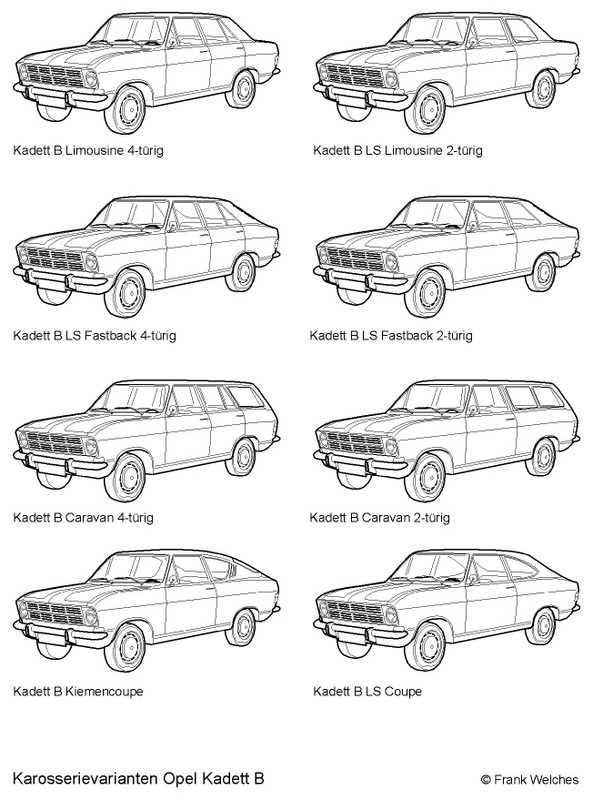 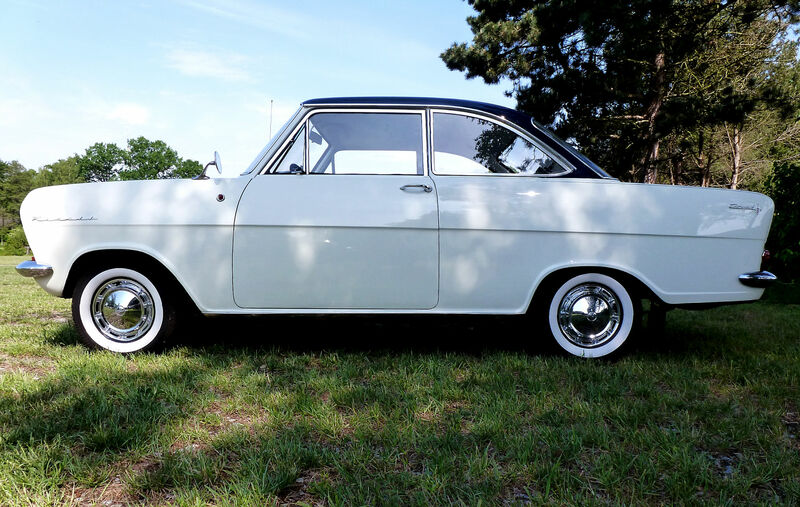 As reparations for war destruction, under plans of the Allied Forces, the Soviet Union asked the Allied Military Government for the tools, jigs, dies, fixtures, and drawings for the Kadett. 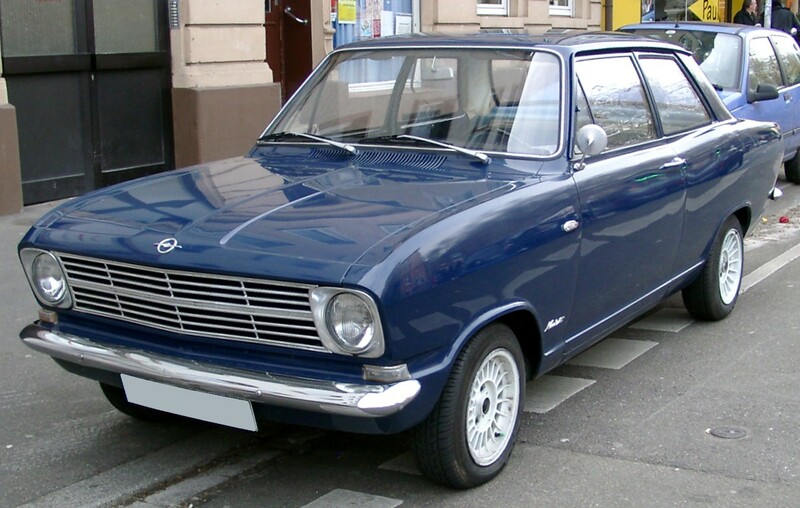 This, they said, they would use to begin auto production at an Opel subsidiary in Russian-occupied Leipzig. 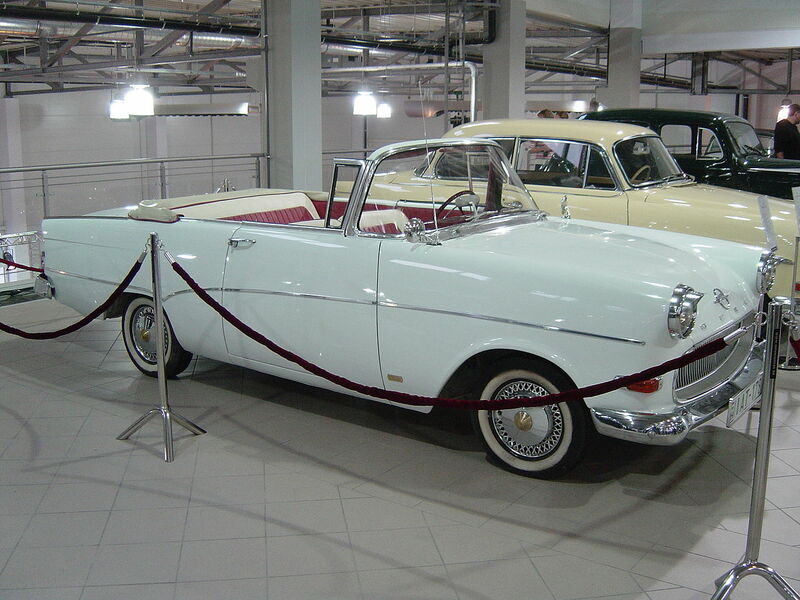 The equipment was duly delivered to the Soviets in June 1946, and that was the last Opel was to see of it – but not of the Kadett. 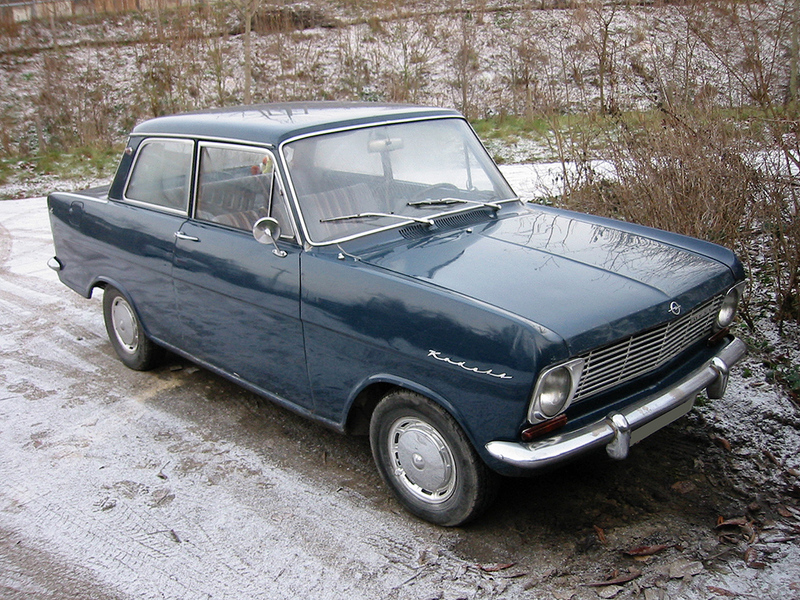 Just a year later a new Soviet car, the Moskvitch 400, rolled off a Moscow assembly line. 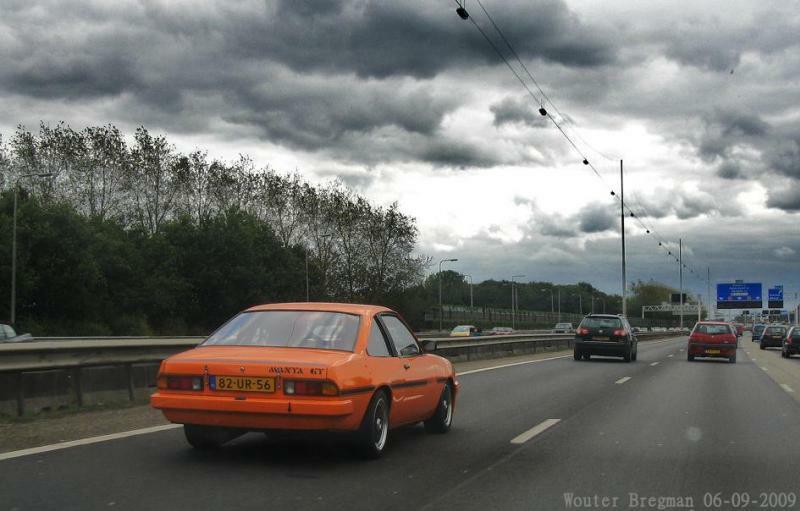 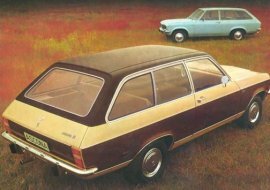 It seemed to be the Opel Kadett in every detail, with only the name changed (various sources provide contradictory information; see the respective article). 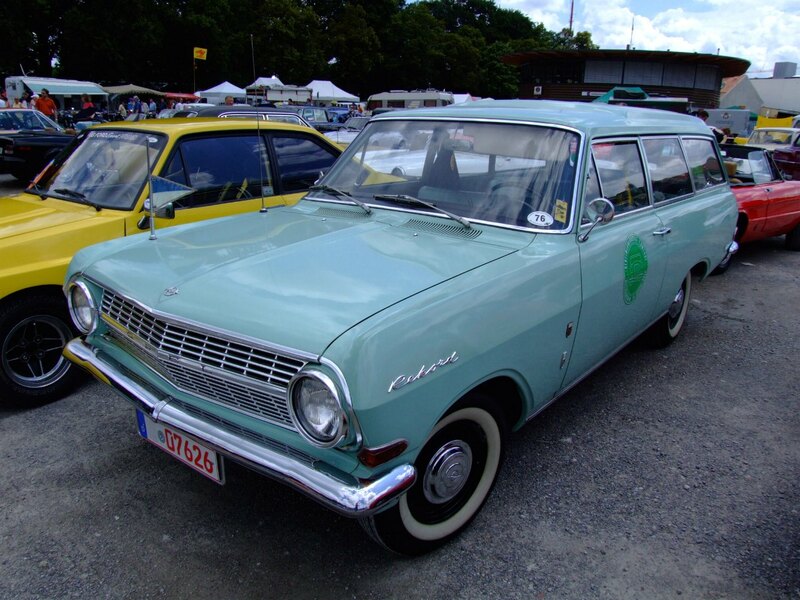 By late 1950, the Russians were exporting these Kremlin Kadetts to Belgium, stressing in their promotion that spare parts could easily be obtained from Germany. 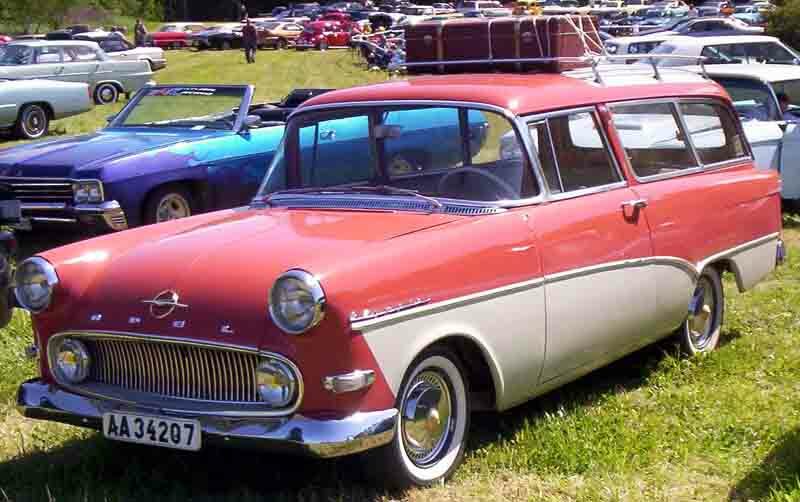 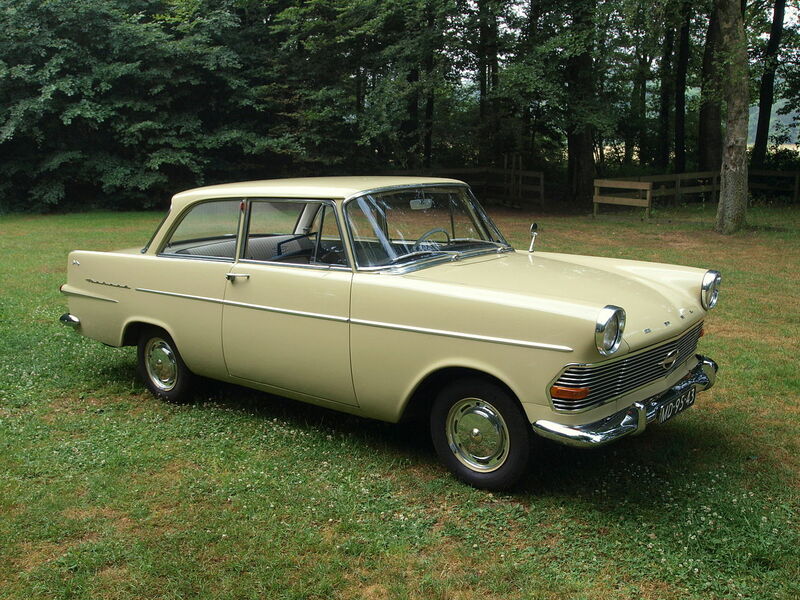 Not until 1959 was a Moskvitch model introduced that bore no trace of Opel engineering. 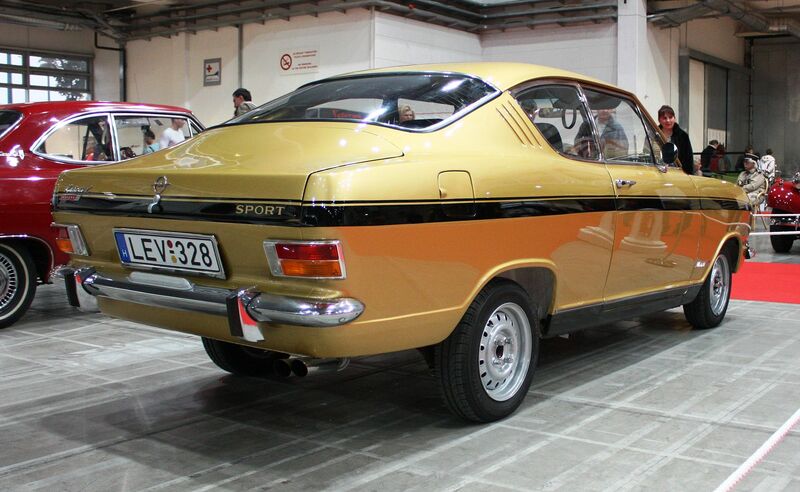 And by that time, Opel was just about ready to introduce a new Kadett of its own. 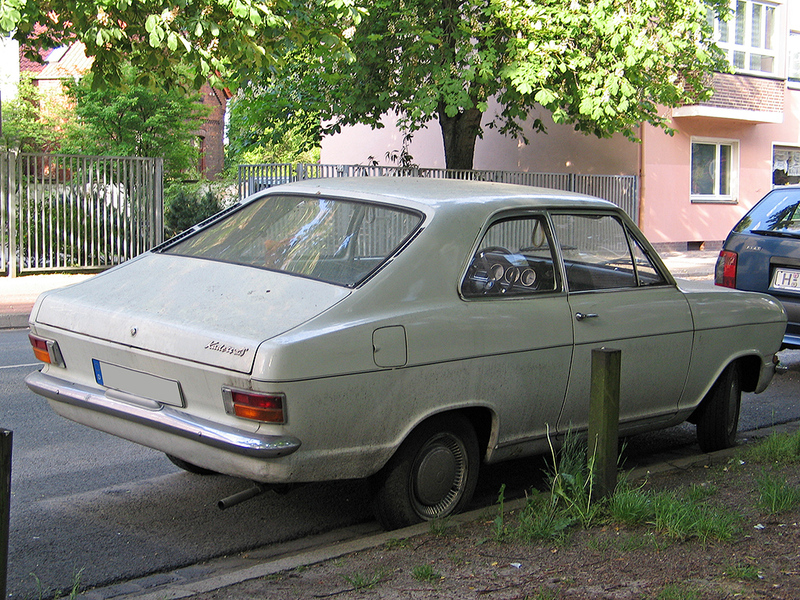 “(Opel) had been seized by the German government soon after the war began. 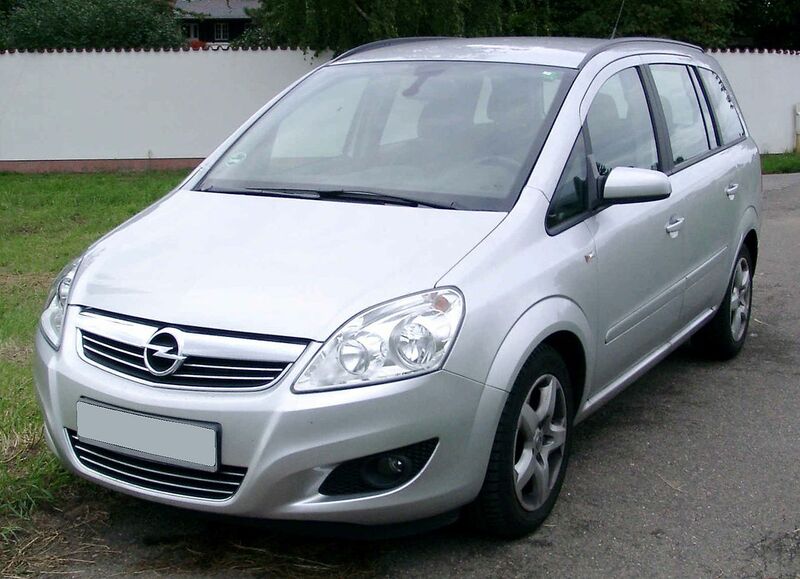 In 1942 our entire investment in Opel amounted to about $35 million, and under a ruling which the Treasury Department had made concerning assets in enemy hands, we were allowed to write off the investment against current taxable income. 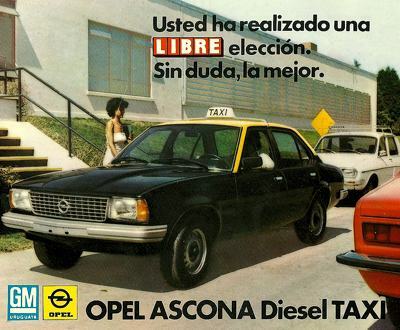 But this ruling did not end our interest in, or responsibility for, the Opel property. 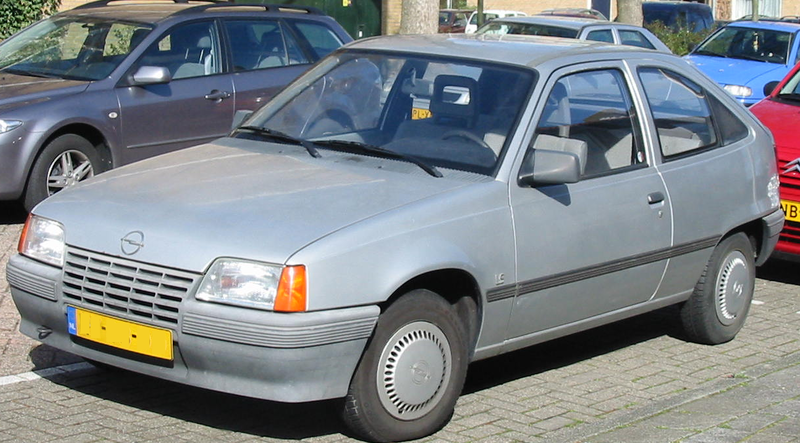 As the end of the war drew near, we were given to understand that we were still considered the owners of the Opel stock; and we were also given to understand that as the owners, we might be obliged to assume responsibility for the property.” It was a responsibility that Sloan and his associates weren’t at all sure was worth the risk in the chaos of postwar Europe. 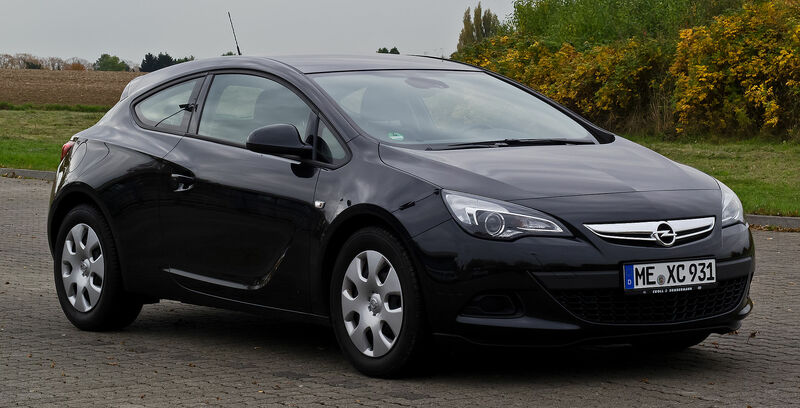 One resource that did not appear on the books of General Motors or on the rolls of the occupying authorities was most responsible for the recovery of Opel in 1945: the collaborative nature of its workers. 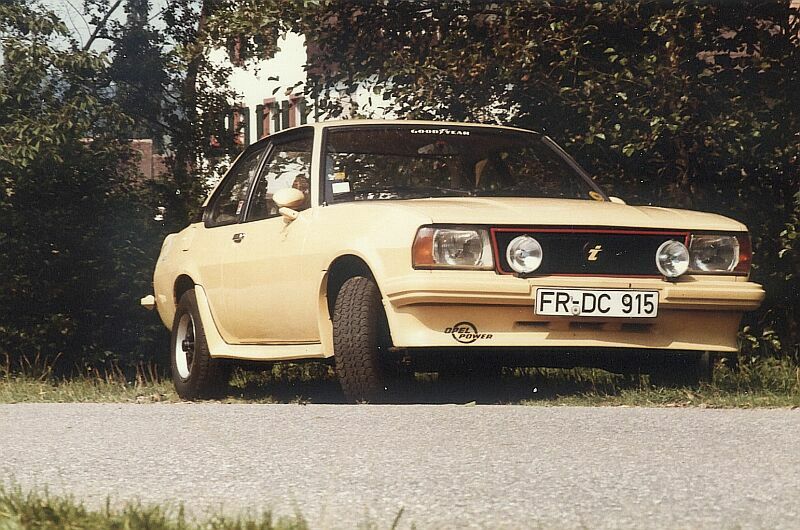 They were not itinerant hires who had looked on their work at Rüsselsheim as just another job. 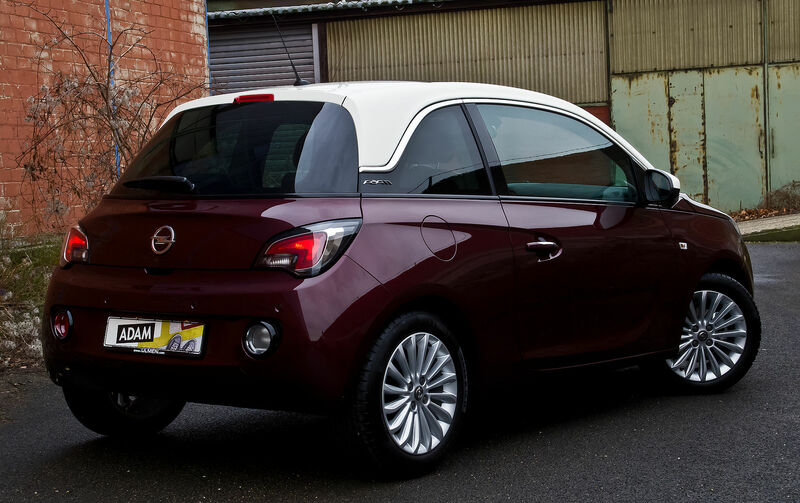 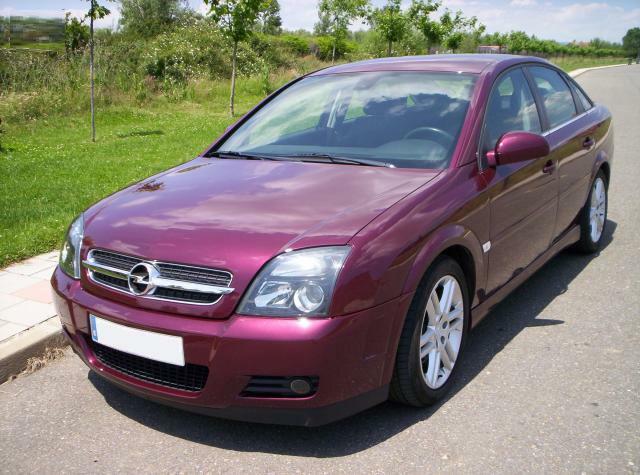 They were men and women who had, for the most part, come from that immediate area, many from the country, and had literally grown up with the Adam Opel AG. 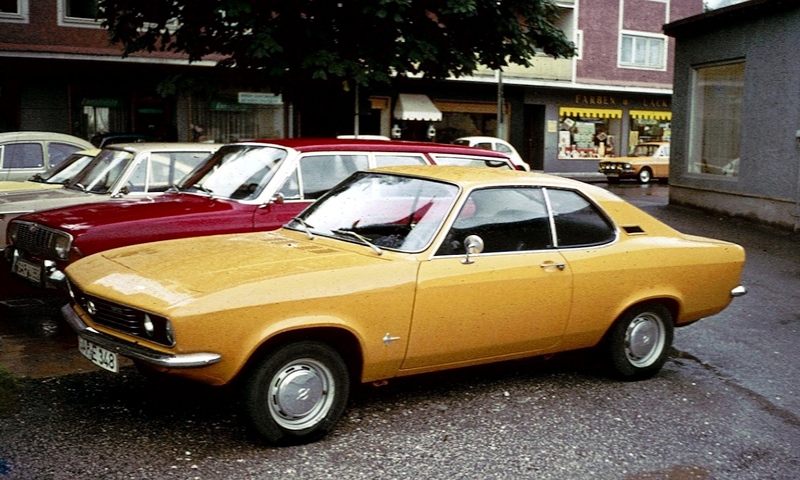 The fate of Opel was important to its workers, for its collapse would mean the loss of the most important employer for the people of Rüsselsheim, who were finding their way home from the chaos of war. 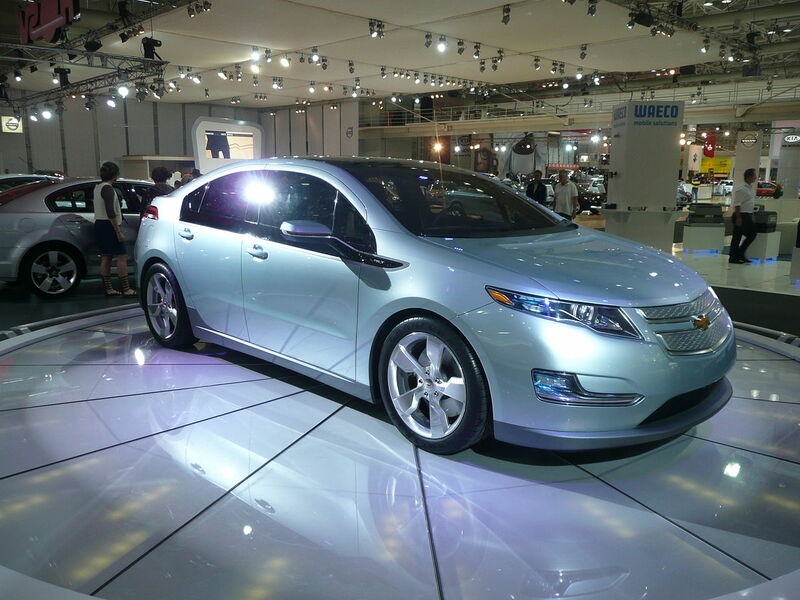 Just at war’s end a small skeleton crew began clearing the rubble from the plant. 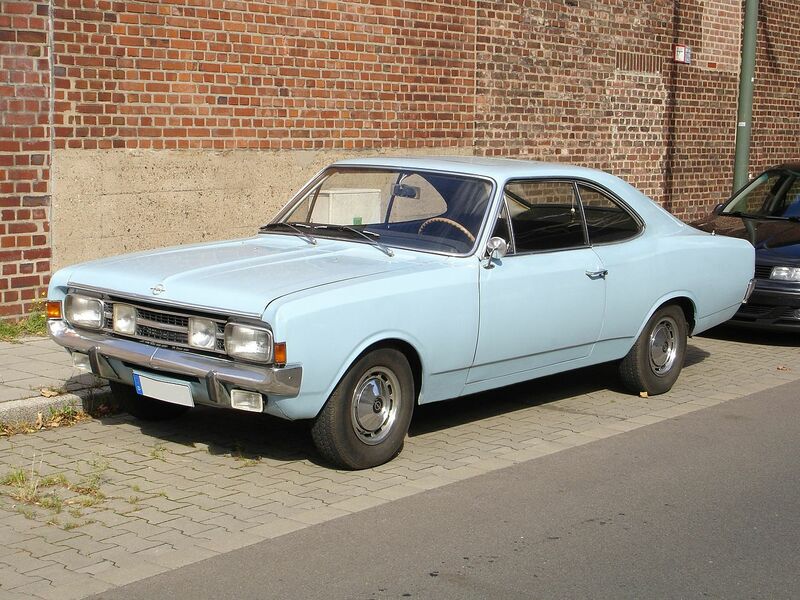 By May 1945, this work had advanced enough to allow the beginning of production of desperately needed Opel parts. 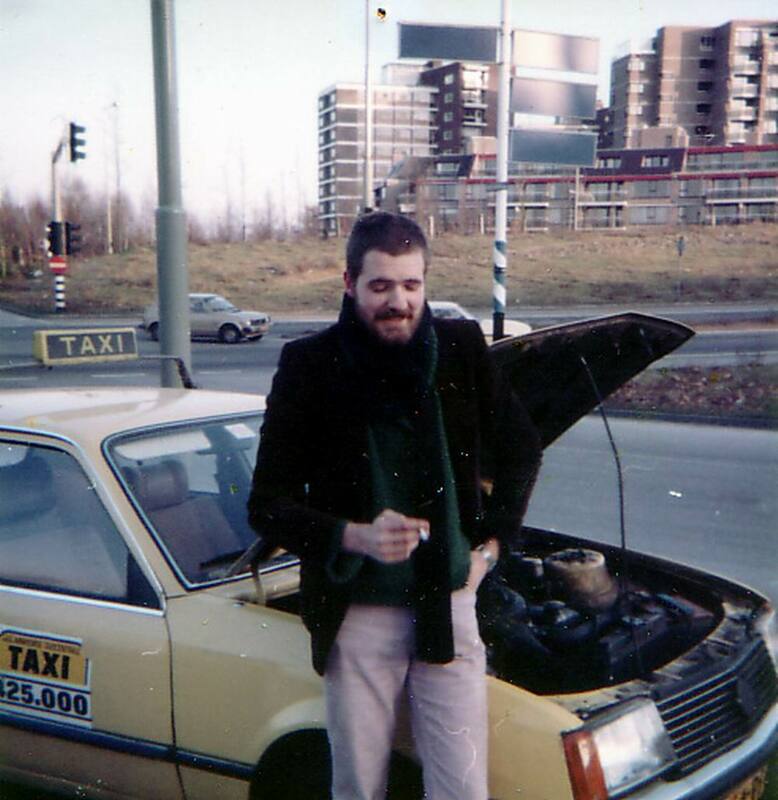 Getting the materials for them was more dependent on barter and black markets than it was on normal sources of supply, which had all but ceased to exist. 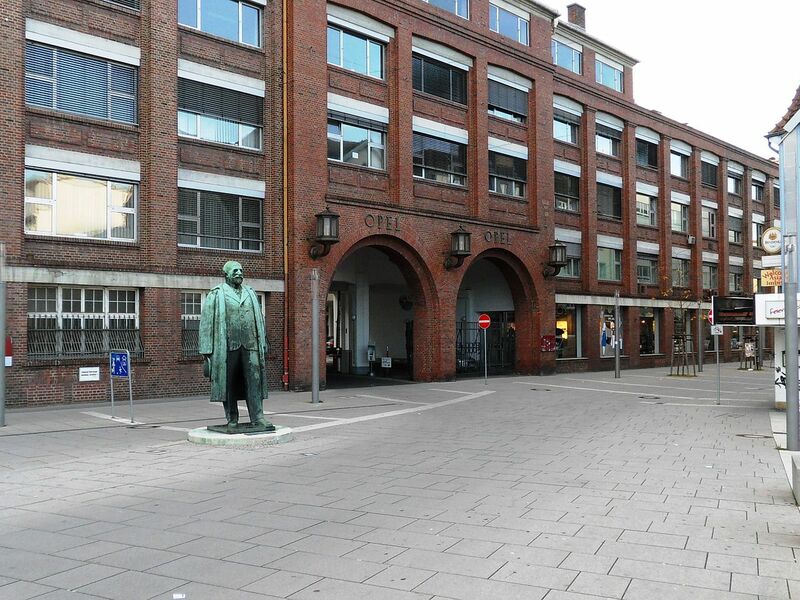 One of the administration buildings in Rüsselsheim. 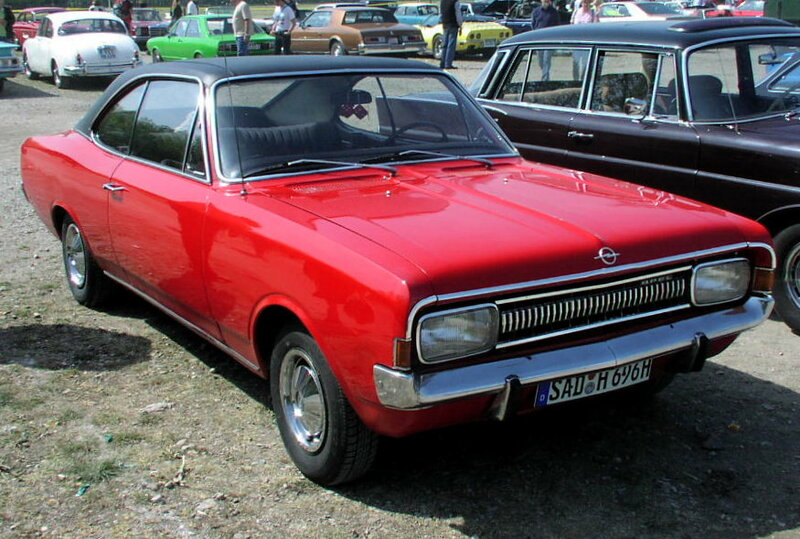 After the end of the war, with the Brandenburg plant dismantled and transported to Russia, and 47% of the buildings in Rüsselsheim destroyed, former Opel employees began to rebuild the Rüsselsheim plant. 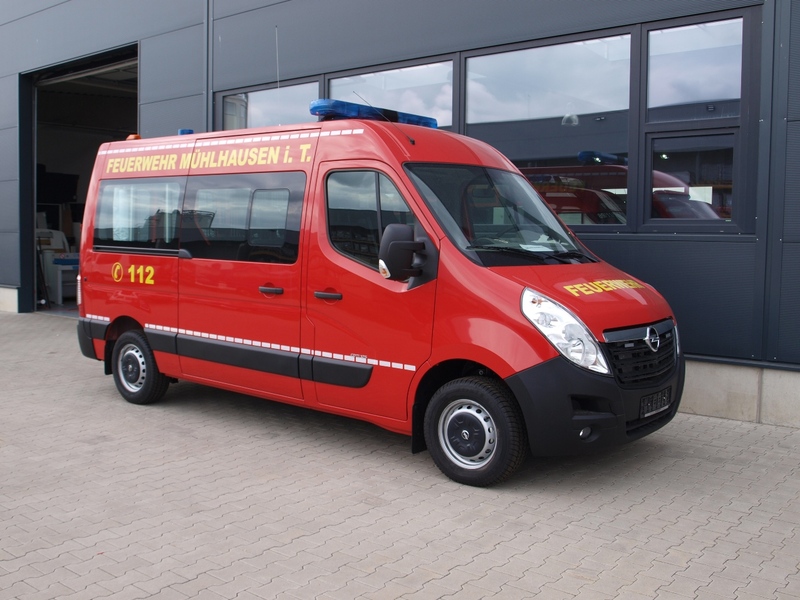 In response to the pressing need for new trucks in a Germany struggling to rebuild, the American authorities governing Rüsselsheim granted permission to the plant to produce a 1.5 short tons (1.4 t) truck powered by the 2.5 L Kapitän engine. 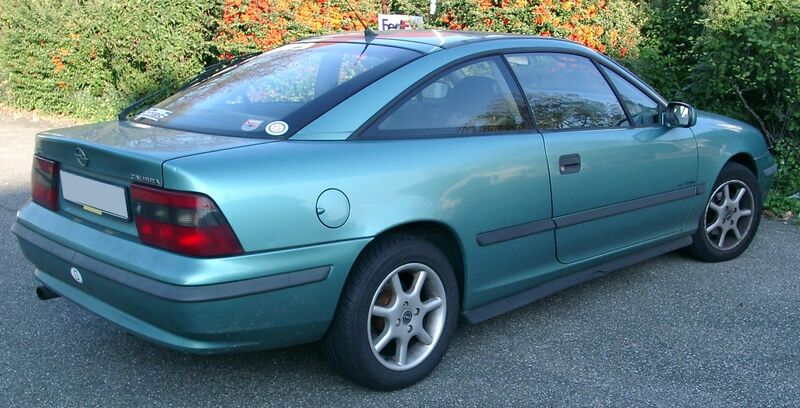 It was a minor miracle that even this was possible. 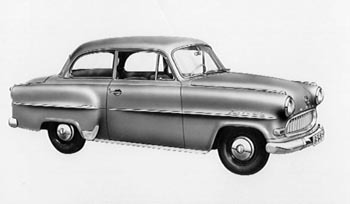 By January 1946, the plant itself was ready to build trucks but many of the almost 12,000 parts needed to make each one were lacking. 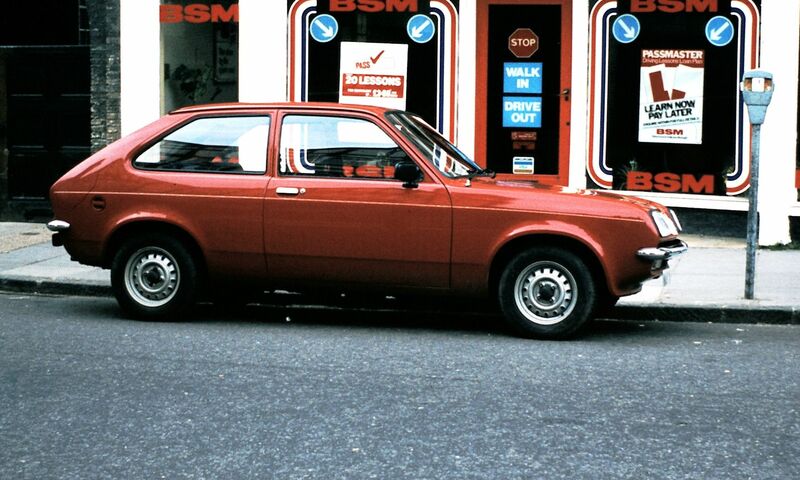 Before the big firms could begin, the small ones had to get started too. 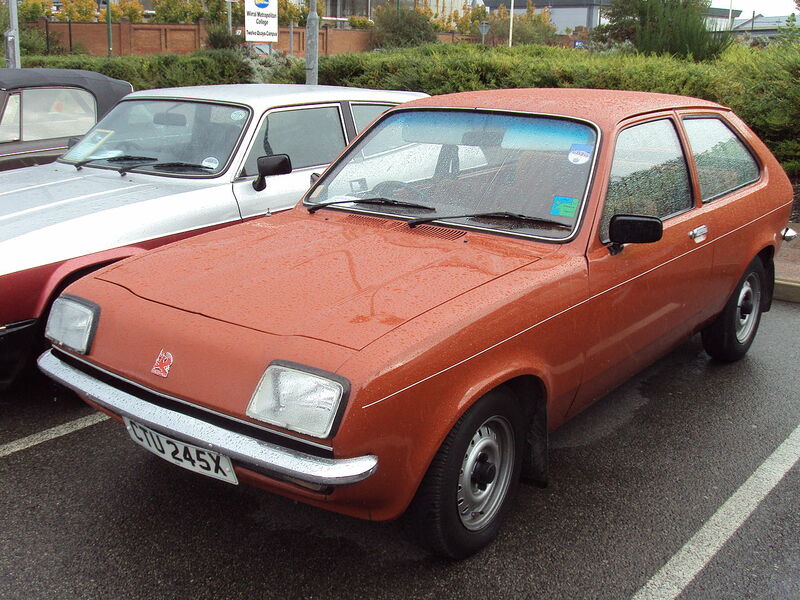 And illness and poor nutrition so crippled the staff of 6,000 workers that it was normal for 500 to be too sick to come to work and more than 400 to report sick during the day. 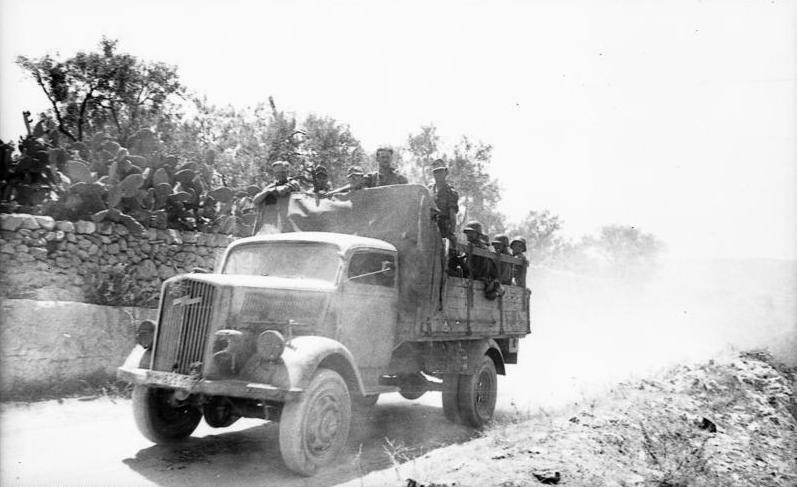 Overcoming these and other obstacles, Opel finally celebrated the completion of the first postwar Opel Blitz truck on 15 July 1946 in the presence of U.S. Army General Geoffrey Keyes and other local leaders and press reporters. 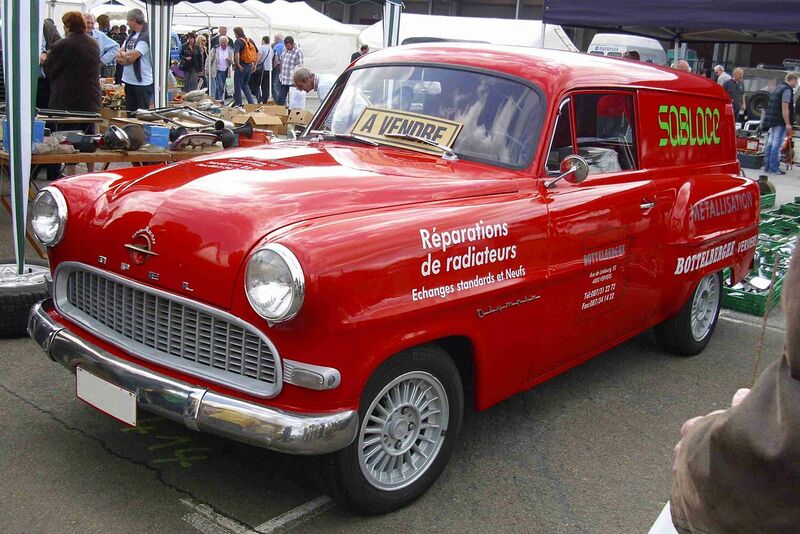 Priced at 6600RM, the truck was designed to run either on gasoline or on wood gas, for which a gas generator could be supplied. 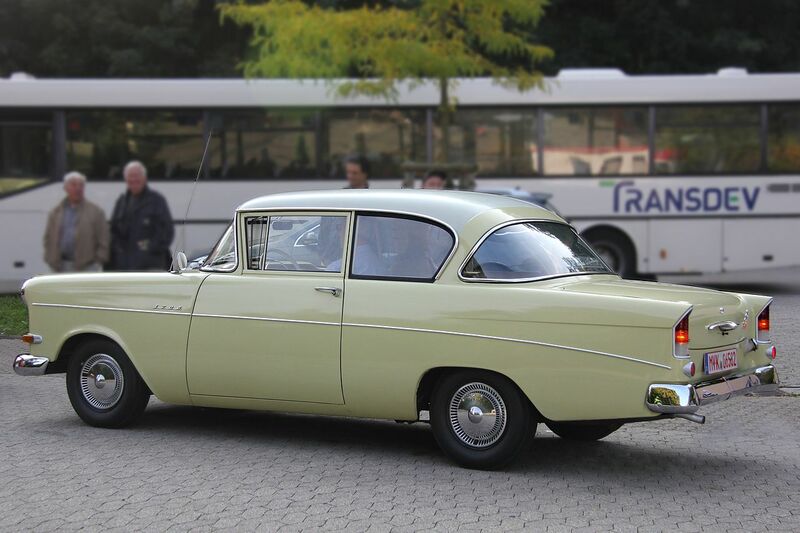 With a ceremonial bouquet of flowers flying from its rear-view mirror, this historic Opel Blitz left the factory gate bound for a buyer in Wiesbaden on 26 July. 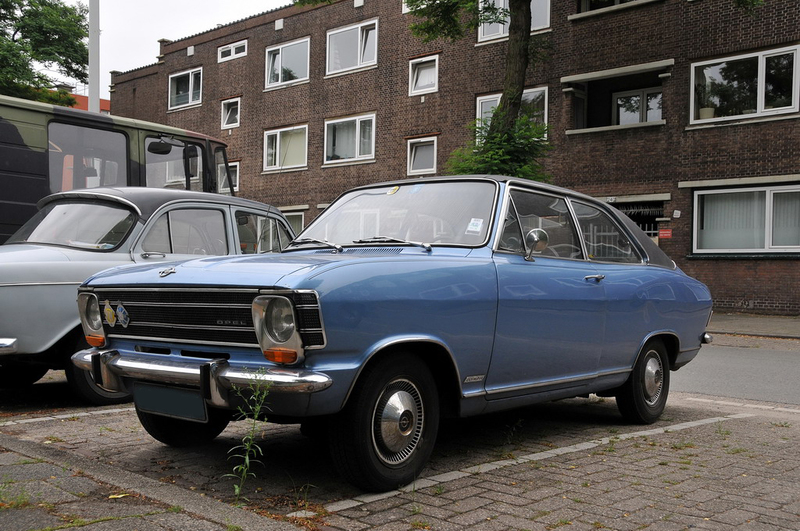 Further production followed at a rate of 150 a month, and by the end of 1946 the production total was 839. 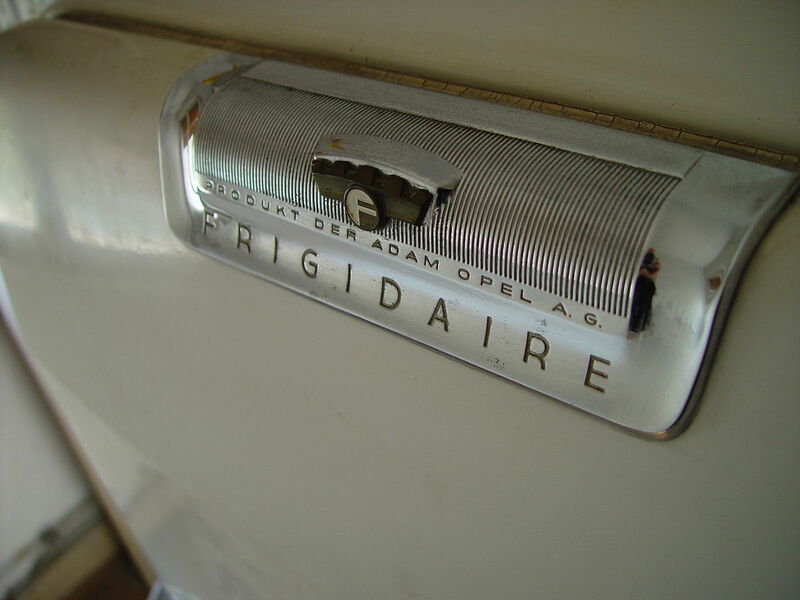 Frigidaire refrigerators were also being made at Rüsselsheim, as were Olympia engines for the NSU Kettenkrad. 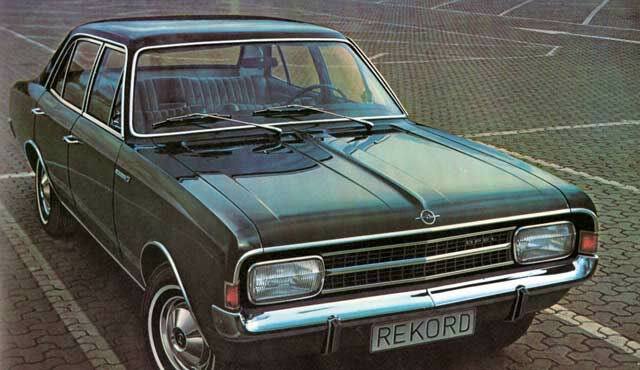 The next step for Opel was the resumption of passenger car production. 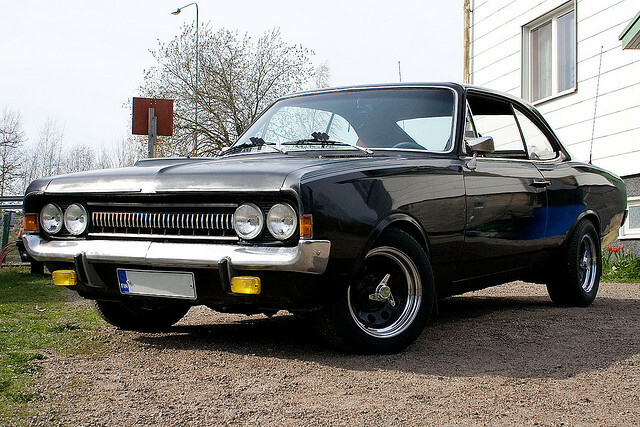 It might have seemed easiest to bring back the Kapitän first, since its engine was already in production for the truck. 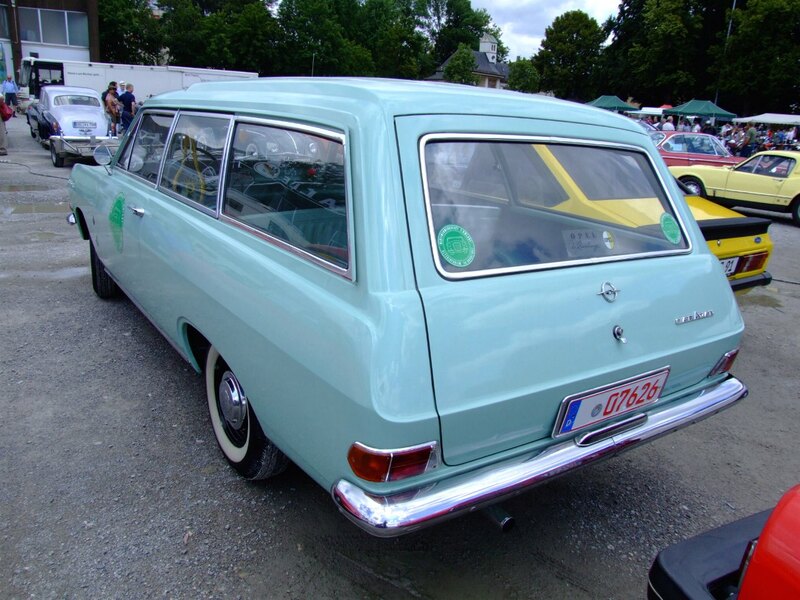 But occupation regulations restricted German civilians to cars of 1.5 L or less, which made the Olympia the obvious candidate. 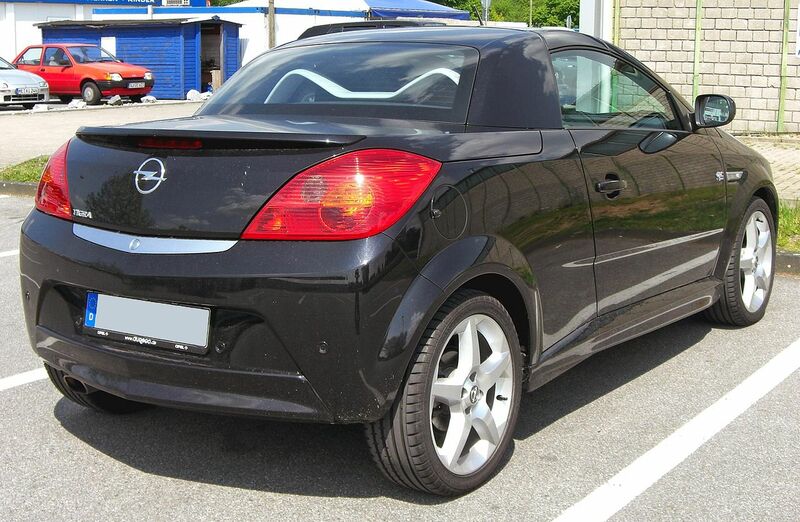 Under Dr. Ing e.h. Karl Stief, who had been chief engineer at Opel since 1934, useful changes were made to this tough little car. 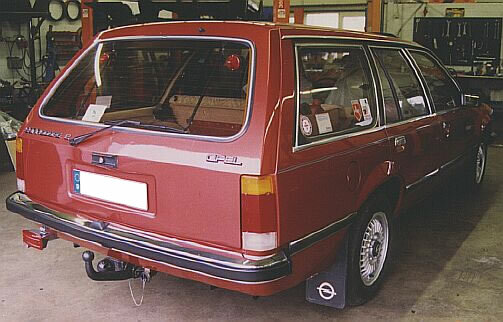 The Dubonnet front suspension was replaced by a conventional coil-and-wishbone layout and the steering was correspondingly rearranged. 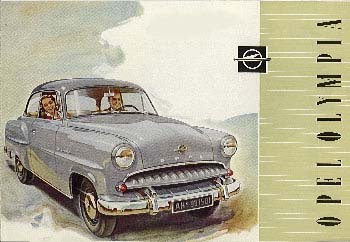 Announced in November 1947, production of the post-war Olympia, with austere painted hubcaps, began in December 1948 and allowed a modest return to export sales in that year. 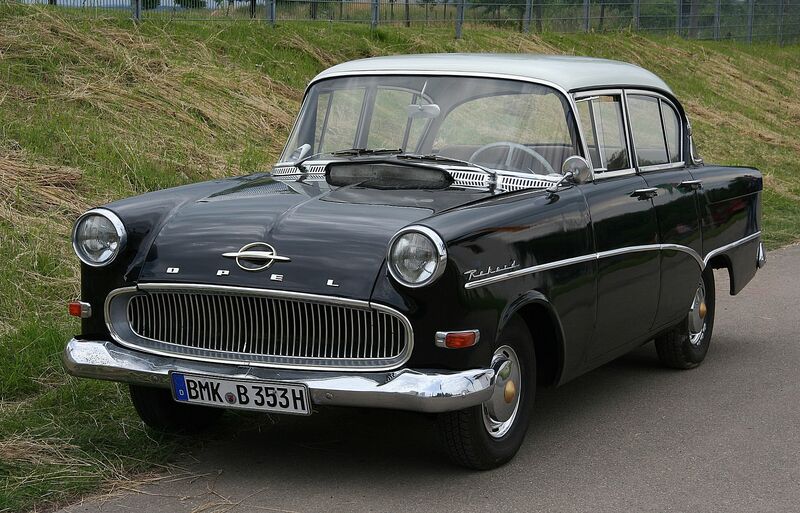 In October 1948, the Kapitän came back to the Opel lineup, unchanged except for such details as the shape of the headlights and improvements in the leaf springs and dampers. 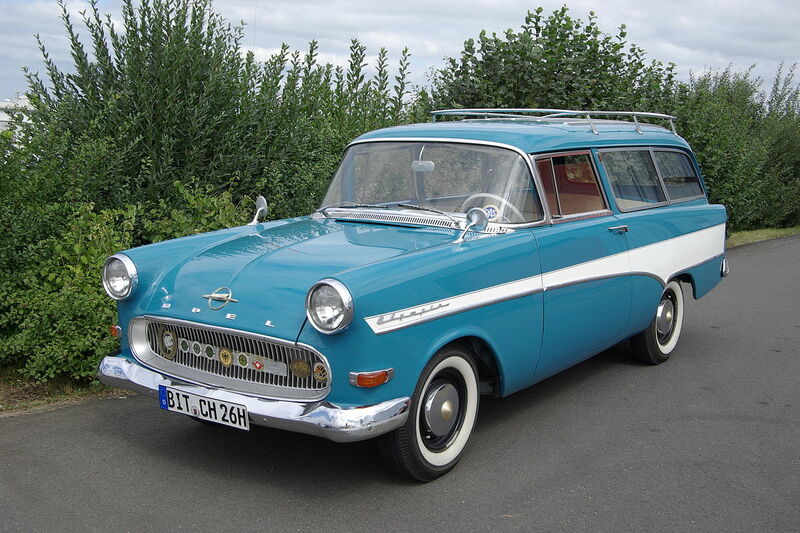 Prices in 1948 were 9950 DM for the Kapitan and 6,785 DM for the Olympia (the Deutschmark having replaced the Reichsmark on 20 June 1948). 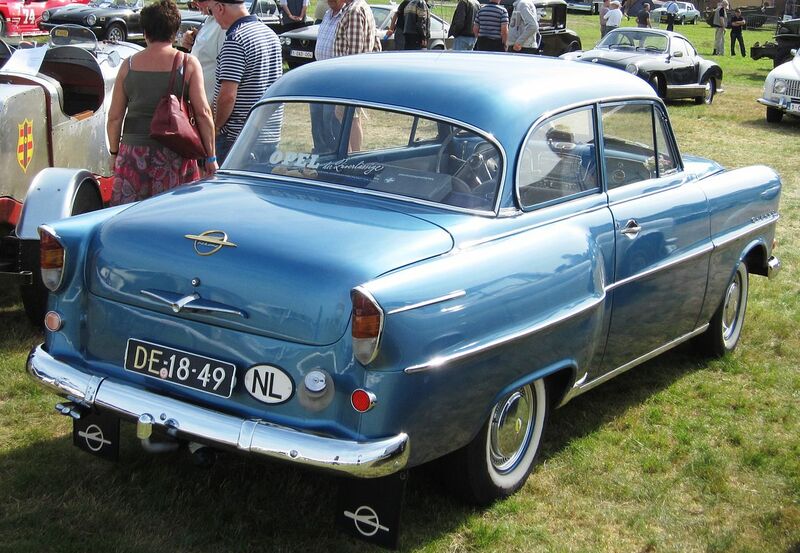 Other events which would powerfully affect Opel’s future were taking place in 1948. 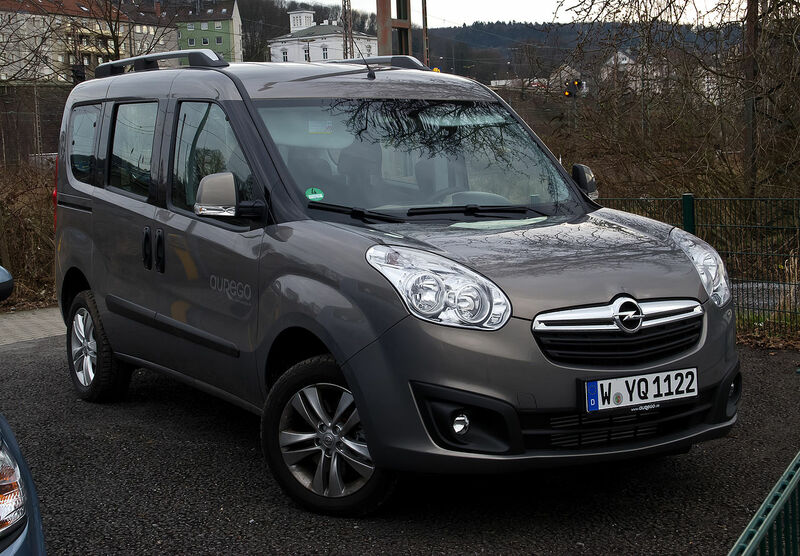 In February and March, a GM study group came to Germany to investigate every aspect of Europe’s economic situation and Opel’s special problems. 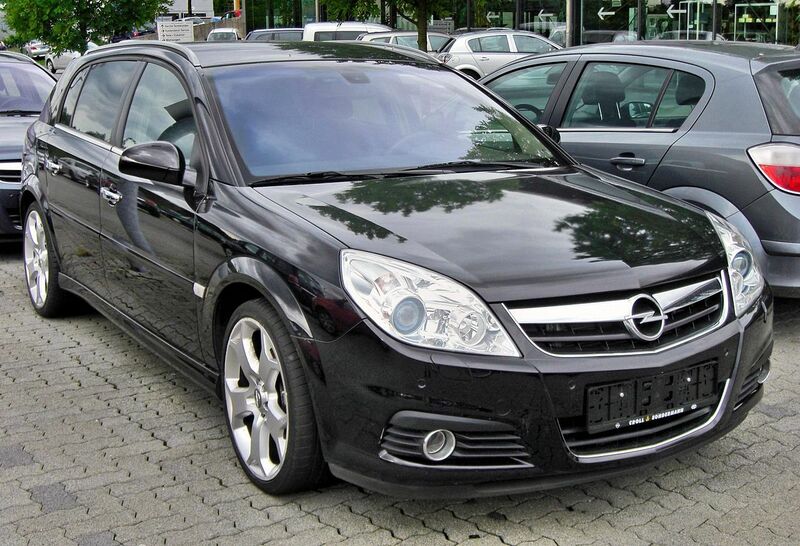 On their return they submitted a report, on March 26, recommending that General Motors resume control of Opel. 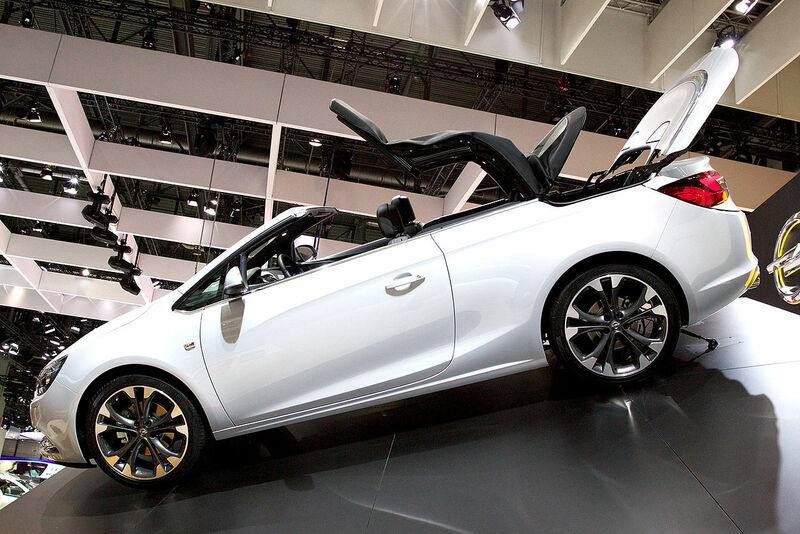 On April 5, however, GM’s financial policy committee concluded that “in view of the many uncertainties surrounding the operation of this property, the Corporation is not justified in resuming the responsibility for its operation at this time…” GM, it seemed, didn’t want Opel. 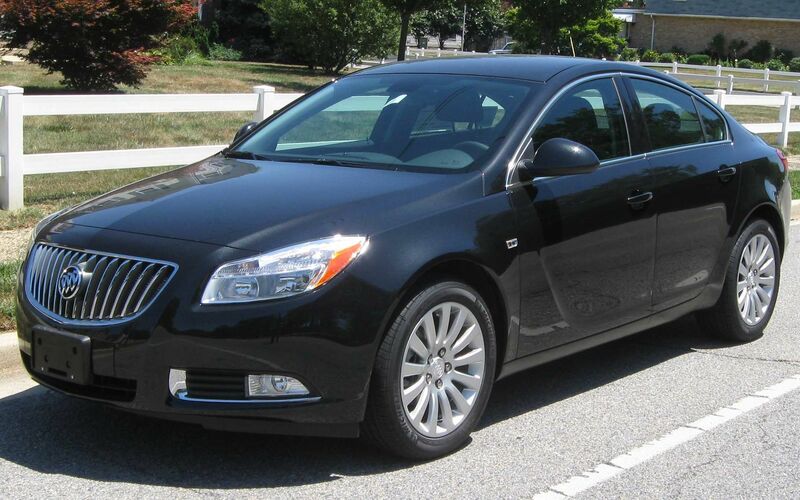 Such executives as Alfred P. Sloan Jr., and Charles Wilson, GM’s President, then were considering the options. 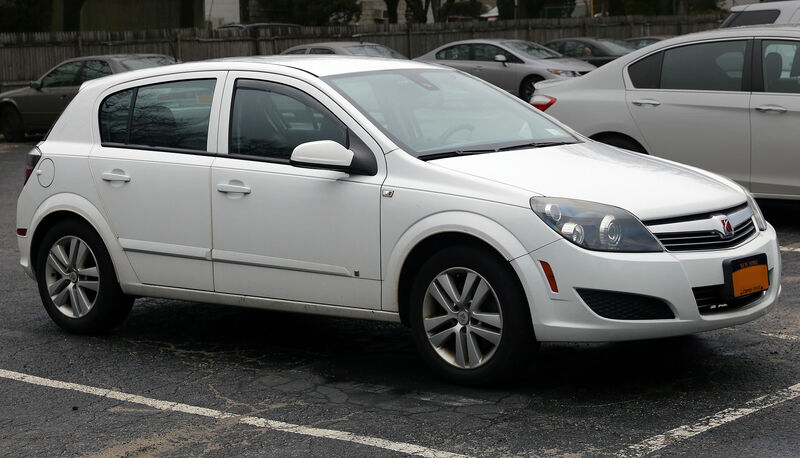 Later in April, Sloan sought to resolve the differences of opinion with a position paper that he hoped would set up conditions for resuming control of Opel that would put at rest the doubts of GM’s more conservative financial minds. 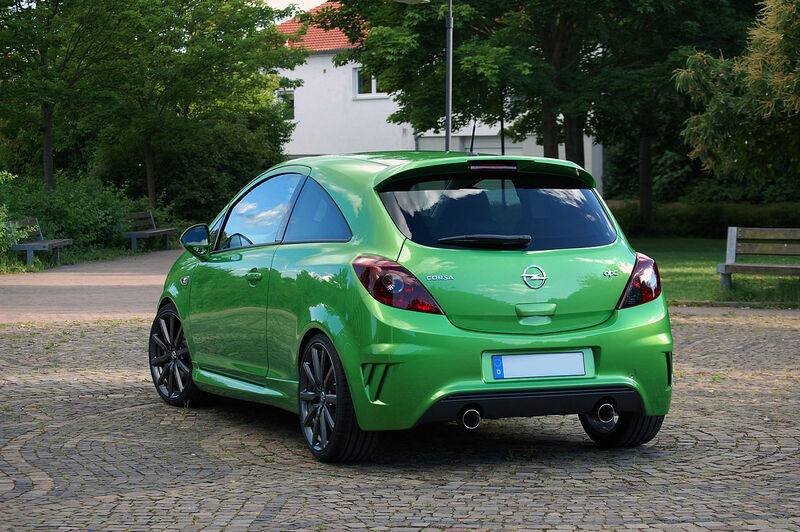 With these guidelines in mind, the Opel question was put again on 3 May to the GM financial policy committee, which then withdrew its objections to a return to Rüsselsheim. 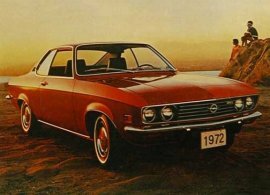 Many details still had to be worked out, both within GM and in the U.S. occupied zone of Germany, before this could actually occur. 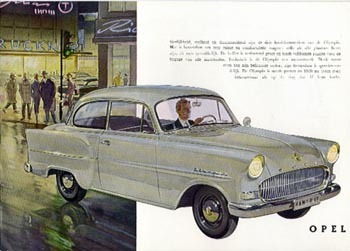 At last, the official word was released on 1 November 1948: GM resumed management control of Adam Opel AG. 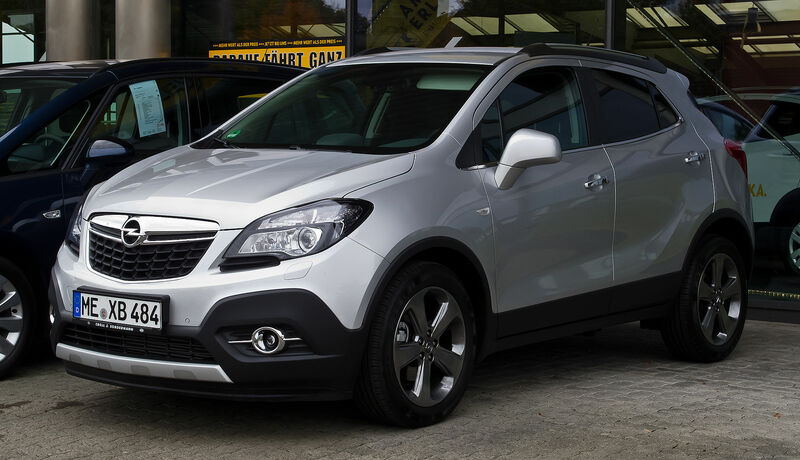 Edward W. Zdunek, formerly regional manager for Europe of General Motors Overseas Operations Division, was named managing director. 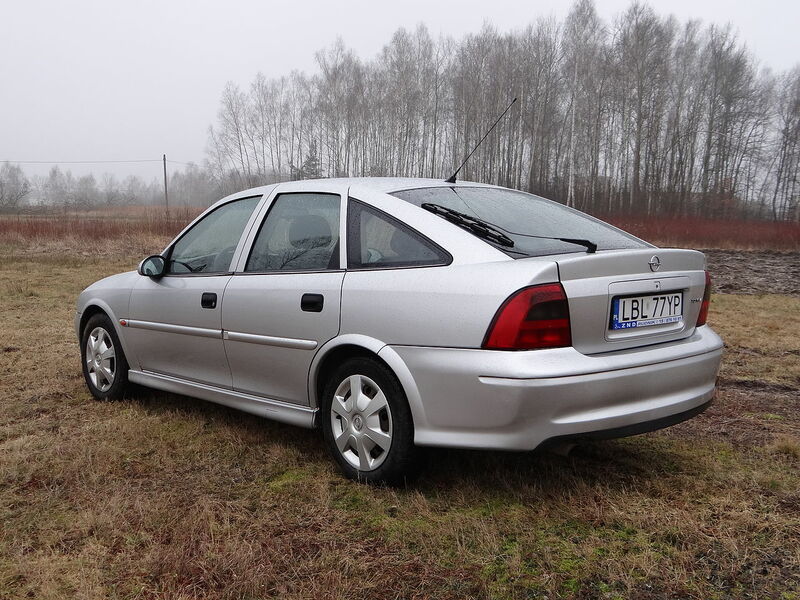 The appointment of Zdunek to this post was a move of special significance. 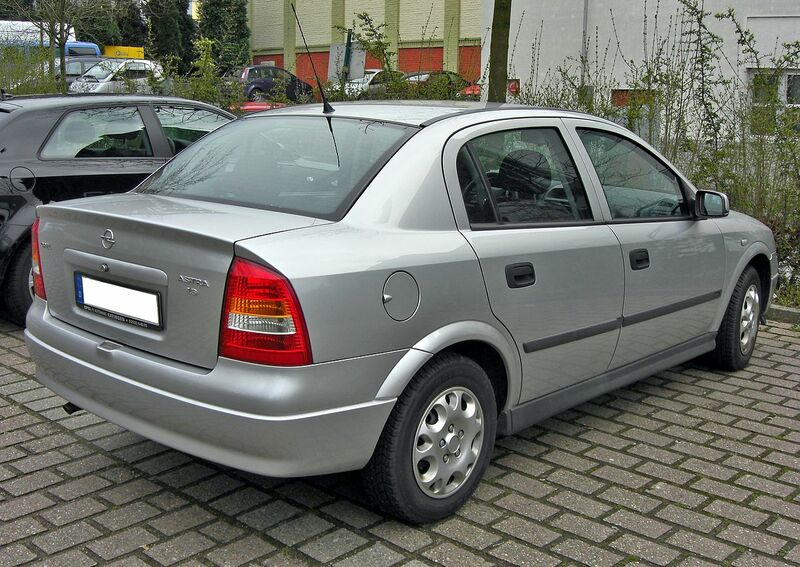 An experienced motor industry executive, he reportedly was most respected by those, who worked for him. 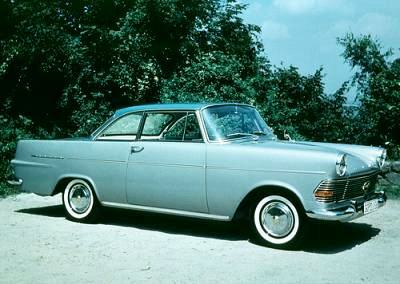 Ed Zdunek was regarded as the perfect choice to guide Opel through this difficult environment of postwar Germany. 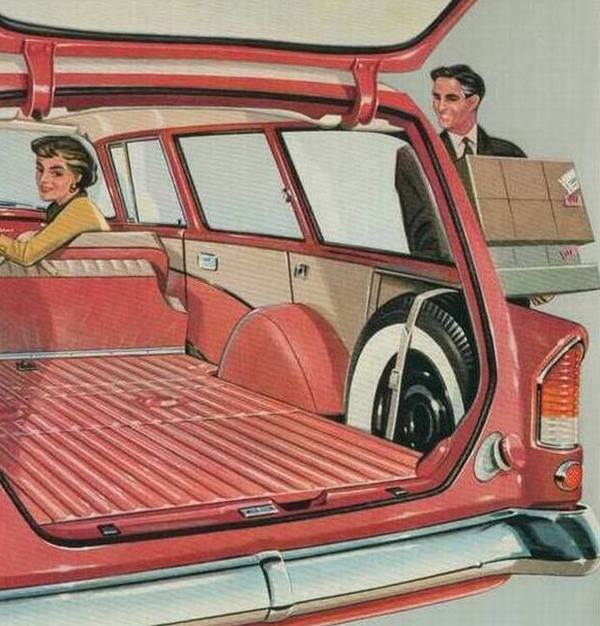 He continued in that critical position until 1961. 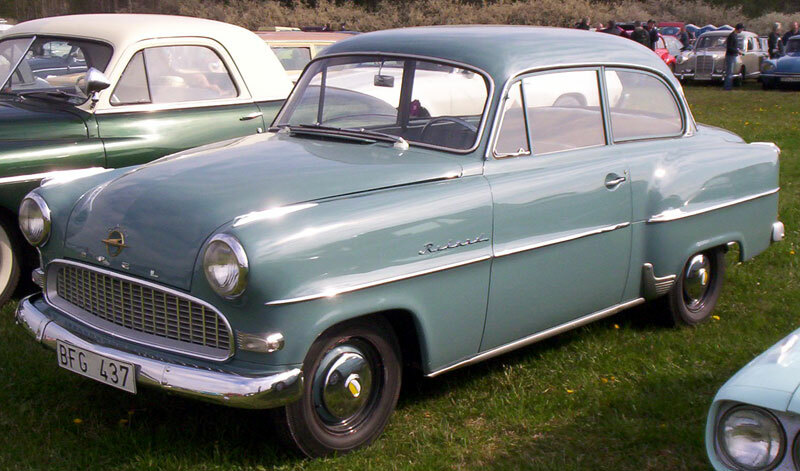 Changes in the Opel cars under GM’s management didn’t appear until January 1950, when a face-lifted Olympia was introduced. 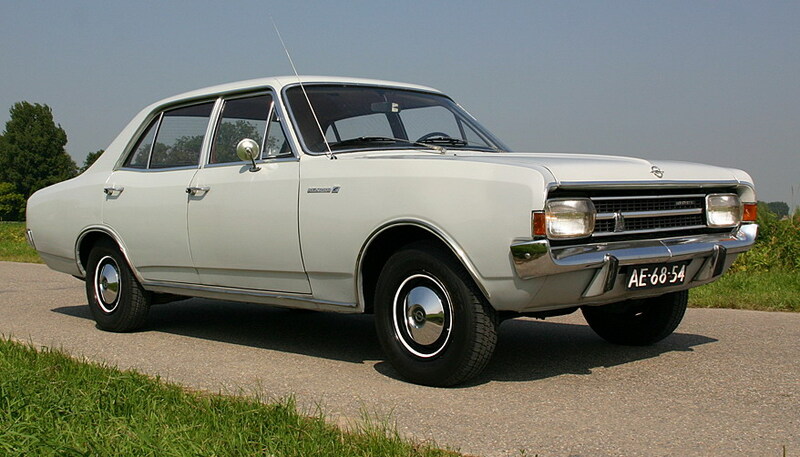 Front and rear fenders were elongated and a heavy horizontal chrome grille was added. 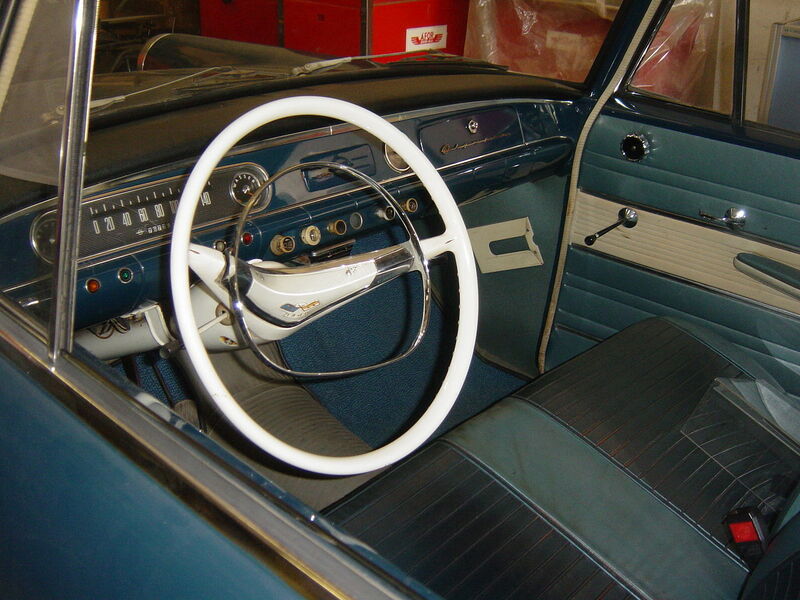 A retrograde step was the replacement of the four-speed gearbox with a three-speed unit, with a column shift lever. 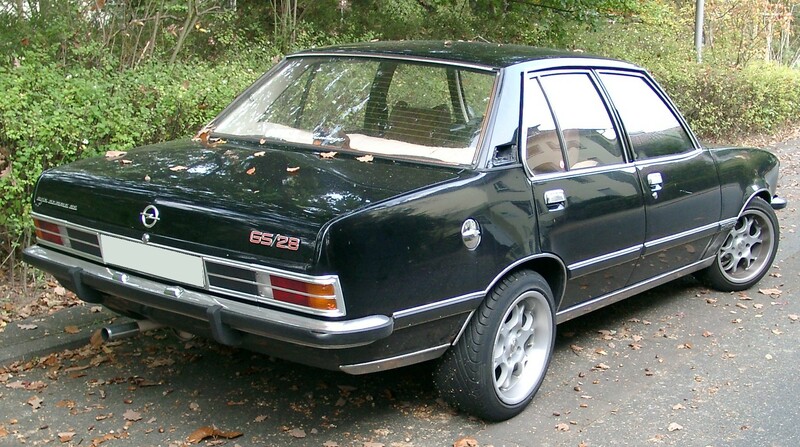 Engine tuning emphasized high torque at low engine speeds so the extra ratio wasn’t too sorely missed. 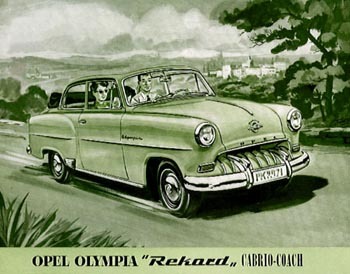 The cabrio-coach model was returned to the Olympia range and a kombi was also offered, built by Karosserie Miesen. 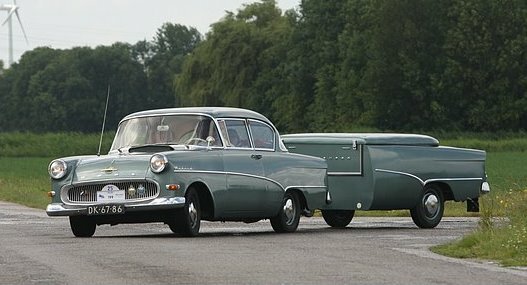 In February 1951, in preparation for the first postwar automobile show in Germany, the Olympia was dressed up further with a trunk compartment that enclosed the spare tire and 15-inch (38 cm) wheels instead of 16-inch (41 cm) wheels and tires. 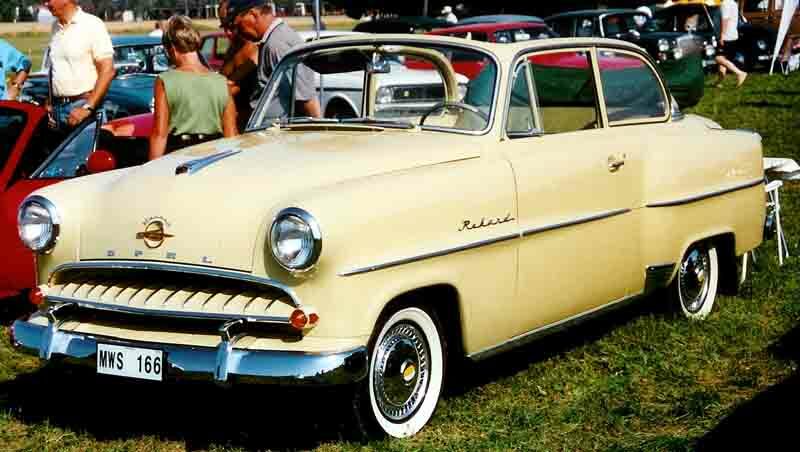 With minor further changes, this model lasted to March 1953. 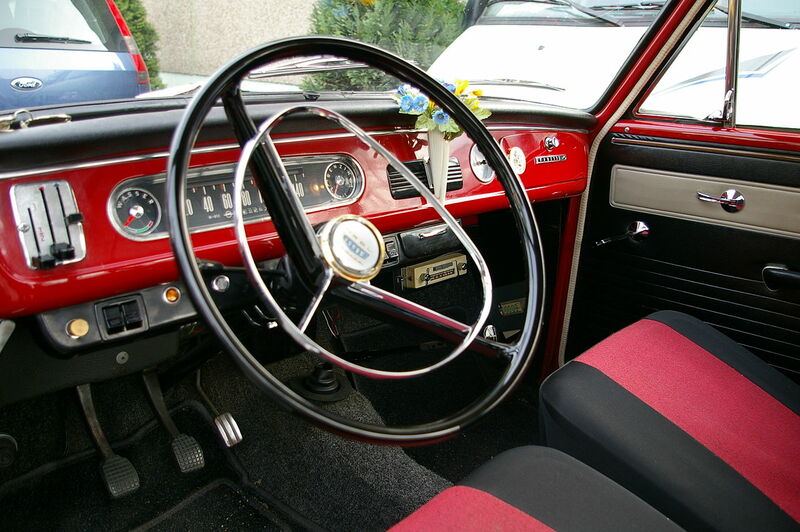 Detail improvements, such as a new dashboard and a steering column shift, embellished the Kapitän line in May 1950. 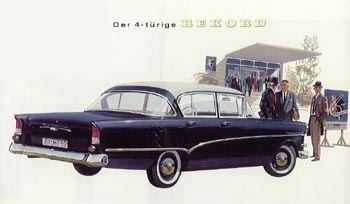 Bigger changes were saved for March 1951, to anticipate the opening of the doors of the Frankfurt show on April 19 for an 11-day run. 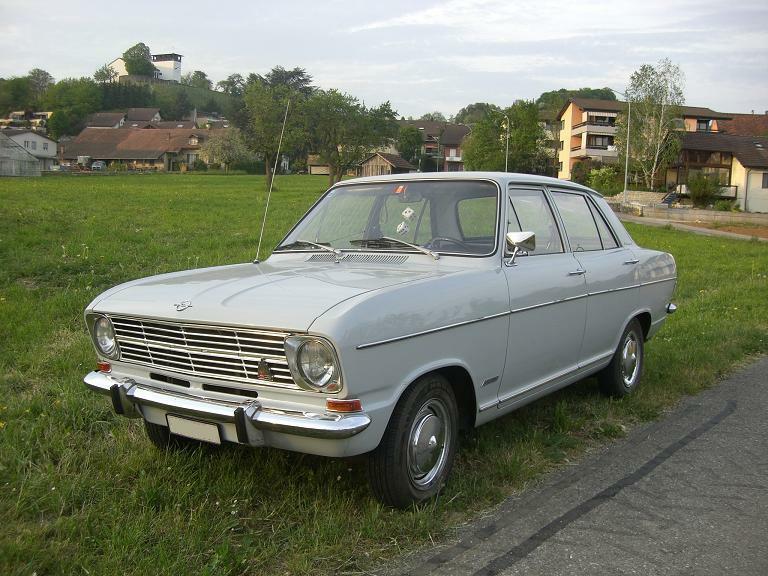 Its earlier fast-back style was modified to a mild notch-back contour, and a new horizontal grille – not the prettiest in Opel history – dominated the frontal view. 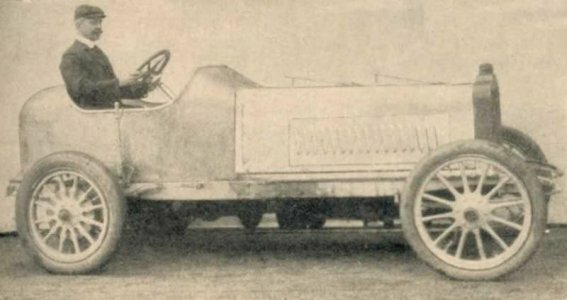 With a higher compression ratio (still only 6.25:1), engine power was 58 bhp (43 kW; 59 PS) at 3,700 rpm and top speed was 80 mph (130 km/h). 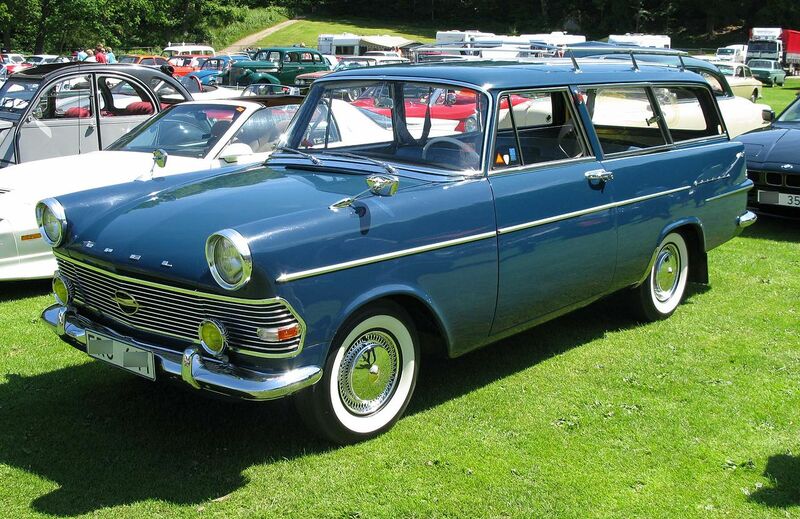 Output increased to 60 bhp (45 kW; 61 PS) during the further life of this model, which ended in July 1953. 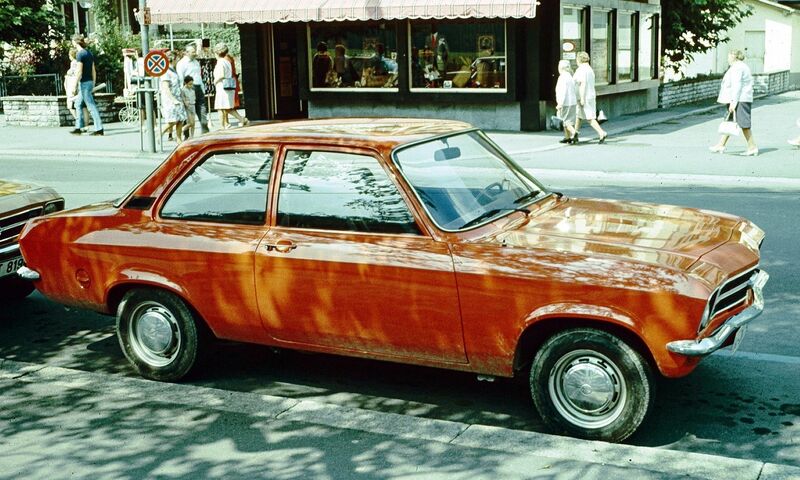 More or less by ‘fait accompli’, in the absence of the tools to build the Kadett, Opel found itself in the middle-priced bracket in Germany’s postwar auto market, sandwiched between VW and Mercedes-Benz. 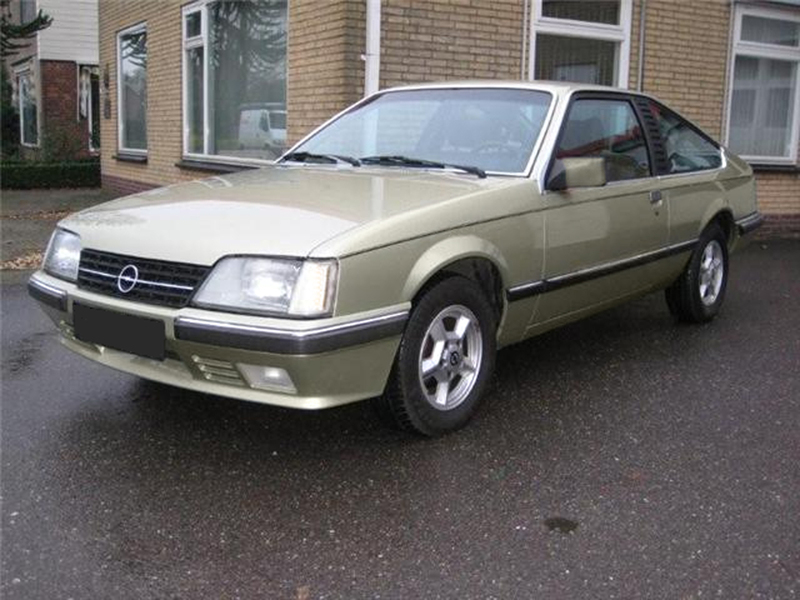 This was a position that was familiar to both GM and Opel, and one in which it did amazingly well. 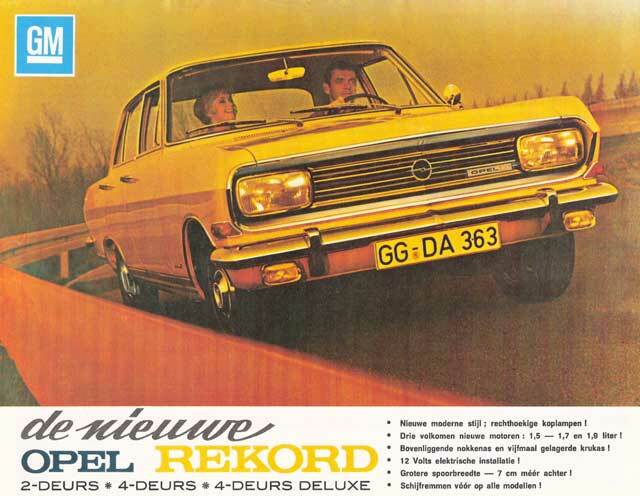 In 1953, output rose above 100,000 units for the first time since the war, and in 1954, when the sprawling plant by the Main River was considered completely rebuilt, 24,270 were employed at Adam Opel AG and 167,650 vehicles were built—an all-time high. 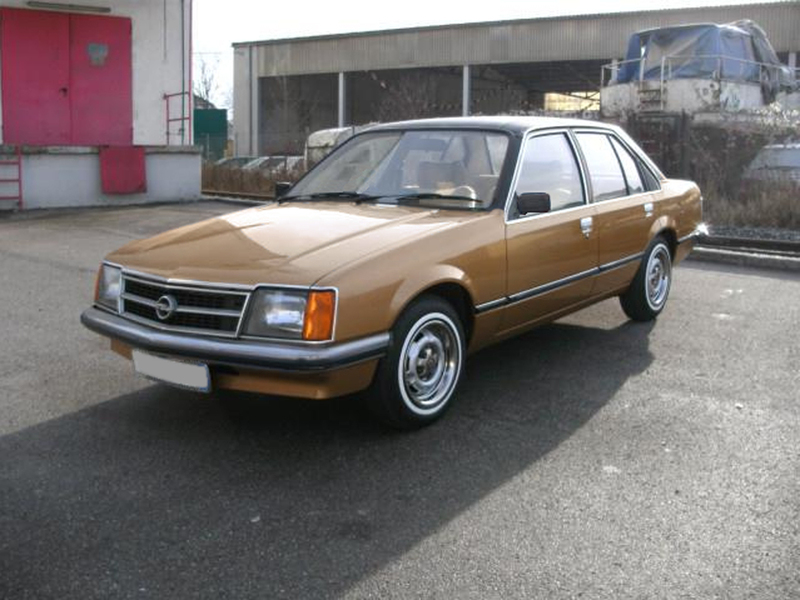 Opel actually fully recovered from the consequences of the postwar era. 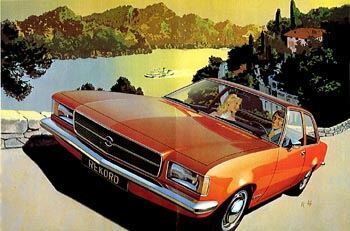 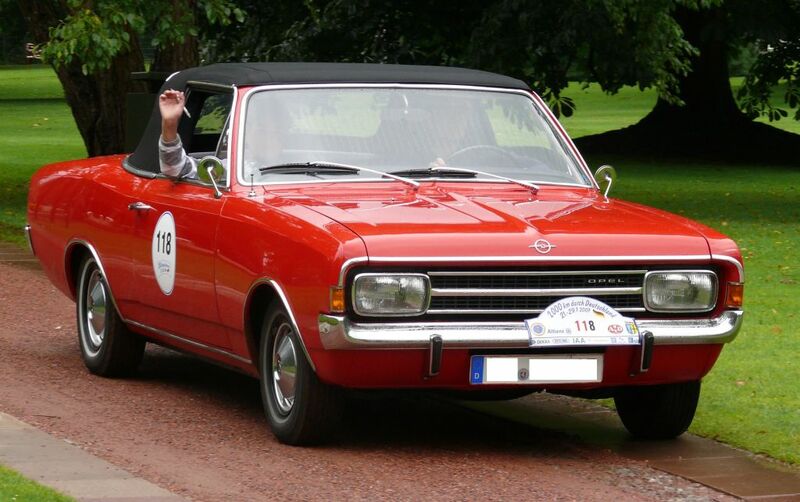 By the 1970s, Opel had emerged as the stronger of GM’s two European brands; Vauxhall was the third best selling brand in the United Kingdom after the British Motor Corporation (later British Leyland) and Ford, but made only a modest impact elsewhere. 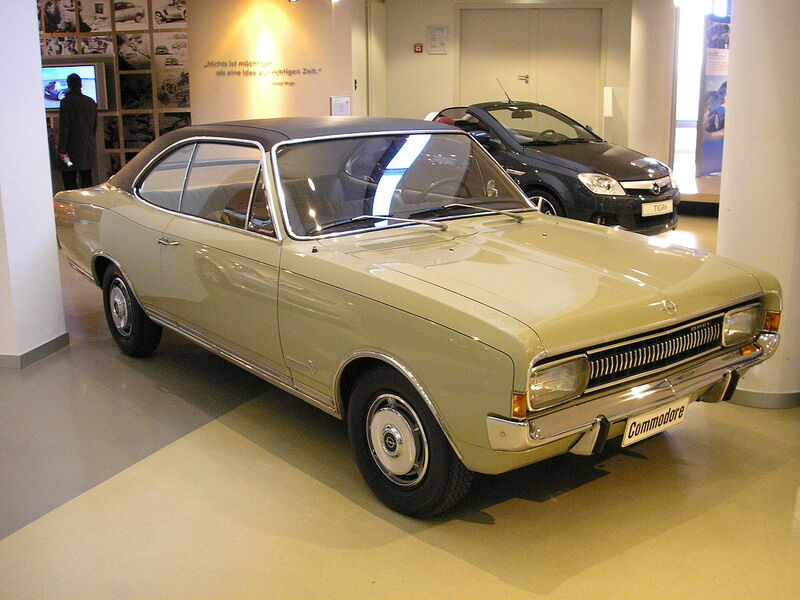 The two companies were direct competitors outside of each other’s respective home markets, but mirroring Ford’s decision to merge its British and German subsidiaries in the late 1960s, GM would follow the same precedent. 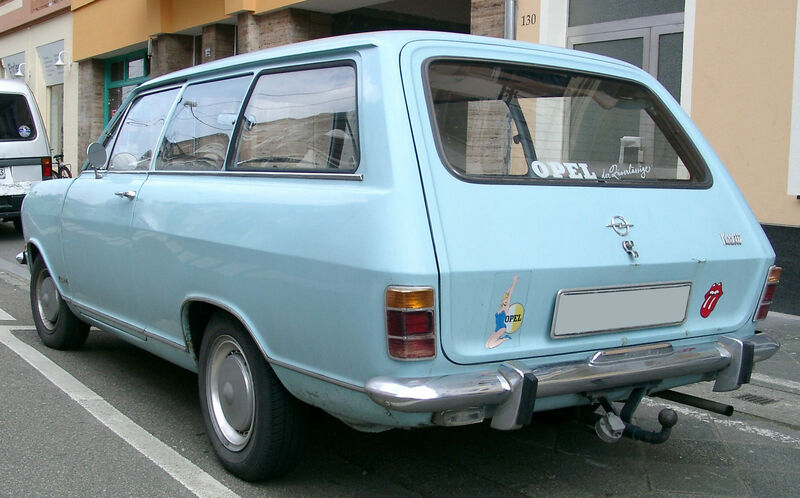 Opel and Vauxhall had loosely collaborated before, but serious efforts to merge the two companies’ operations and product families into one did not start until the 1970s – which saw Vauxhall’s complete product line replaced by vehicles built on Opel-based platforms – the only exception to the rule being the Bedford CF panel van, the only solely Vauxhall design which was marketed as an Opel on the Continent. 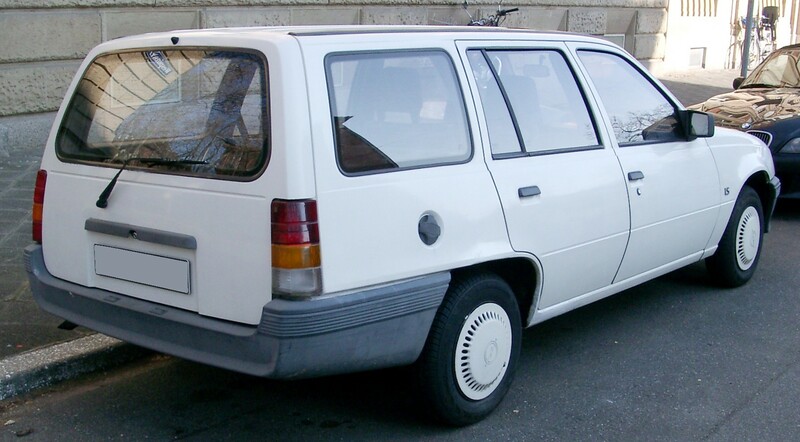 By the turn of the 1980s, the two brands were in effect, one and the same. 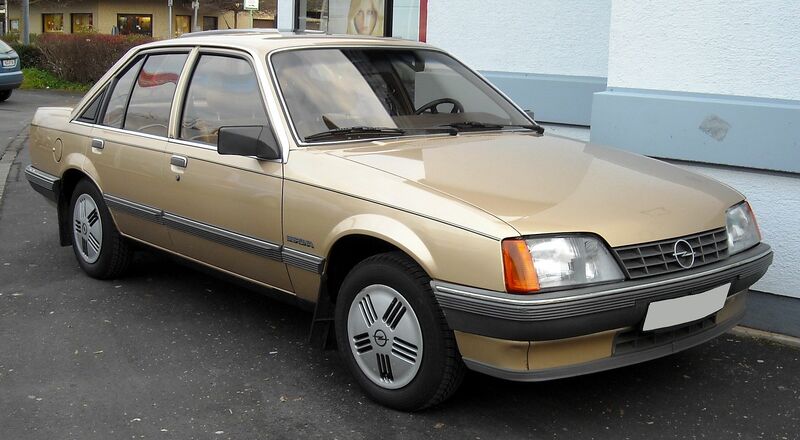 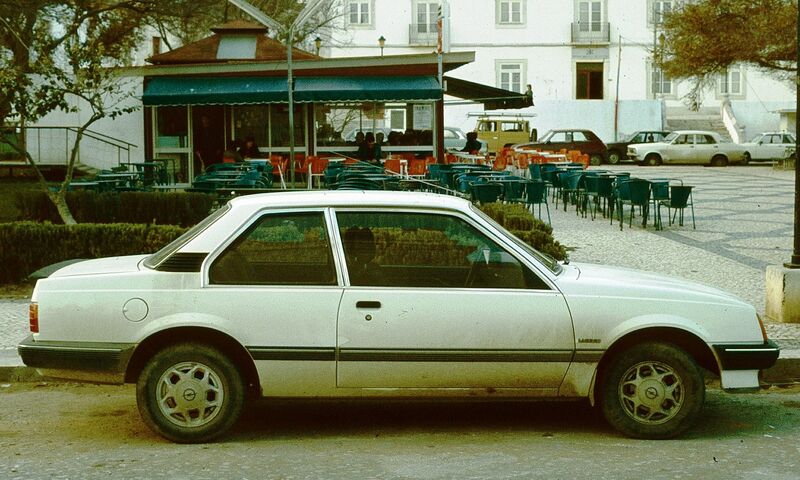 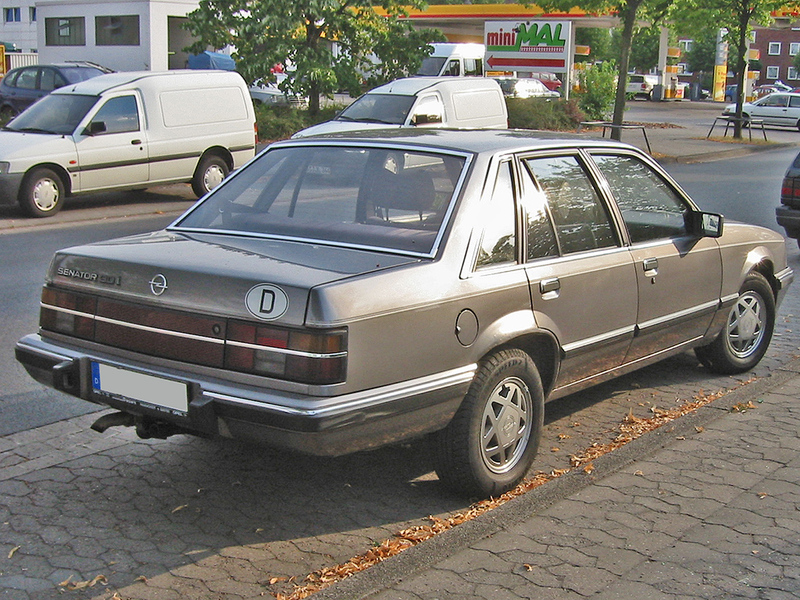 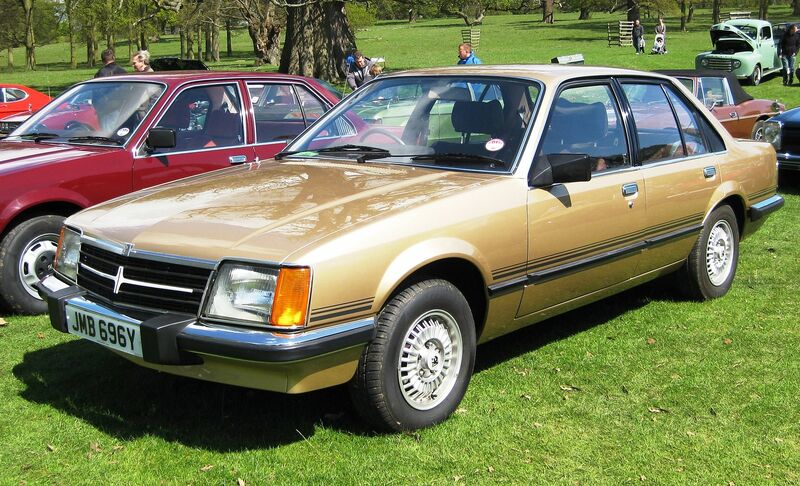 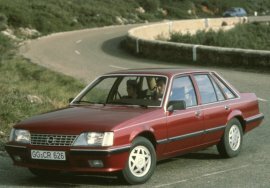 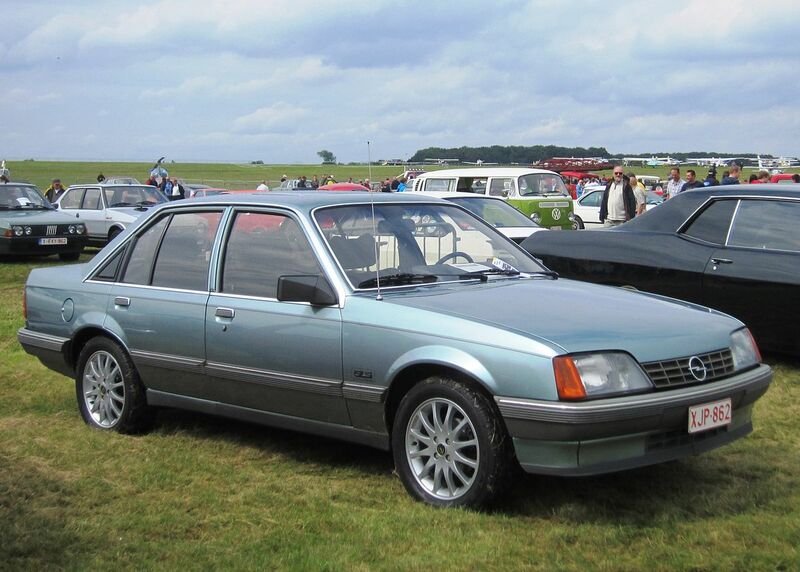 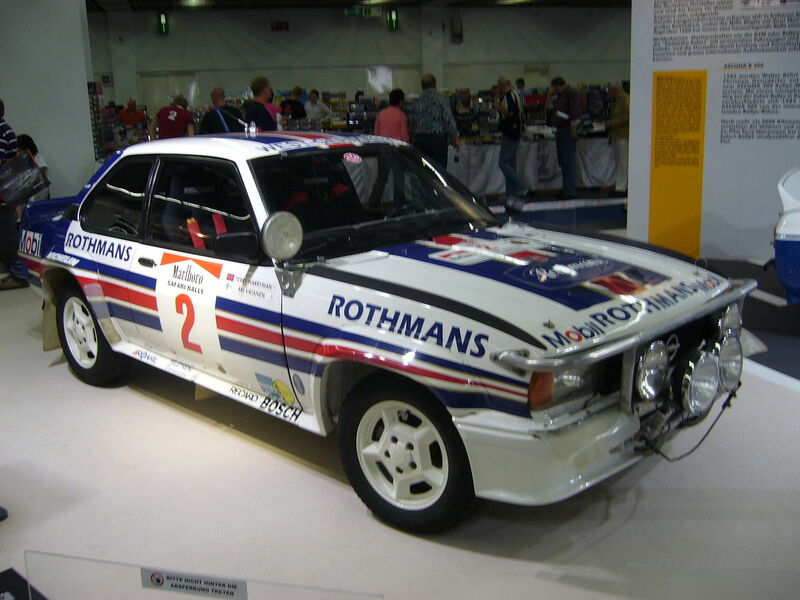 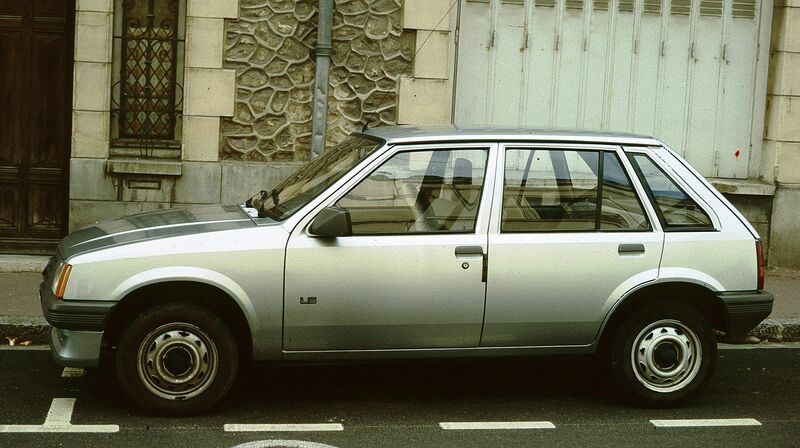 Opel’s first turbocharged car was the Opel Rekord 2.3 TD, first shown at Geneva in March 1984. 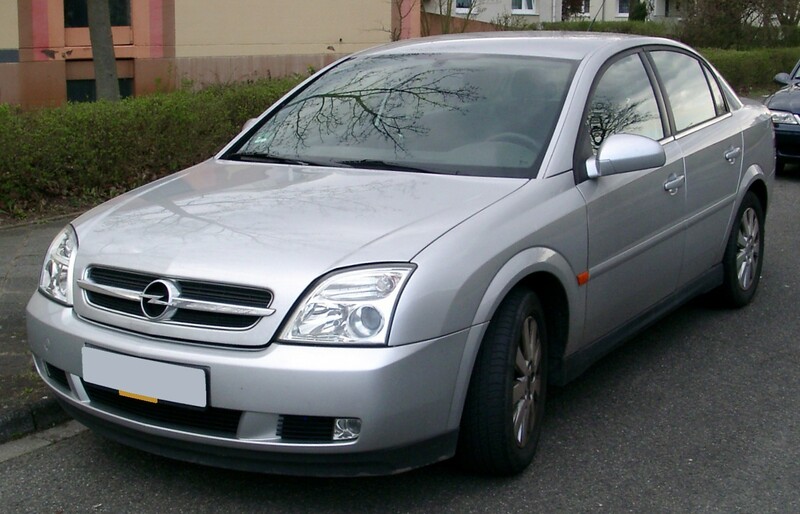 Following the 2008 global financial crisis, on 10 September 2009, GM agreed to sell a 55% stake in Opel to the Magna group with the approval of the German government. 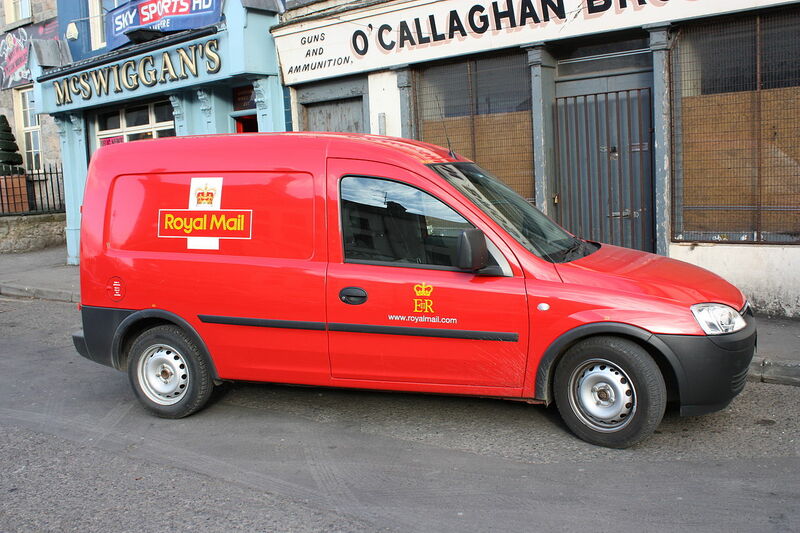 The deal was later called off. 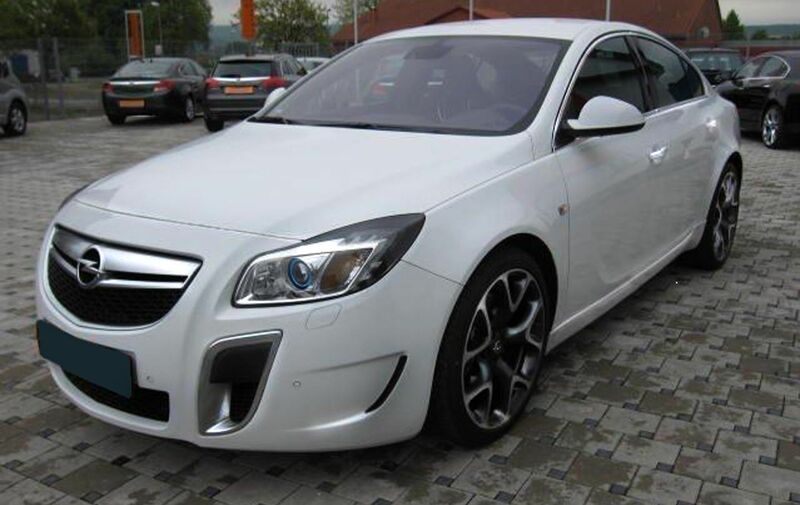 With ongoing restructuring plans Opel announced the closure of its Antwerp plant in Belgium. 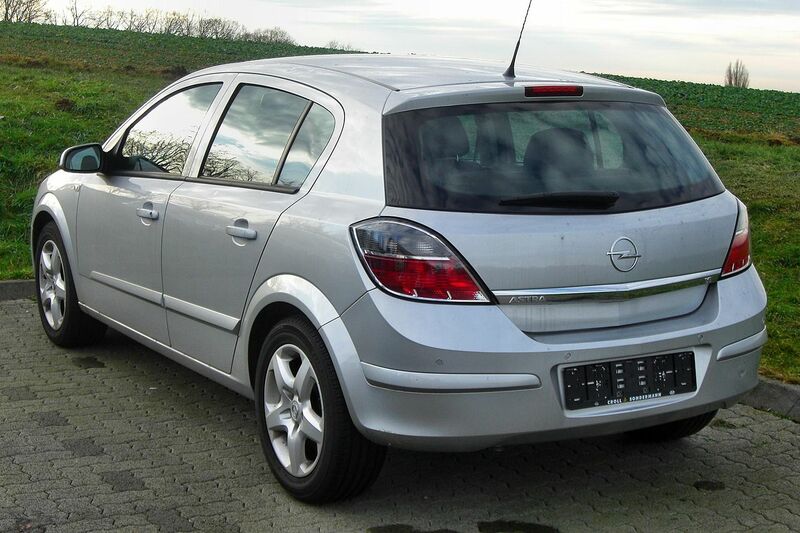 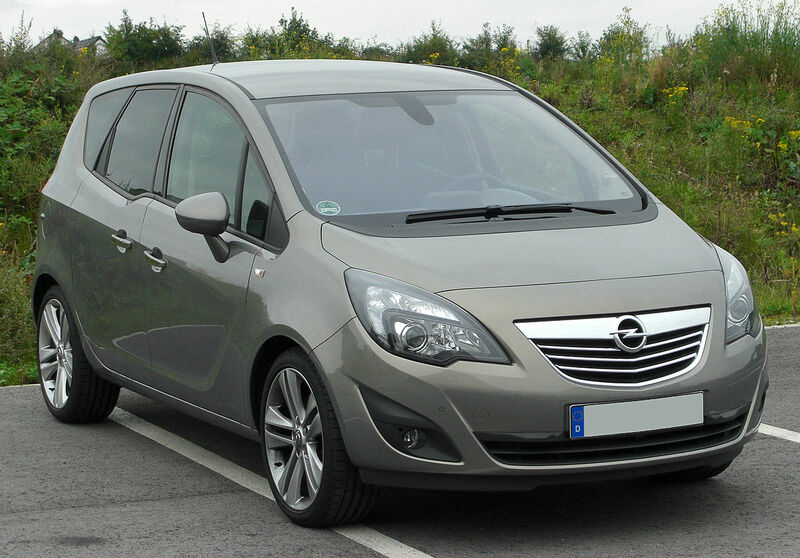 In 2010 Opel announced that it will invest around €11 billion in the next five years. 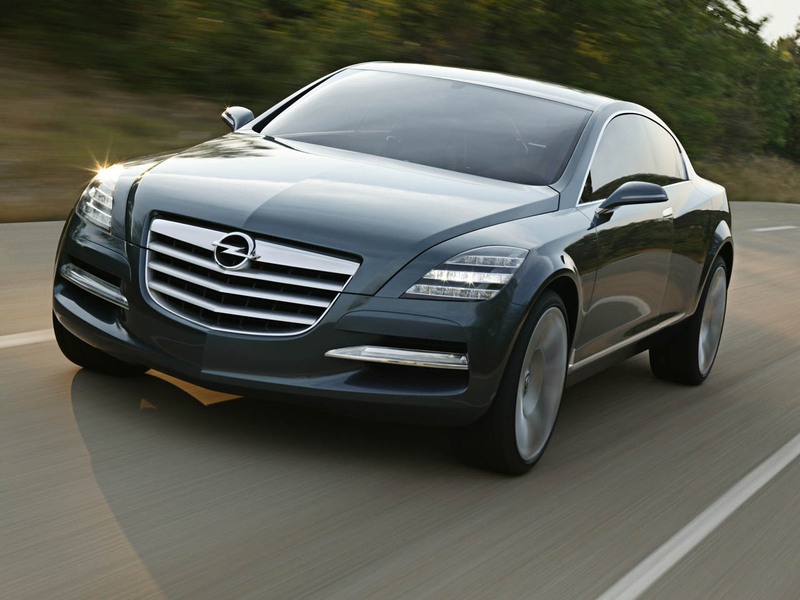 One billion of that is designated solely for the development of innovative and fuel-saving engines and transmissions. 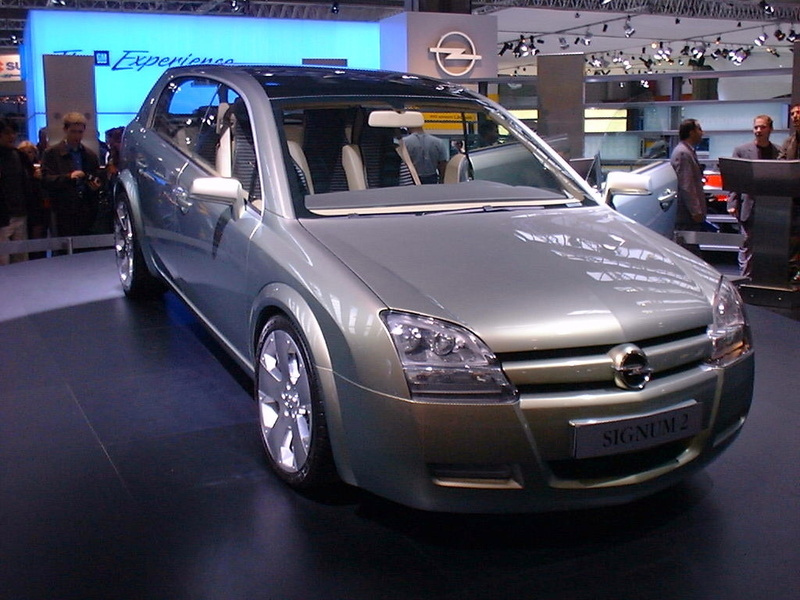 On 29 February 2012 Opel formally announced the creation of a major alliance with PSA, as part of which GM became PSA’s second-largest shareholder, after the Peugeot family, with a holding of 7%. 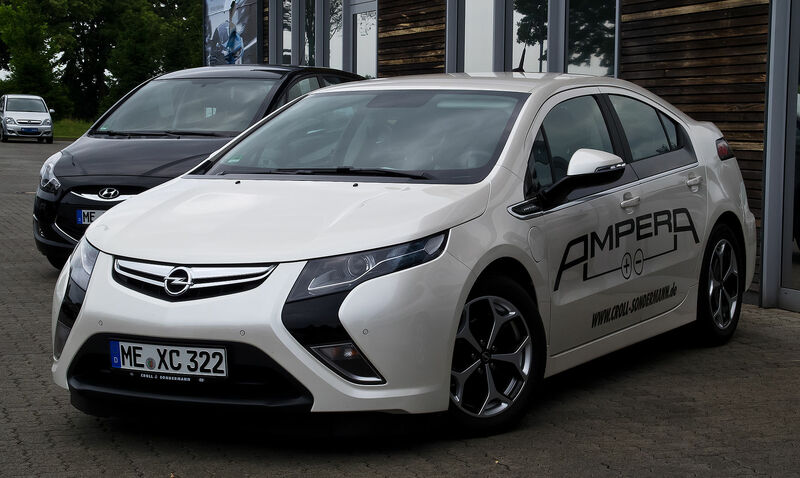 The alliance is intended to enable $2 billion per year of cost savings through platform sharing, common purchasing and other economies of scale. 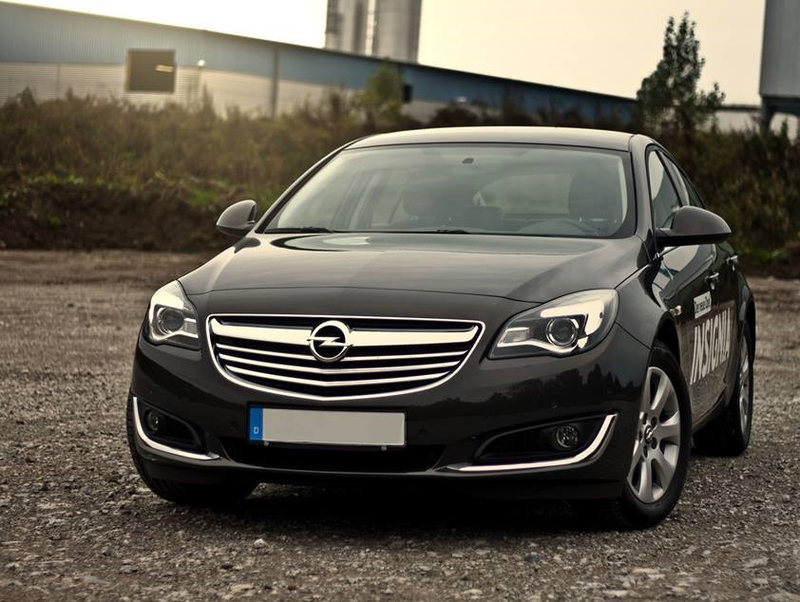 Opel operates 11 vehicle, powertrain, and component plants and four development and test centers in seven countries, and employs around 35,000 people in Europe. 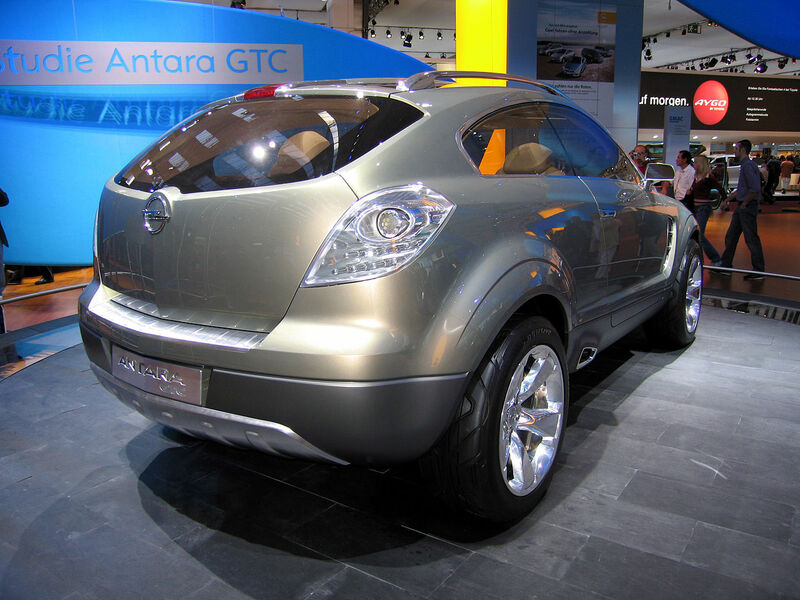 The brand sells vehicles in more than 50 markets worldwide. 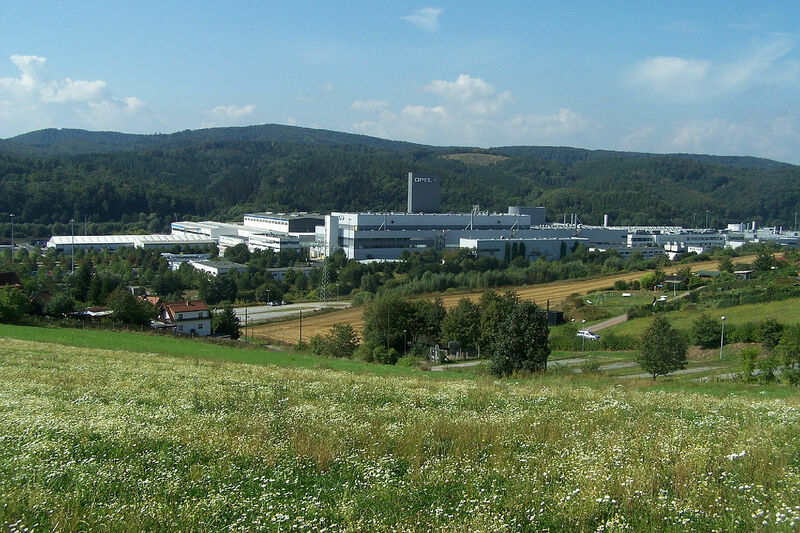 Other plants are in Eisenach and Kaiserslautern, Germany; Vienna/Aspern, Austria; Szentgotthárd, Hungary; Zaragoza, Spain; Gliwice, and Tychy, Poland; Saint Petersburg, Russia; Ellesmere Port, and Luton, UK. 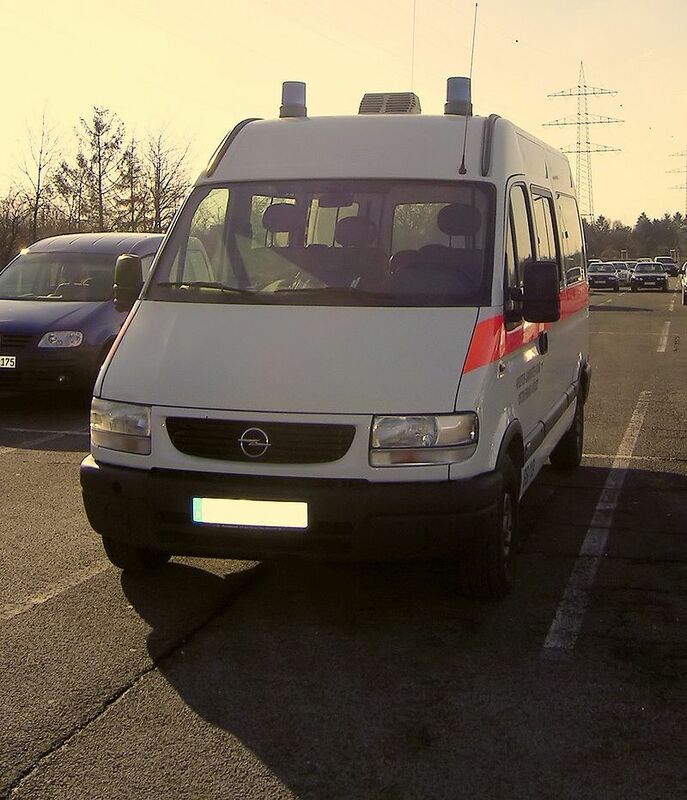 The Dudenhofen Test Center is located near the companys’ headquarters and is responsible for all technical testing and vehicle validations. 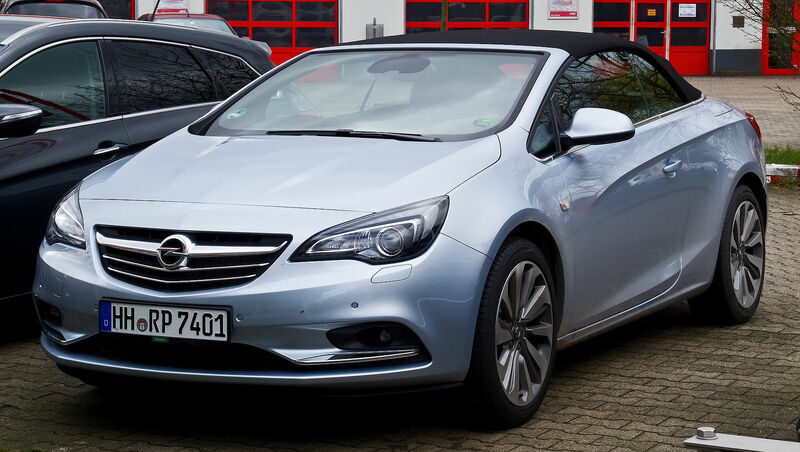 Around 6,250 people are responsible for the engineering and design of Opel/Vauxhall vehicles at the International Technical Development Center (ITDC) and European Design Center in Rüsselsheim. 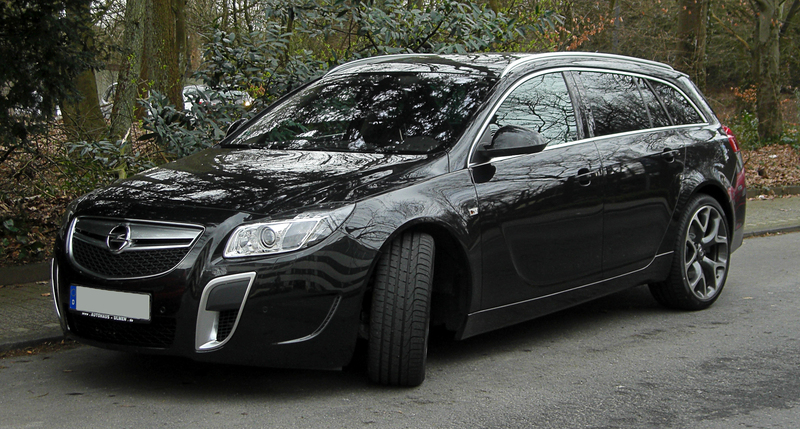 All in all, Opel plays an important role in the global GM corporate group. 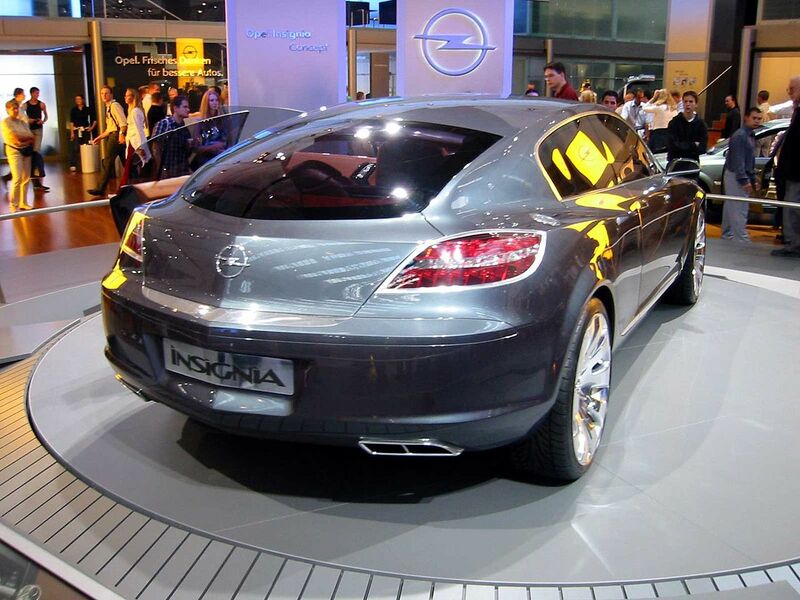 The company was responsible for primary engineering of the Epsilon (I) platform, Epsilon II platform, Delta (I) platform, Delta (II) platform, Gamma platform and played an important role in the development of especially the higher-end, more-refined version of the Gamma II platform. 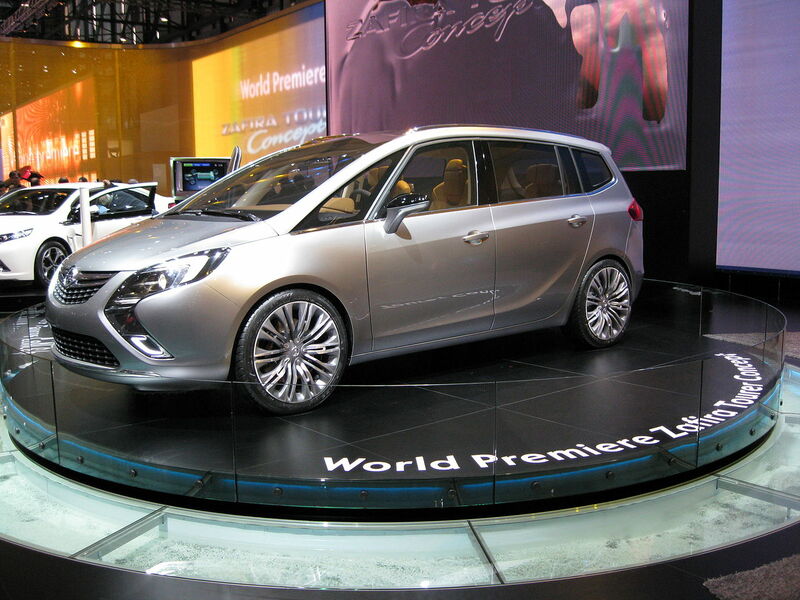 General Motors new global platform D2xx is being mainly engineered by Opel as well. 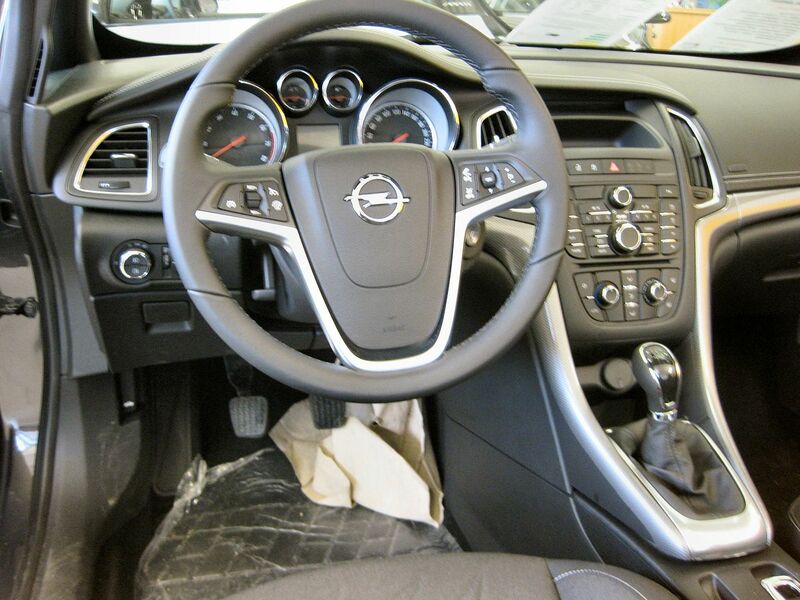 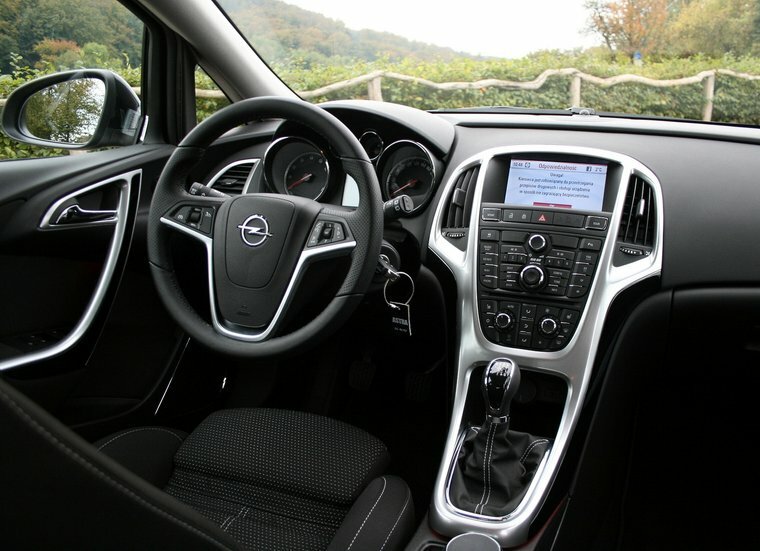 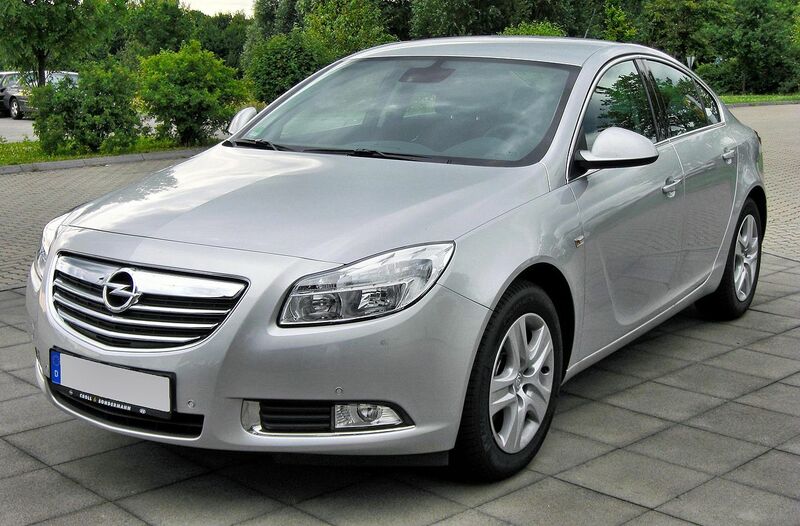 Opel is in most cases fully responsible for all the car architectures and technologies up to the Opel Insignia/Buick Regal. 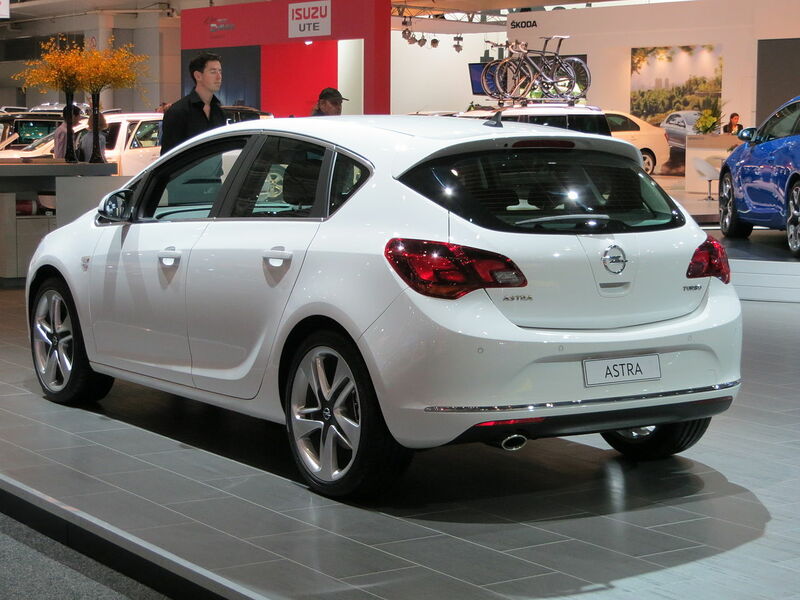 In particular, all the future-oriented, modern, full-efficient GM architectures for compact vehicles are developed by Opel. 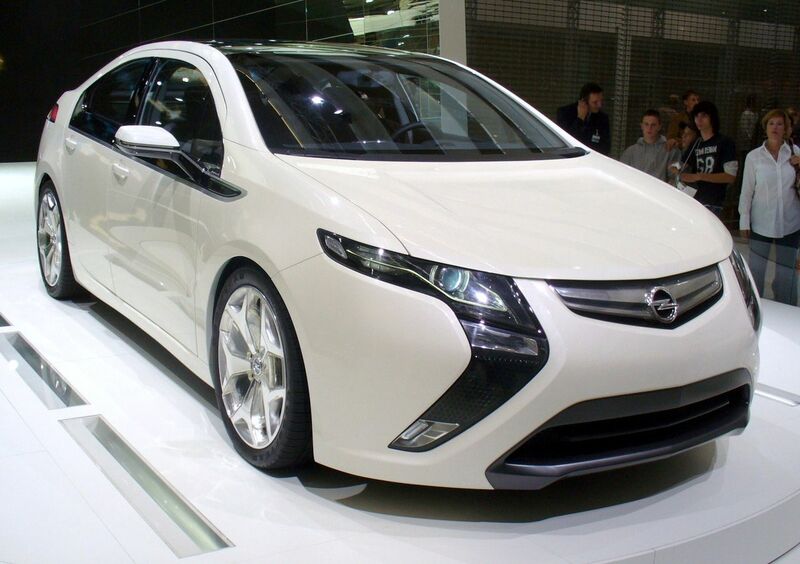 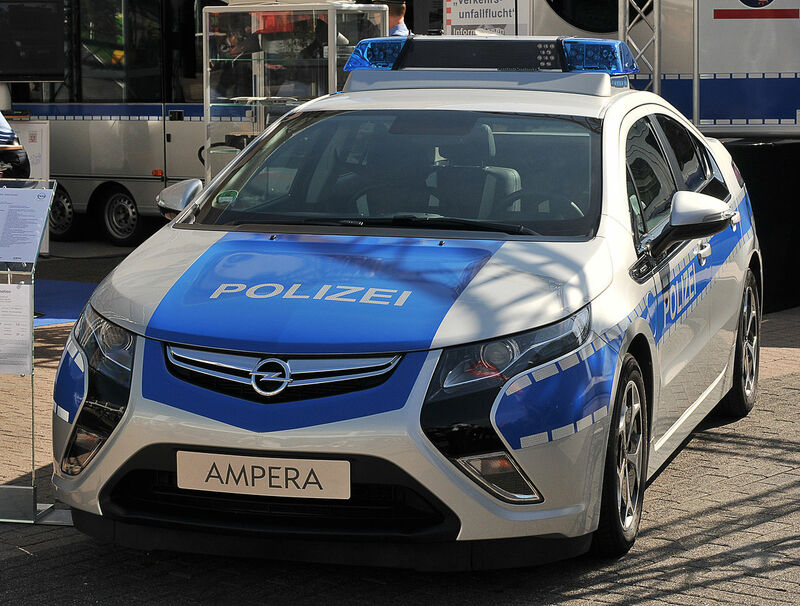 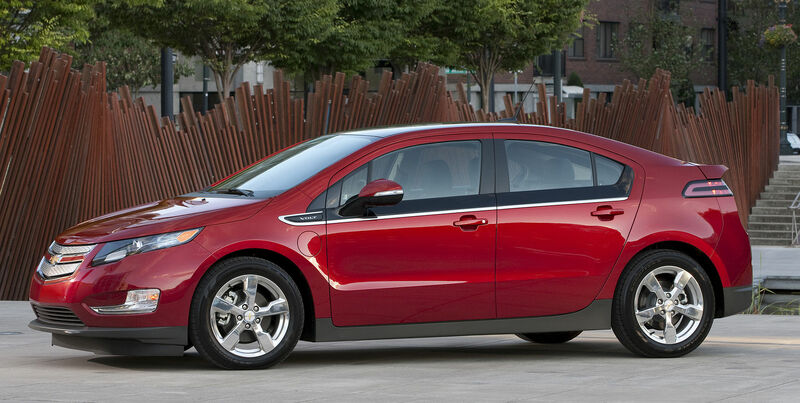 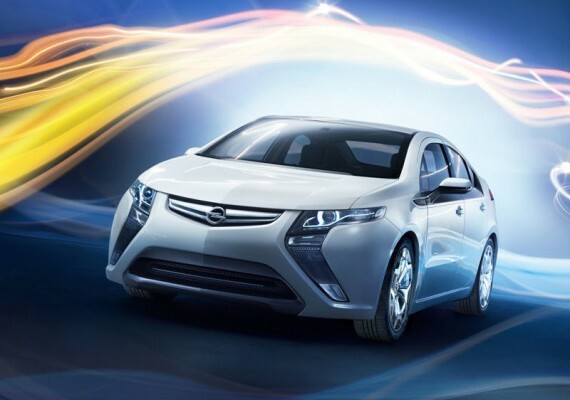 Even the idea and concept behind the Ampera was rooted in Opel with Frank Weber, the former “Global Vehicle Line Executive and Global Chief Engineer electric vehicle development,” being originally an Opel employee who was moved to the USA in order to advance the development of this concept in GM’s home country instead of the German outpost that is Opel. 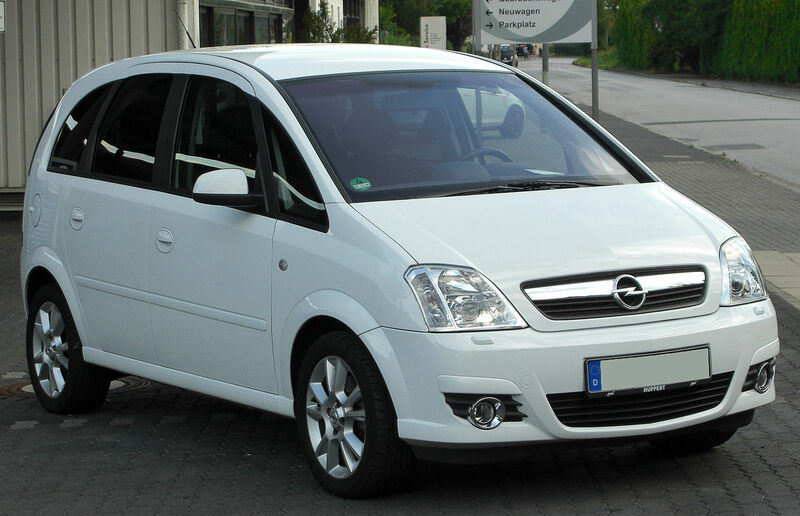 In 2009 Weber returned during the reorganization of the Opel leadership to Adam Opel GmbH as “Vice President Planning and Commercial Vehicle Operations” for the company. 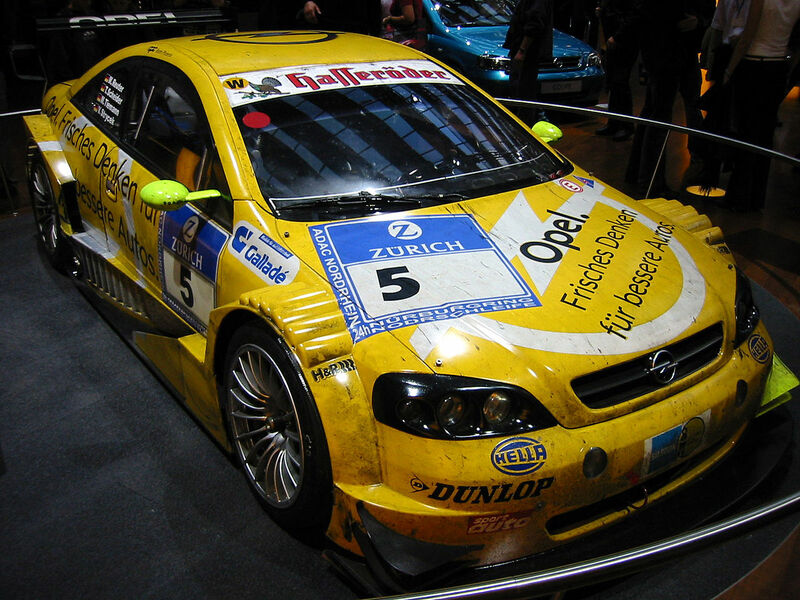 In 2011, Frank Weber left Opel for BMW. 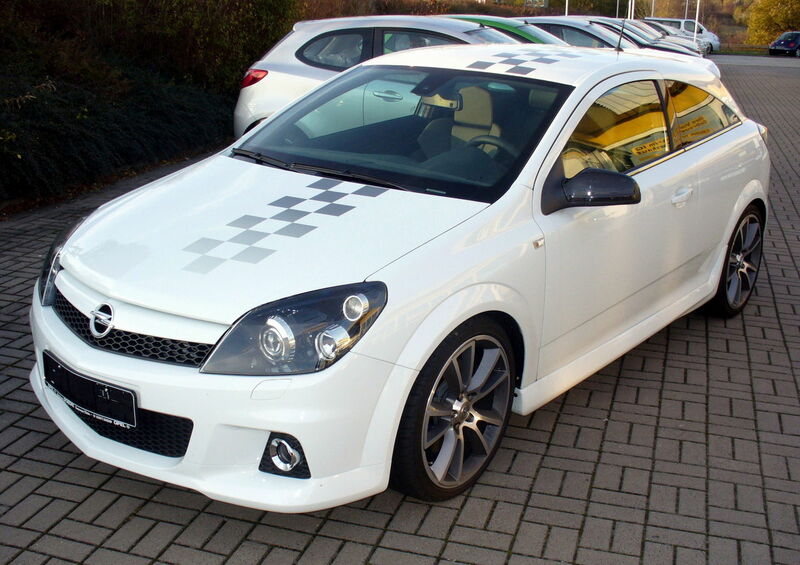 Opel established Opel Performance Center (OPC) in 1997, which is responsible for the development of high-performance cars such as the Astra OPC, Corsa OPC and Insignia OPC. 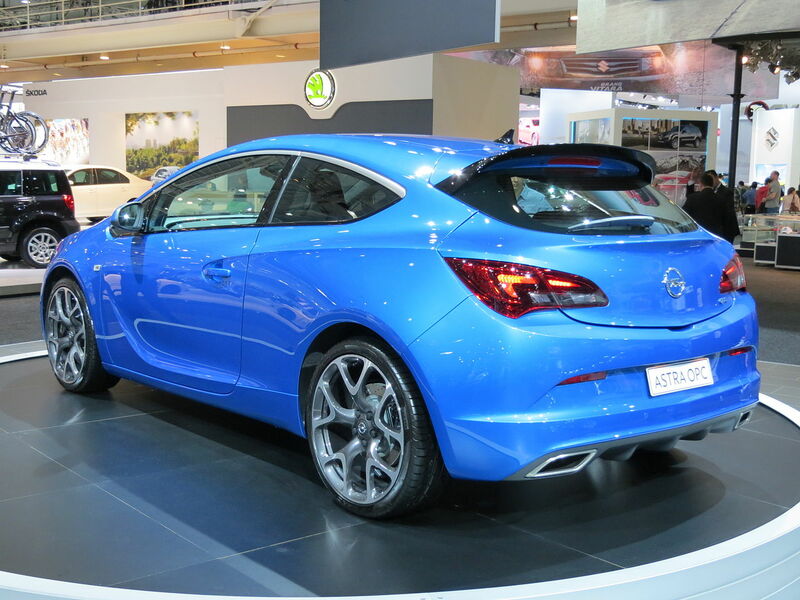 The OPC name is also used in some motorsport activities. 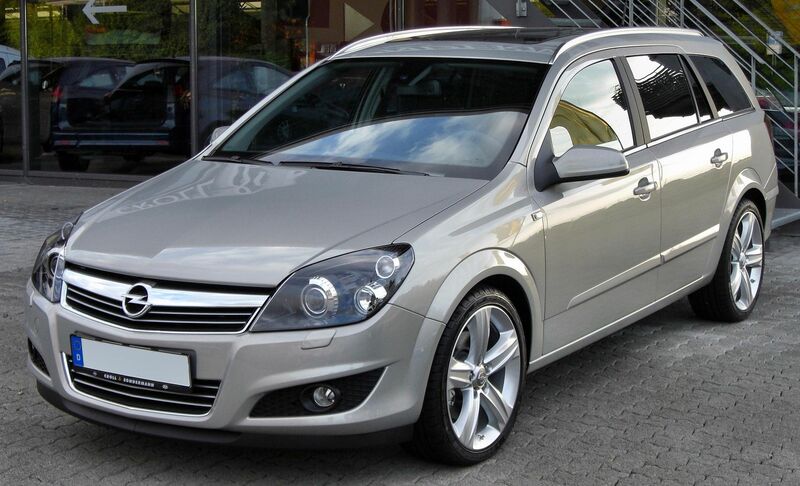 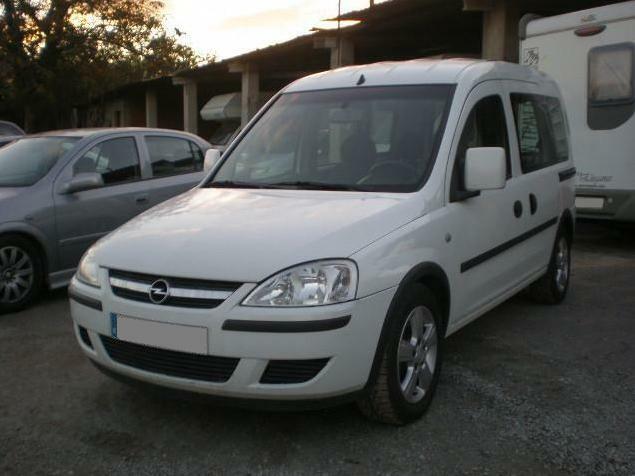 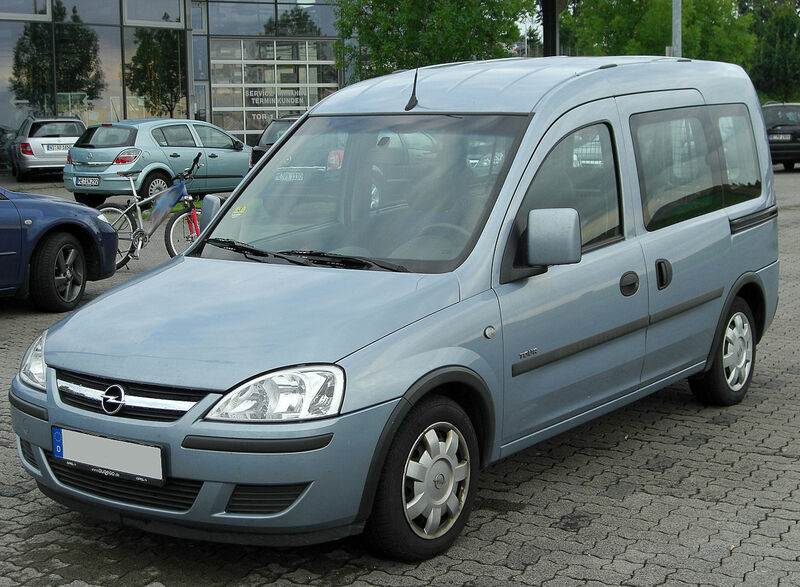 Opel Special Vehicles (OSV) is a wholly owned subsidiary that offers public authority and special-purpose vehicles. 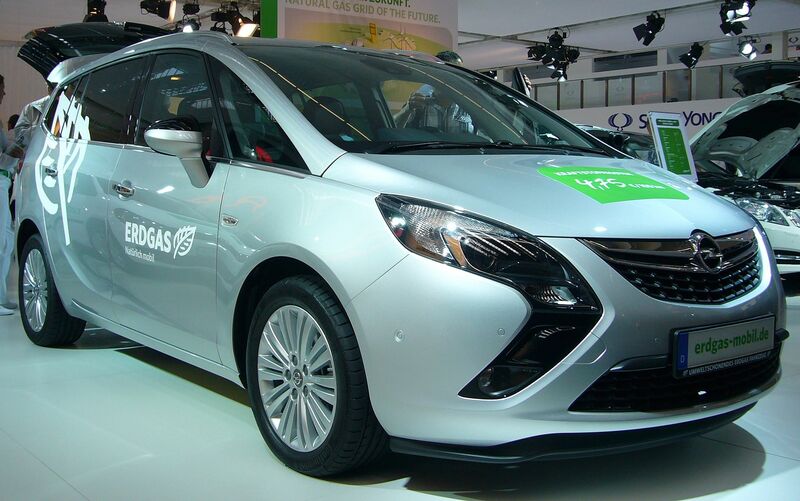 OSV developed in cooperation with the International Technical Development Center (ITDC) the Opel Zafira B 1.6 CNG (Compressed Natural Gas). 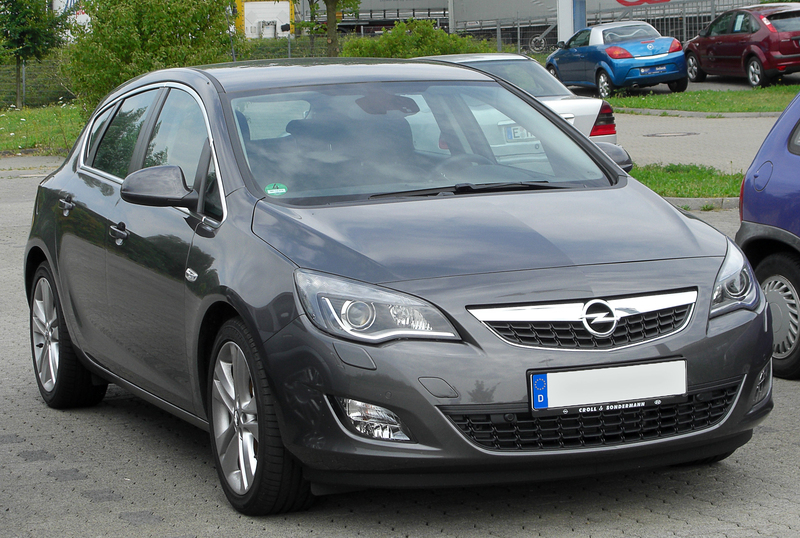 Opel Group GmbH is responsible for the operation of General Motors businesses in Europe. 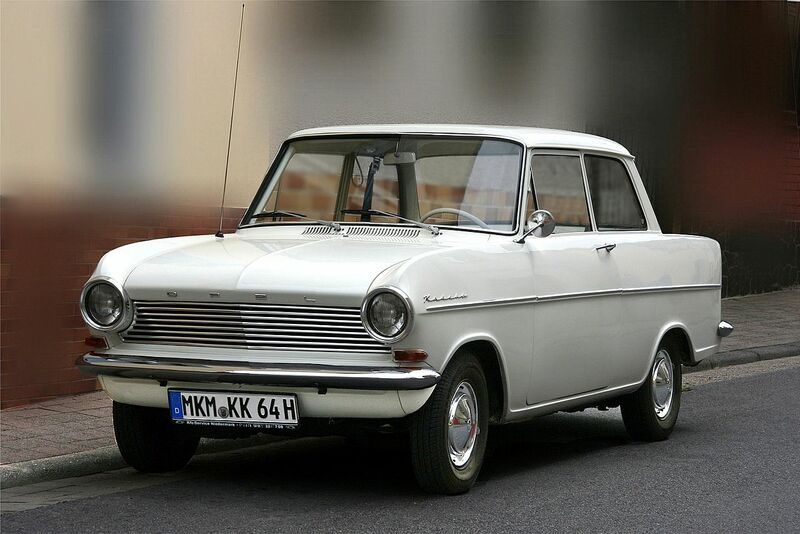 The first Opel logo contained the letters “A” and “O” – the initials of the company’s founder, Adam Opel. 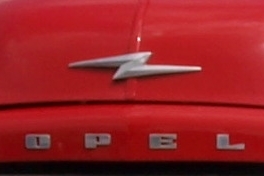 The A was in bronze, the O kept in red. 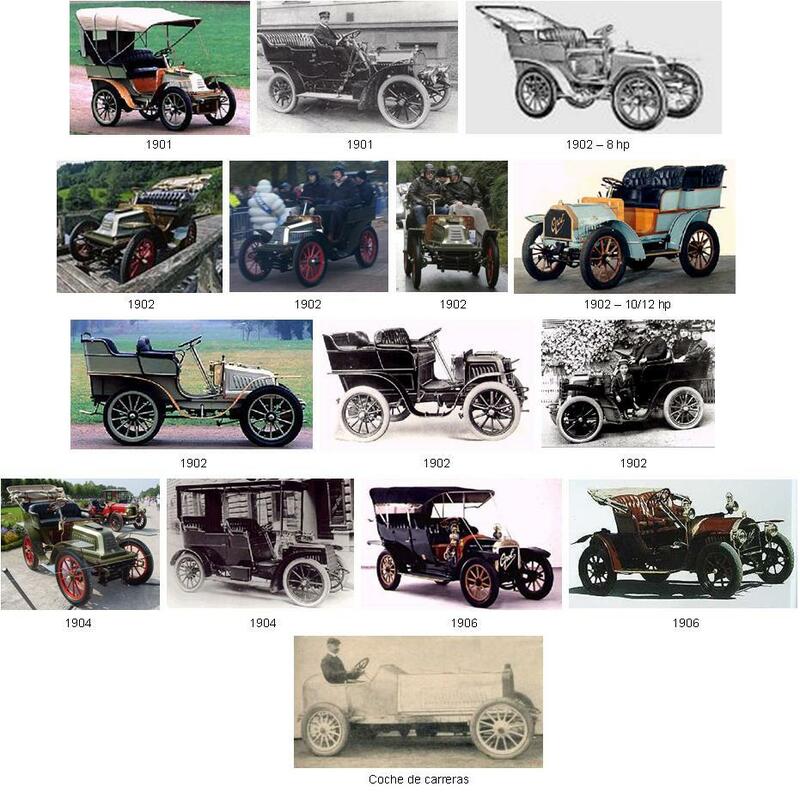 In 1866, they expanded and started to produce bicycles. 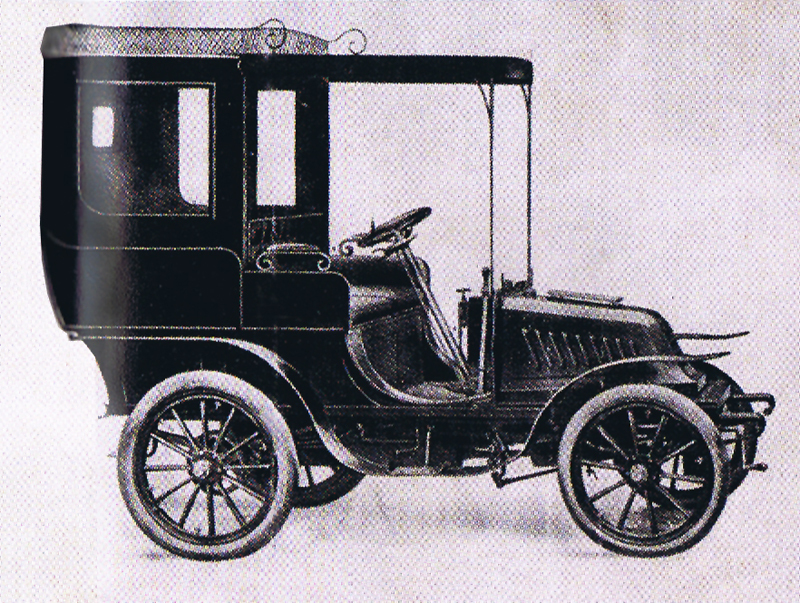 Around 1890, the logo was completely redesigned. 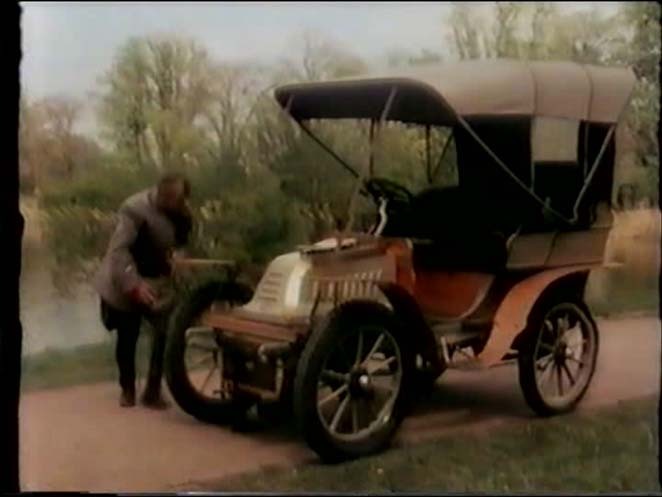 The new logo also contained the words “Victoria Blitz” (referring to Lady Victory; they were certain of the triumph of their bicycles). 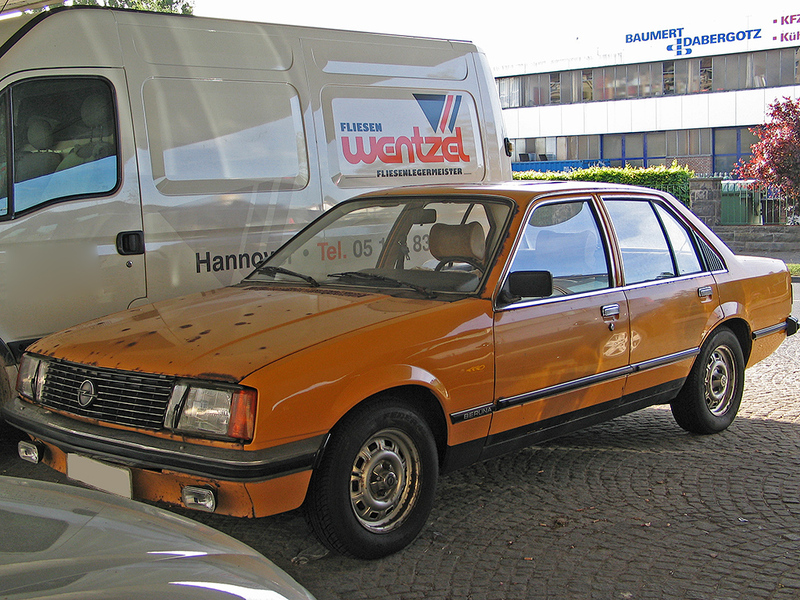 The word “Blitz” (English: lightning) first appeared back then, but without a depiction. 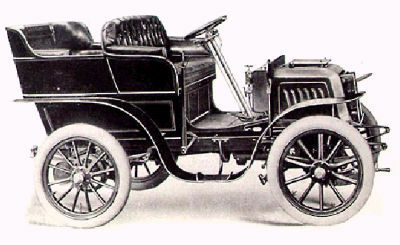 Another redesign was commissioned in 1909. 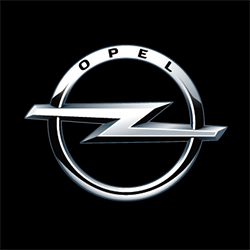 The new logo was much more spirited and contained only the company name Opel itself. 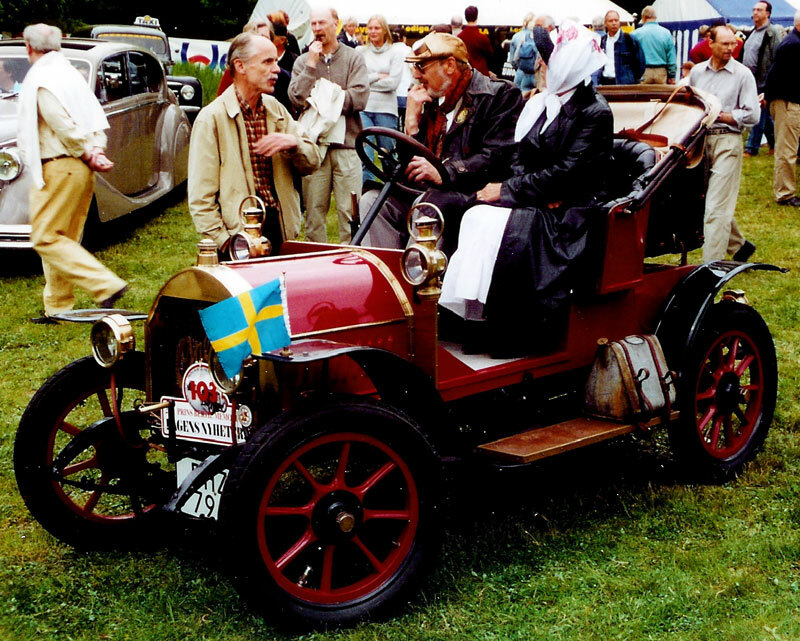 It was placed on the motorcycles that they had started to produce in 1902, and on the first cars which were produced in 1909. 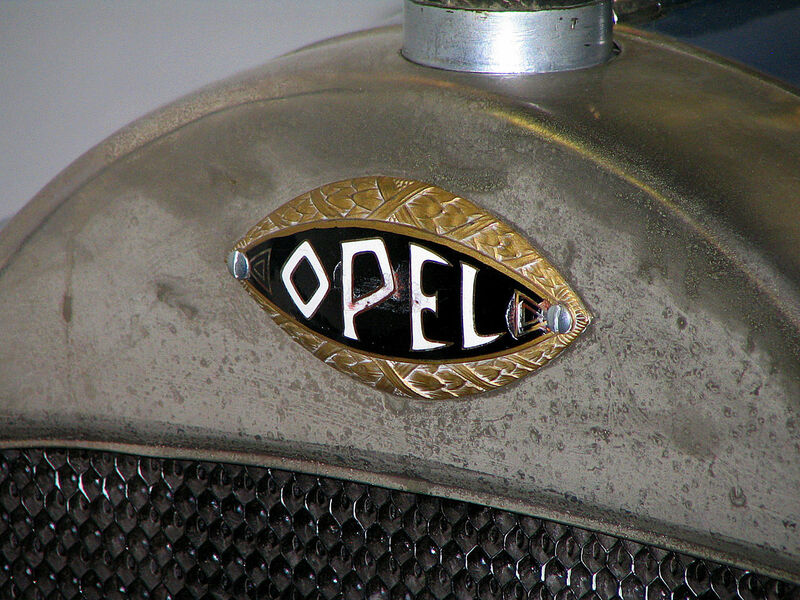 In 1910, the logo was the shape of an eye, and it was surrounded by laurels, with the text “Opel” in the center. 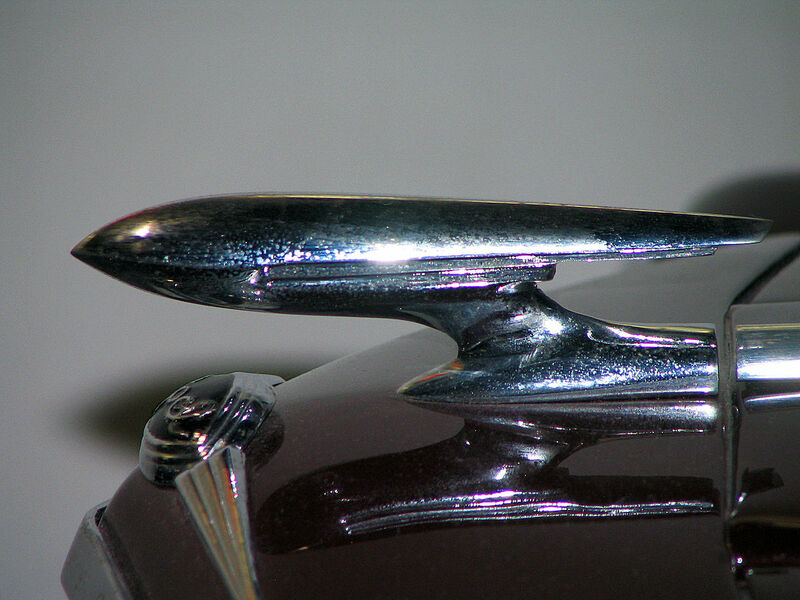 From the mid-1930s to the 1960s, passenger cars carried a ring which was crossed by some kind of a flying thing pointing to the left, which in some form could be interpreted as a zeppelin, the same flying object being used also as a forward pointing hood ornament. 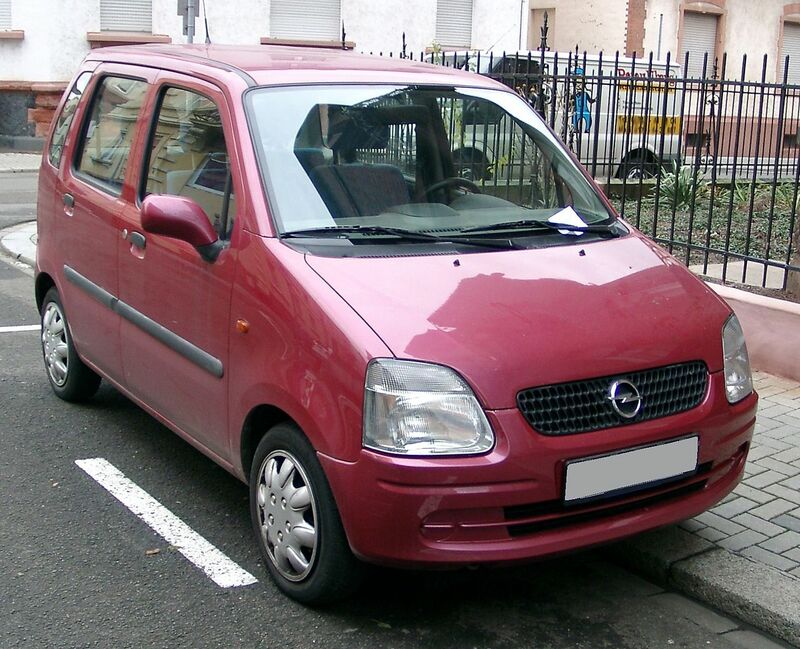 In some versions it looked like an arrow, in others like an aeroplane or a bird. 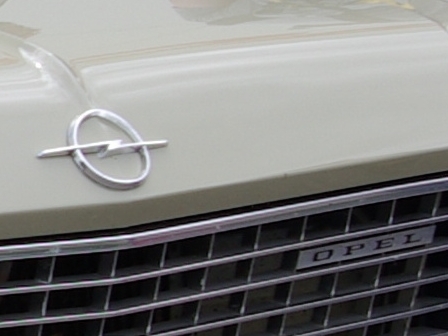 Besides the hood ornament flying through the ring, Opel also used a coat of arms in various forms, which mostly had a combination of white and yellow colors in it, a shade of yellow which is typical for Opel until today. 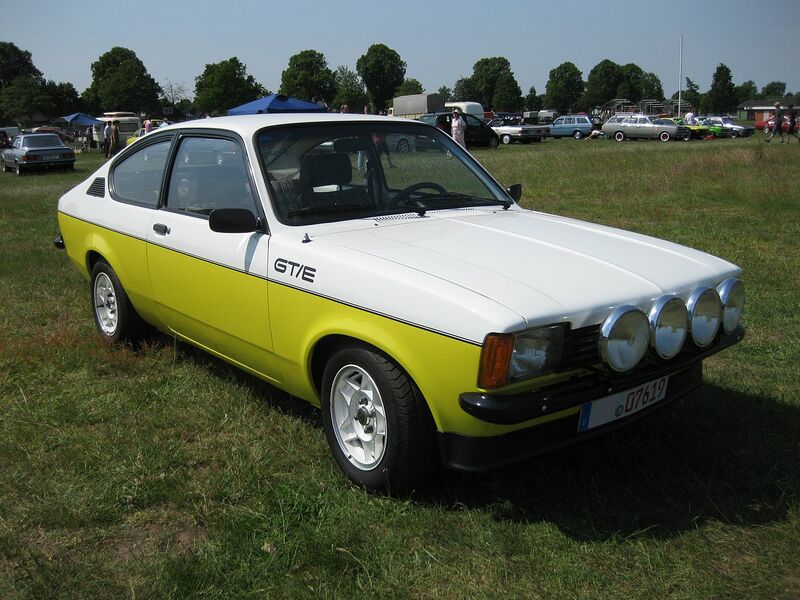 One was oval, half white and half yellow. 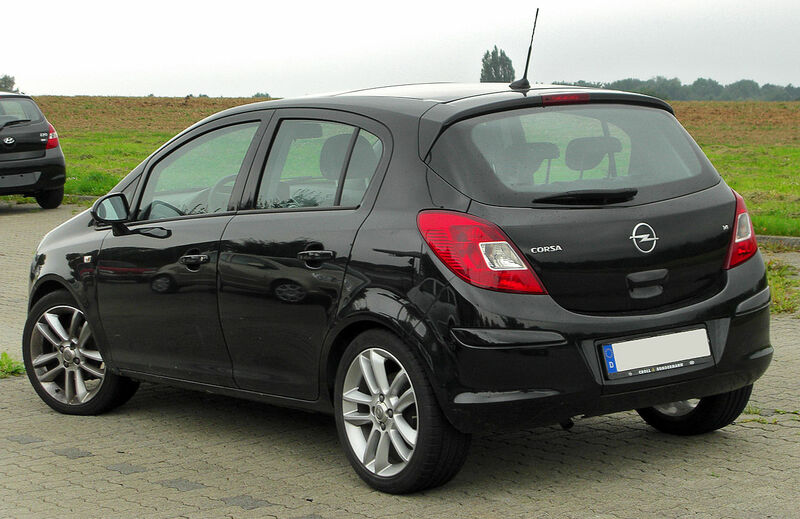 The Opel writing was black and in the middle of the oval symbol. 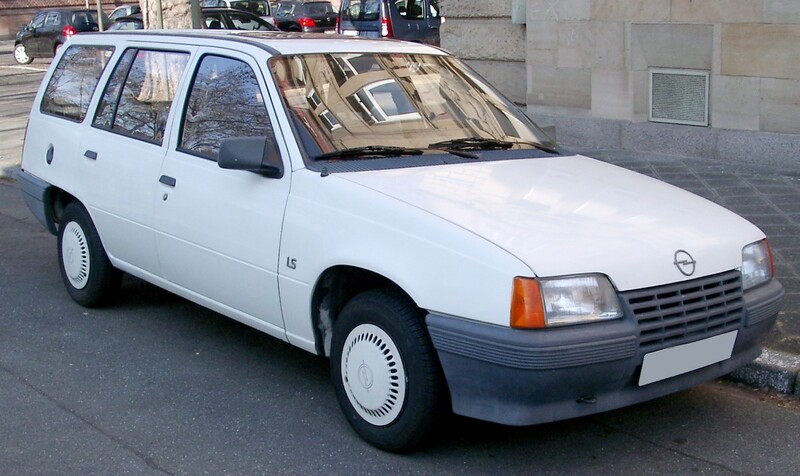 The origin of the lightning in the current (2012) Opel logo lies in the truck Opel Blitz (German “Blitz” = English “lightning”), which had been a commercial success, widely used also within the Wehrmacht, Nazi Germany’s military. 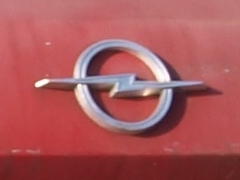 Originally the logo for this truck consisted of two stripes arranged loosely like a lightning symbol with the words “Opel” and “Blitz” in them, in later, 1950s models simplified to the horizontal form of a lightning which appears in the current Opel logo. 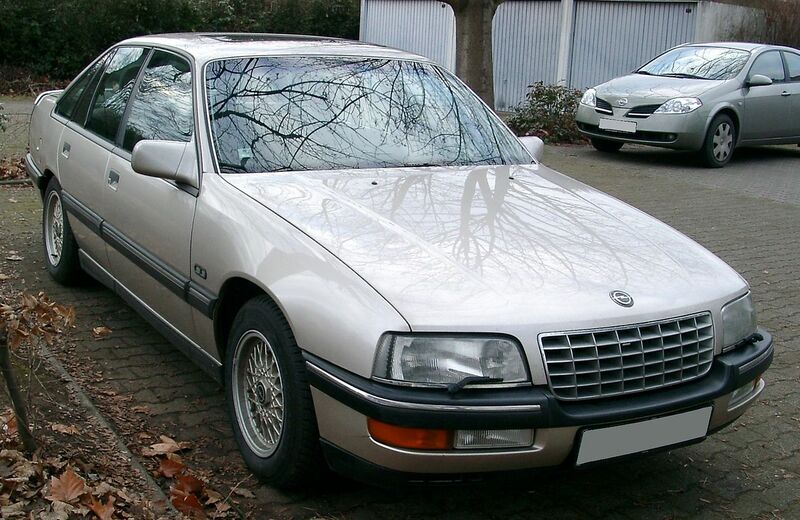 The jag in the lightning always follows the original from the “Opel Blitz” text stripes, in the form of a horizontally stretched letter “Z”. 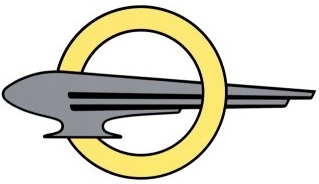 By the end of the 1960s, the two forms merged, and the horizontal lightning replaced the flying thing in the ring, giving way to the basic design which is used since then with variations. 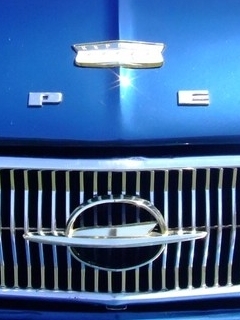 Through all its variations, this logo is simple and unique, and both easily recognizable and reproducible with just two strokes of a pen. 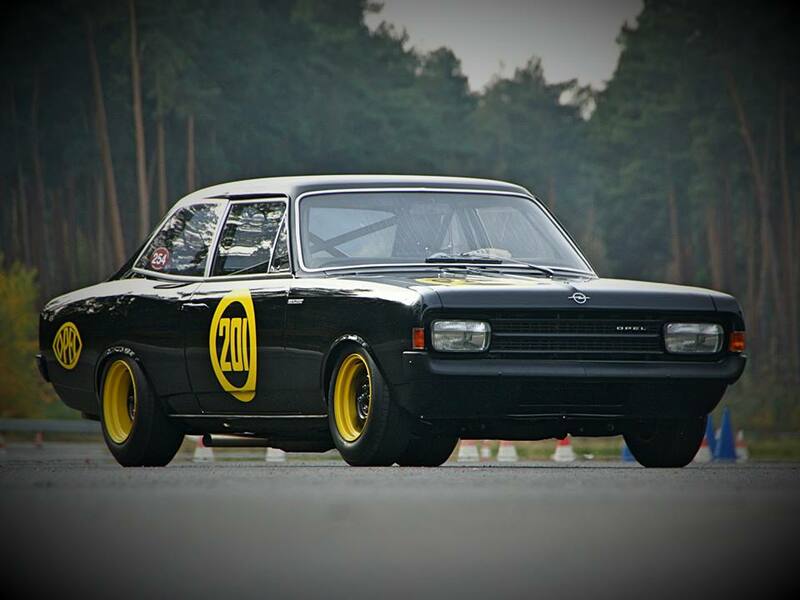 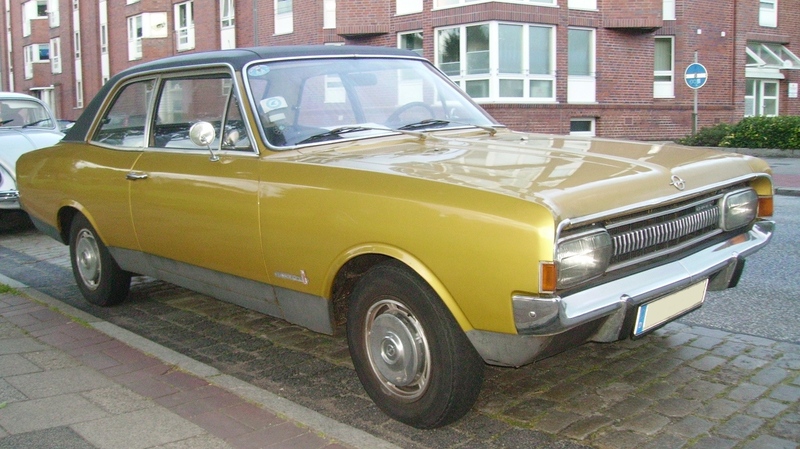 In the 1964 version, the lightning with a ring was used in a yellow rectangle, with the Opel writing below. 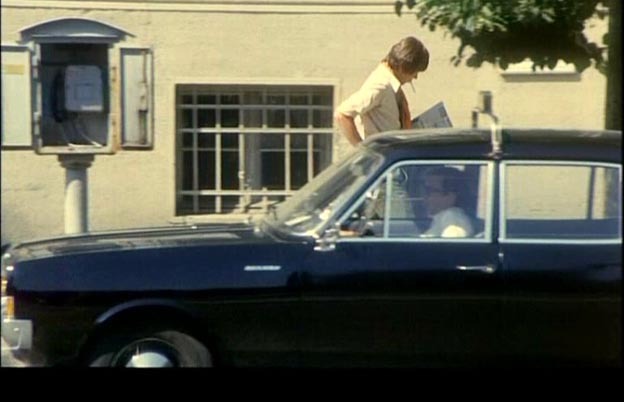 The whole logo was again delimited by a black rectangle. 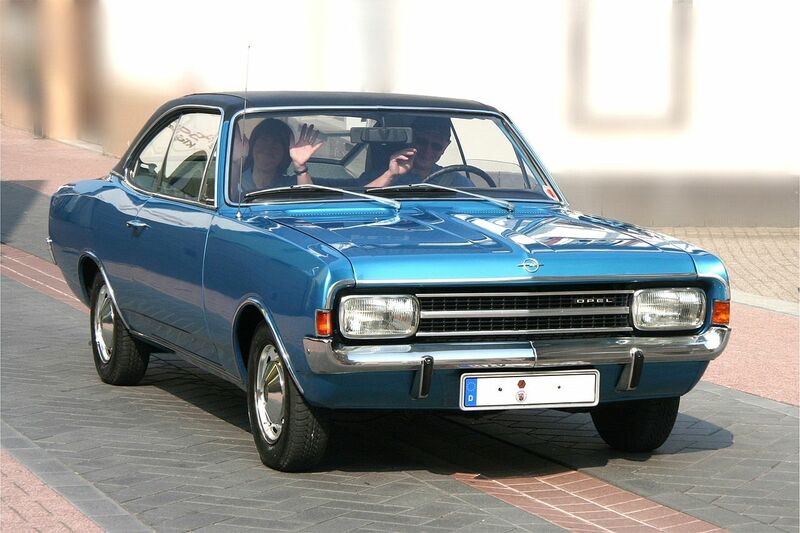 The basic form and proportions of the logo have remained unchanged since the 1973 version, which made the lightning tails shorter so that the logo could fit proportionately within a yellow square, allowing it to be displayed alongside both the Vauxhall “Griffin” logo (which in turn appeared within a red square) and the blue square of the General Motors logo – as Opel and Vauxhall were organised into the unified GM Europe. 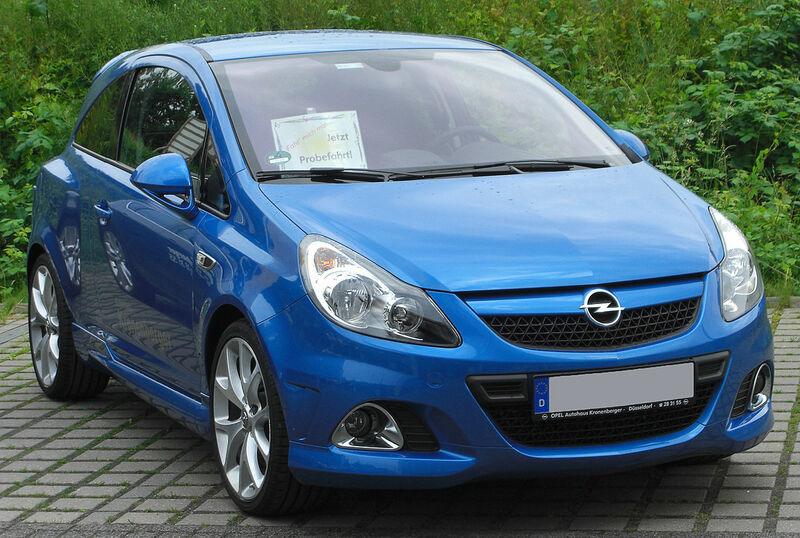 The SC Opel Rüsselsheim is a soccer club with over 450 members. 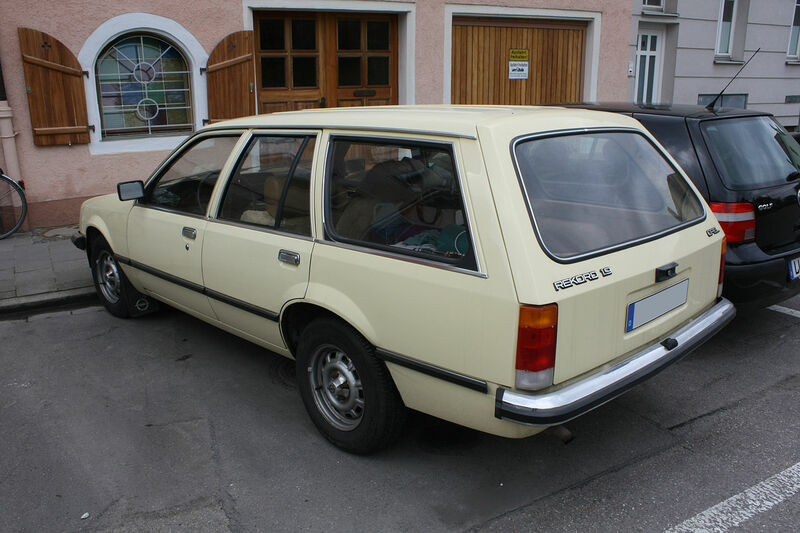 RV 1888 Opel Rüsselsheim is a cycling club. 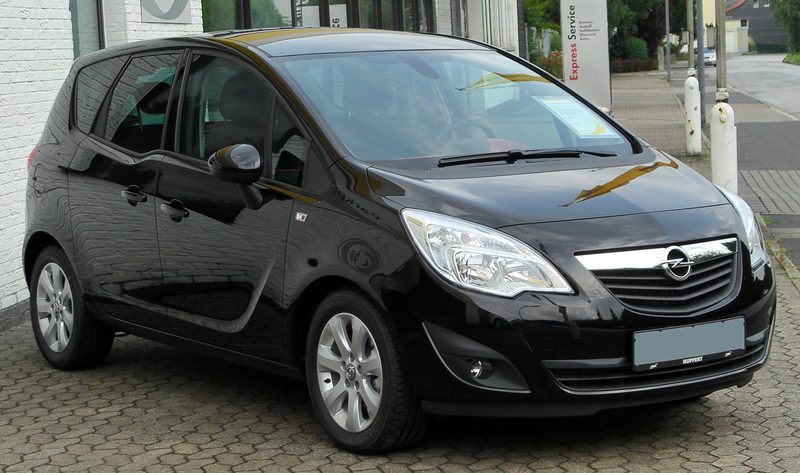 Opel’s corporate tagline is Wir leben Autos, meaning “We live cars” or “We live for cars”. 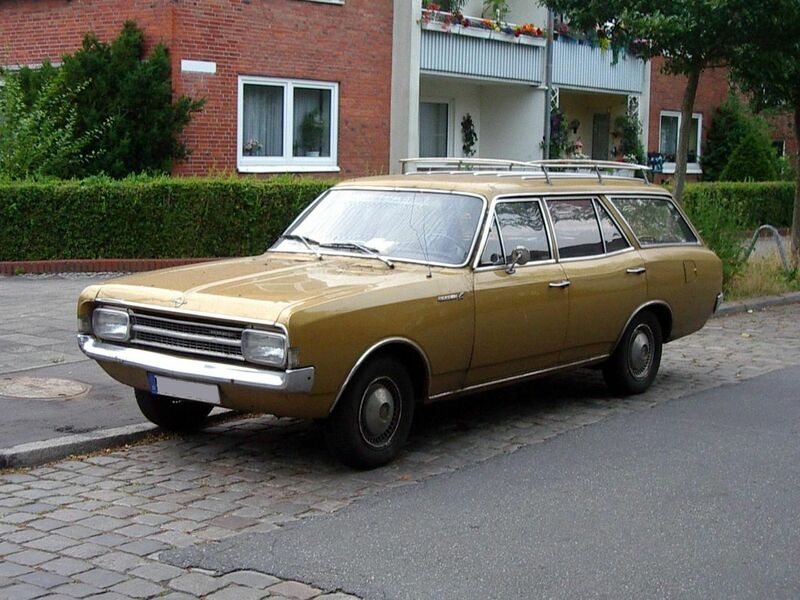 (The similarity in English between live and love also exists in German between leben and lieben, making the tagline sound almost like “We love cars”.) 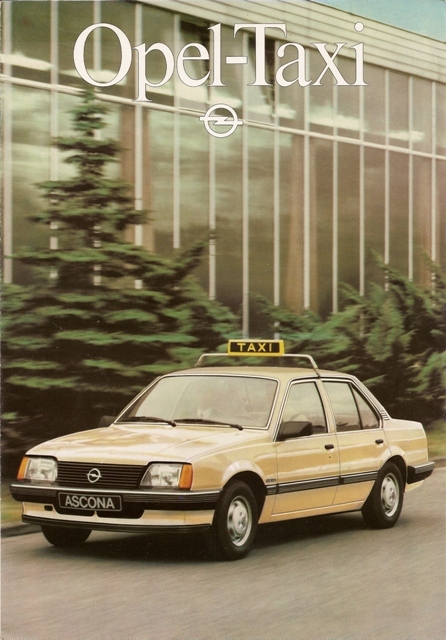 This German tagline is used in many countries around the world. 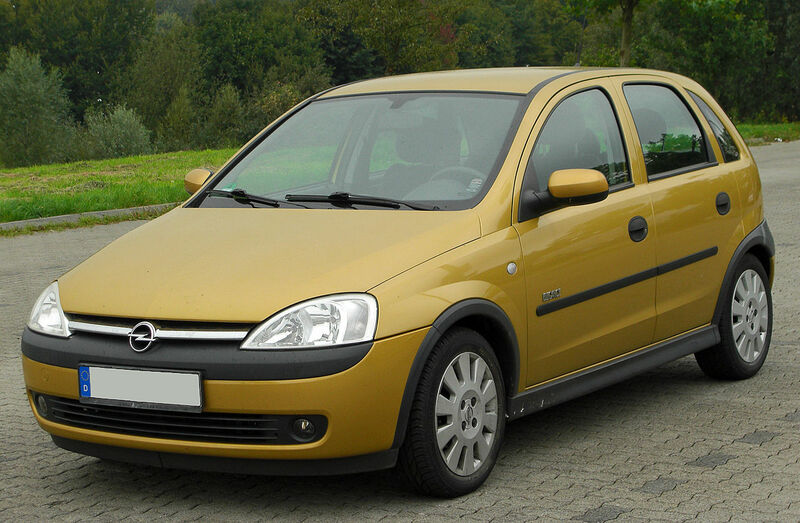 Opel sponsors many football clubs such as Bundesliga club Borussia Dortmund, Eredivisie club Feyenoord, Liga I club Petrolul Ploiești, and Süper Lig club Galatasaray. 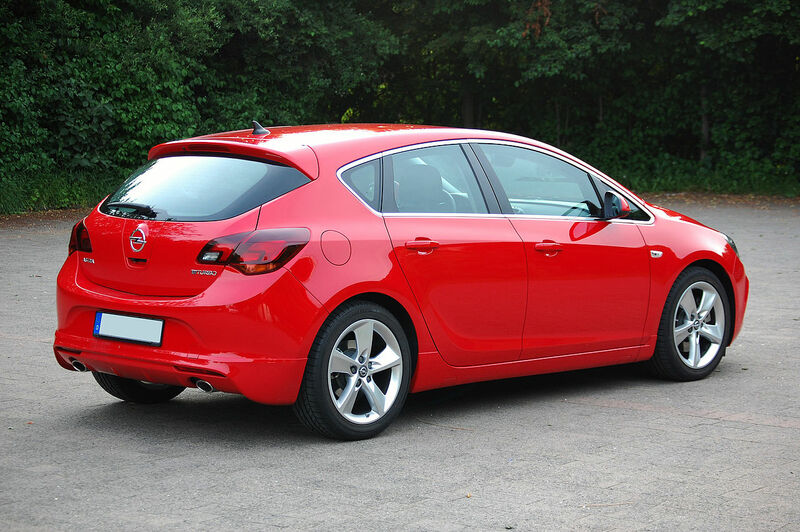 Opel also sponsored Australian Rugby League club the Sydney Roosters who play in theNRL and Australian rules football team the Melbourne Demons in the AFL. 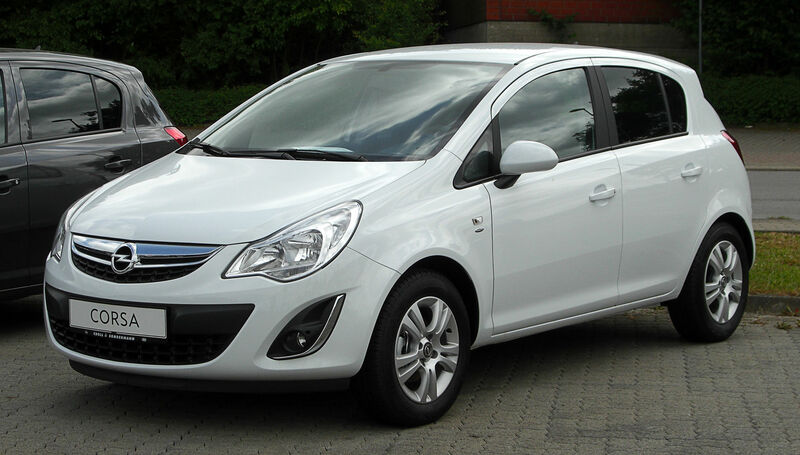 Opel is the main brand of General Motors in Europe. 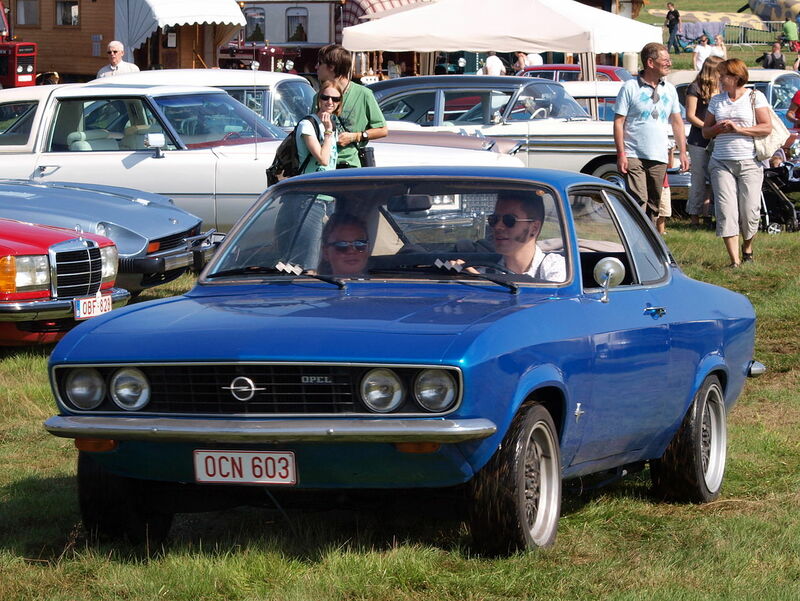 As of 2014, the Opel brand was present in the most of Europe, in parts of North Africa, in South Africa, the Middle East, in Chile and in Singapore. 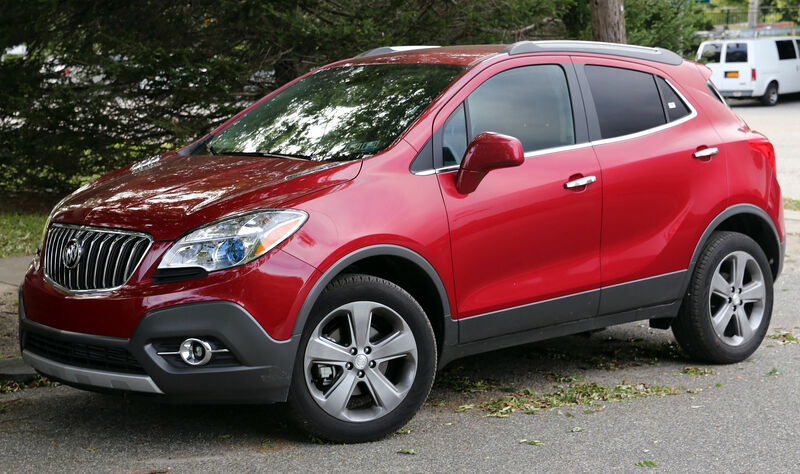 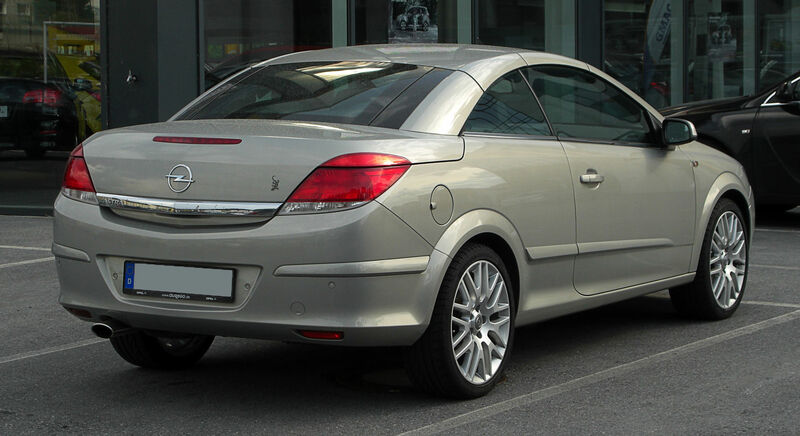 Their models have been rebadged and sold in other countries and continents, such as Vauxhall in the United Kingdom, Chevrolet in Latin America, Holden in Australia and New Zealand and, previously, Saturn in the United States and Canada. 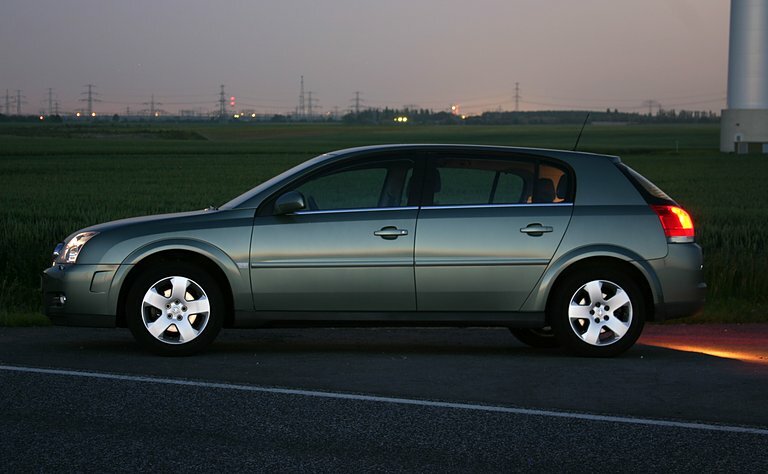 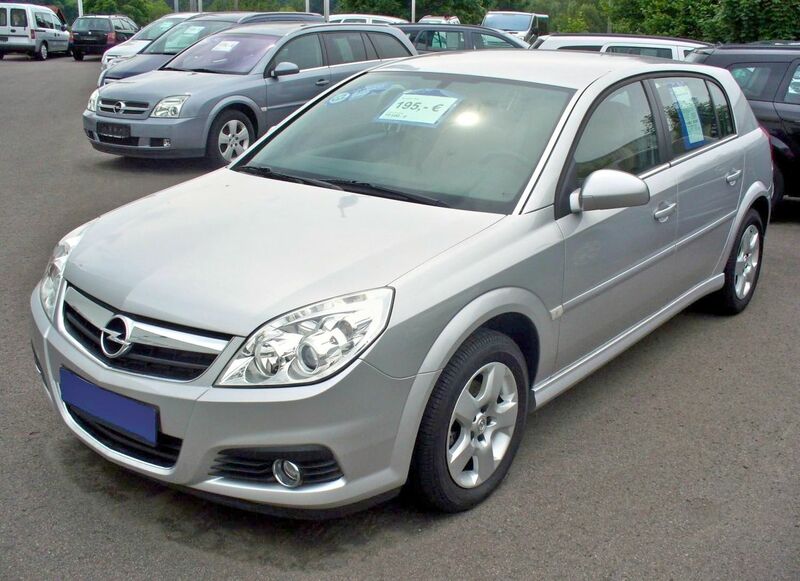 Following the demise of General Motors Corporation‘s Saturn division in North America, Opel cars are currently rebadged and sold in the United States, Canada, Mexico, and China under the Buick name with models such as the Opel Insignia/Buick Regal, Opel Astra sedan/Buick Verano(both which share underpinnings with the Chevrolet Cruze), and Opel Mokka/Buick Encore. 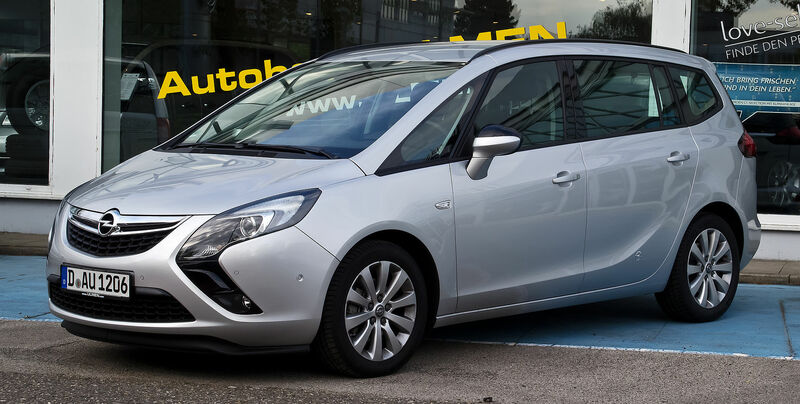 GM confirmed plans of a “hybrid global brand” which includes Opel/Vauxhall and Buick to use more synergies between the brands. 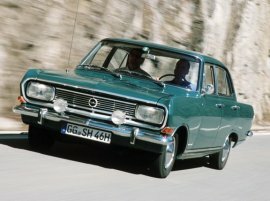 Opel cars appeared under their own name in the U.S. from 1958 to 1975, when they were sold through Buick dealers as captive imports. 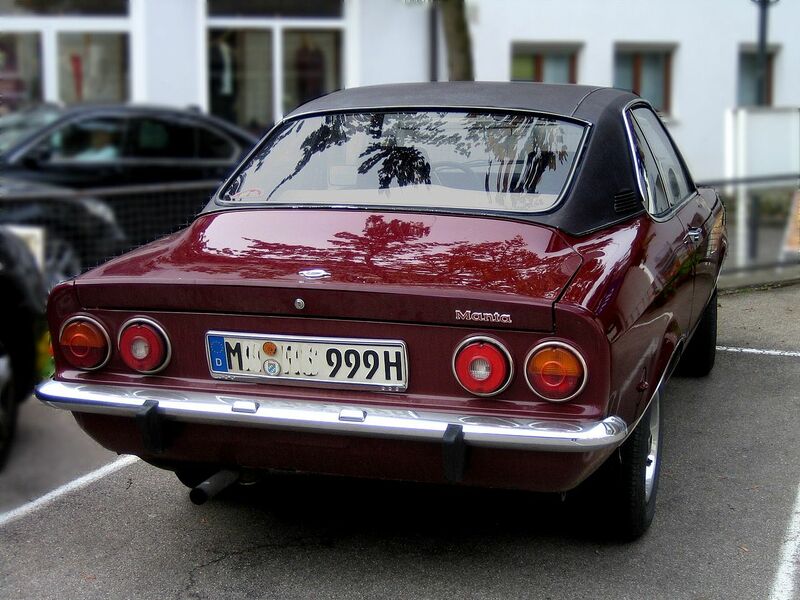 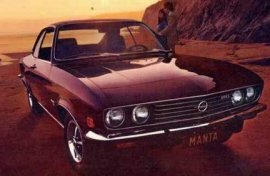 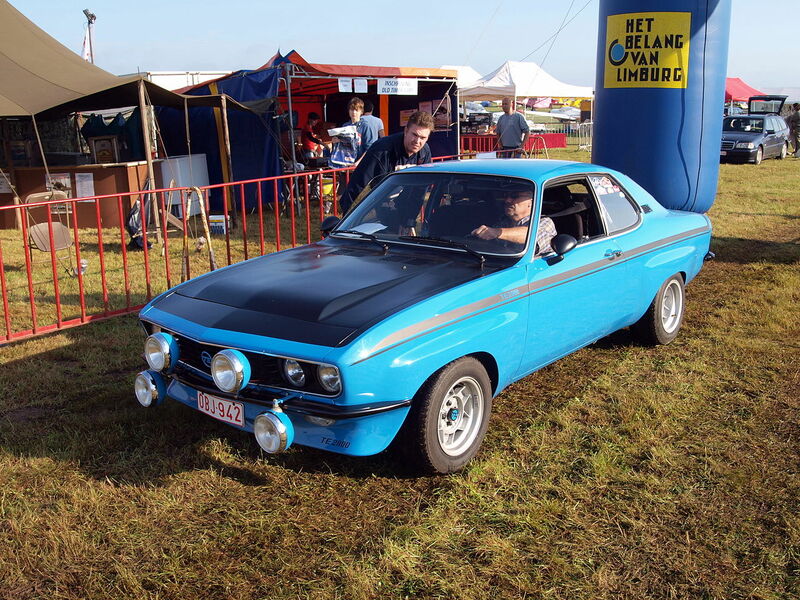 The best-selling Opel models in the U.S. were the 1964 to 1972 Opel Kadett, the 1971 to 1975 Opel Manta, and the now-classic 1968 to 1973 Opel GT. 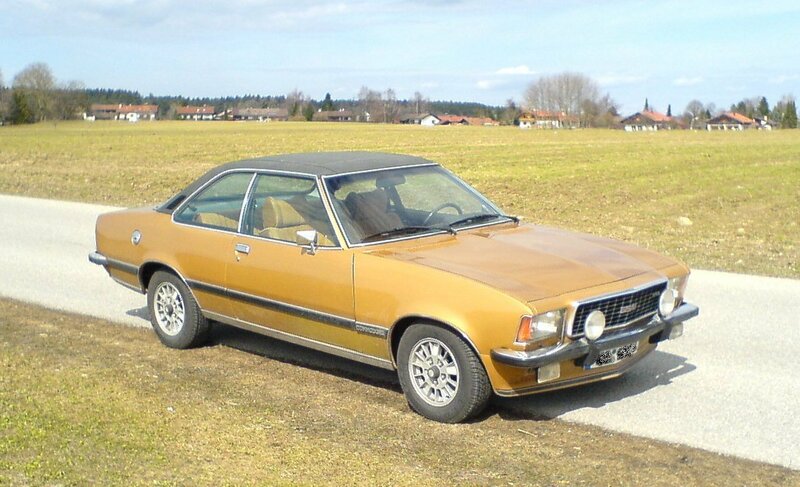 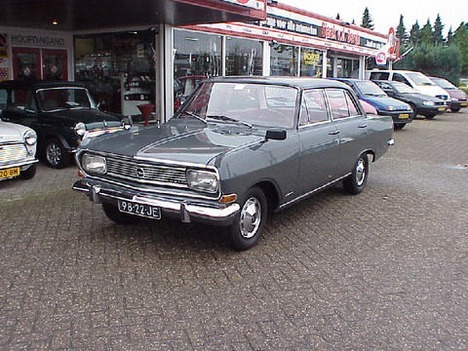 (The name “Opel” was also applied from 1976 to 1980 on vehicles manufactured by Isuzu (similar to the “Isuzu I-mark”), but mechanically those were entirely different cars). 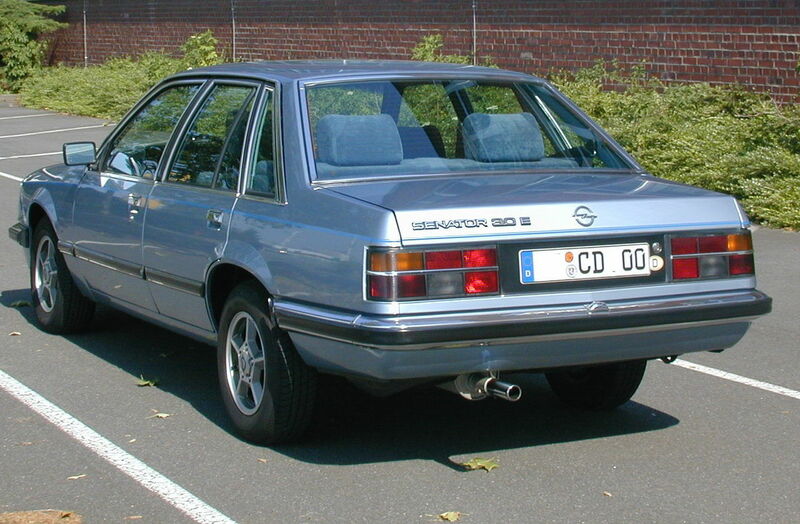 Historically, Opel vehicles have also been sold at various times in the North American market as either heavily modified, or “badge engineered” models under the Chevrolet, Buick, Pontiac, Saturn, and Cadillac brands – for instance the J-body platform, which was largely developed by Opel – was the basis of North American models such as the Chevrolet Cavalier and Cadillac Cimarron. 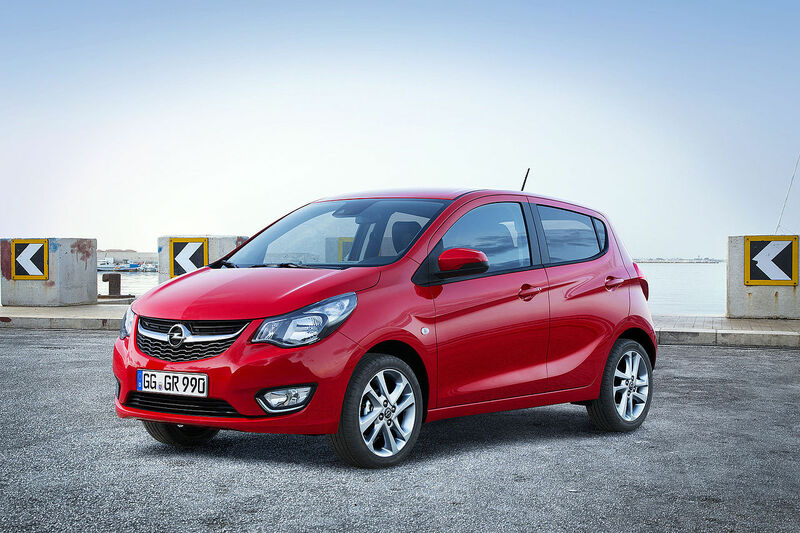 Below is a list of current, or recent Opel models which are sold under GM’s North American brands. 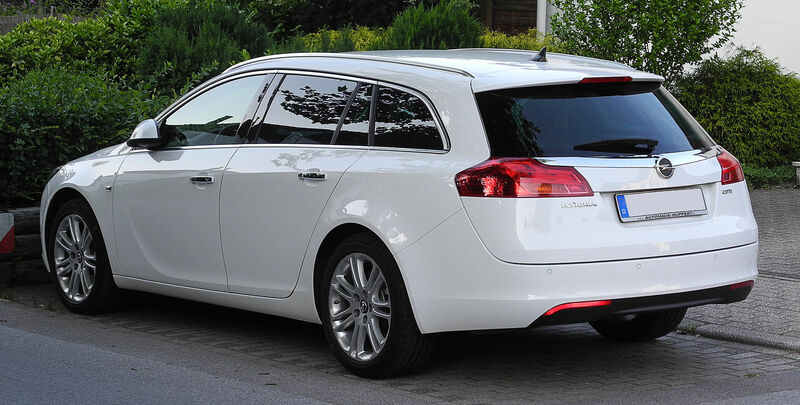 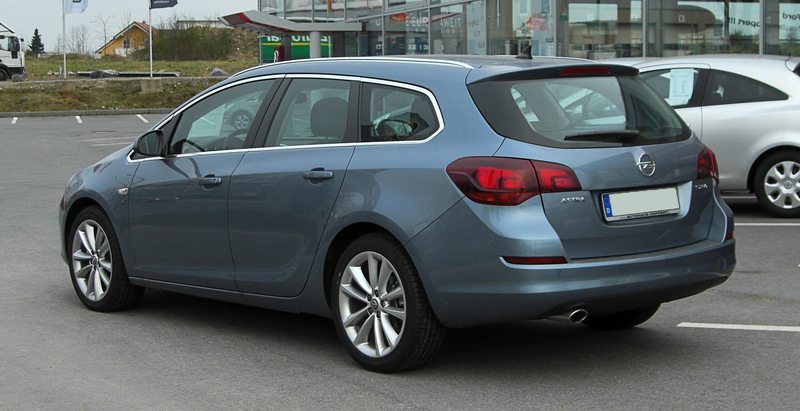 The Buick Regal is a rebadged Opel Insignia. 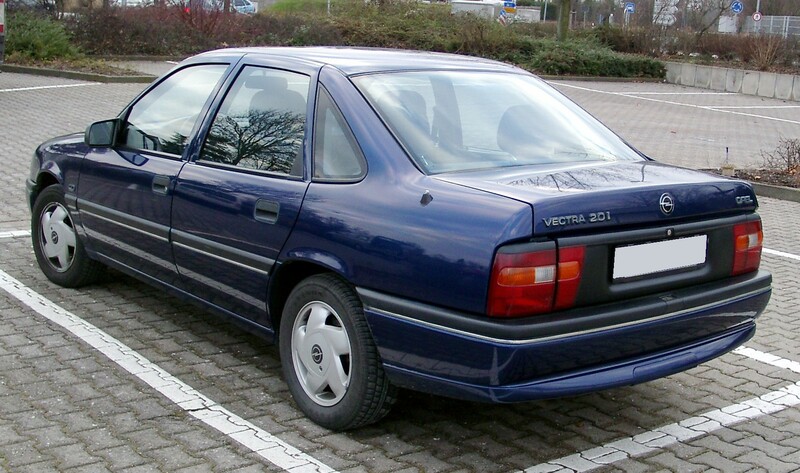 The main differences are the modified radiator grill and the altered color of the passenger compartment illumination (blue instead of red). 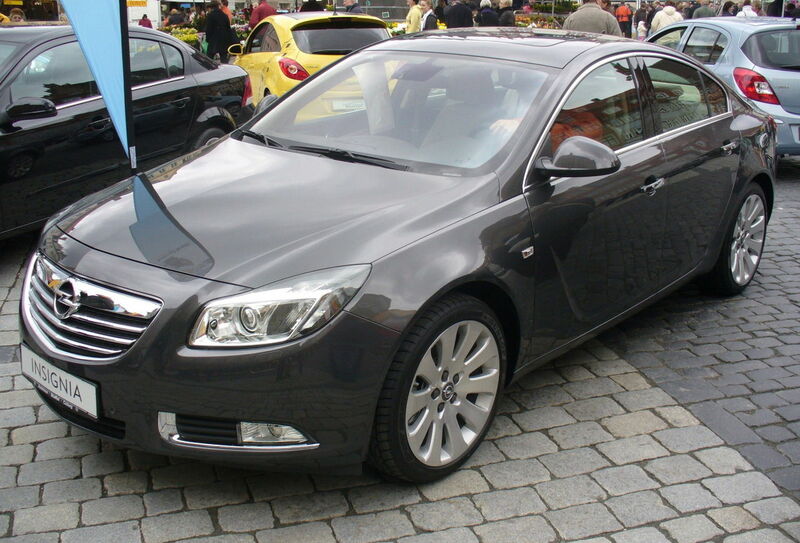 The Regal GS is comparable to the Insignia OPC. 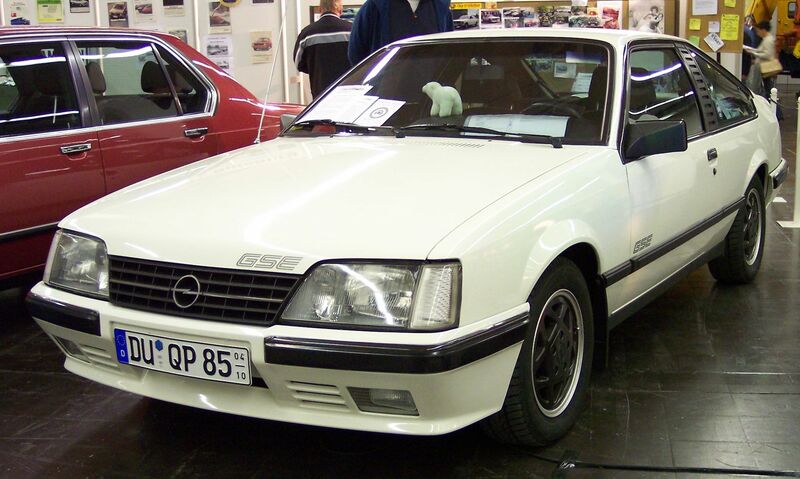 It was first assembled alongside the Insignia at the Opel plant in Rüsselsheim, Germany. 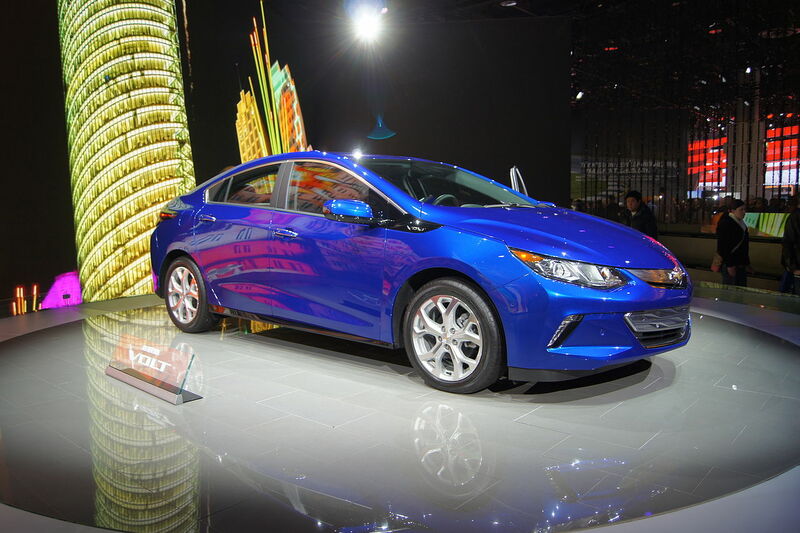 Since the first quarter of 2011, it is now being built on the flexible assembly line at the GM plant in Oshawa, Canada. 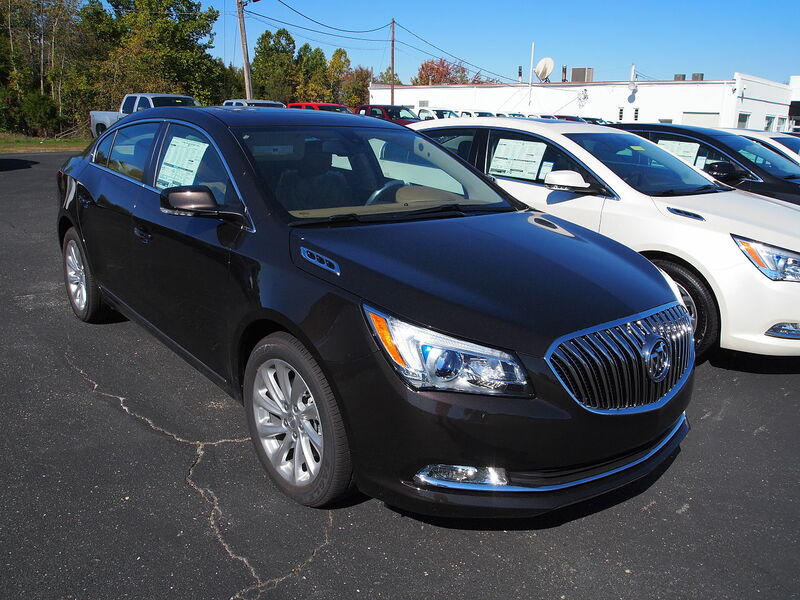 Unlike the vehicles listed above, the Buick LaCrosse is not a rebadged version of an Opel model. 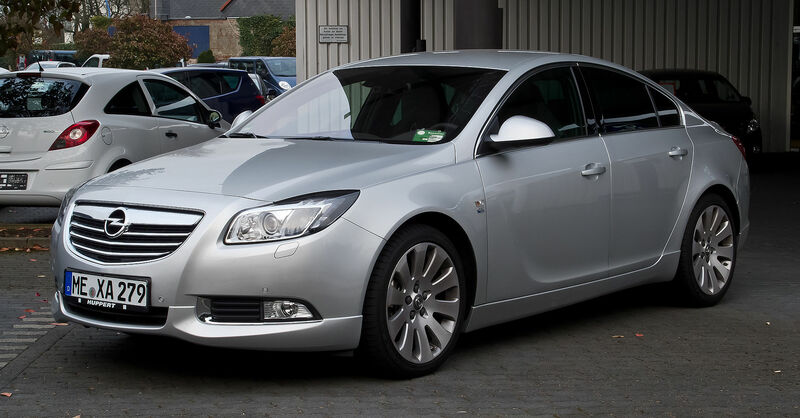 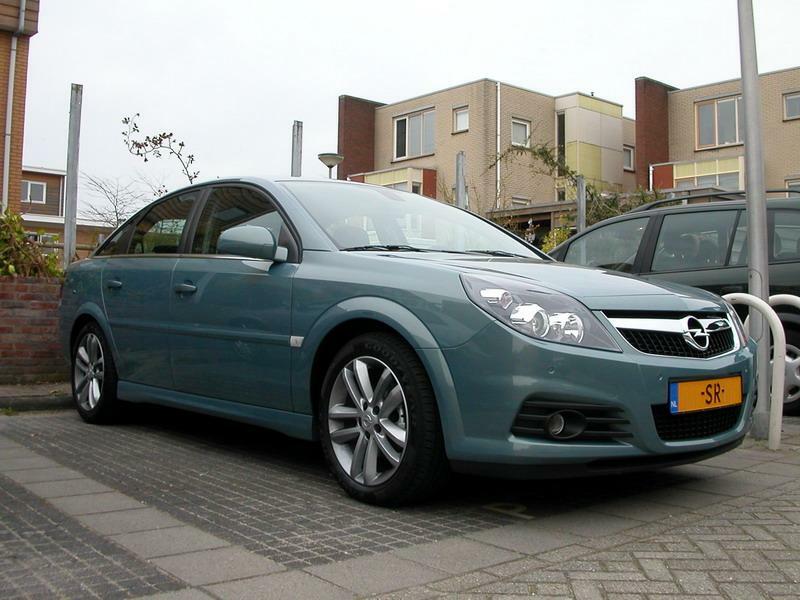 However, it is based on a long wheelbase version of the Opel-developed Epsilon II-platform and therefore shares many key components with the Opel Insignia and thereby the Buick Regal. 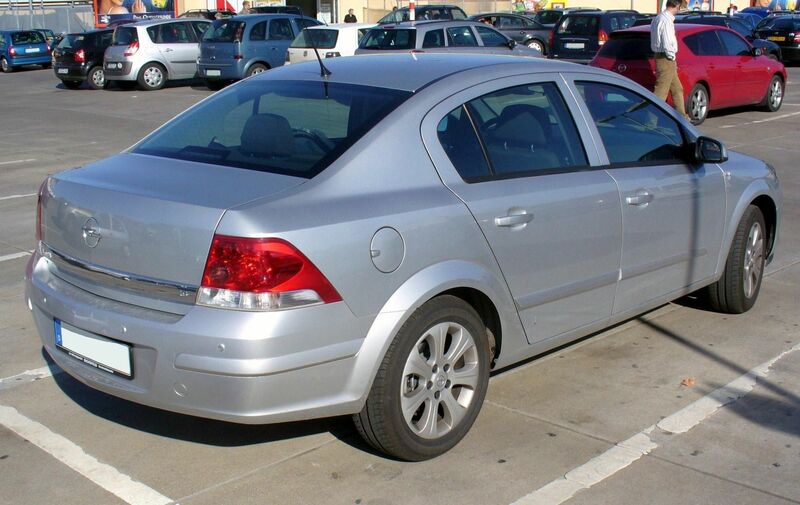 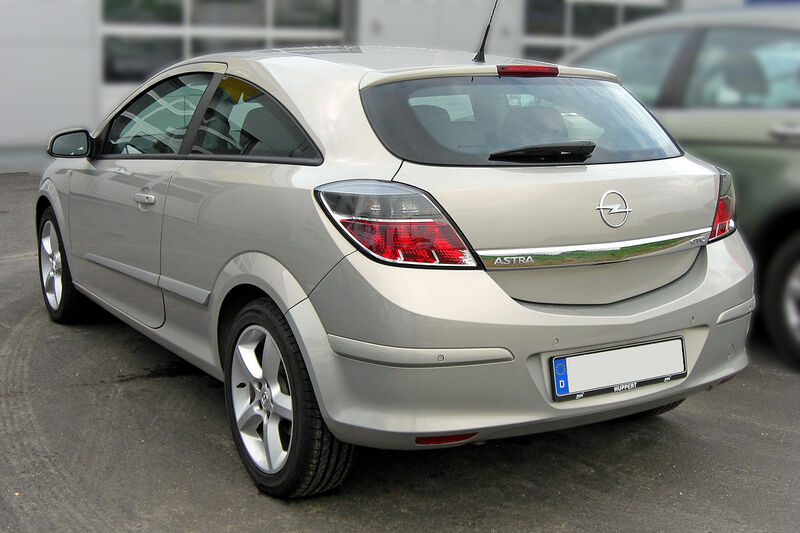 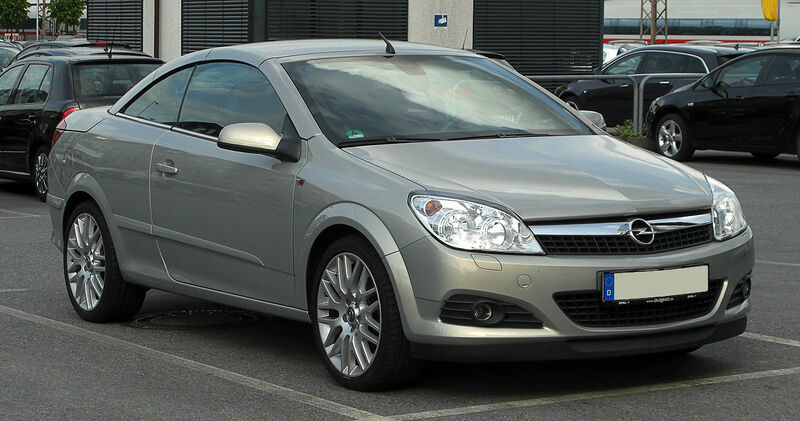 The Astra H was sold in the U.S. as the Saturn Astra for model years 2008 and 2009. 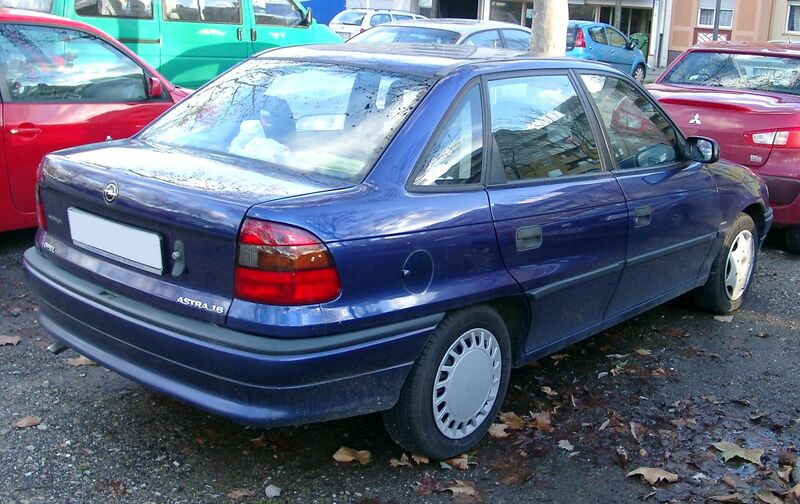 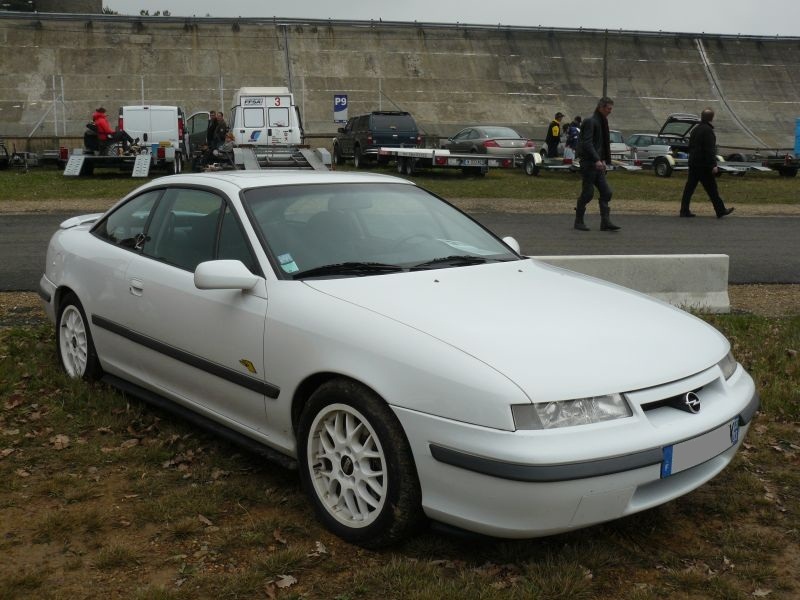 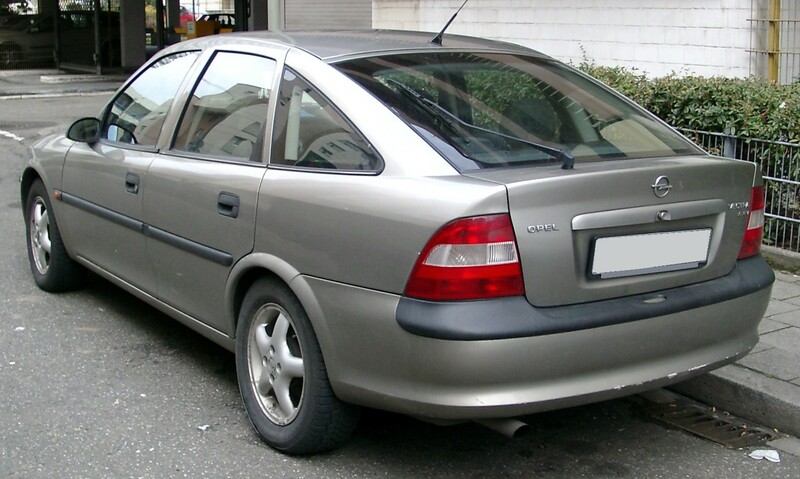 The Saturn L-Series was a modified version of the Opel Vectra B. 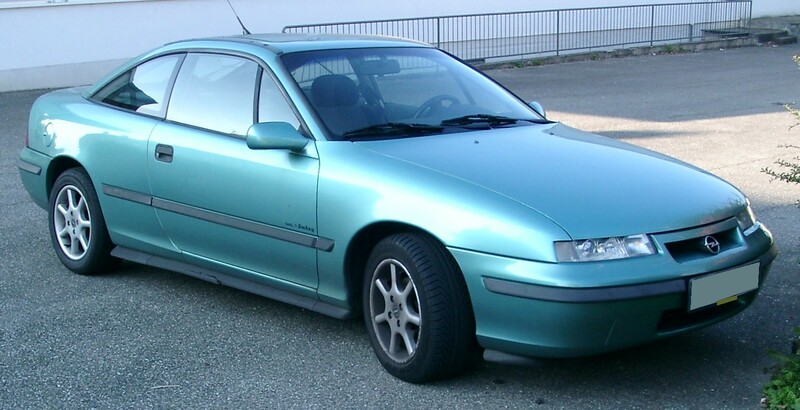 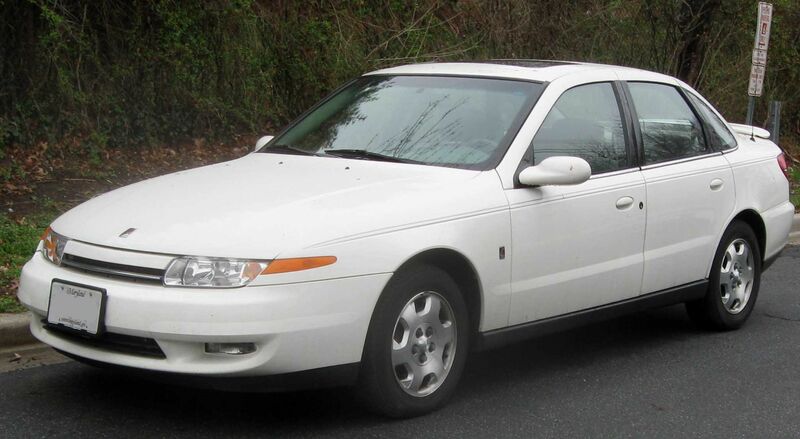 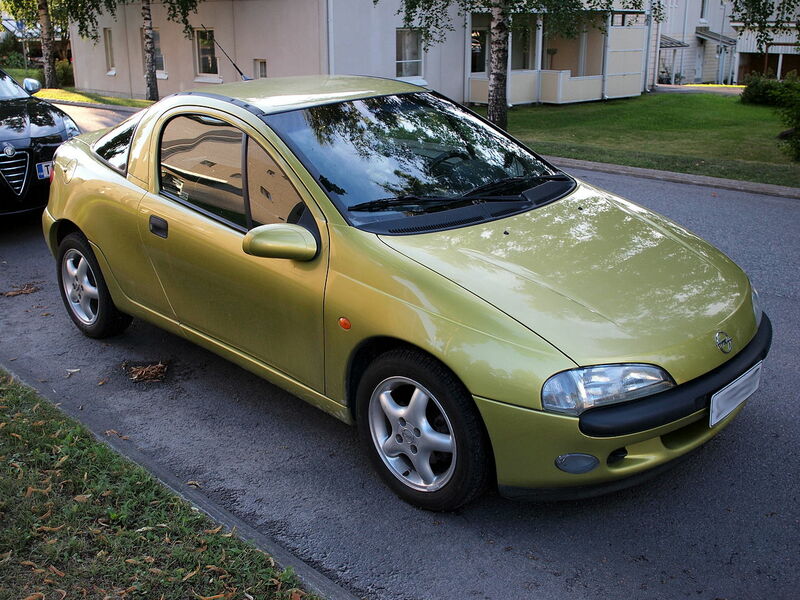 Though the Saturn had different exterior styling and had plastic door panels, it shared the same body shape as the Opel. 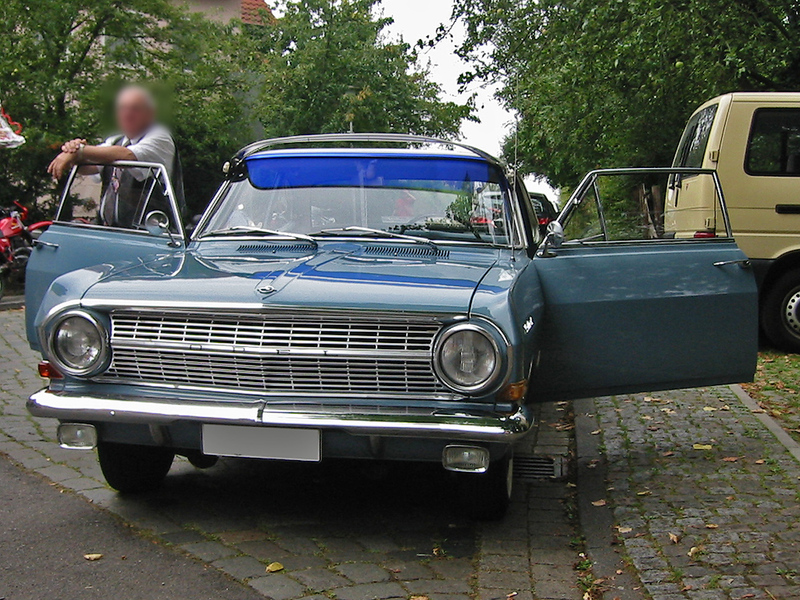 Both cars rode on the GM2900 platform. 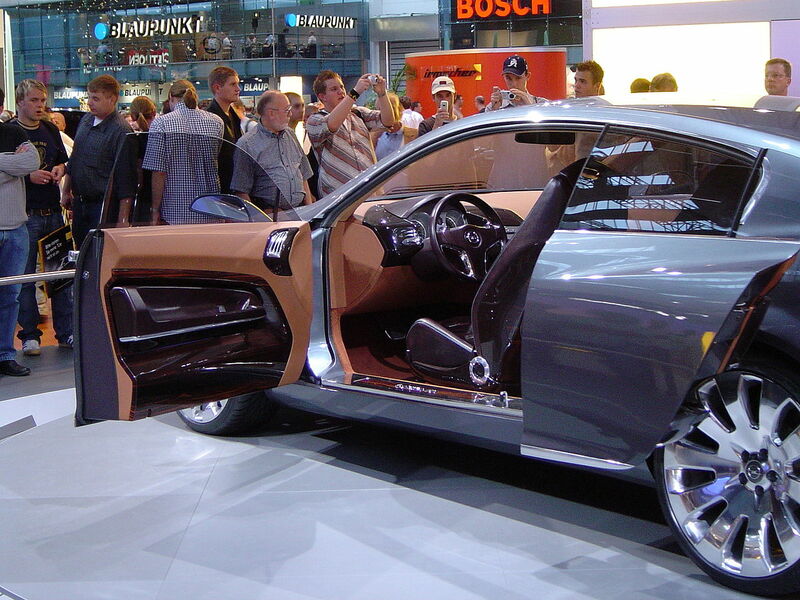 The Saturn also had a different interior, yet shared some interior parts, such as the inside of the doors. 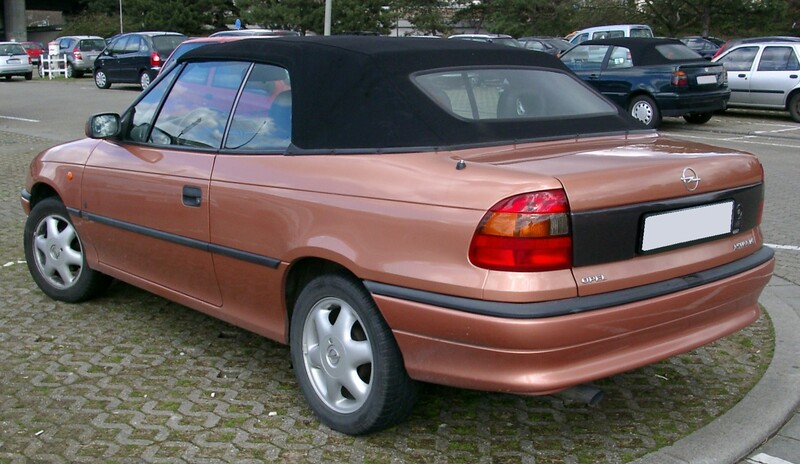 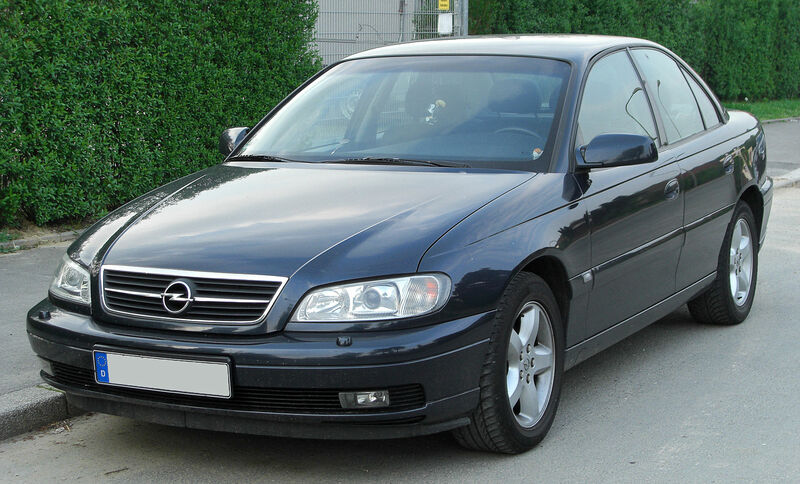 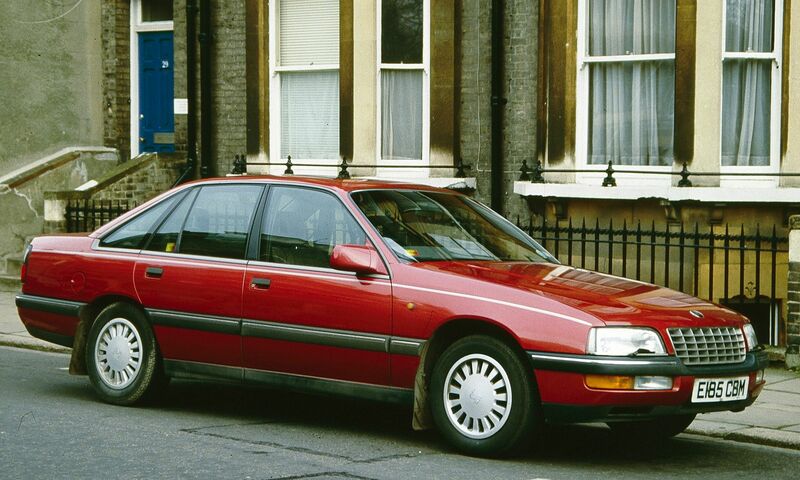 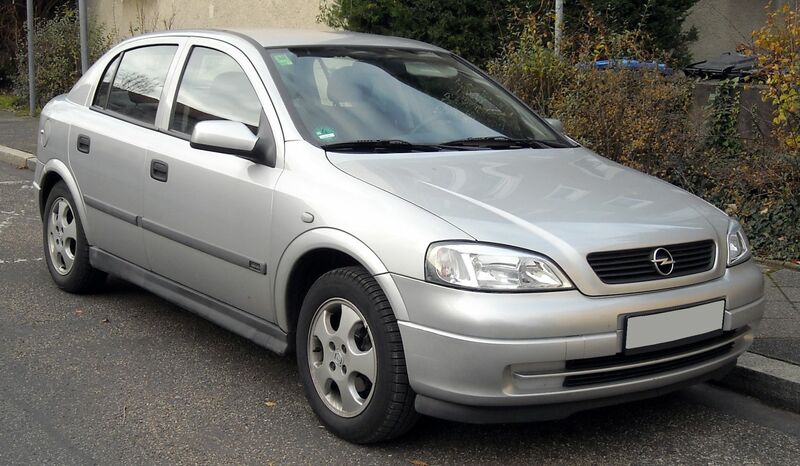 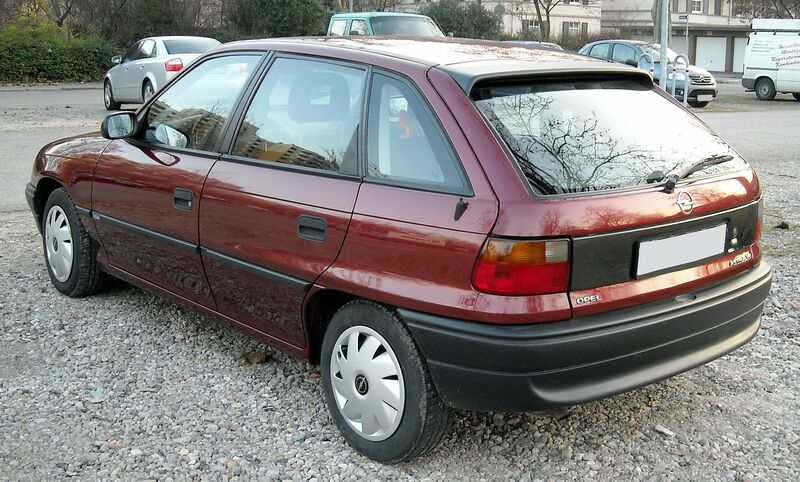 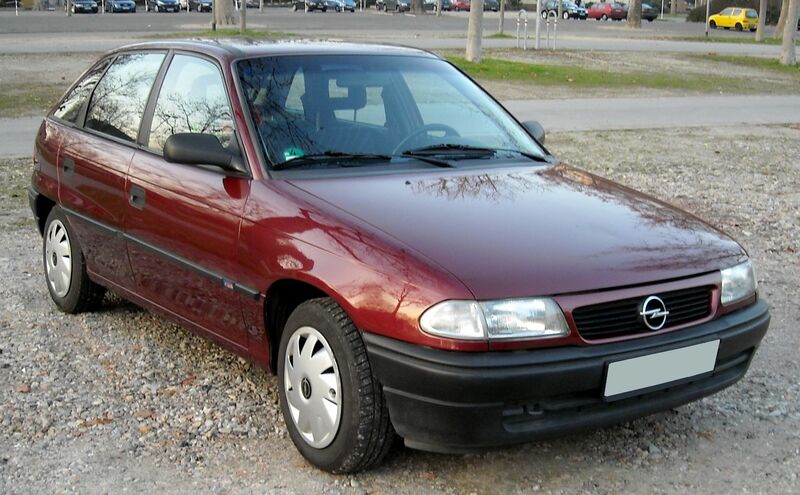 The Opel Omega B was sold in the U.S. as the Cadillac Catera. 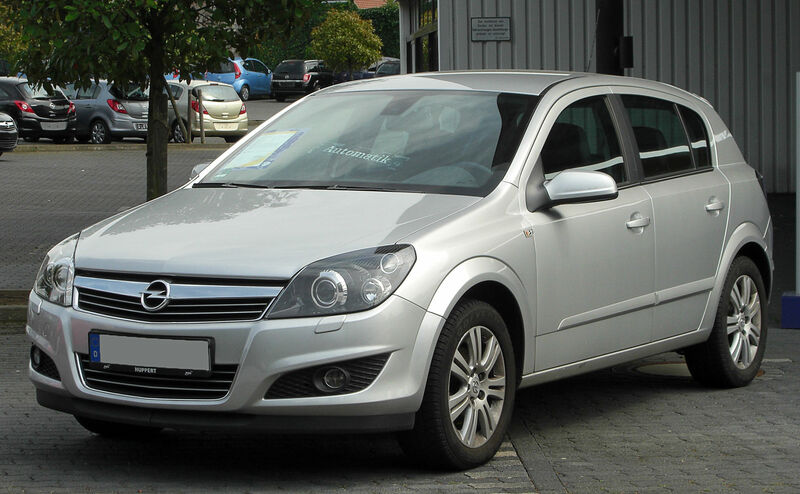 Opel exports a variety of models to Algeria, Egypt, Mauritius, Morocco and South Africa. 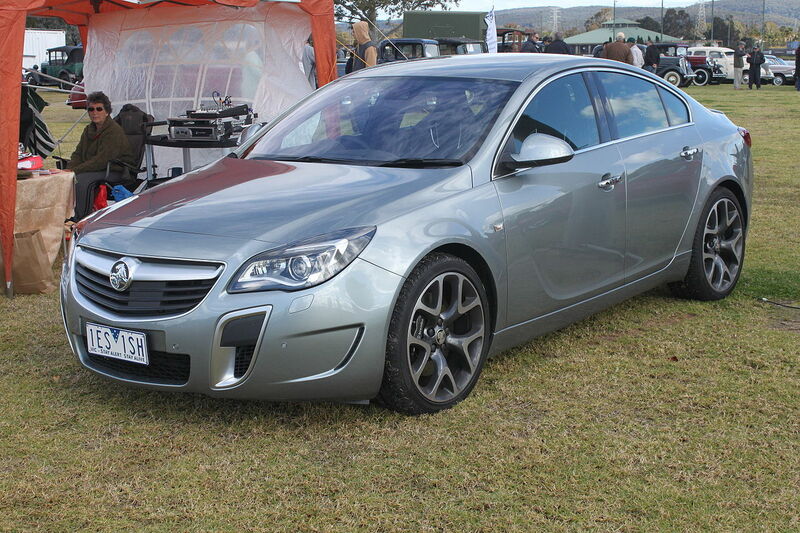 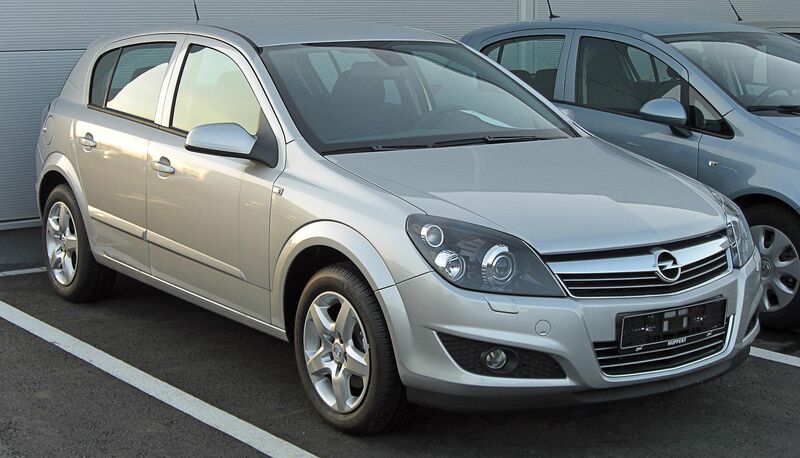 Opel is distributed by General Motors South Africa. 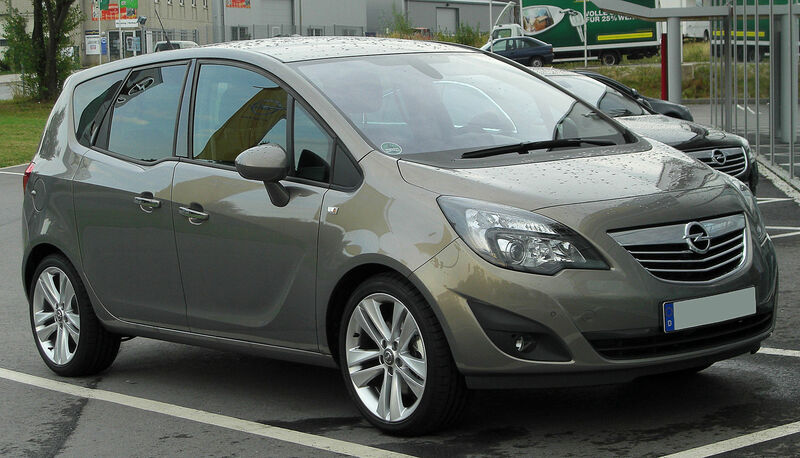 The current (2015) Opel range in South Africa comprises the Opel Adam, Opel Astra, Opel Corsa, Opel Meriva, Opel Mokka and Opel Vivaro. 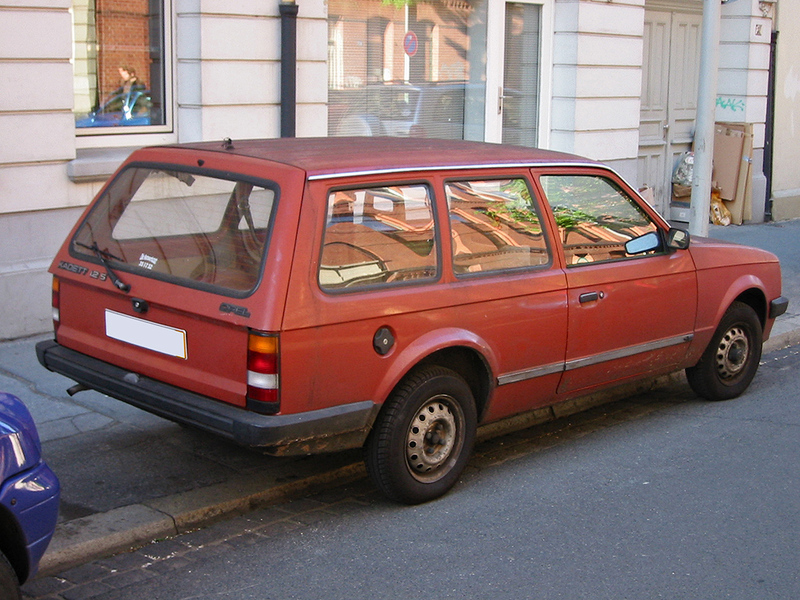 No diesel versions are offered. 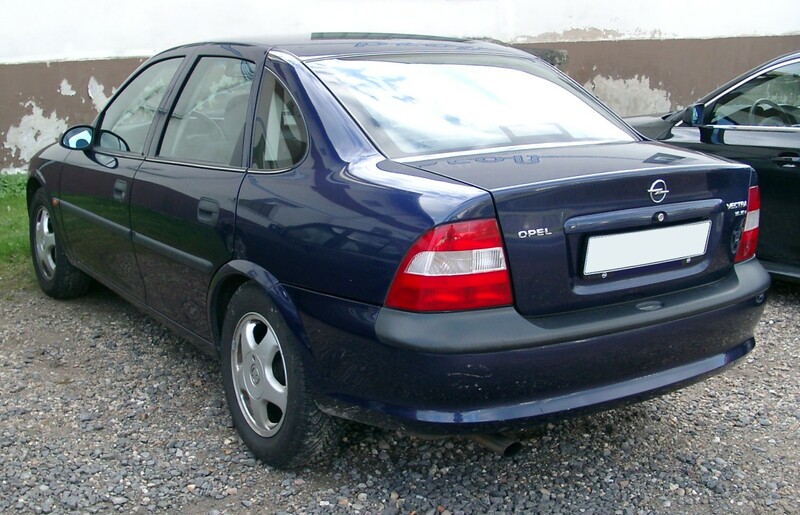 From 1986 to 2003, Opel models were produced by Delta Motor Corporation, a company created through a management buyout following of GM’s divestment from apartheid South Africa. 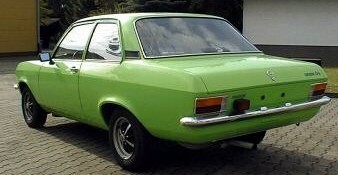 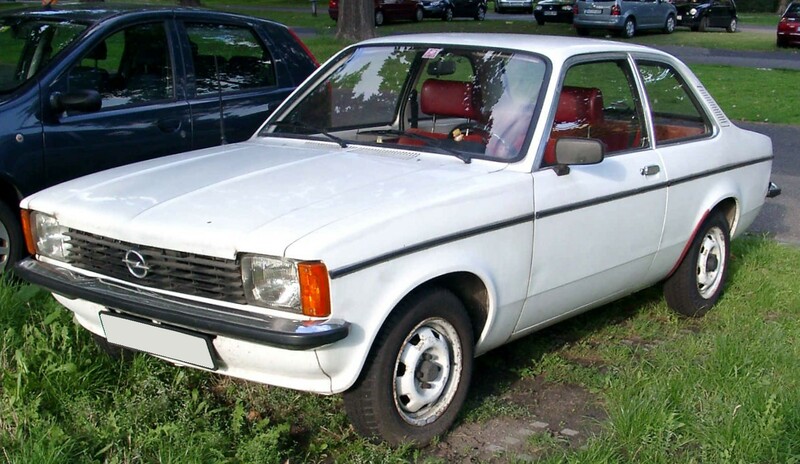 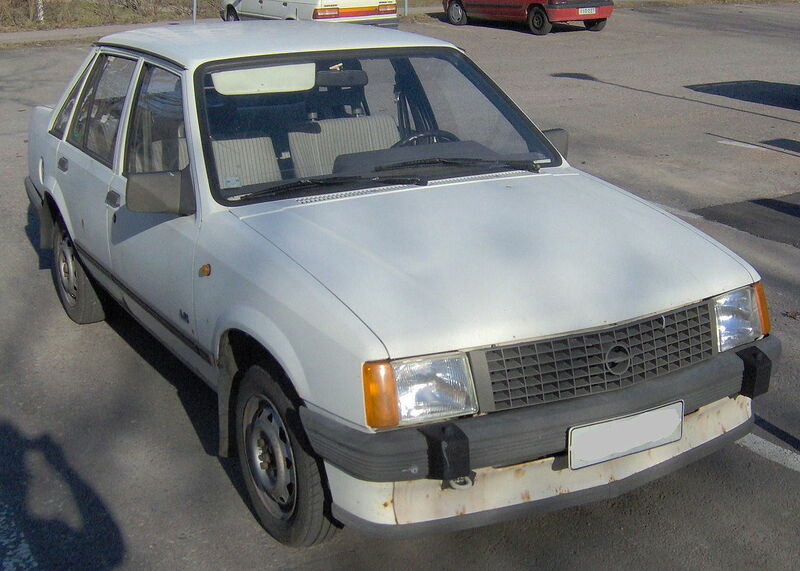 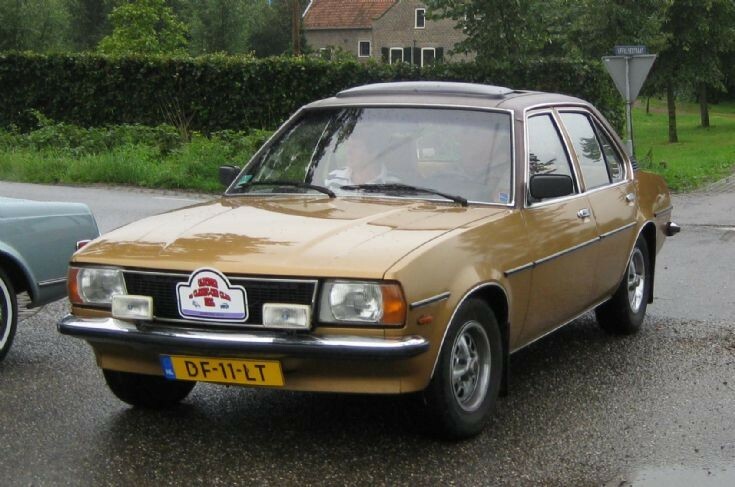 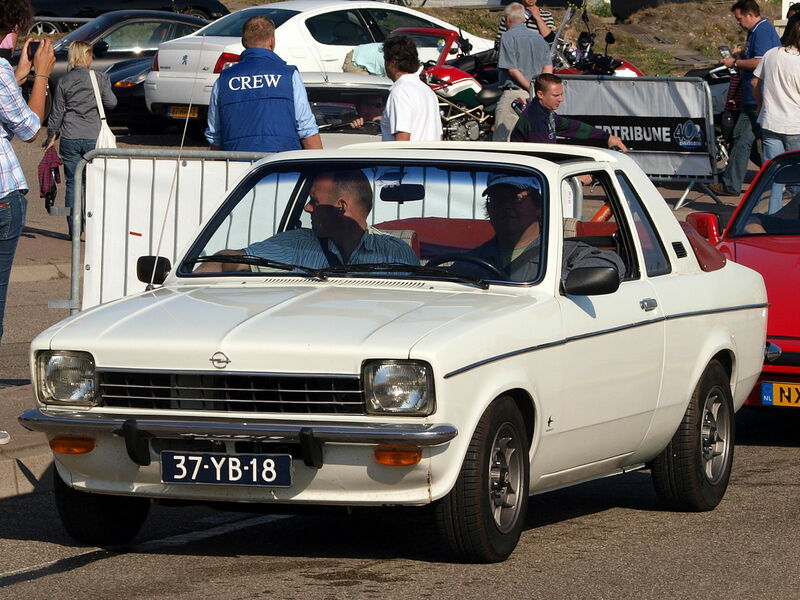 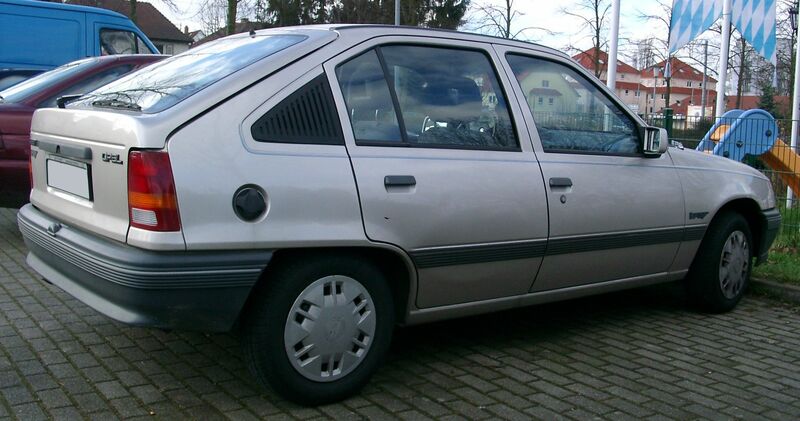 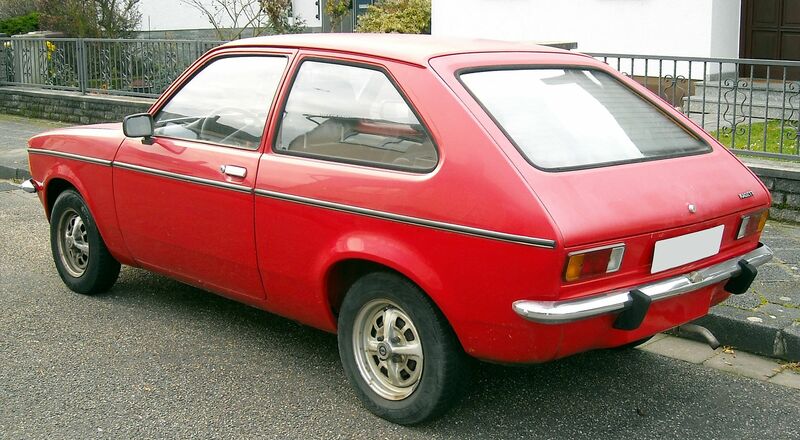 Delta assembled the Opel Kadett, with the sedan version called the Opel Monza. 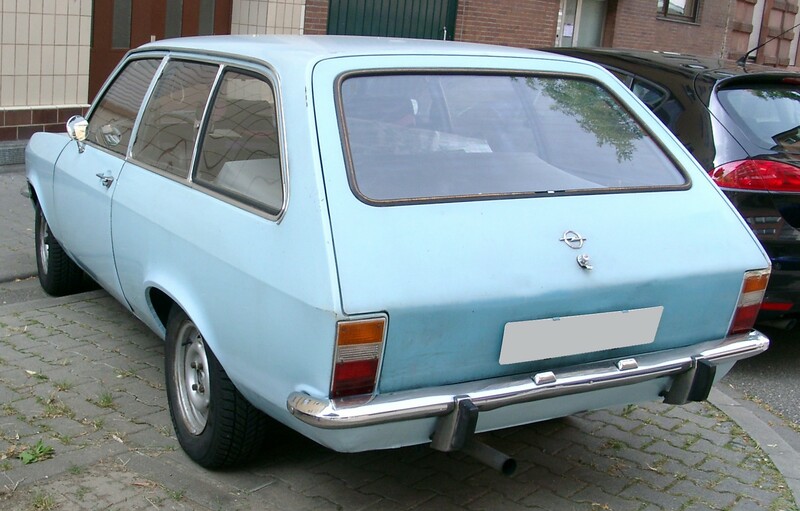 This was replaced by the Opel Astra, although the Kadett name was retained for the hatchback and considered a separate model. 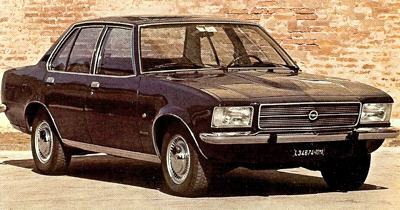 A version of the Rekord Series E remained in production after the model had been replaced by the Omega in Europe, as was a Commodore model unique to South Africa, combining the bodyshell of the Rekord with the front end of the revised Senator. 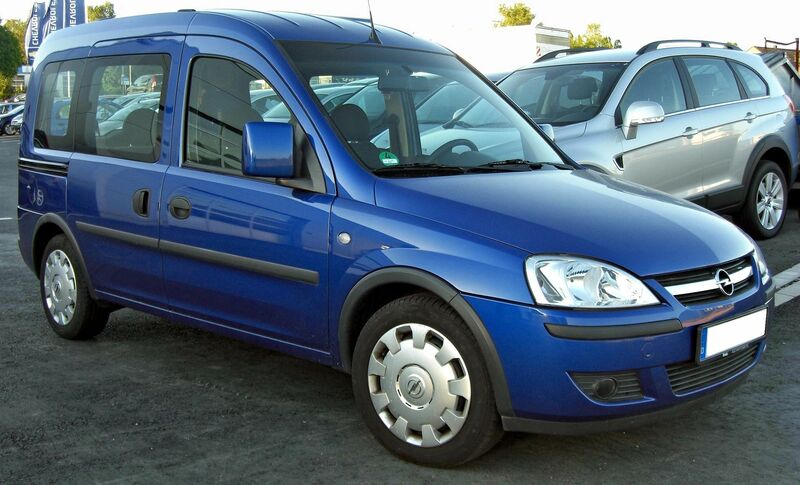 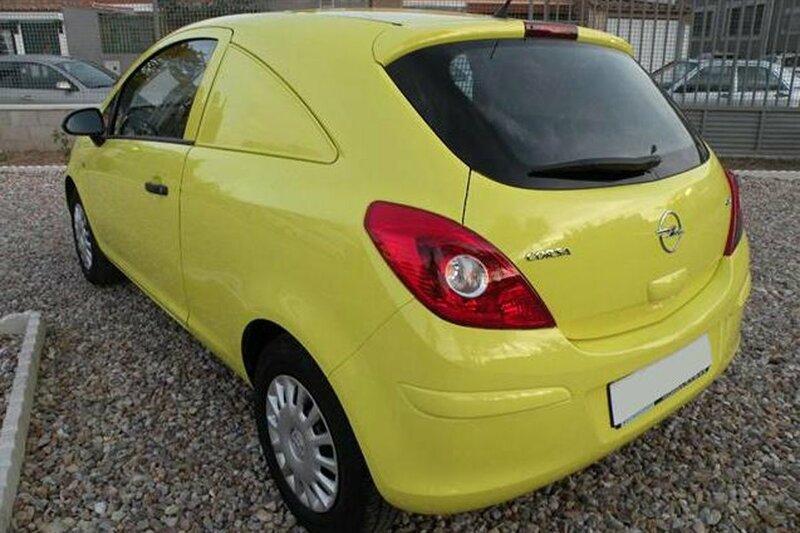 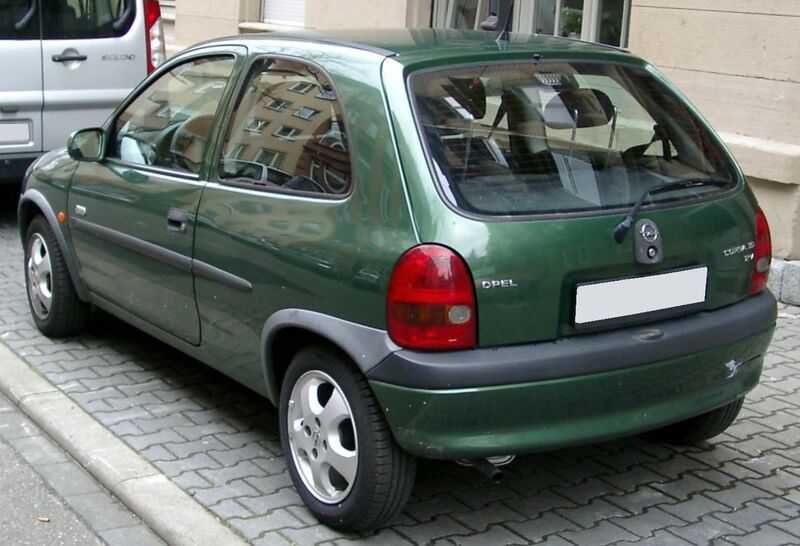 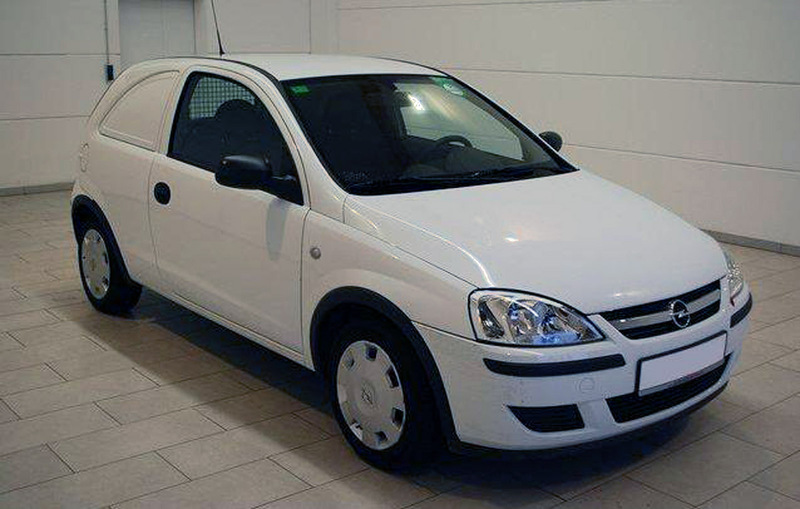 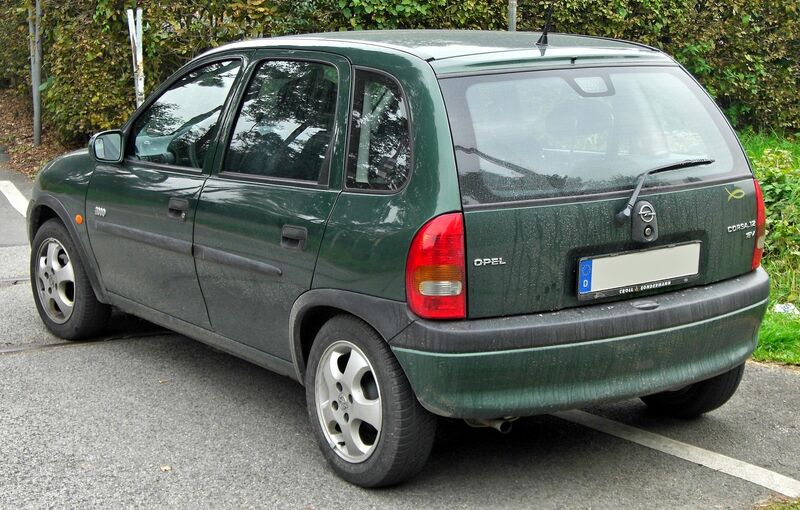 The Opel Corsa was introduced in 1996, with kits of the Brazilian-designed sedan and pick-up (known in South African English as a “bakkie”) being locally assembled. 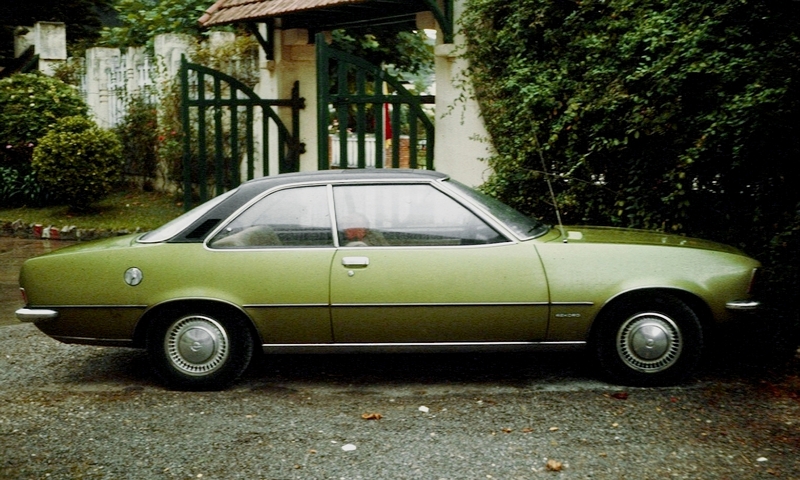 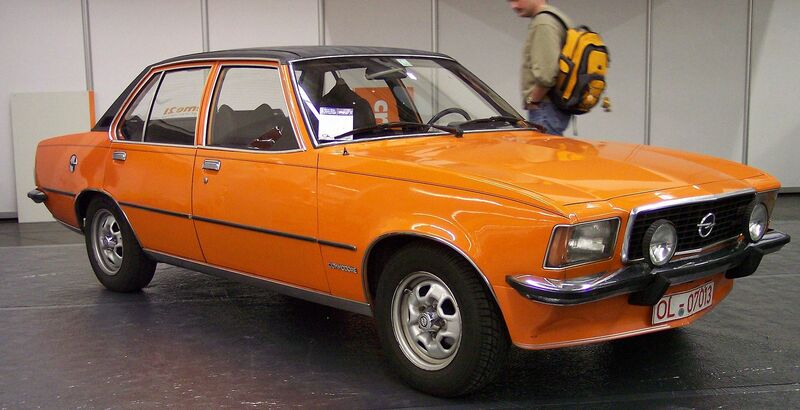 Although GM’s passenger vehicle line-up in South Africa consisted of Opel-based models by the late 1970s, these were sold under the Chevrolet brand name, with only the Kadett being marketed as an Opel when it was released in 1980. 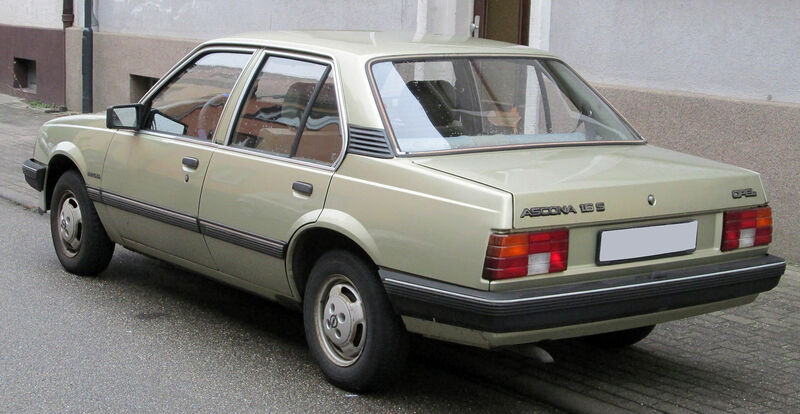 In 1982, the Chevrolet brand name was dropped, with the Ascona, Rekord, Commodore and Senator being rebadged as Opels. 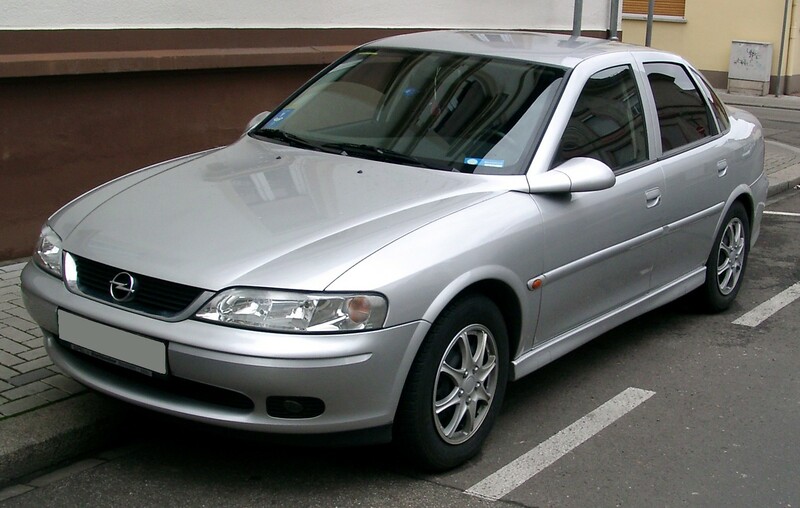 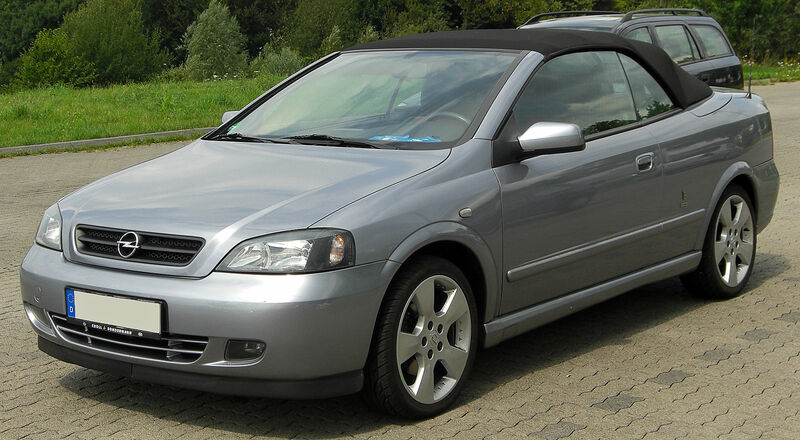 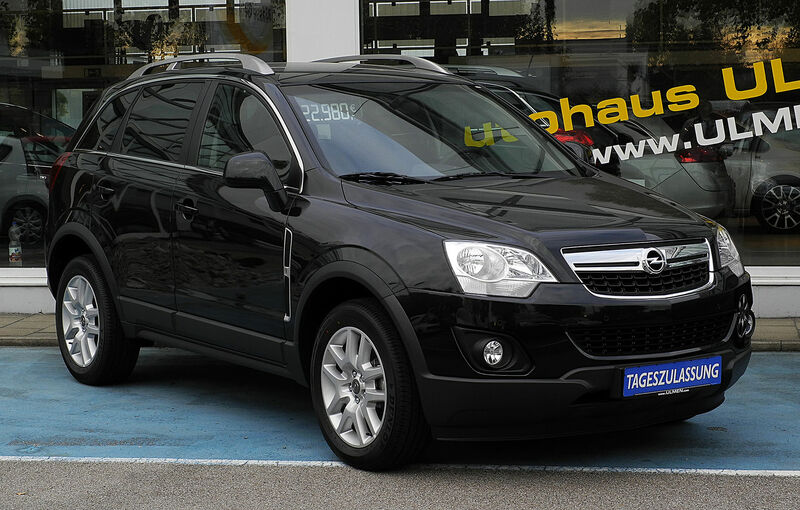 Many Opel models or models based on Opel architectures have been sold in Australia and New Zealand under the Holden marque such as the Holden Barina (1994-2005) were rebadged versions of the Opel Corsa, the Holden Astra a version of the Opel Astra, and the Captiva 5 a version of the Opel Antara. 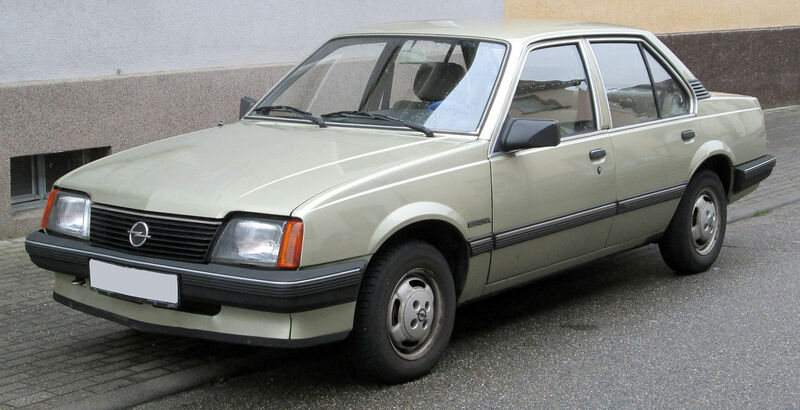 In New Zealand, the Opel Kadett and Ascona were sold as niche models by General Motors New Zealand in the 1980s, while the Opel brand was used on the Opel Vectra until 1994. 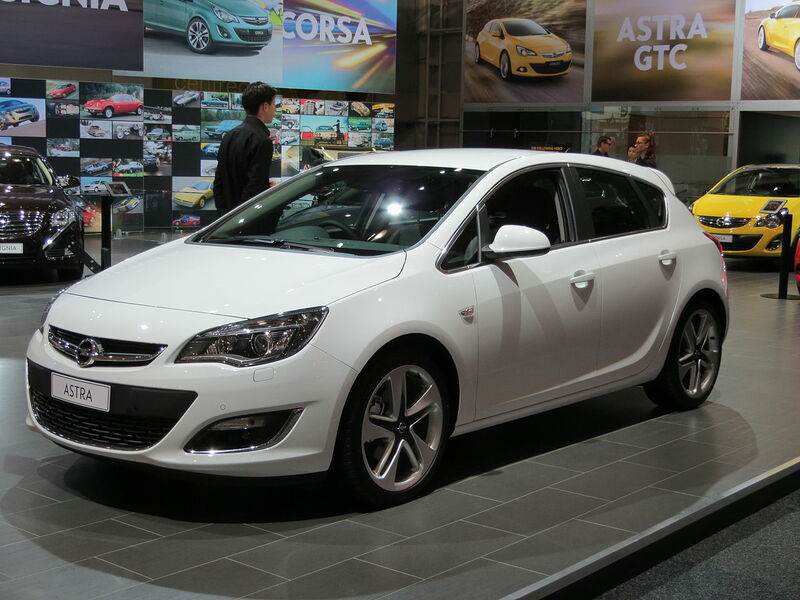 For the first time ever, the Opel brand was introduced to Australia on 1 September 2012, including the Corsa, Astra, Astra GTC and Insignia models. 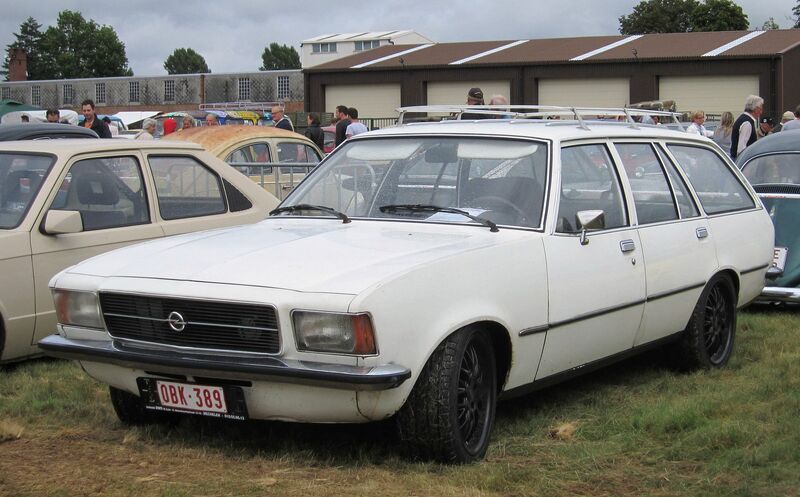 On 2 August 2013 Opel announced it was ending exports to Australia due to poor sales, with only 1,530 vehicles sold in the first ten months. 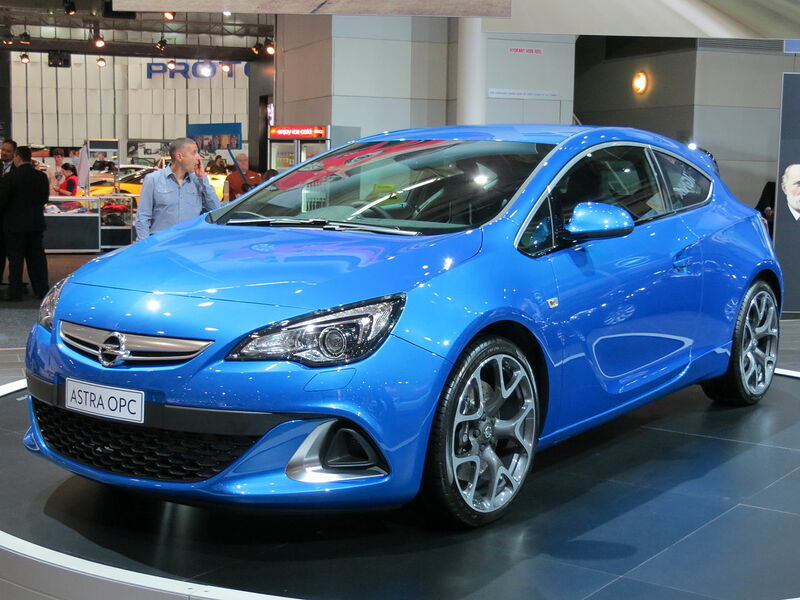 Now, after the Opel Australia closure, Holden will import newer Opel models again such as the Astra GTC, Astra VXR (Astra OPC), Cascada and Insignia VXR (Insignia OPC). 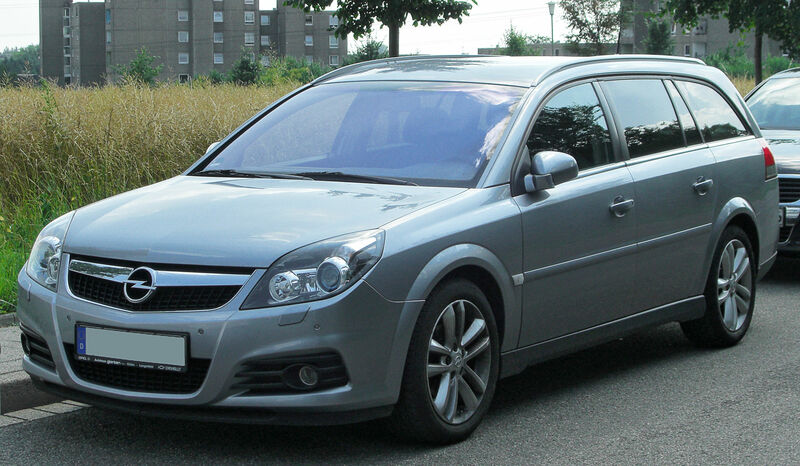 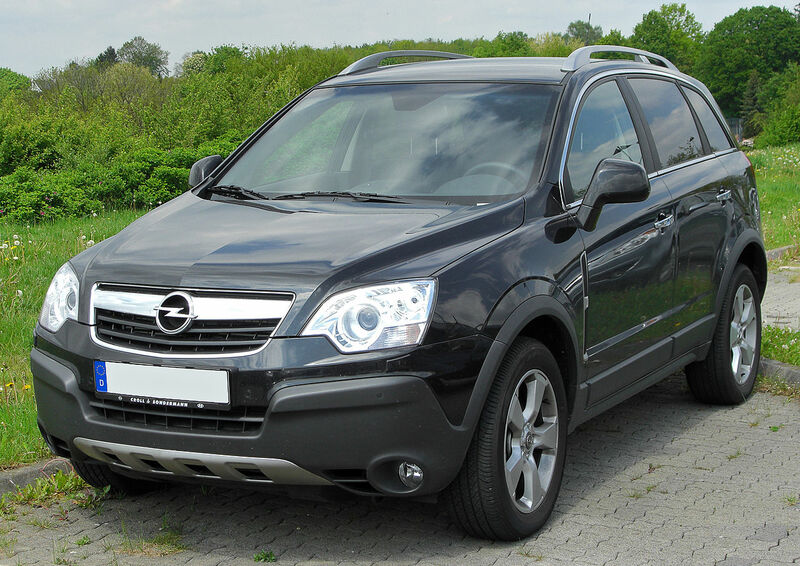 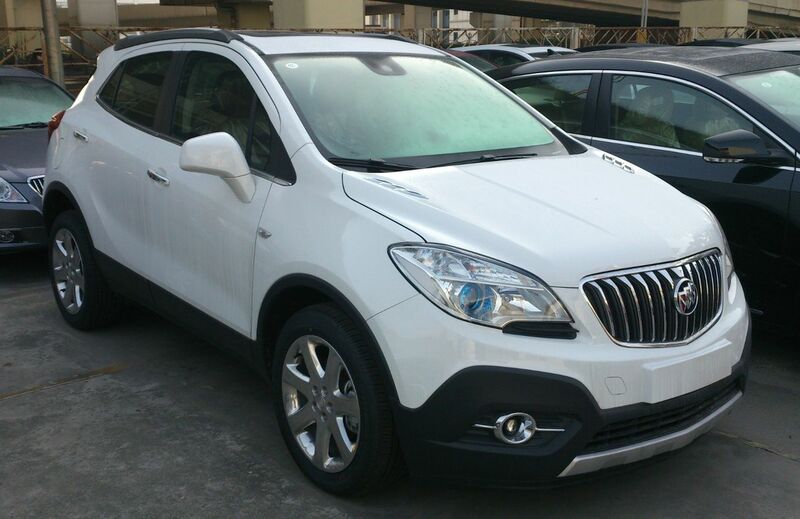 Opel’s presence in China re-commenced started in 2012 with the Antara, and added the Insignia estate in 2013. 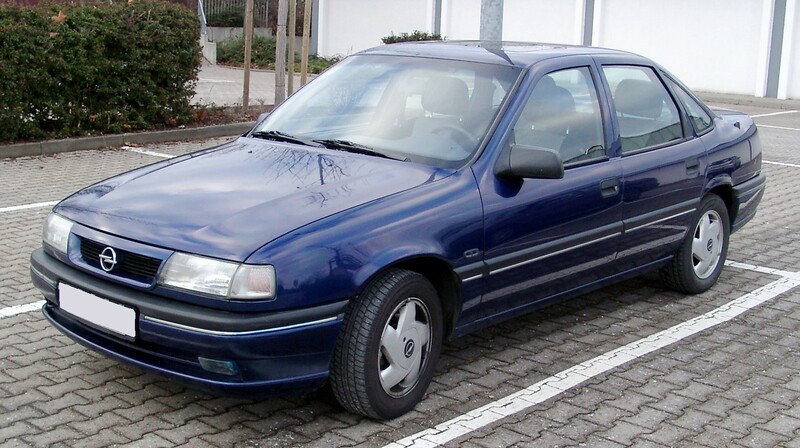 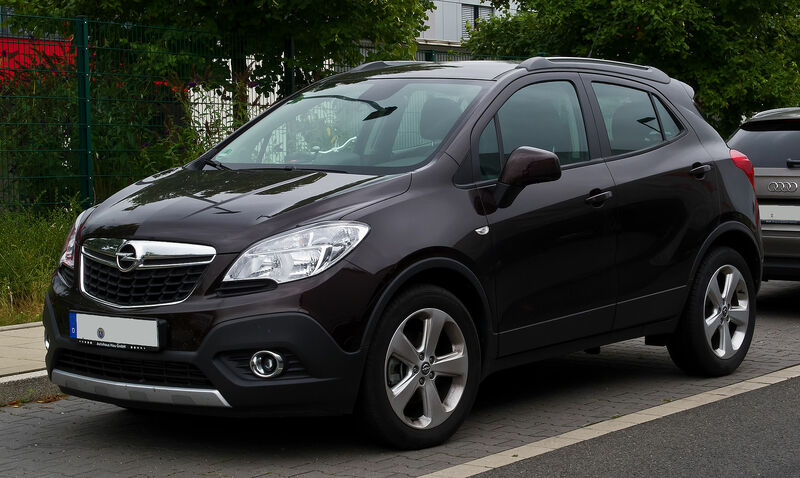 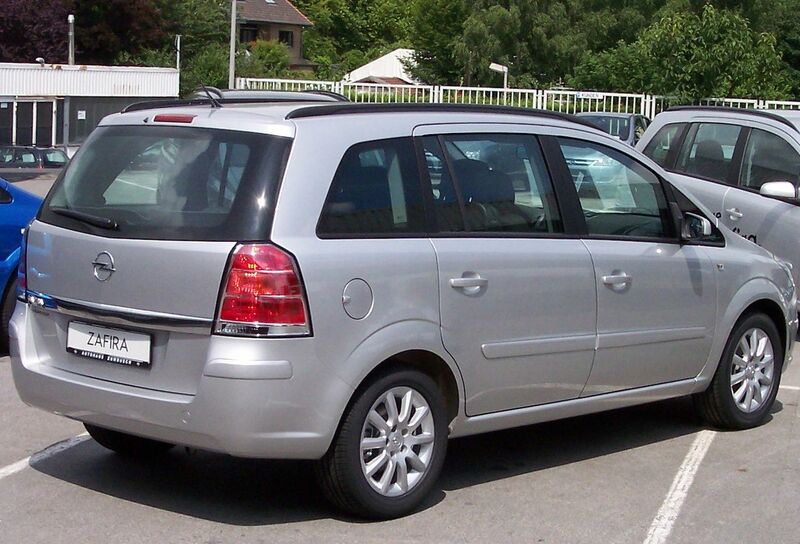 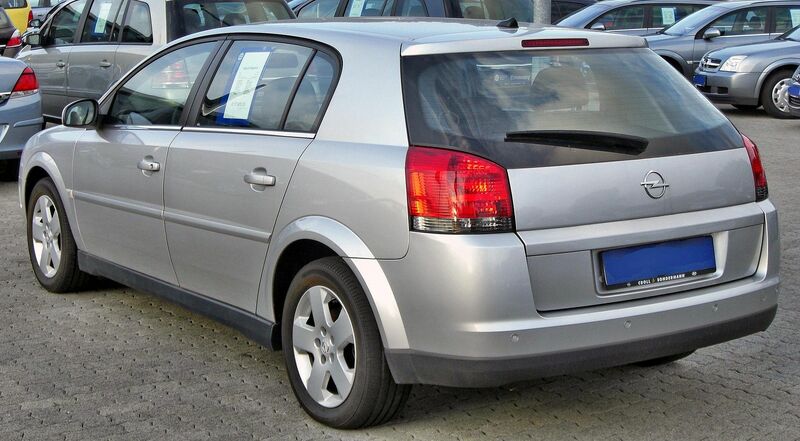 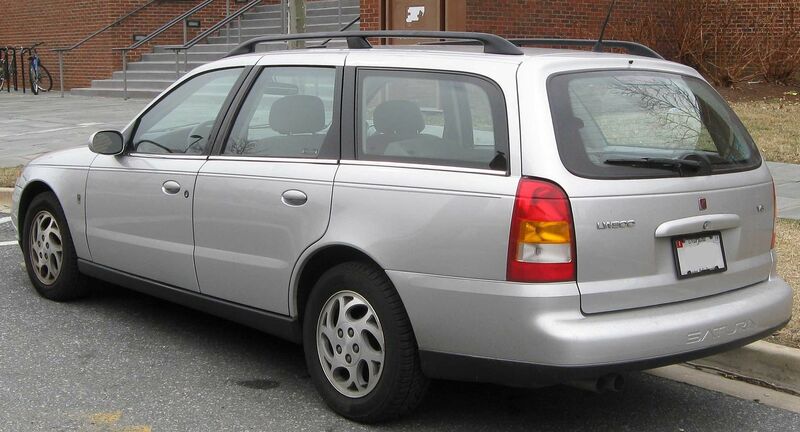 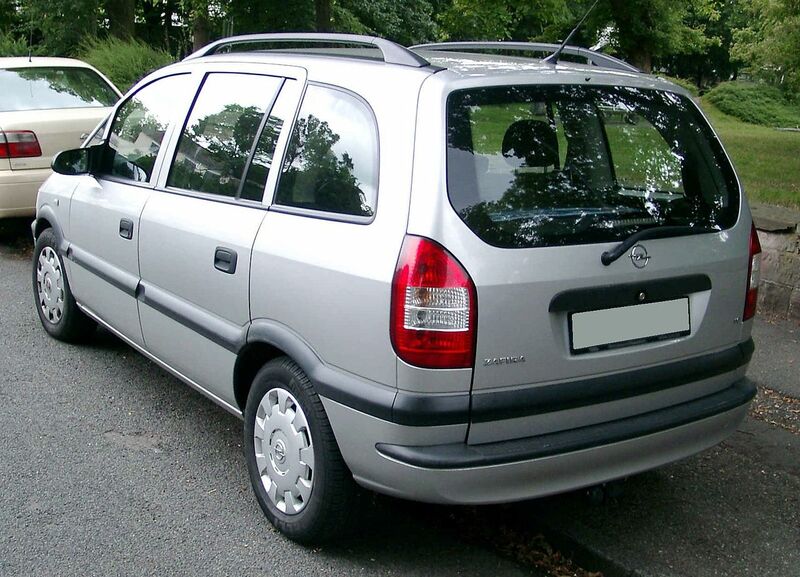 Opel derived models are also sold as Buick. 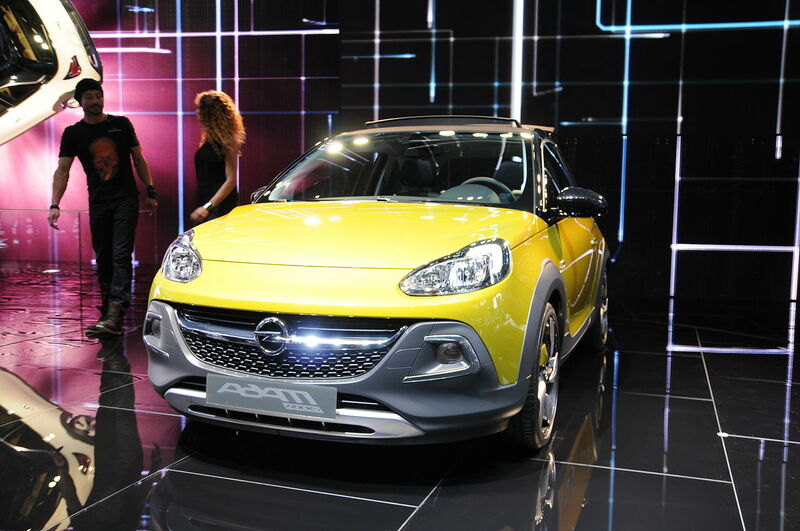 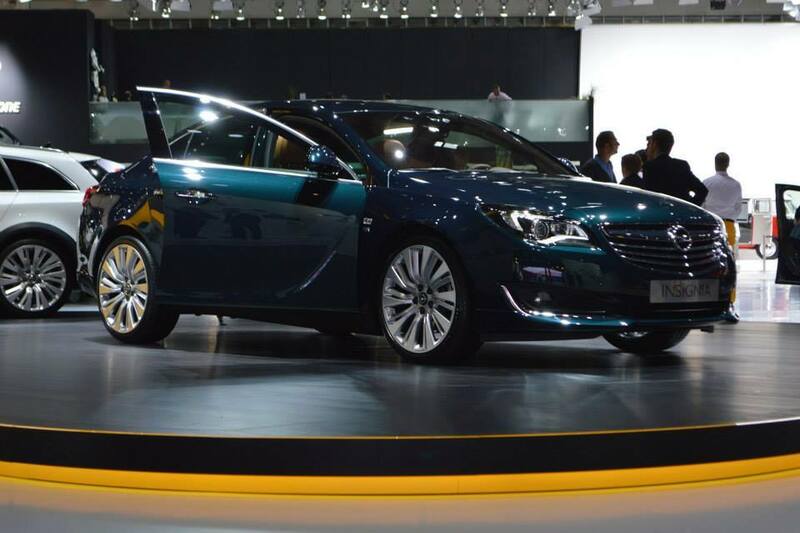 On 28 March 2014 Opel has announced that it will leave China in 2015. 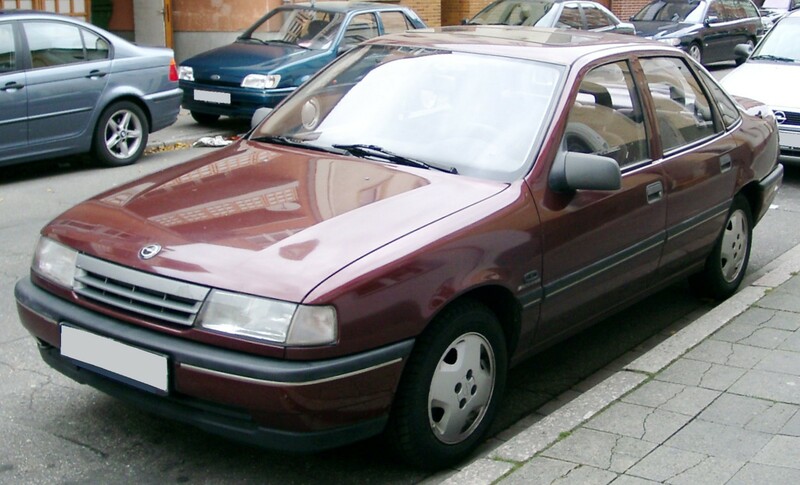 Opel was long General Motors’ strongest marque in Japan, with sales peaking at 38,000 in 1996. 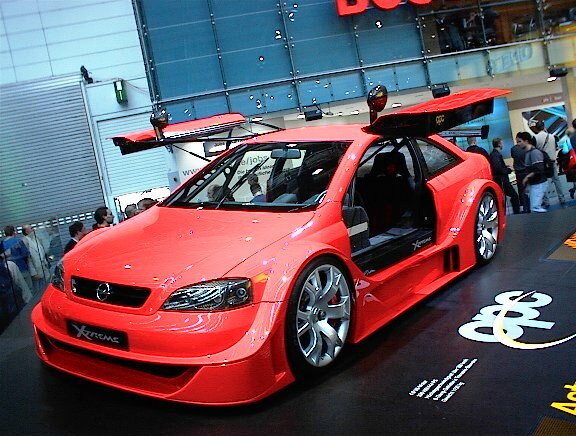 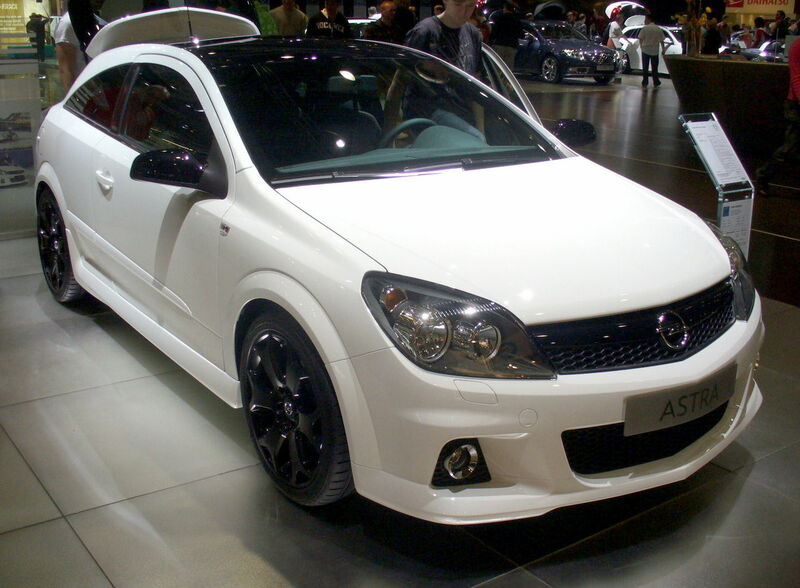 However, the brand was withdrawn from the Japanese market in 2006 with just 1,800 sales there in 2005. 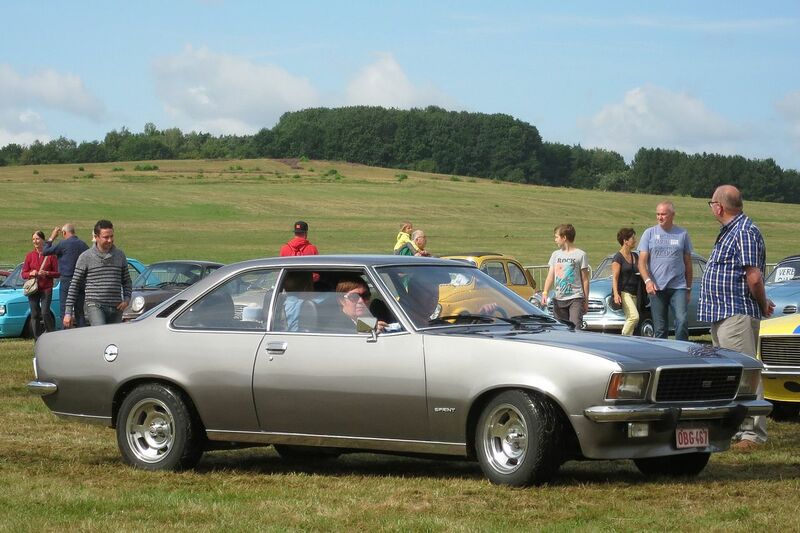 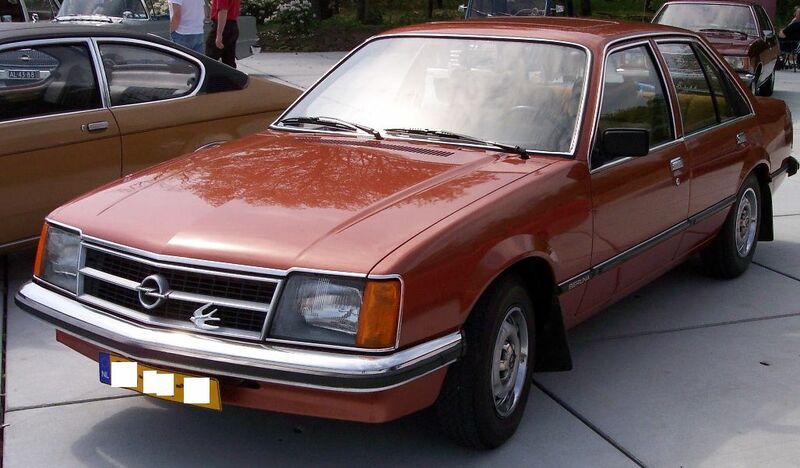 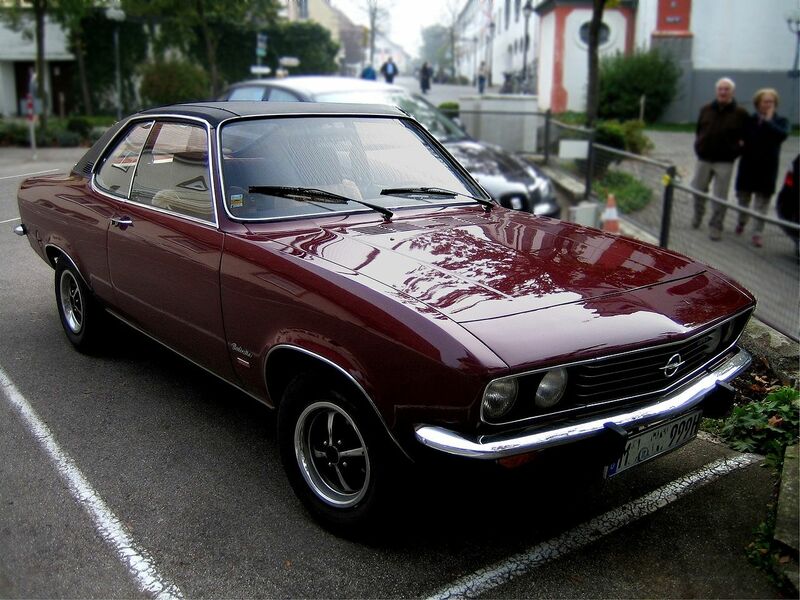 Opel was marketed in Malaysia beginning from 1970s, and early models exported were Kadett, Gemini and Manta. 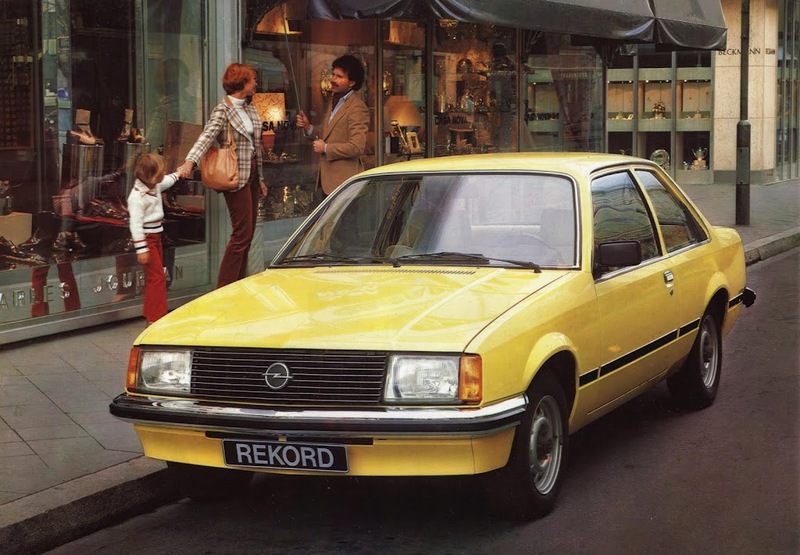 Opel had get moderate sales in 1980s and 1990s until early 2000s, when Malaysian car buyers are more favour to Japanese and Korean brand car like Toyota, Honda, Hyundai and Kia,which offers more competitive price tags. 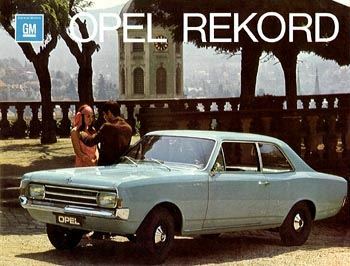 Sales of Opel cars in Malaysia was dropped at this time, as Opel’s price tag was slightly higher than the same segment Japanese, Korean and local Proton cars, hard to maintain, having a bad aftersales services and spare parts were not readily available. 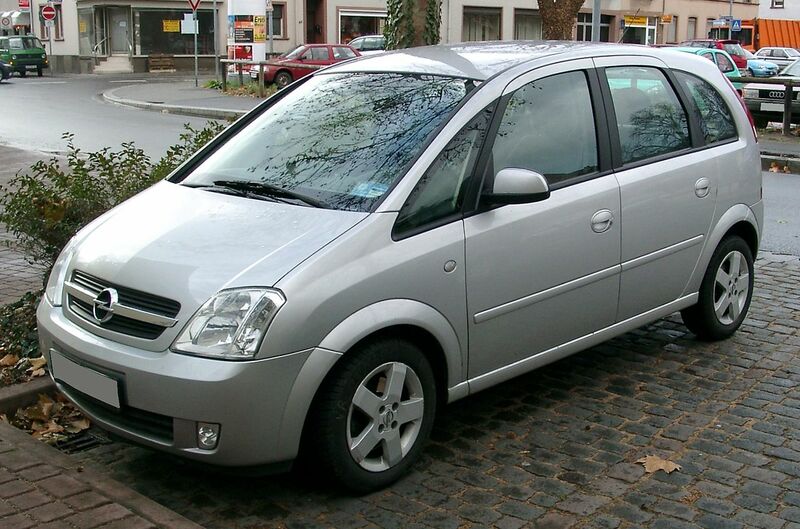 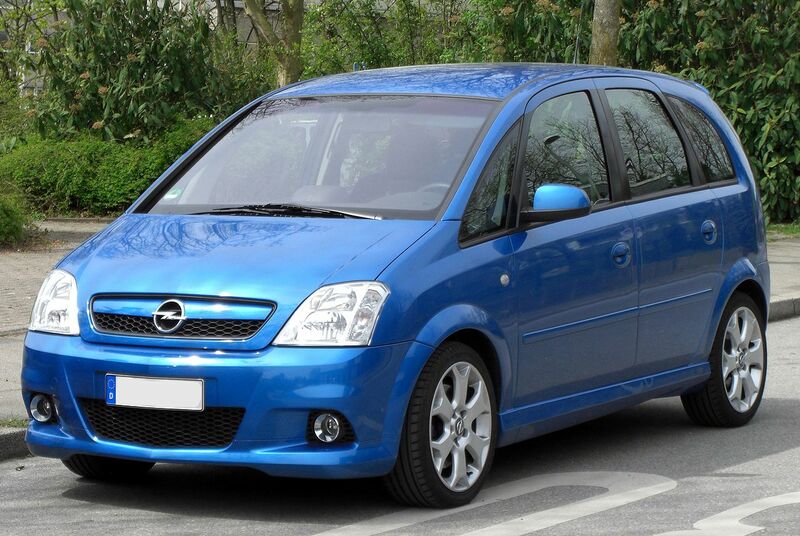 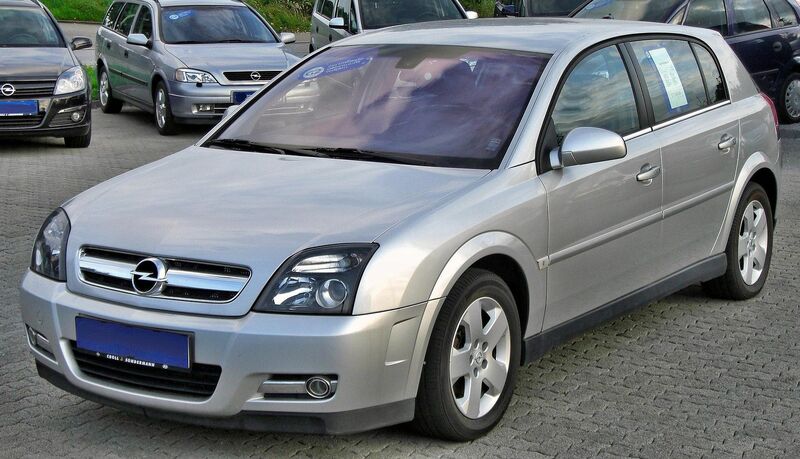 Opel was withdrawn from Malaysian market in 2003,and the last model sold was Zafira, Astra, Vectra and Frontera, later replaced by Chevrolet. 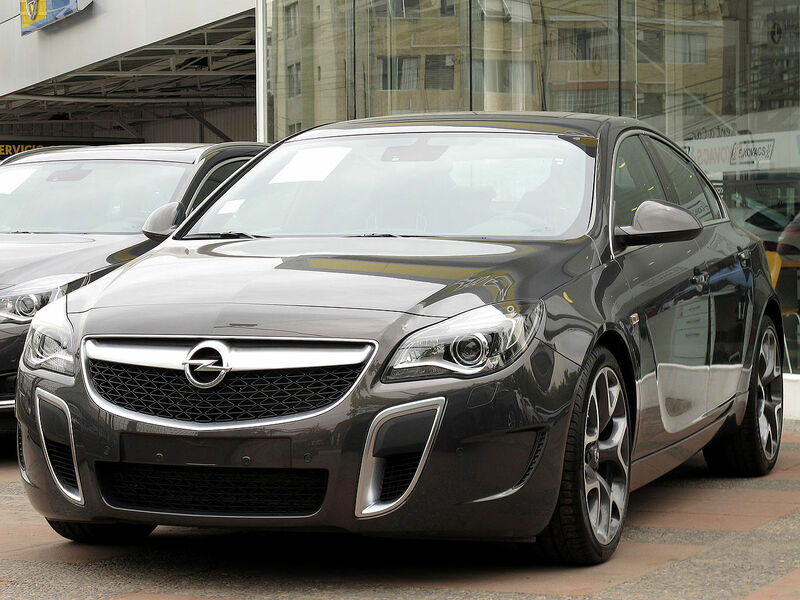 Opel exports a wide range of products to Chile since 2011. 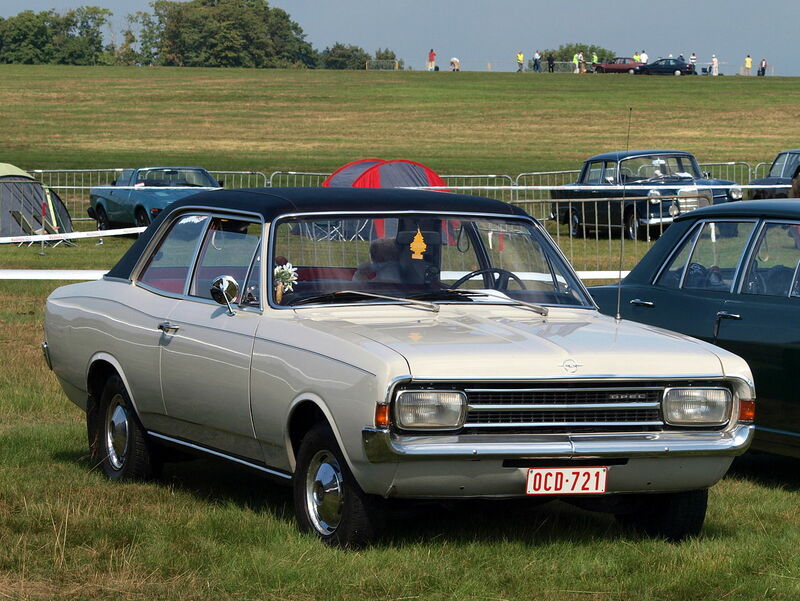 Starting with the Vauxhall Viva of 1963, General Motors began a 15-year development of launching Vauxhall-badged cars which were based on Opel designs, but continued to sell Vauxhall and Opel badged cars alongside each other, with Vauxhall remaining one of the most popular brands of car in Britain and comprehensively outselling the Opel brand. 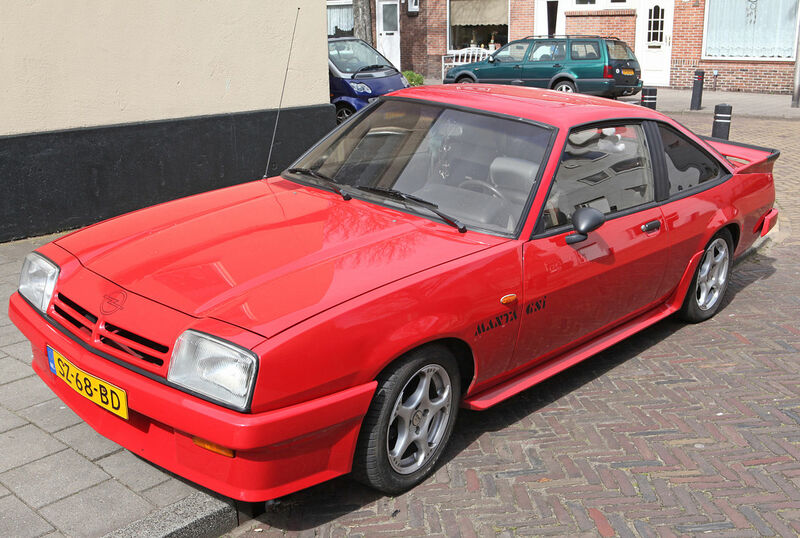 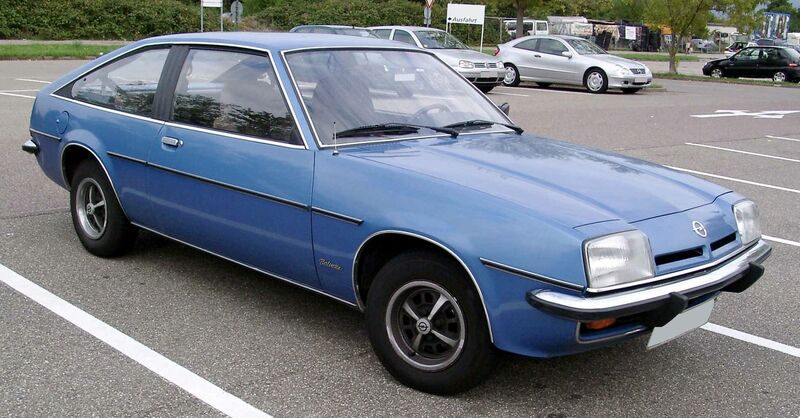 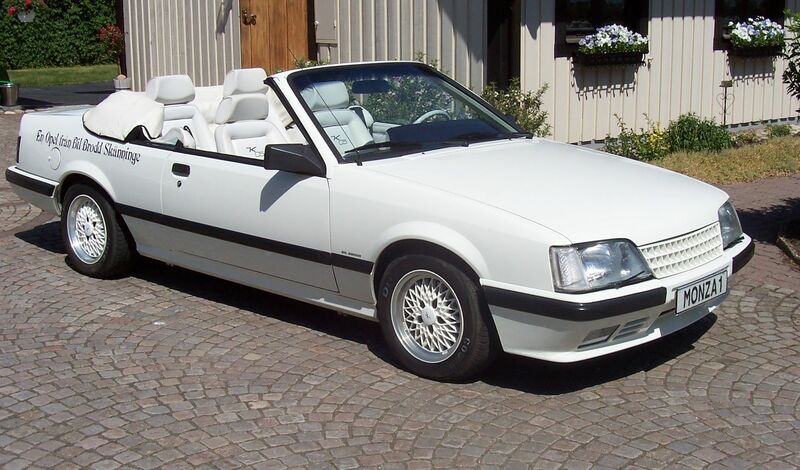 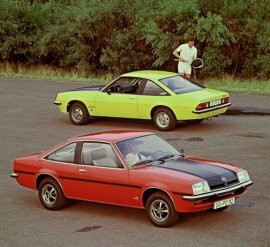 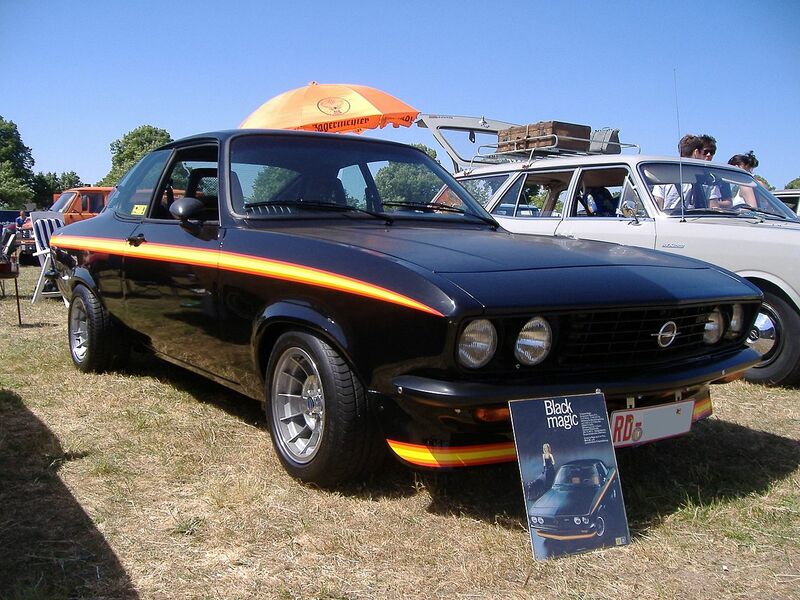 Nevertheless, by the early 1980s General Motors had taken the decision to phase out the Opel brand in the British market, finally withdrawing it in 1988 on the demise of the Opel Manta. 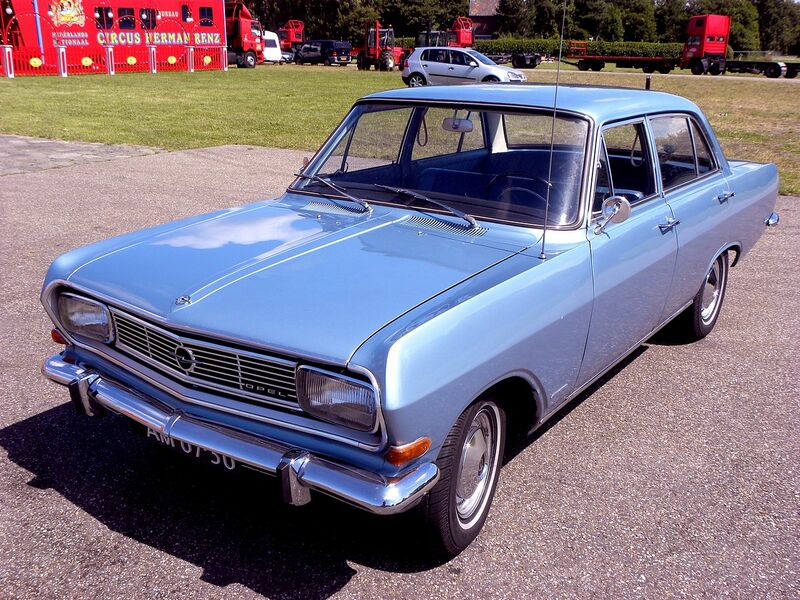 There were two Opel franchised assembly plants in the Republic of Ireland in the 1960s. 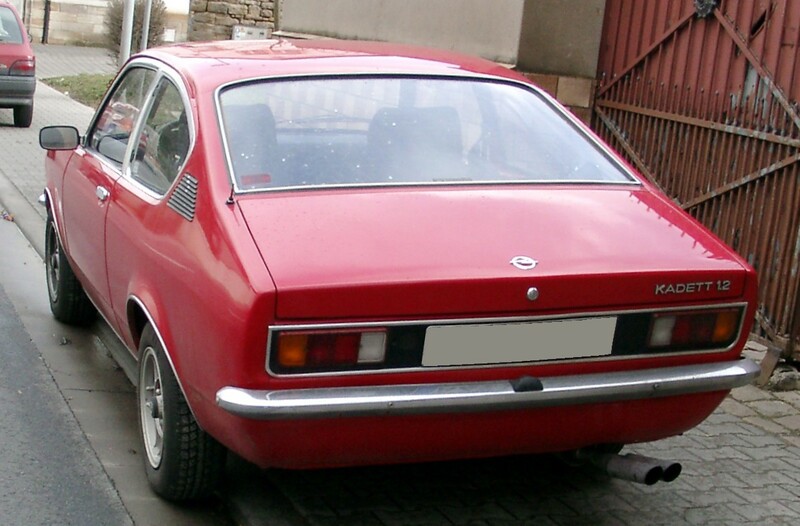 One in Ringsend, Dublin was operated by Reg Armstrong Motors, who also assembled NSU cars and motorcycles. 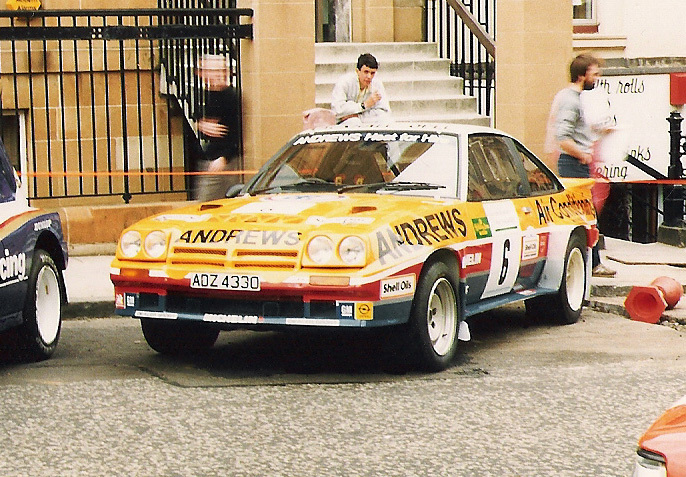 Arrmstrong was an International competitor in motorcycle racing. 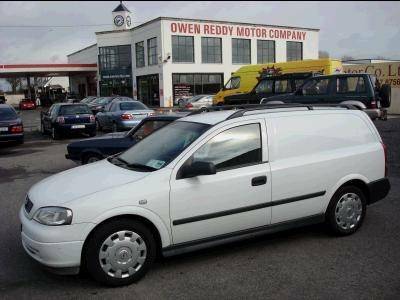 The second assembly plant was based in Cork and operated by O’Shea’s who also assembled Skoda cars and Zetor tractors. 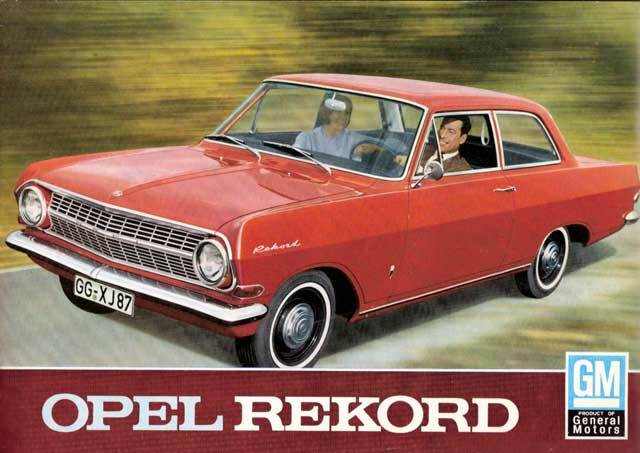 The models assembled were the Kadett and the Rekord. 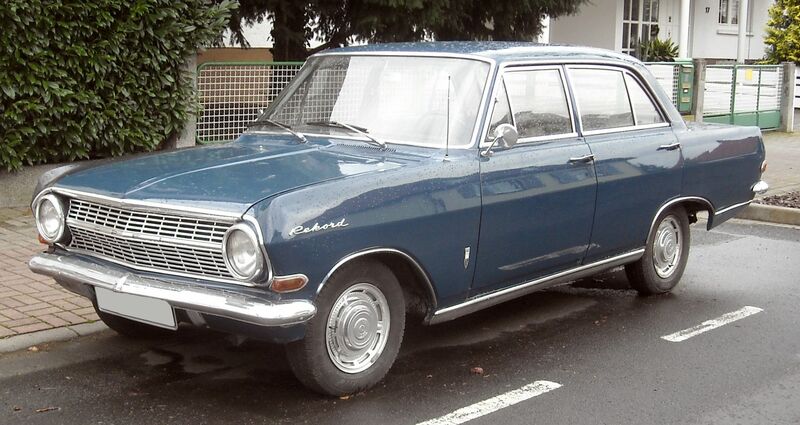 From 1966 the Admiral was imported as a fully built unit and became a popular seller. 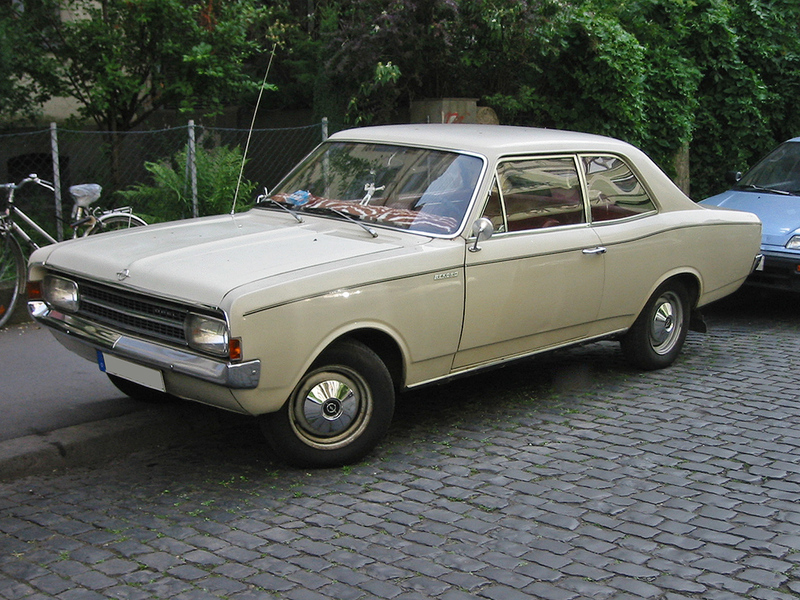 From the late 1930s to the 1980s terms from the German Navy (Kapitän, Admiral, Kadett) and from other official sectors (Diplomat, Senator) were often used as model names. 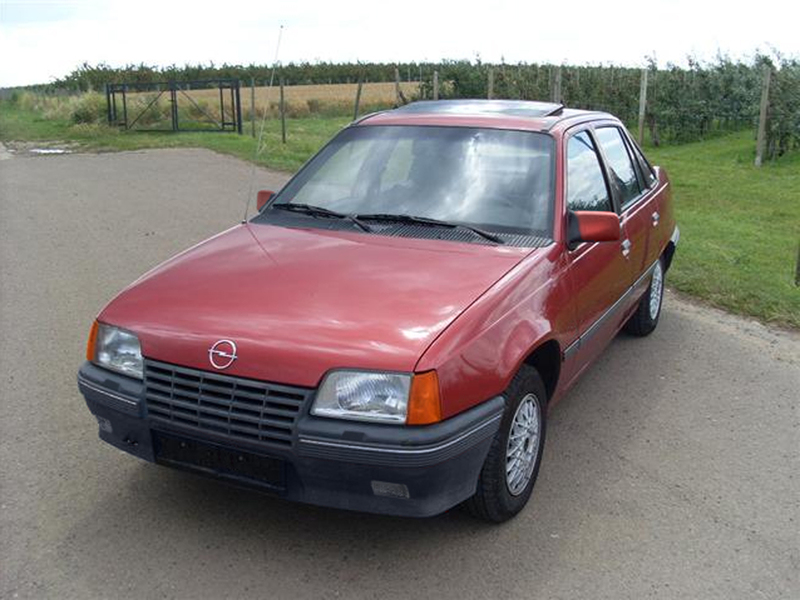 Since the late 1980s the model names of Opel passenger cars end with an ‘A’. 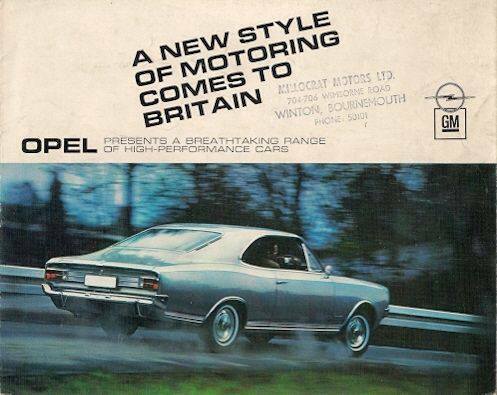 As Opels were no longer being sold in the UK, there was no need to have separate model names for essentially identical Vauxhall and Opel cars (although there have been some exceptions to suit the UK market). 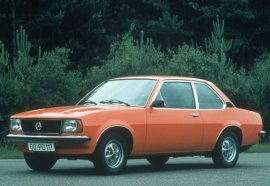 The last series to be renamed across the two companies was the Opel Kadett, being the only Opel to take the name of its Vauxhall counterpart, as Opel Astra. 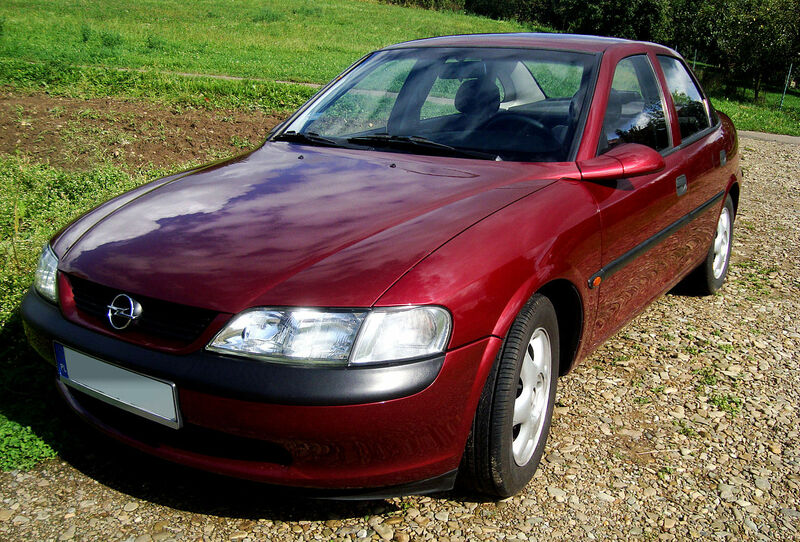 Although there had only been two generations of Astra prior to the 1991 model, the new car was referred to across Europe as the Astra F, referring to its Kadett lineage. 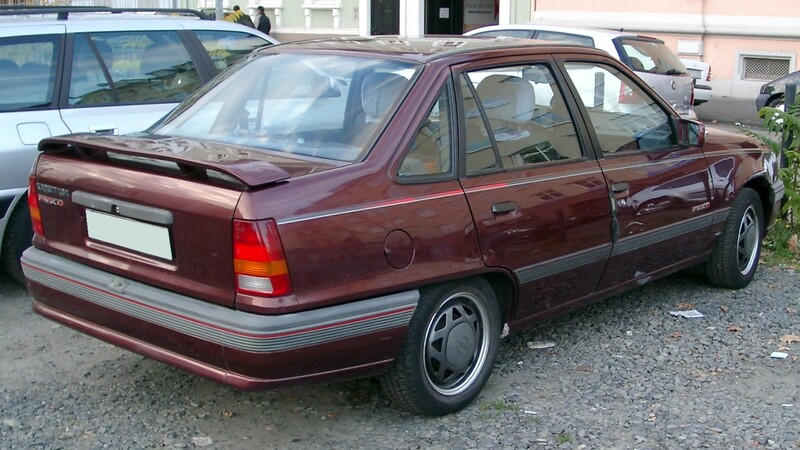 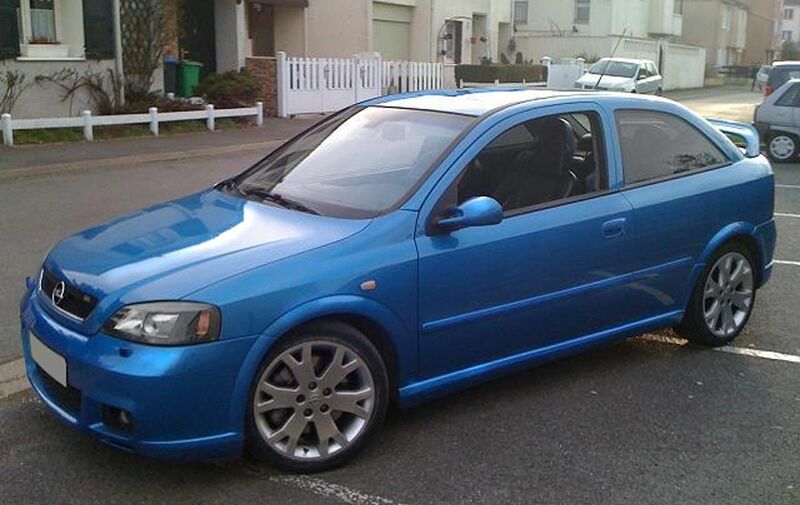 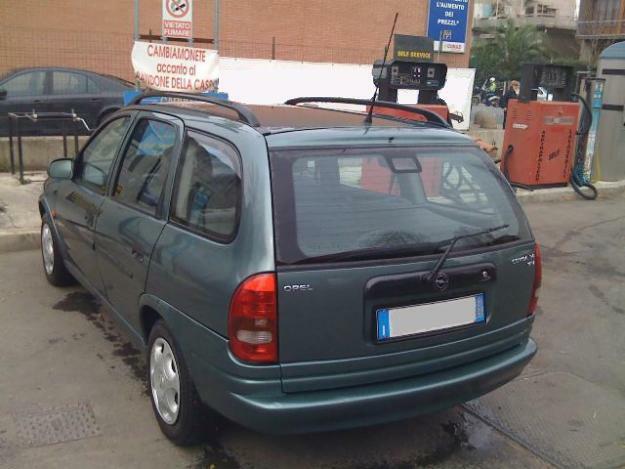 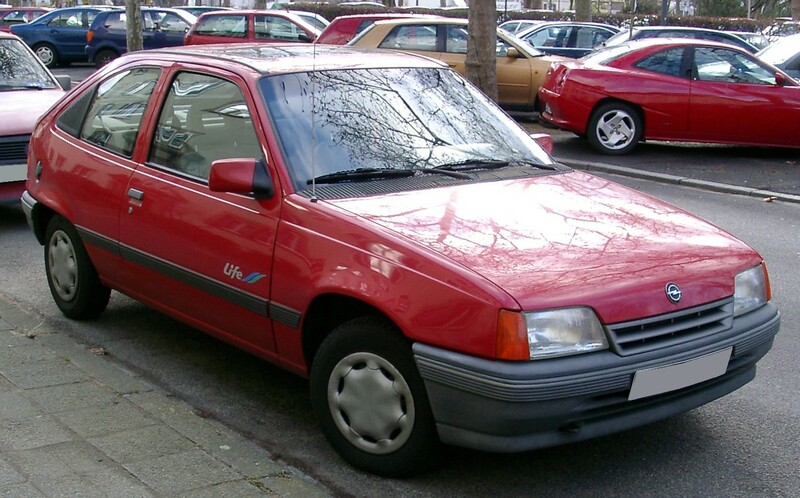 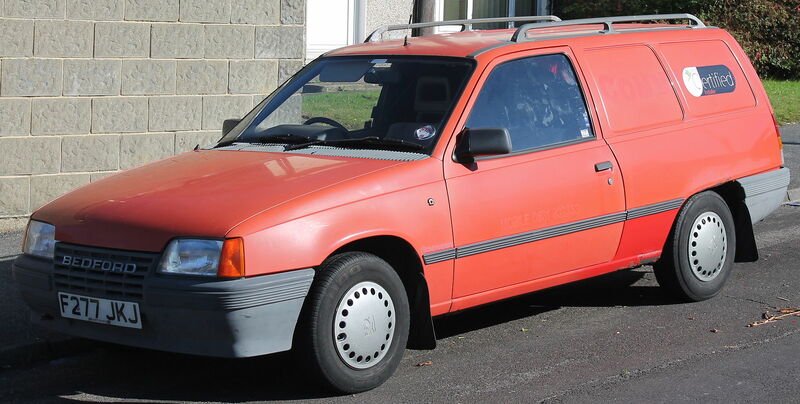 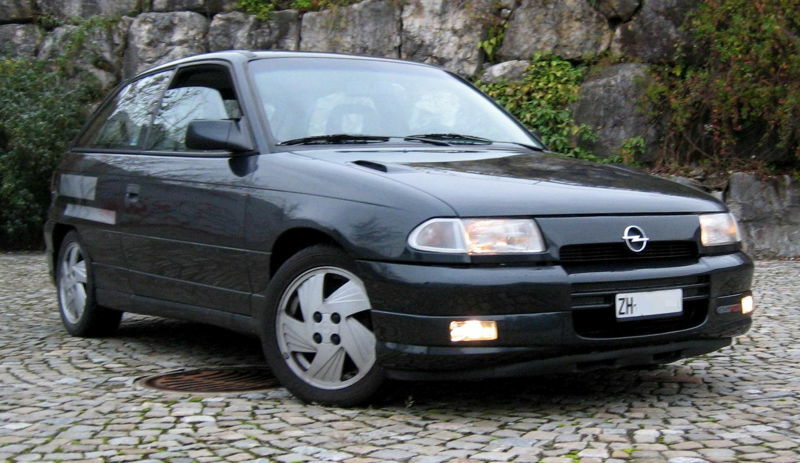 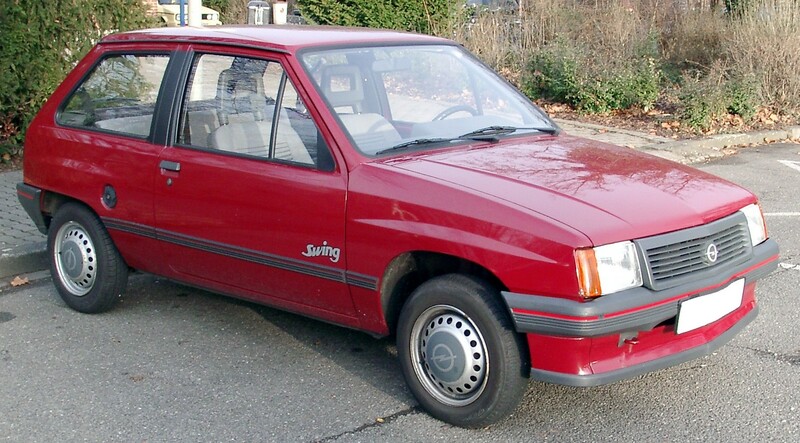 Until 1993, the Opel Corsa was known as the Vauxhall Nova in the UK, as Vauxhall had initially felt that Corsa sounded too much like, ‘coarse,’ and wouldn’t catch on. 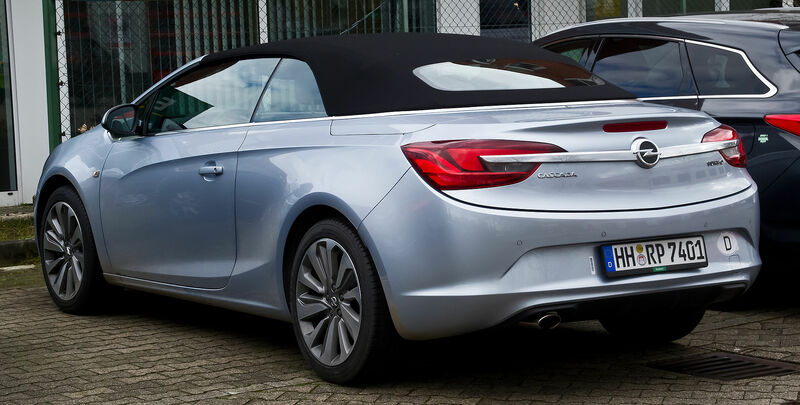 Exceptions to the nomenclature of ending names with an ‘A’ include the under-licence built Monterey, the Speedster (also known as the Vauxhall VX220 in the UK), GT (which wasn’t sold at all as a Vauxhall, despite the VX Lightning concept), the Signum, Karl and the Adam. 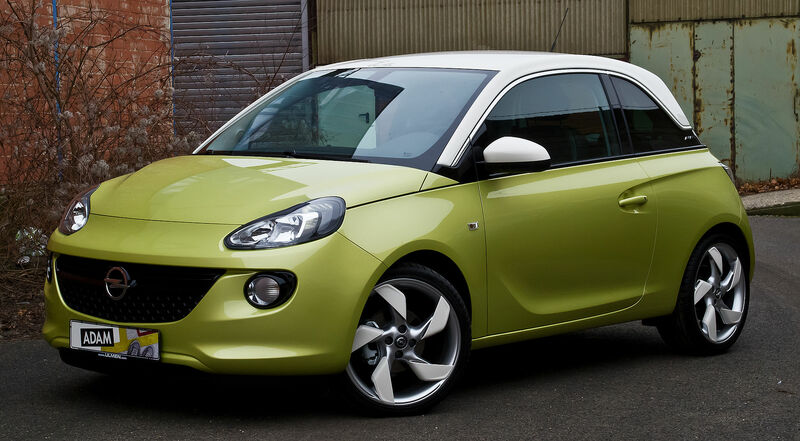 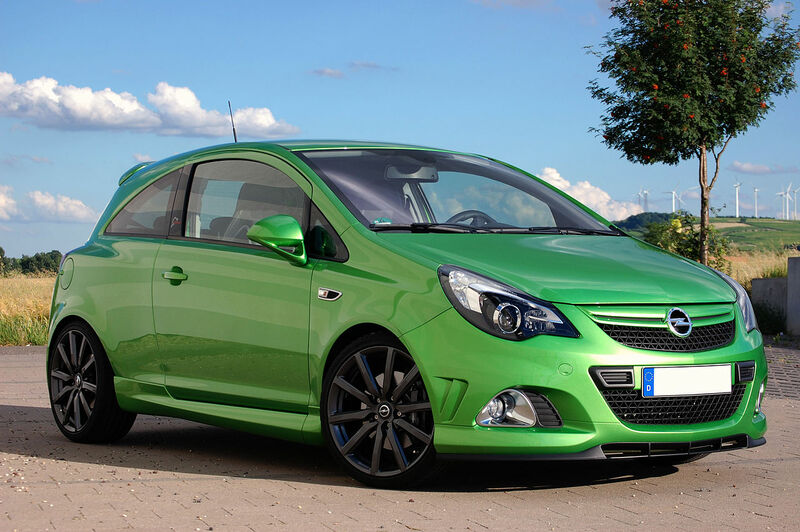 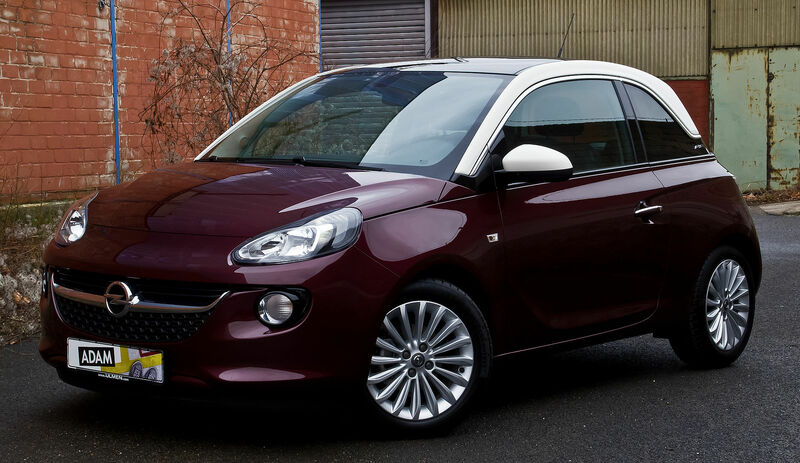 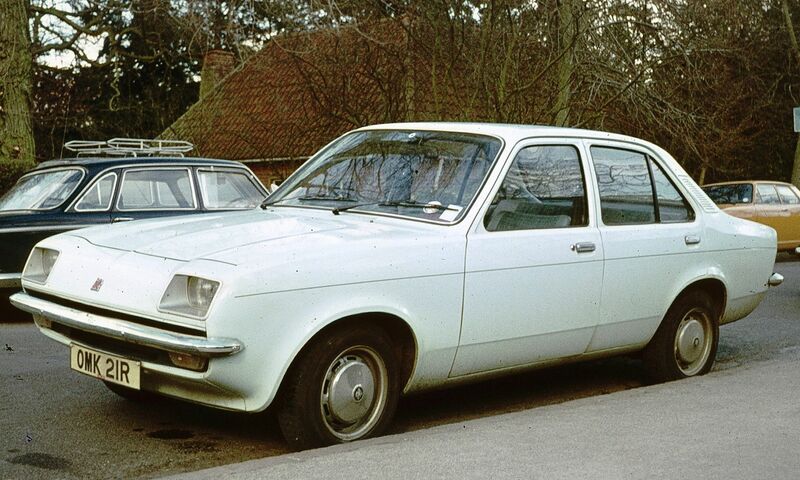 The Adam was initially supposed to be called, “Junior,” as was its developmental codename and because the name ‘Adam’ had no history/importance to the Vauxhall marque. 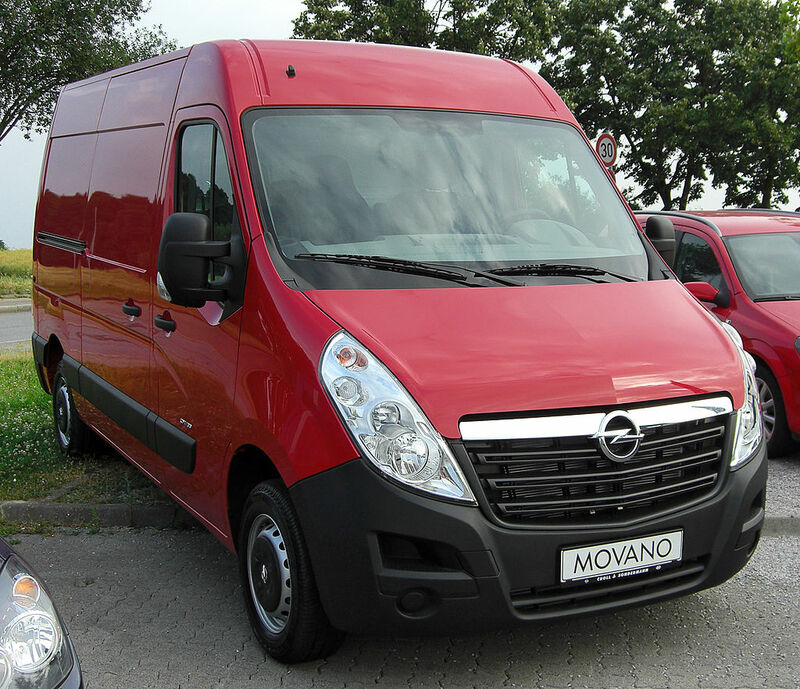 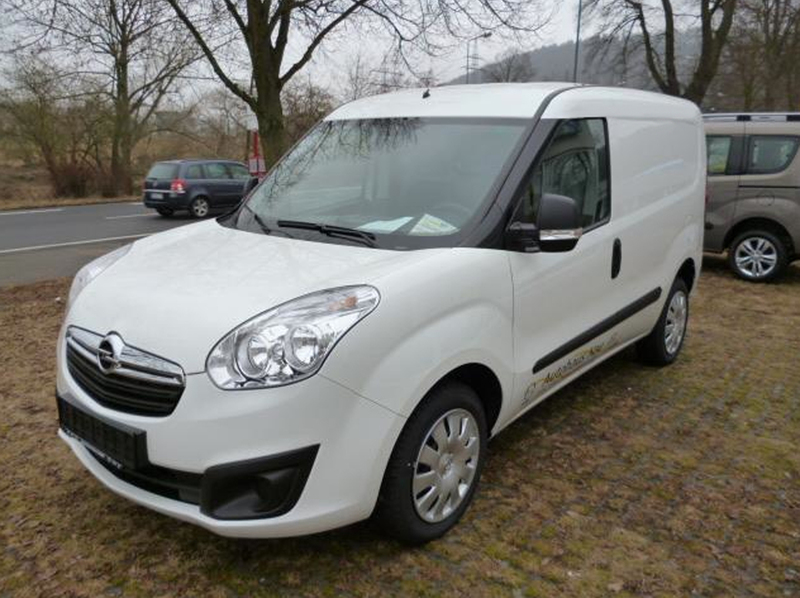 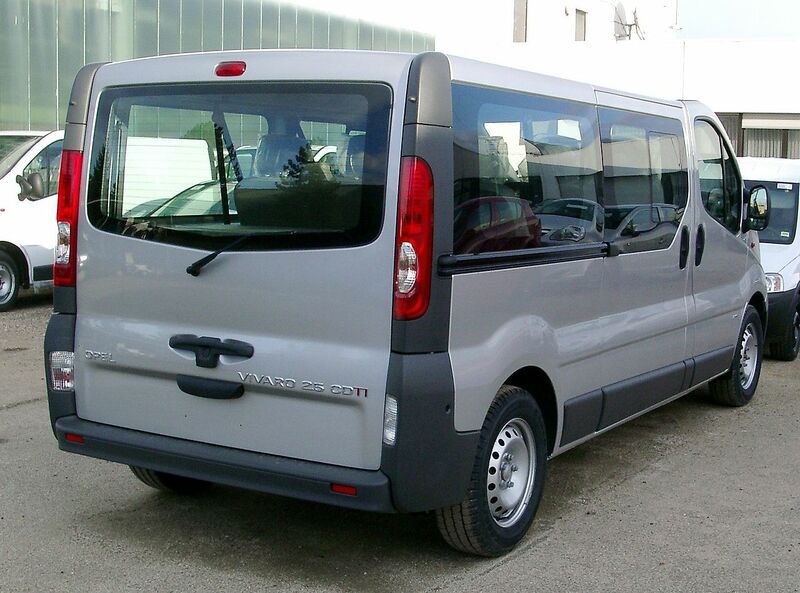 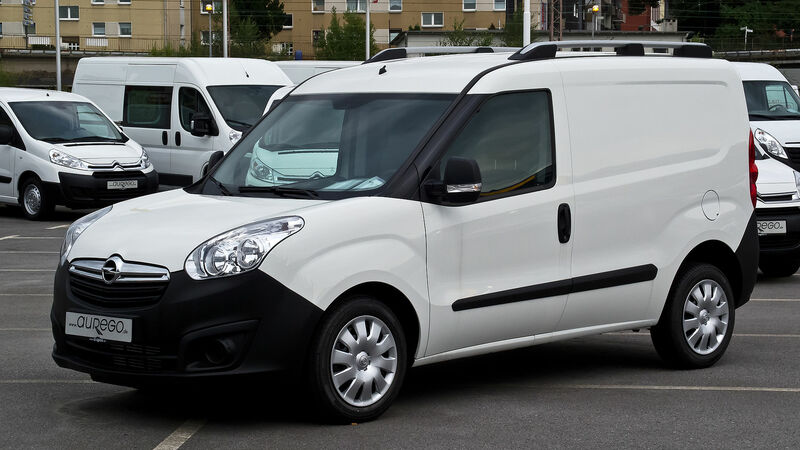 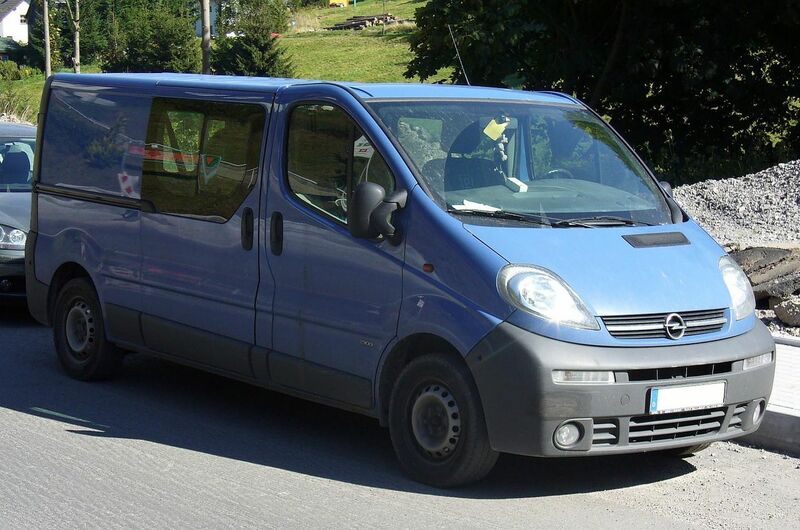 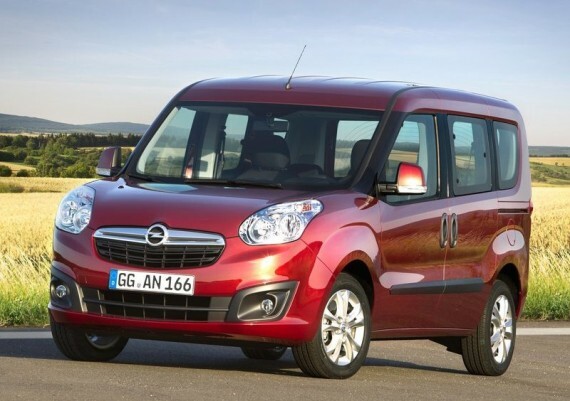 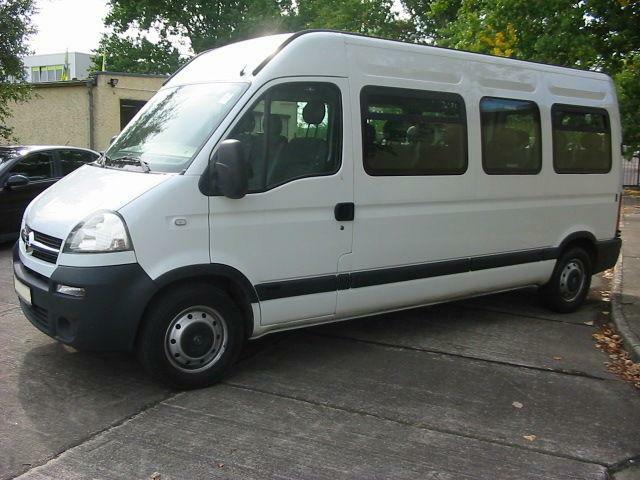 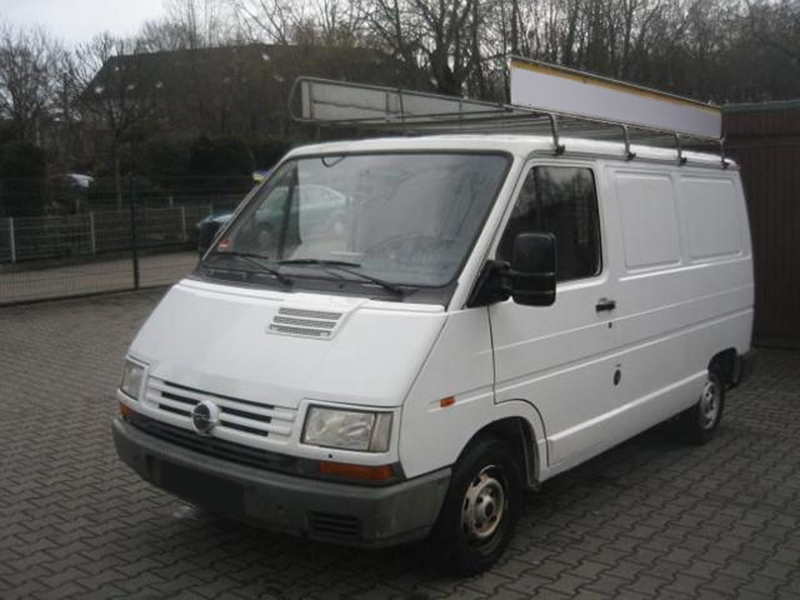 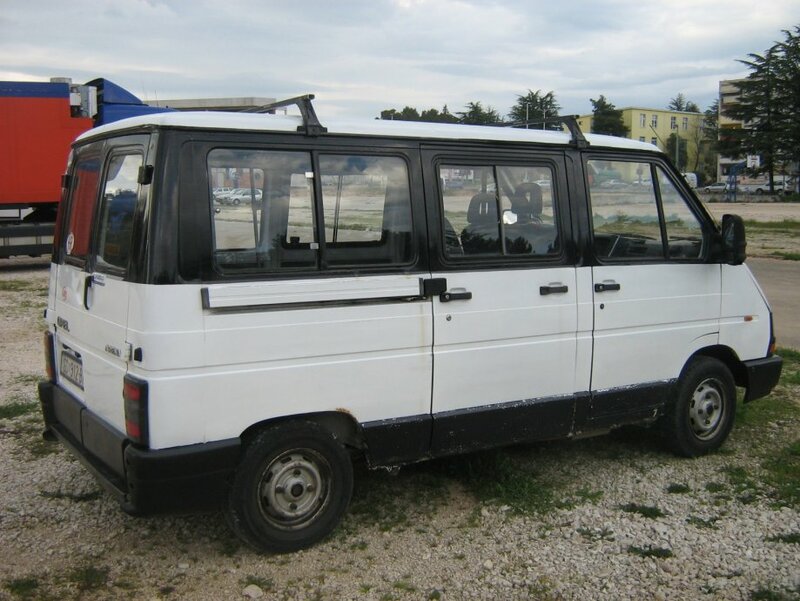 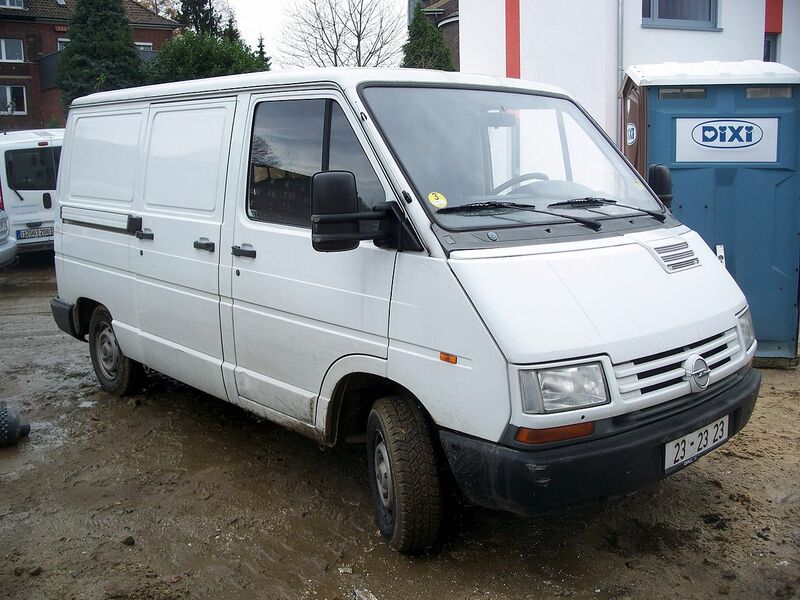 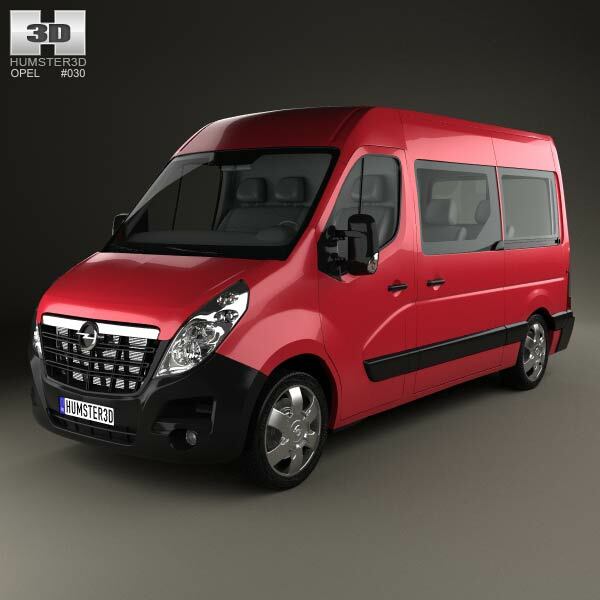 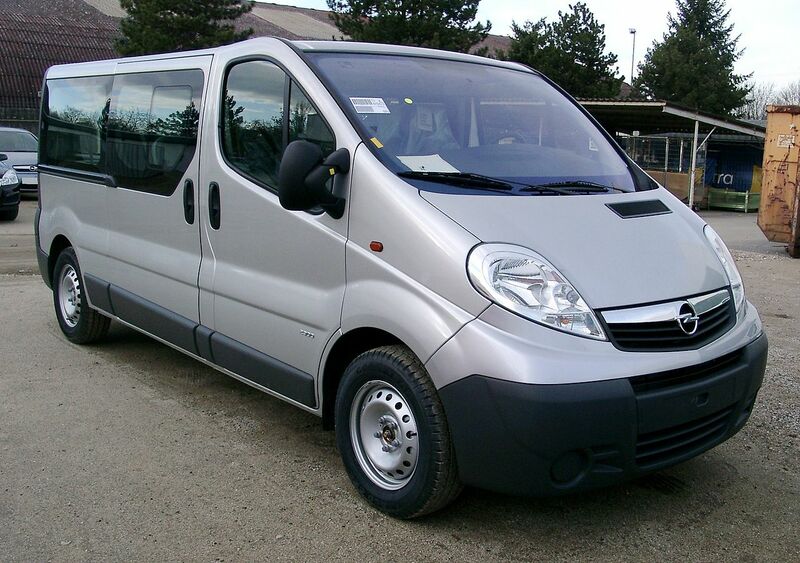 Similar to the passenger cars, the model names of commercial vehicles end with an ‘O’ (Combo, Vivaro, Movano), except the Corsavan and Astravan for obvious reasons. 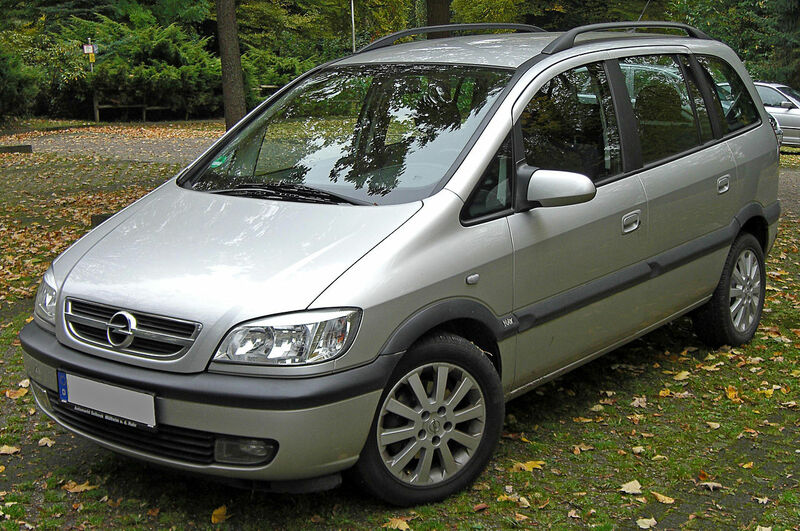 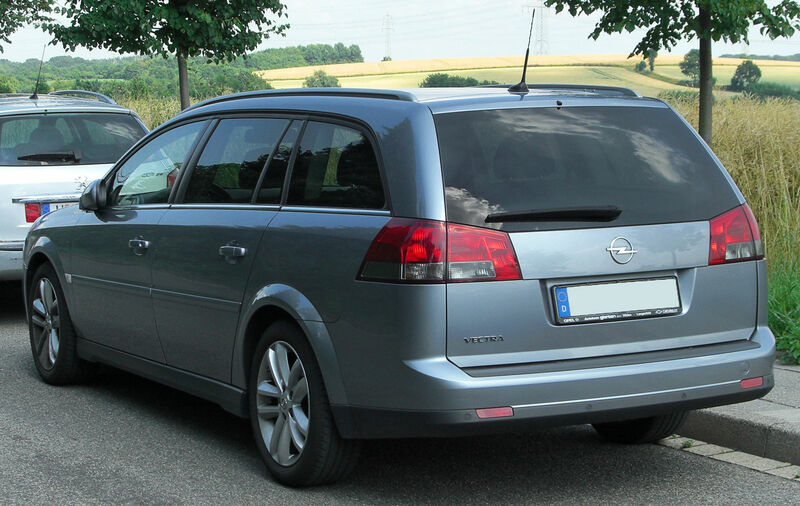 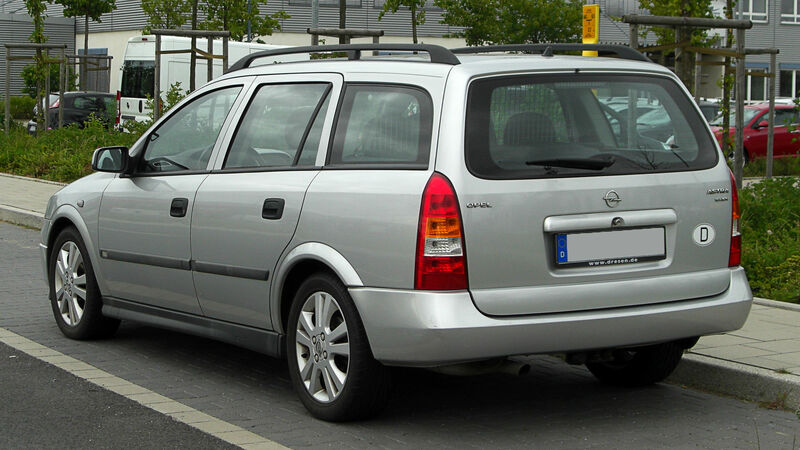 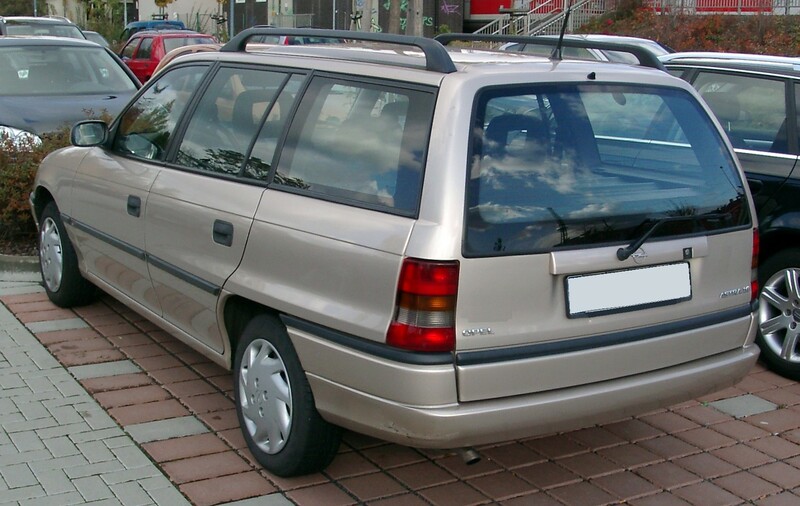 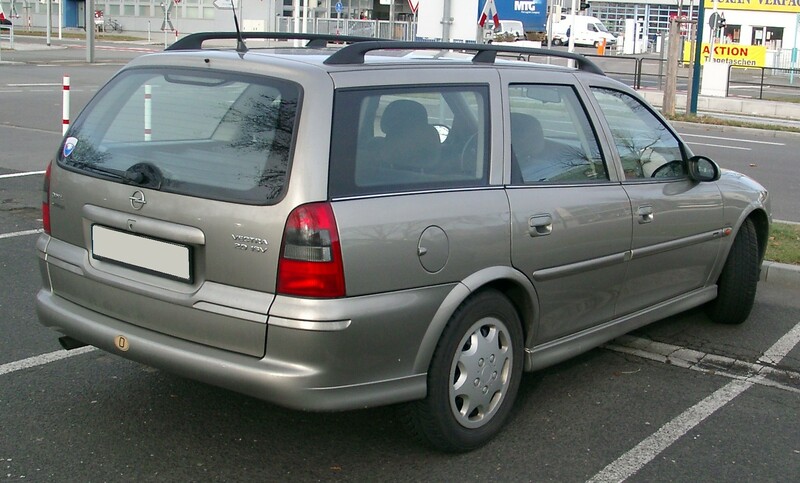 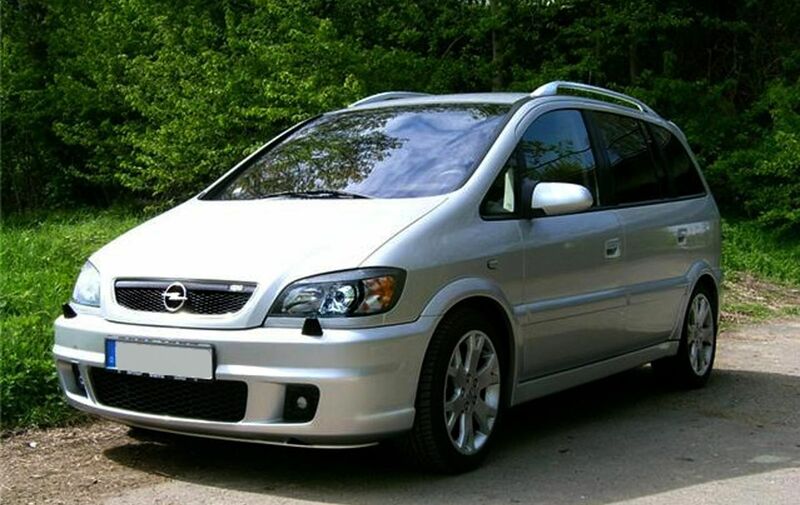 Another unique aspect to Opel nomenclature is its use of the “Caravan” (originally styled as ‘Car-A-Van’) name to denote its station wagon body configuration, (similar to Volkswagen‘s Variant or Audi‘s Avant designations) a practice the company observed for many decades, which finally ceased with the 2008 Insignia, and 2009 Astra where the name “Sports Tourer” is now used for the estate/station wagon versions. 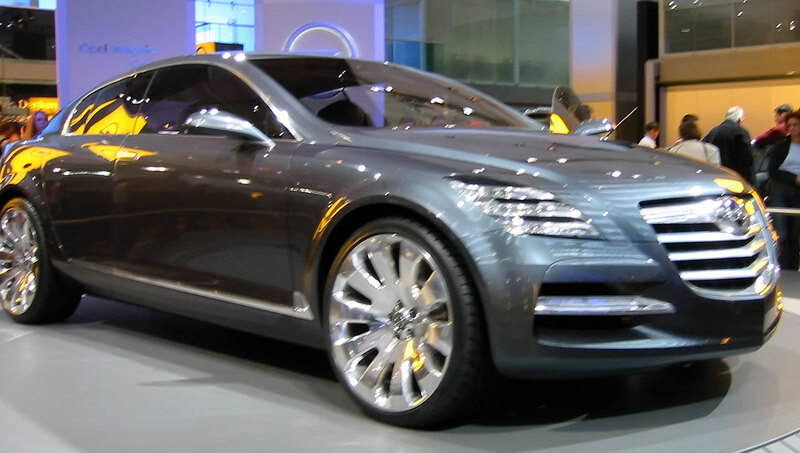 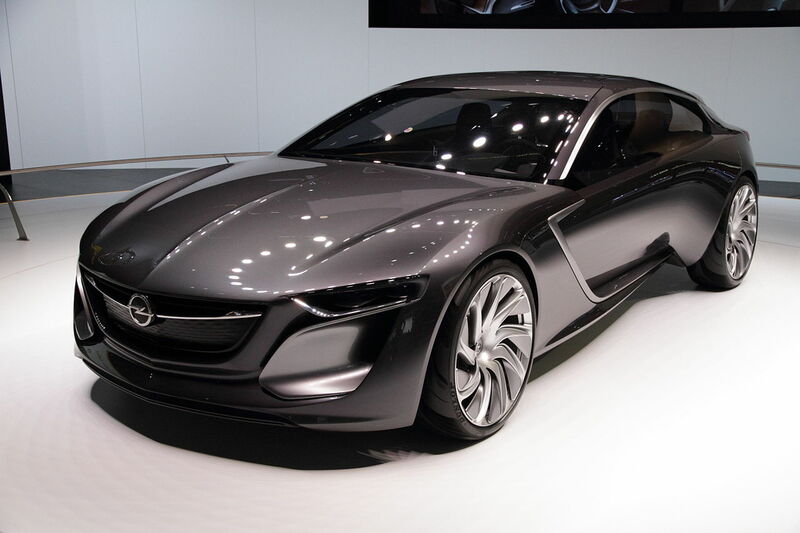 The following is a list of Opel vehicles, including past and present production models, as well as concept vehicles. 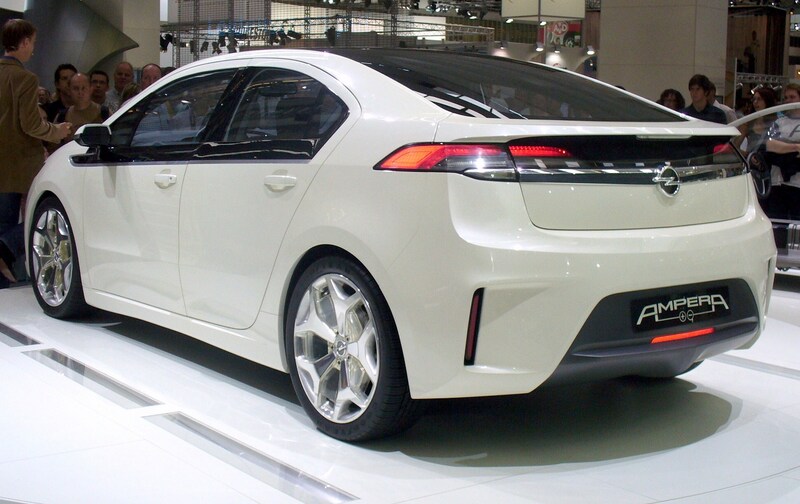 pel produces high-performance derivatives of their cars developed by OPC.